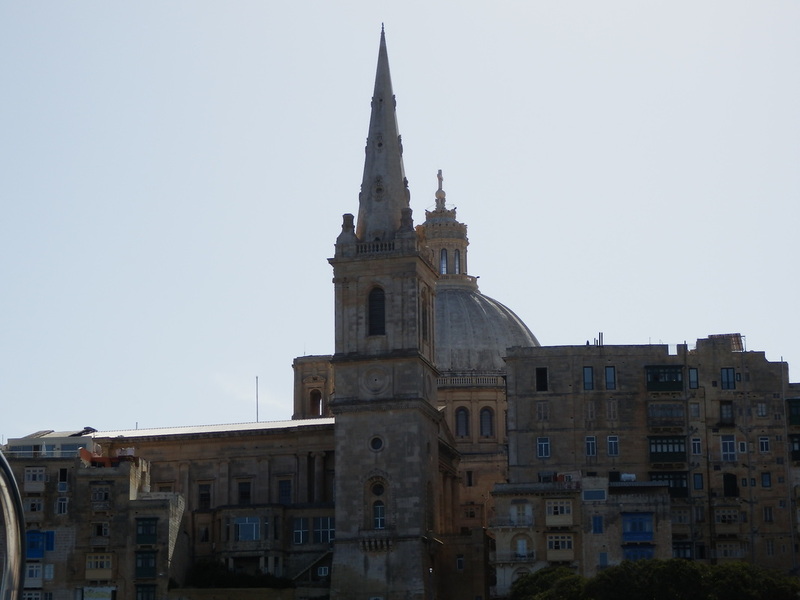 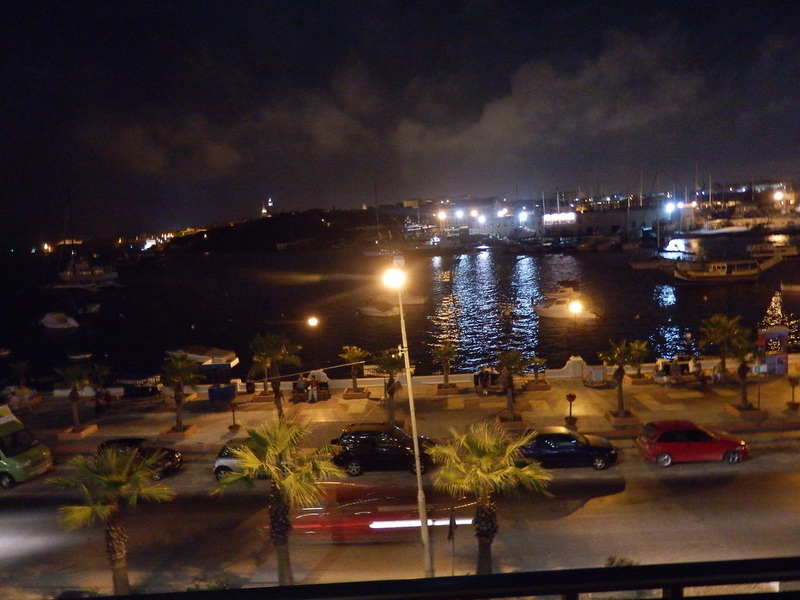 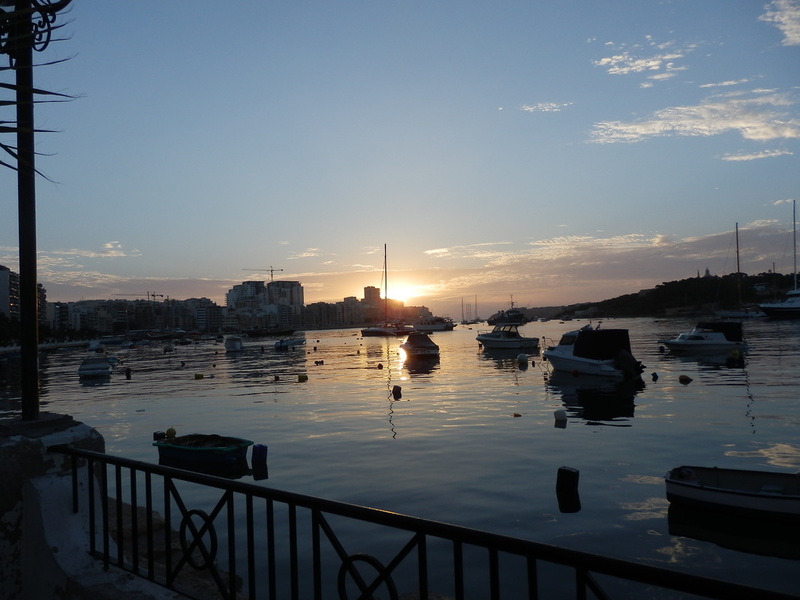 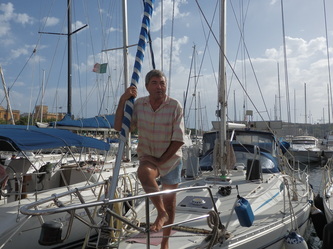 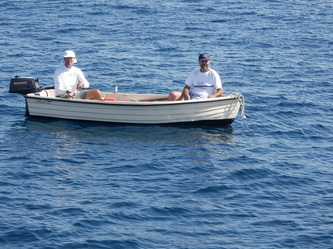 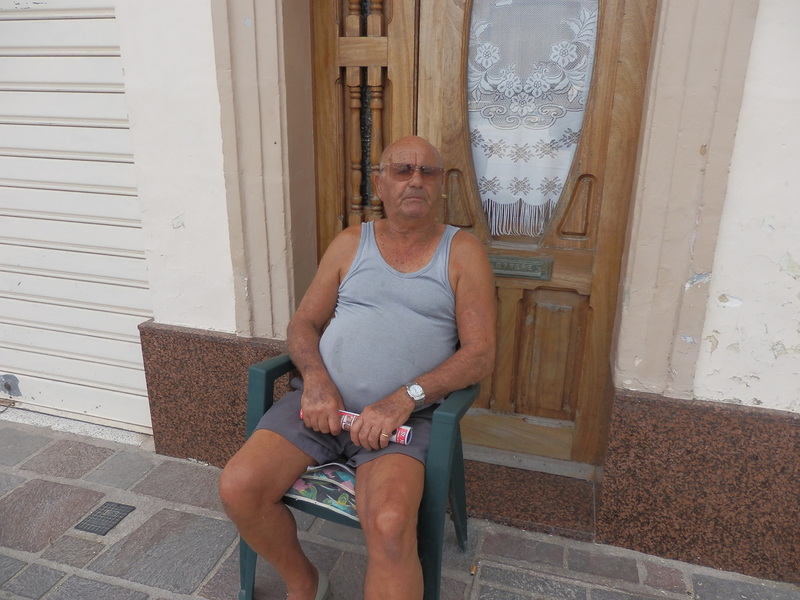 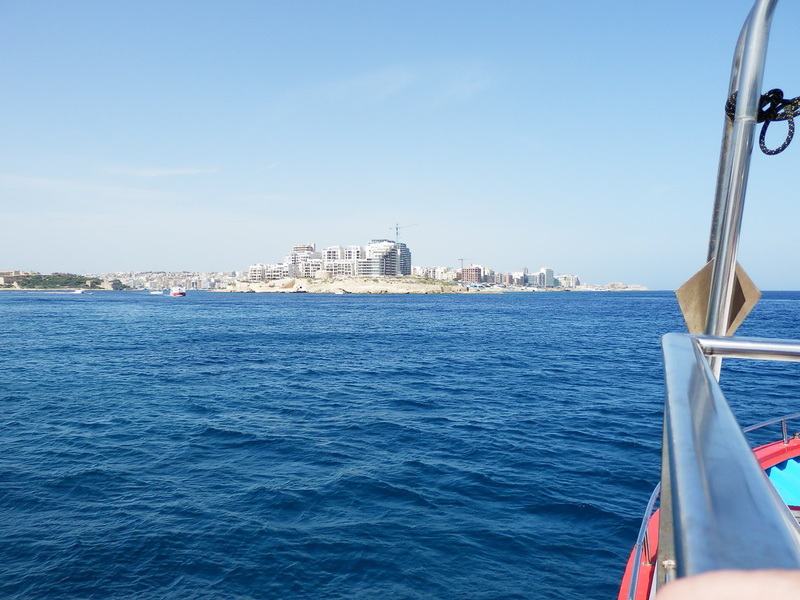 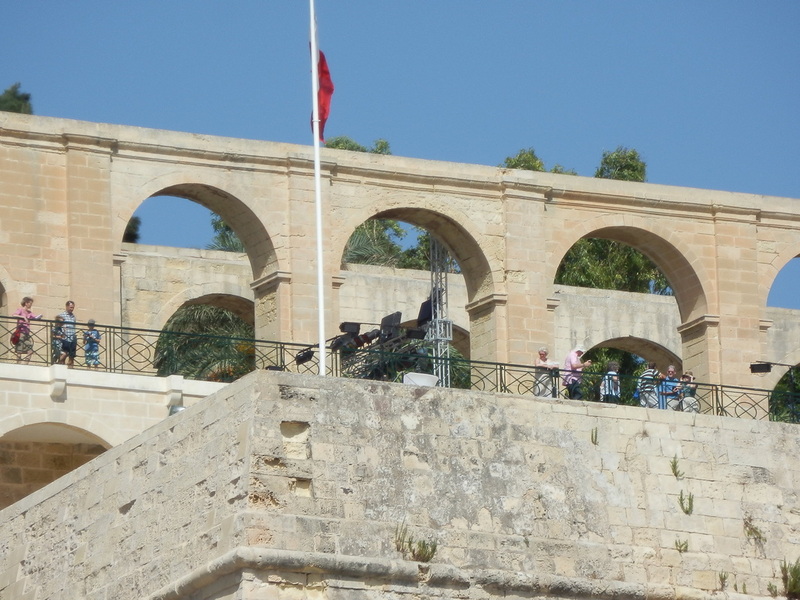 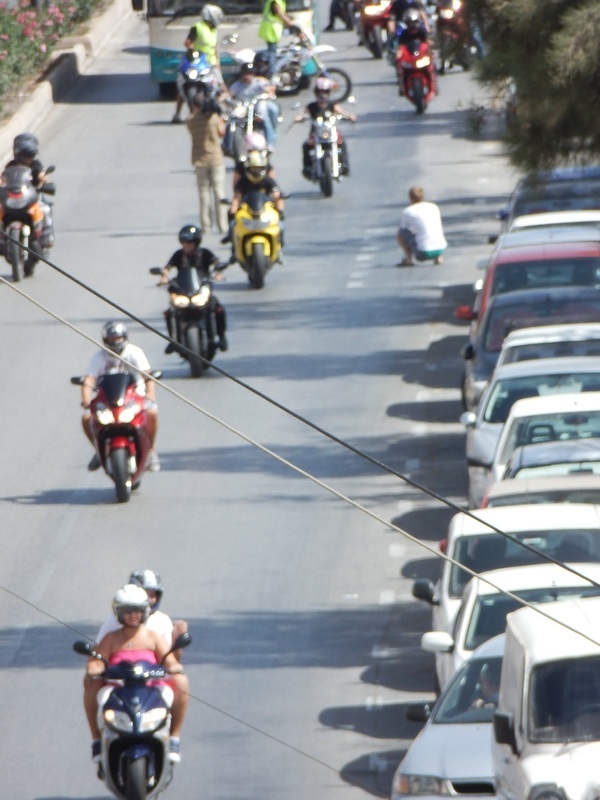 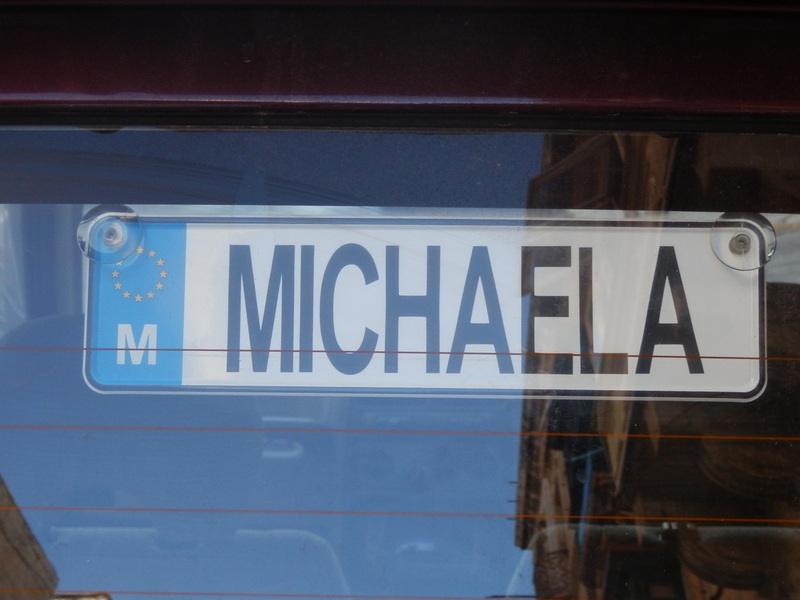 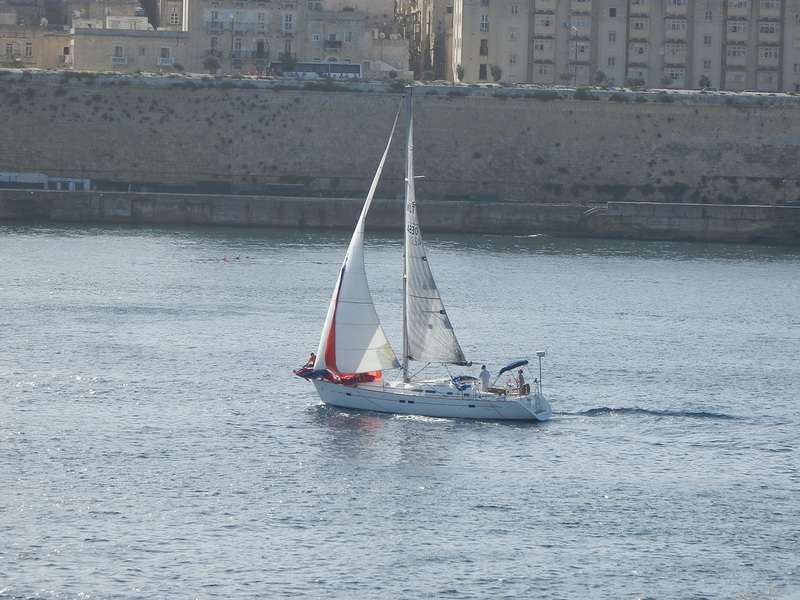 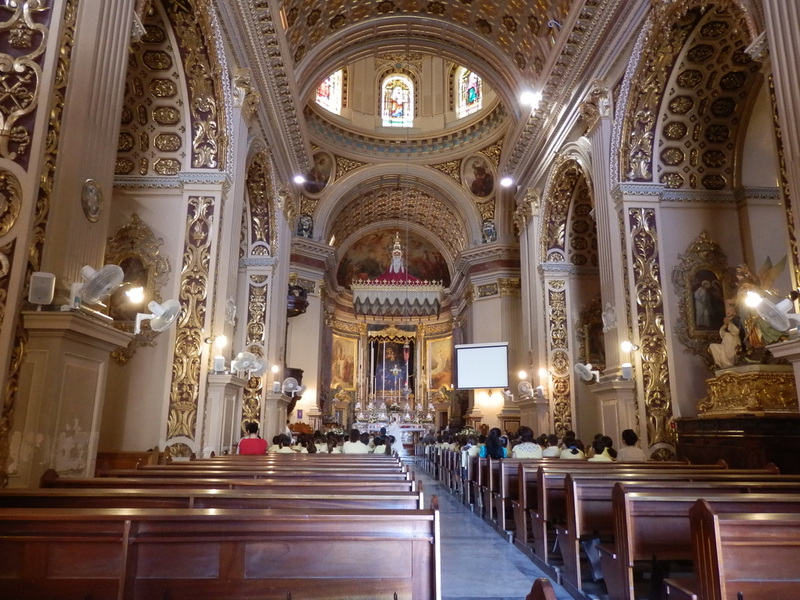 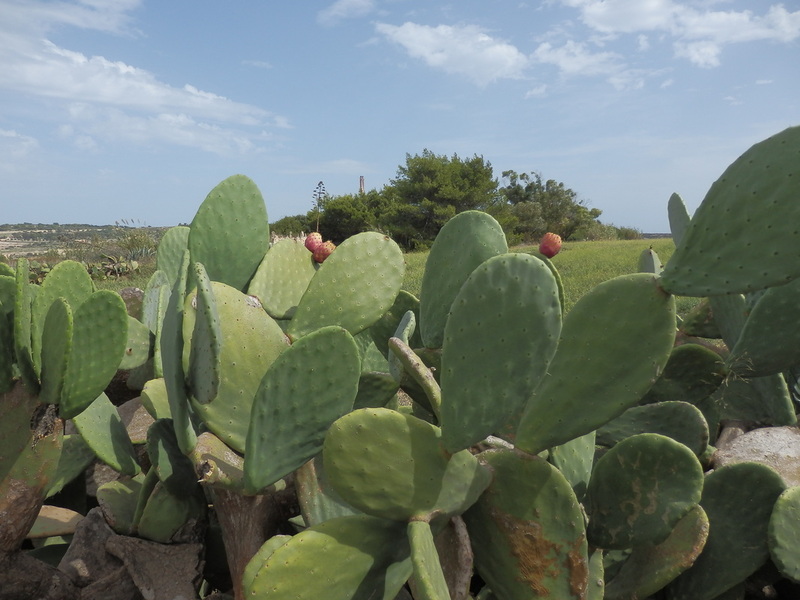 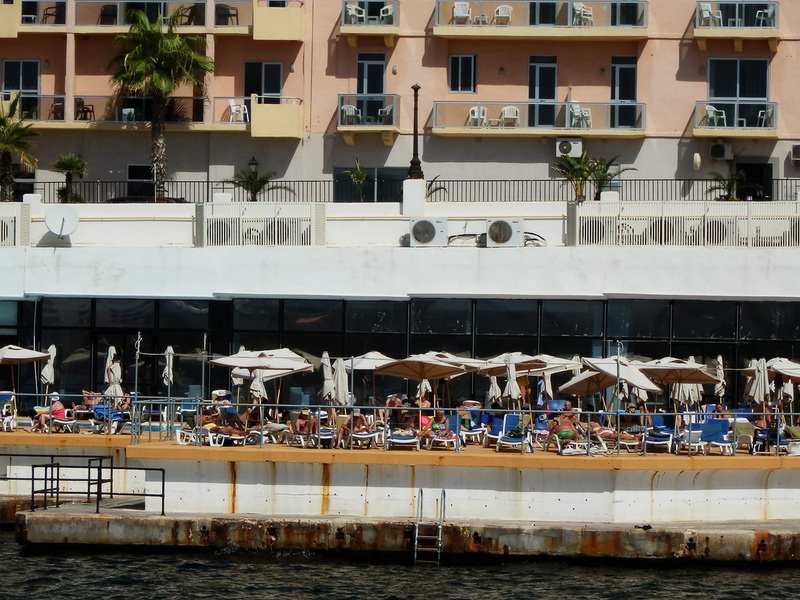 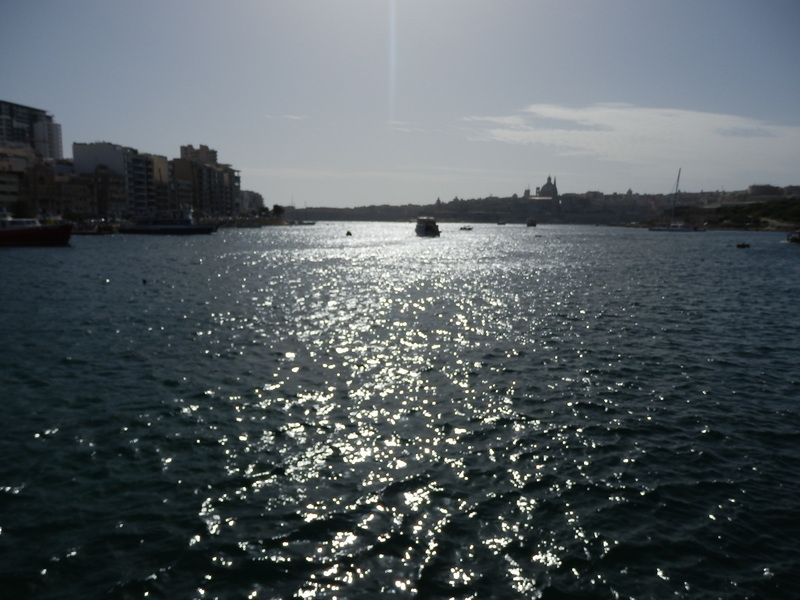 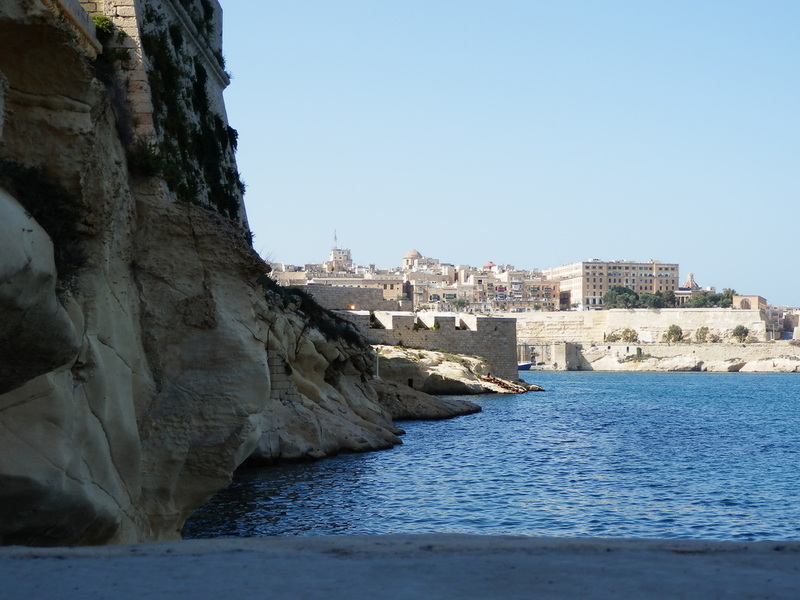 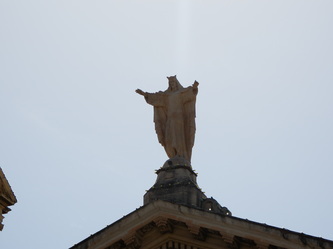 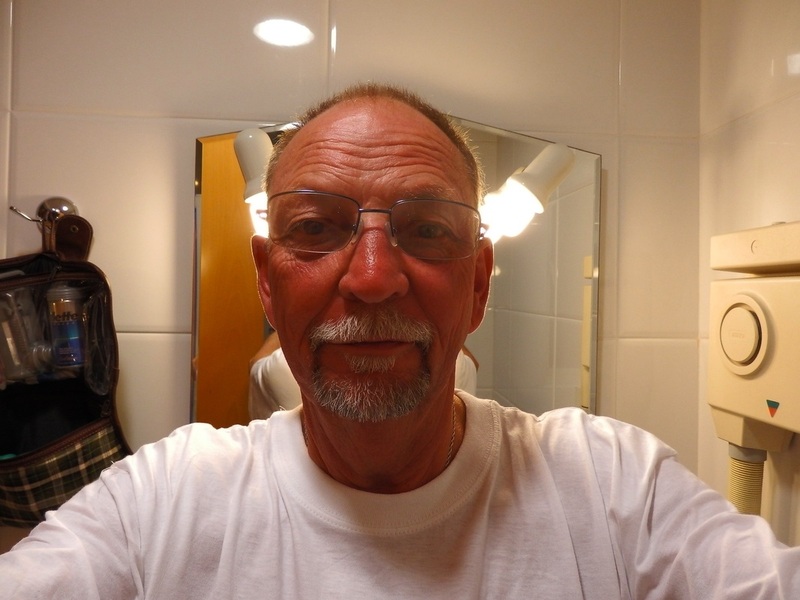 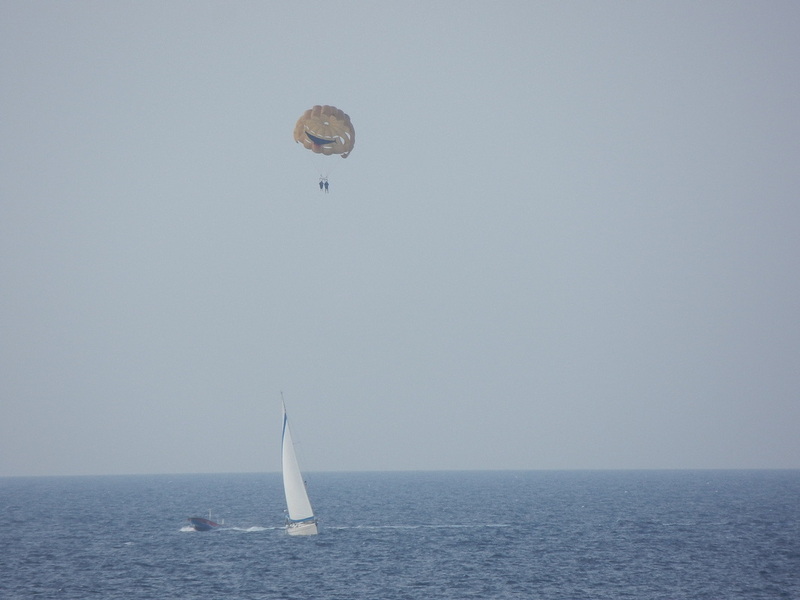 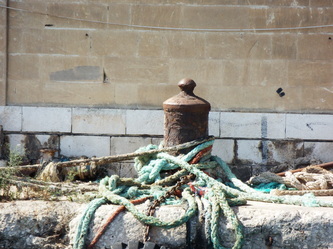 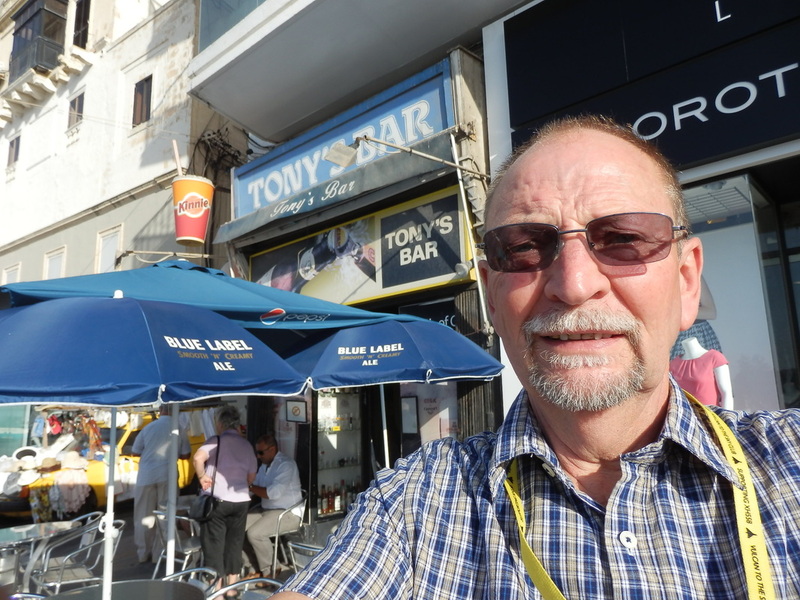 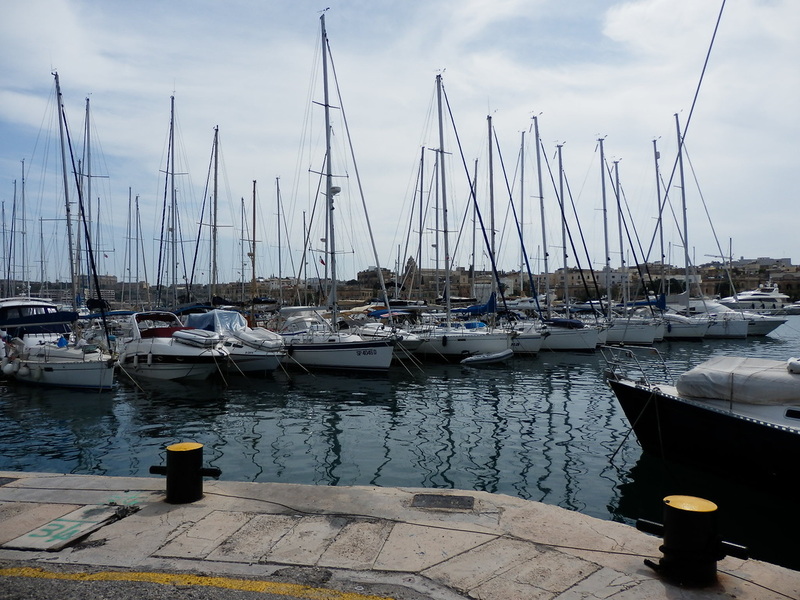 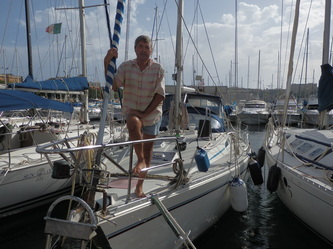 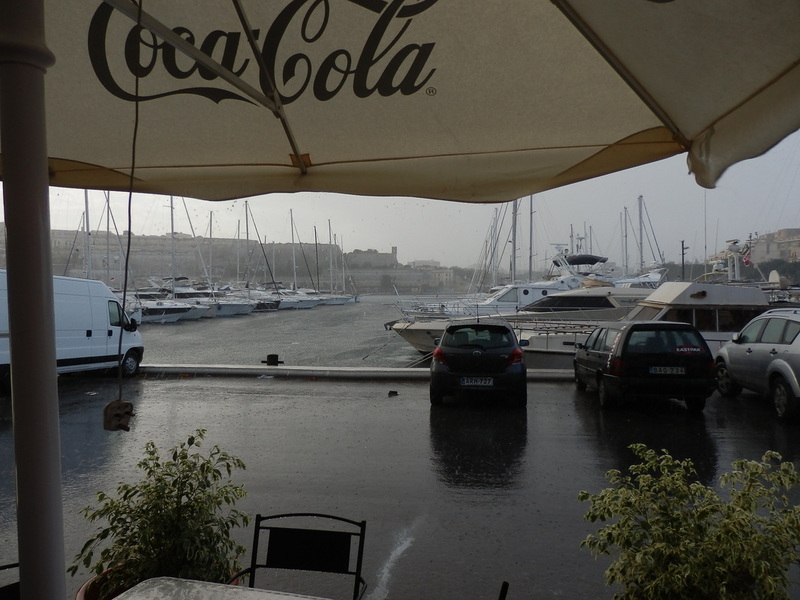 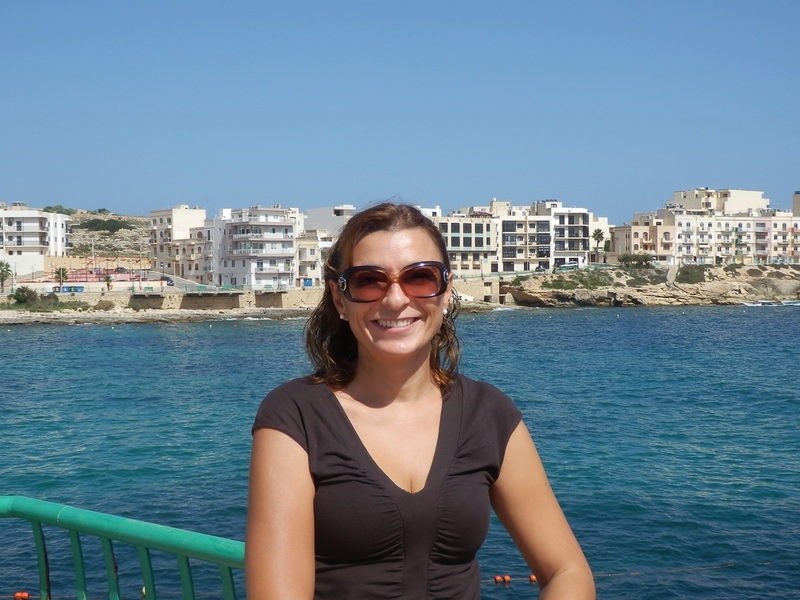 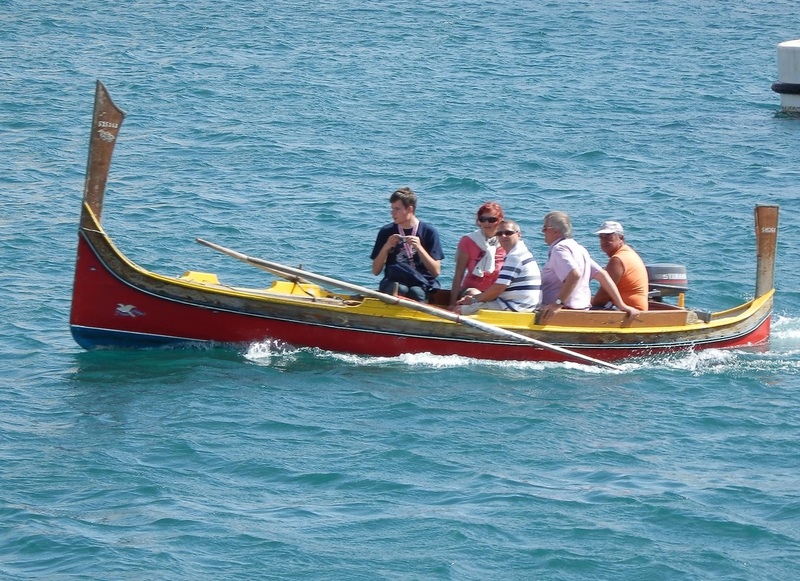 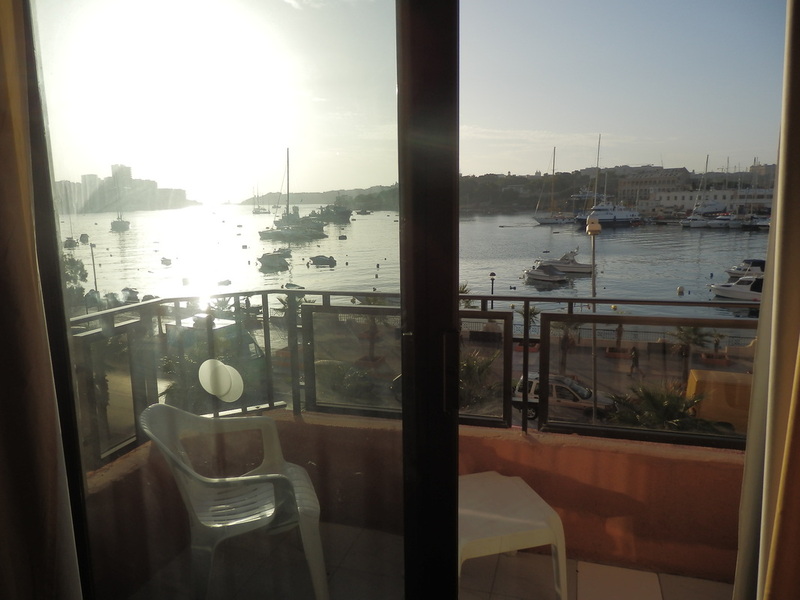 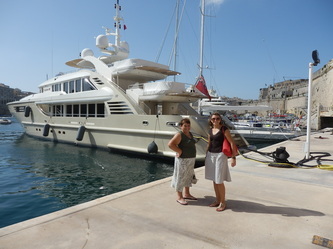 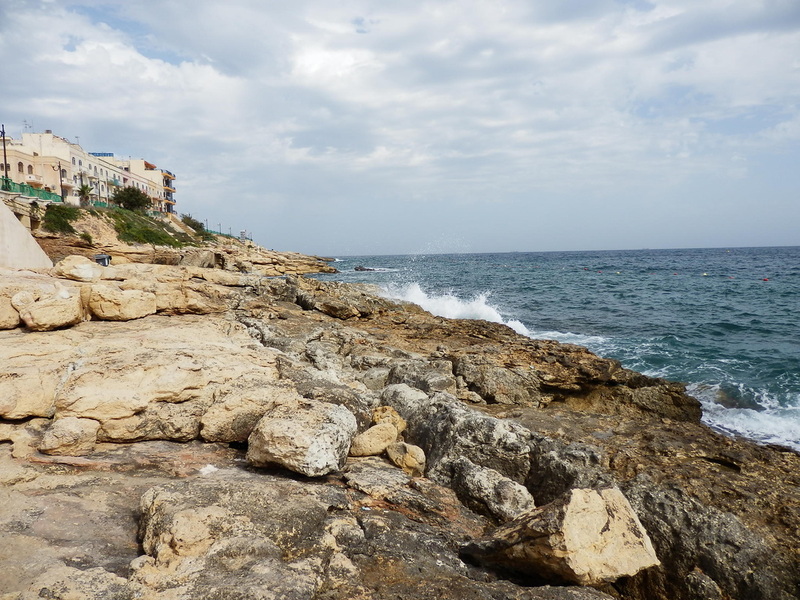 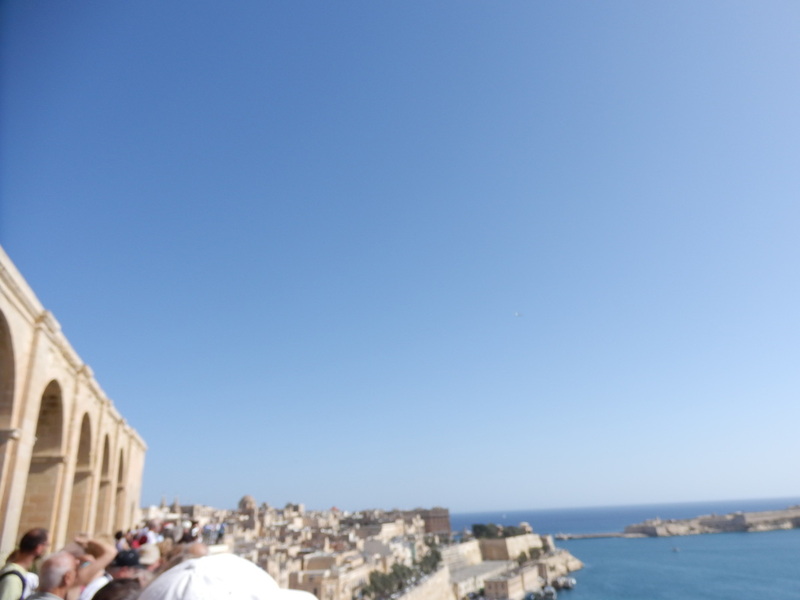 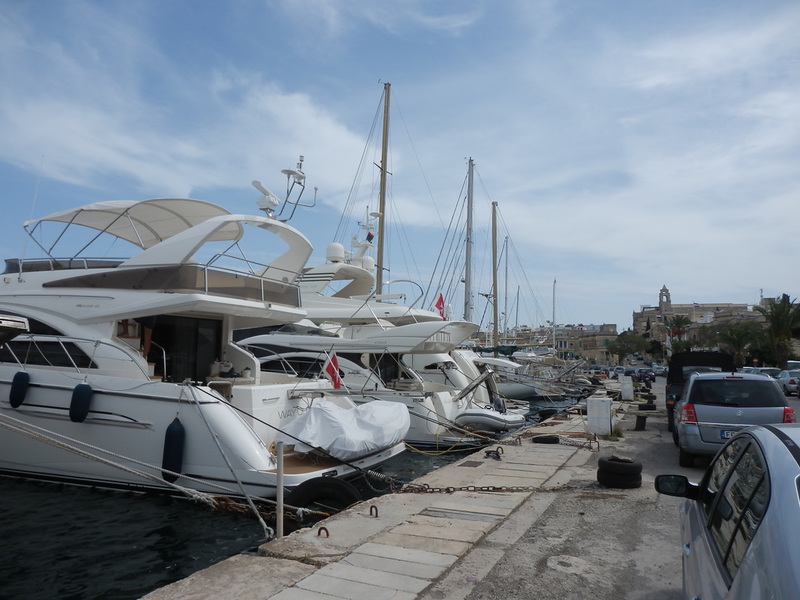 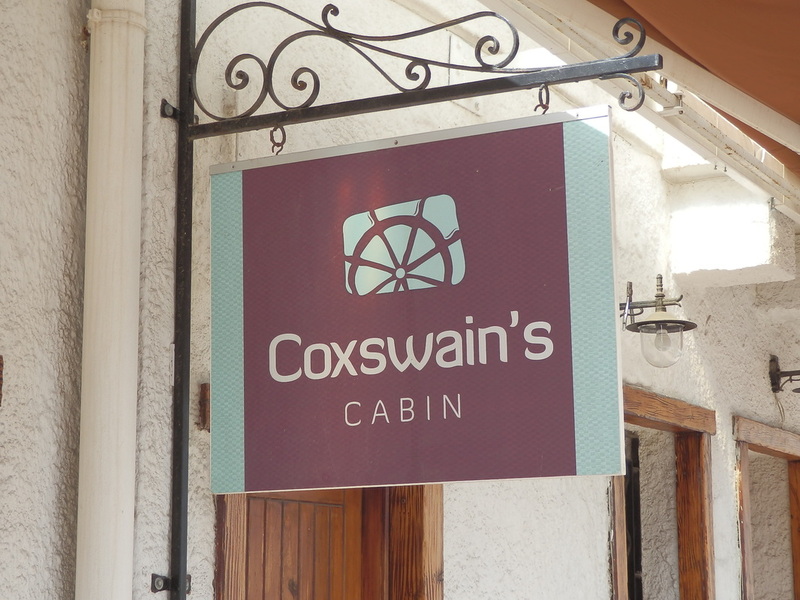 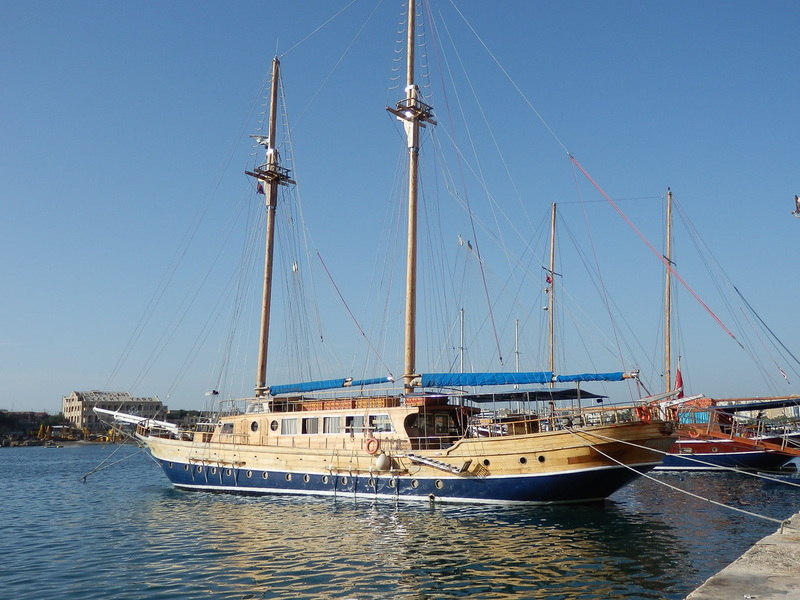 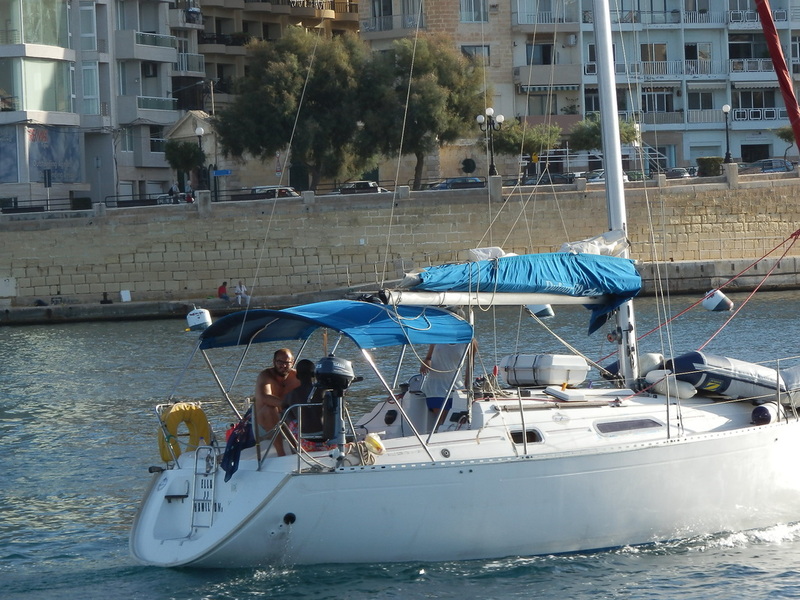 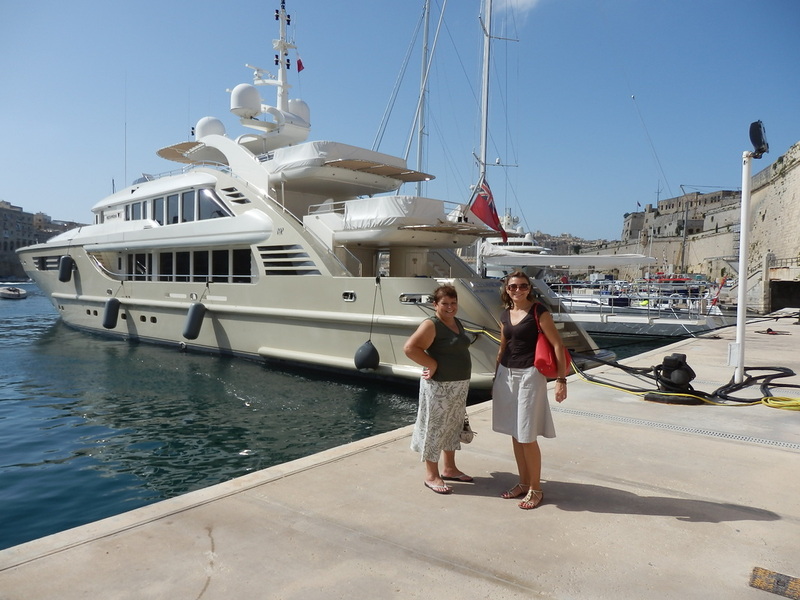 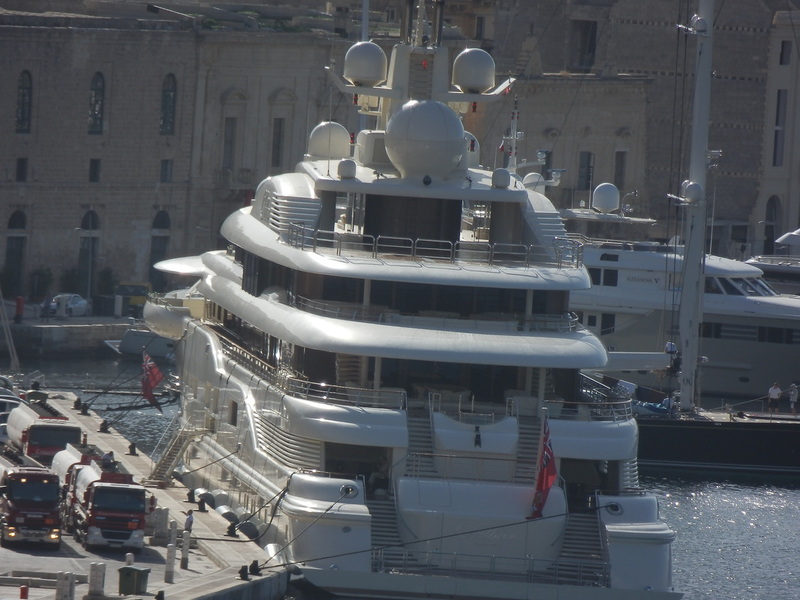 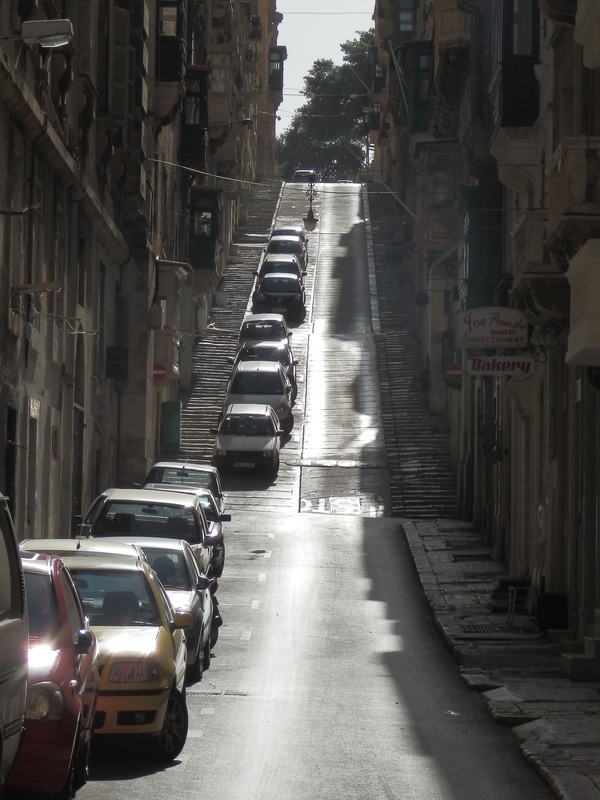 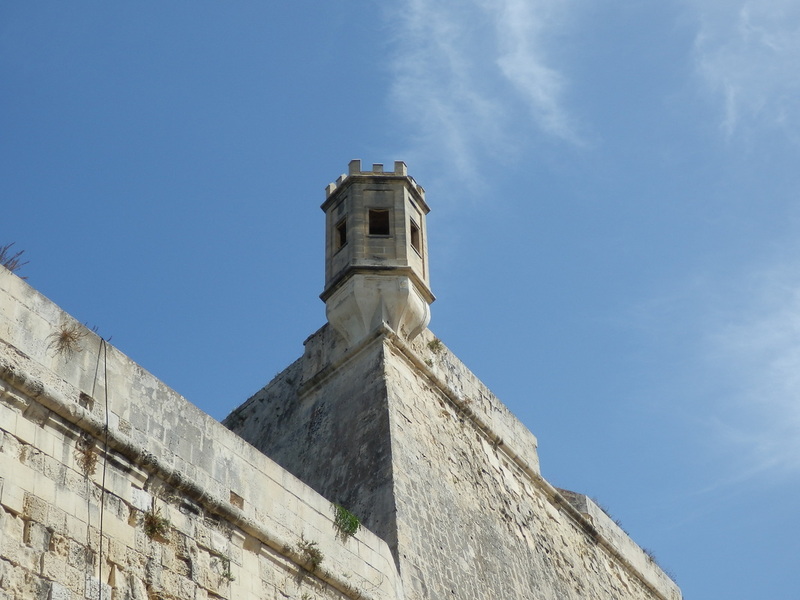 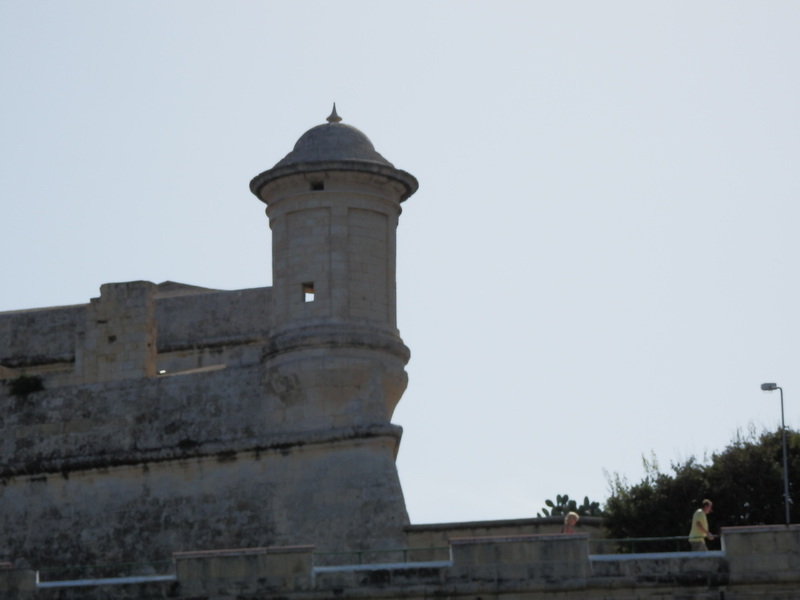 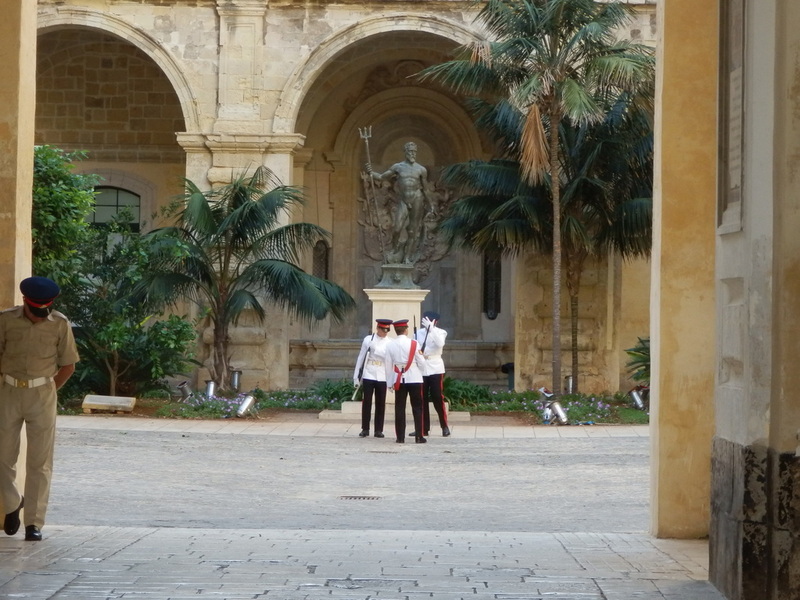 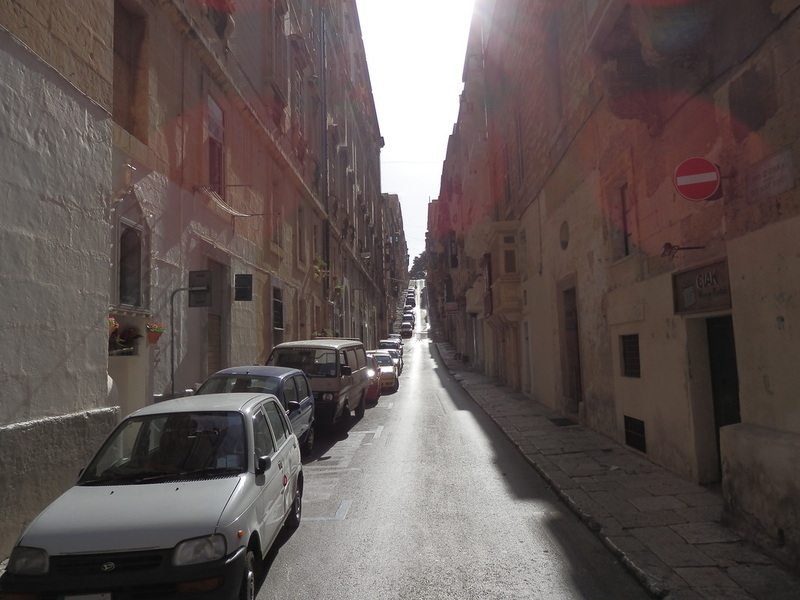 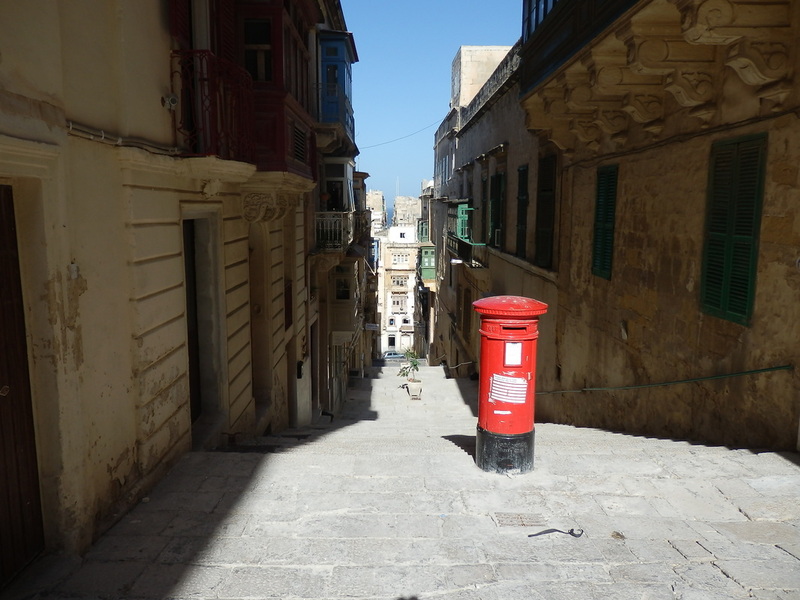 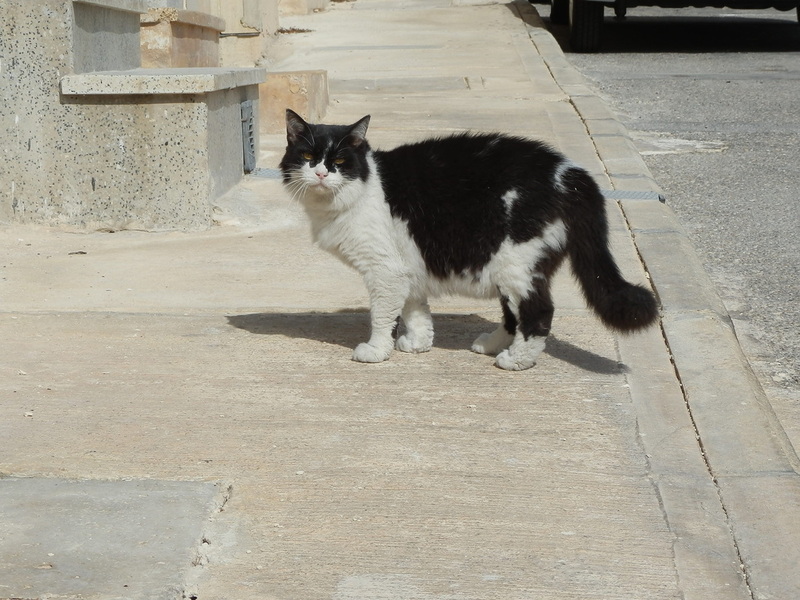 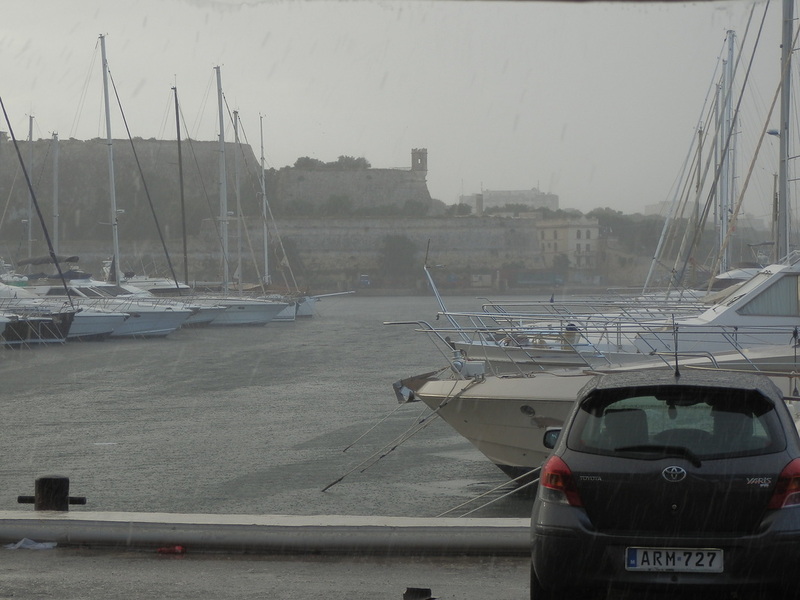 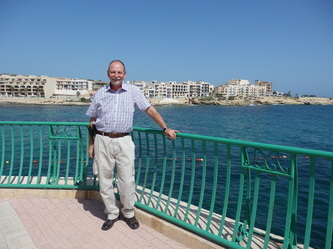 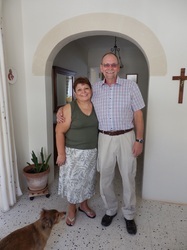 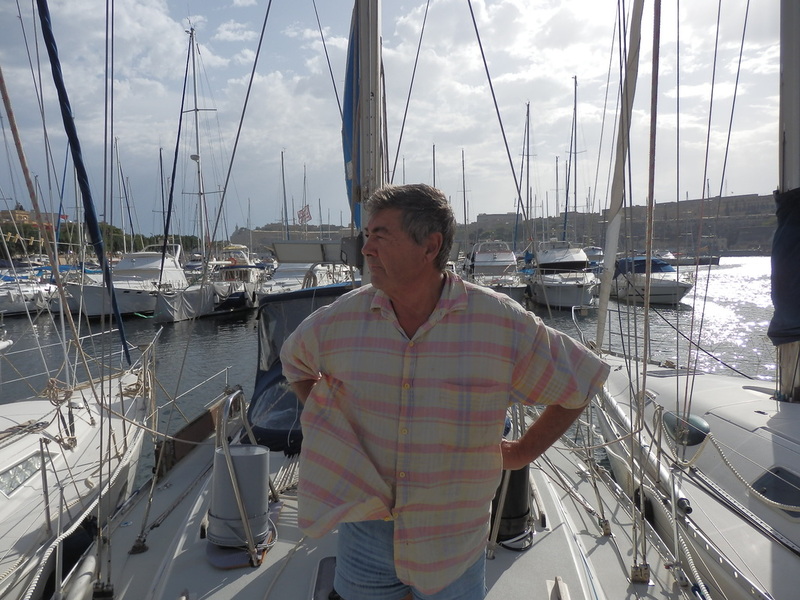 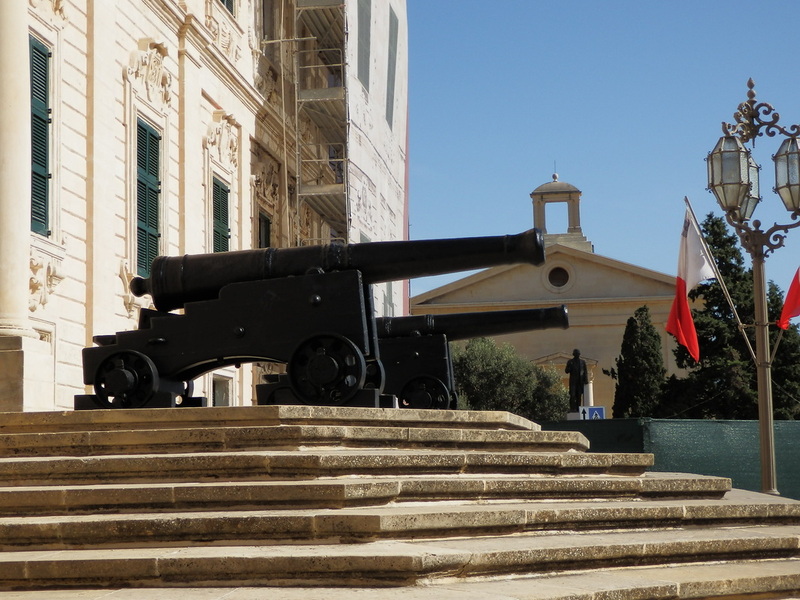 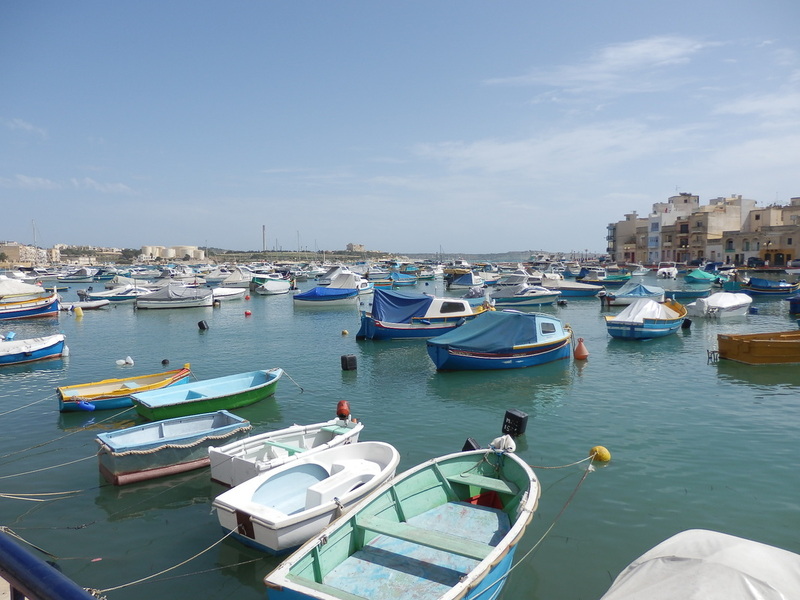 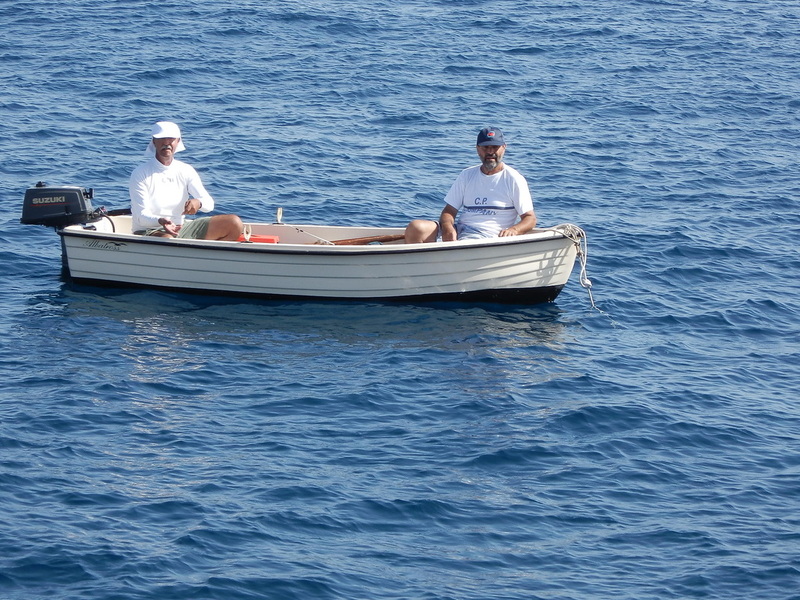 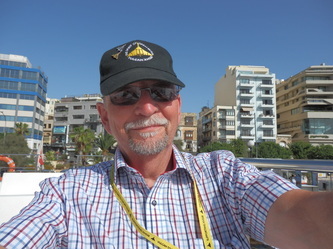 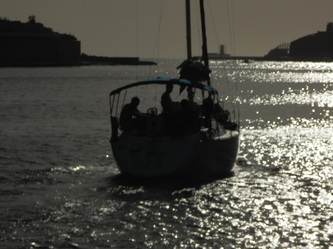 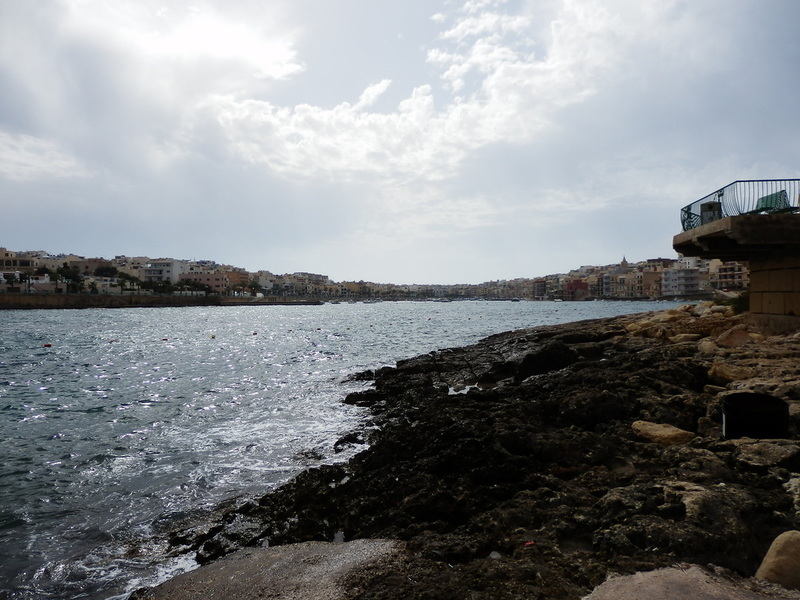 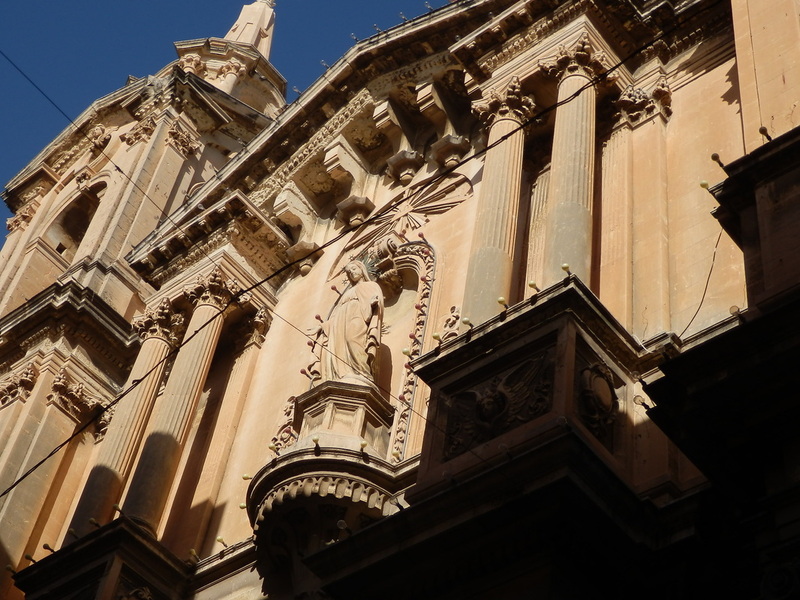 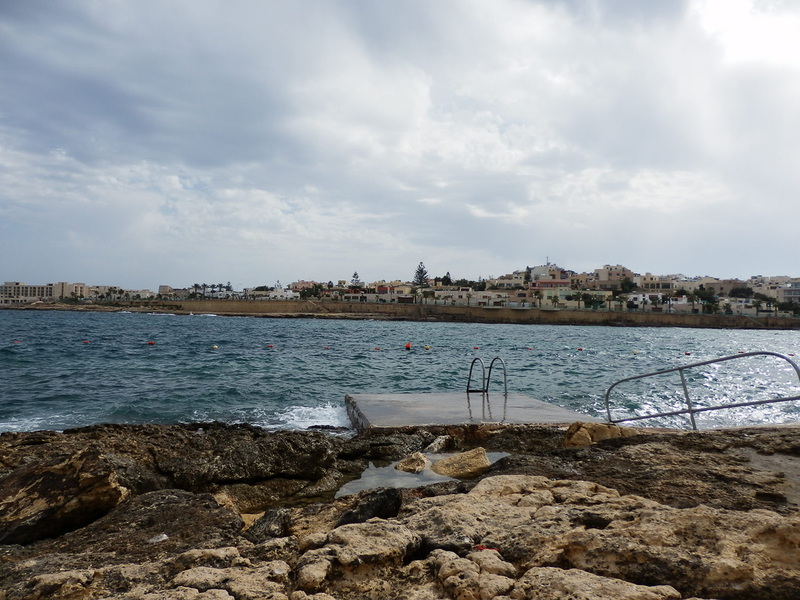 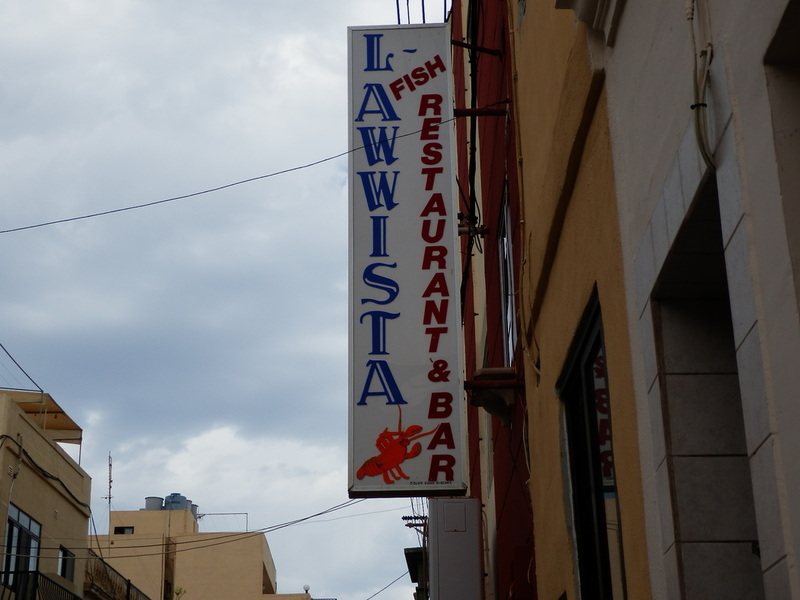 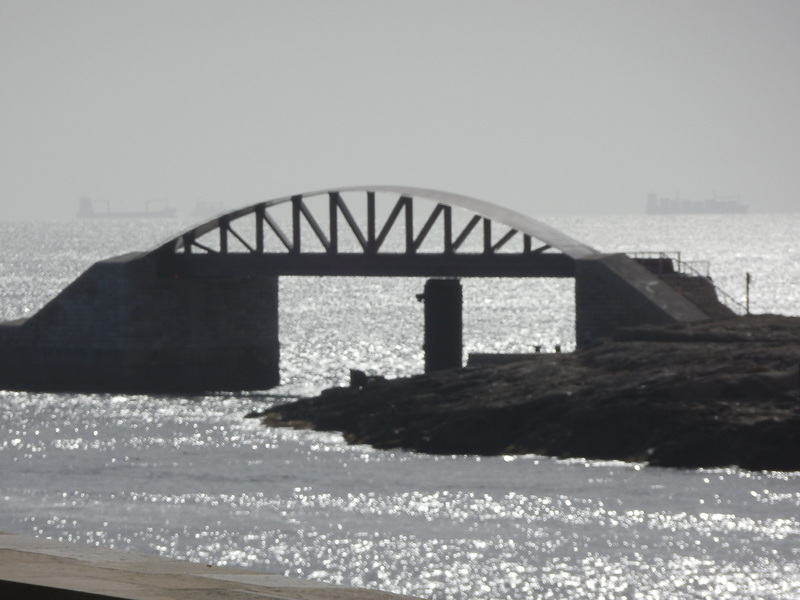 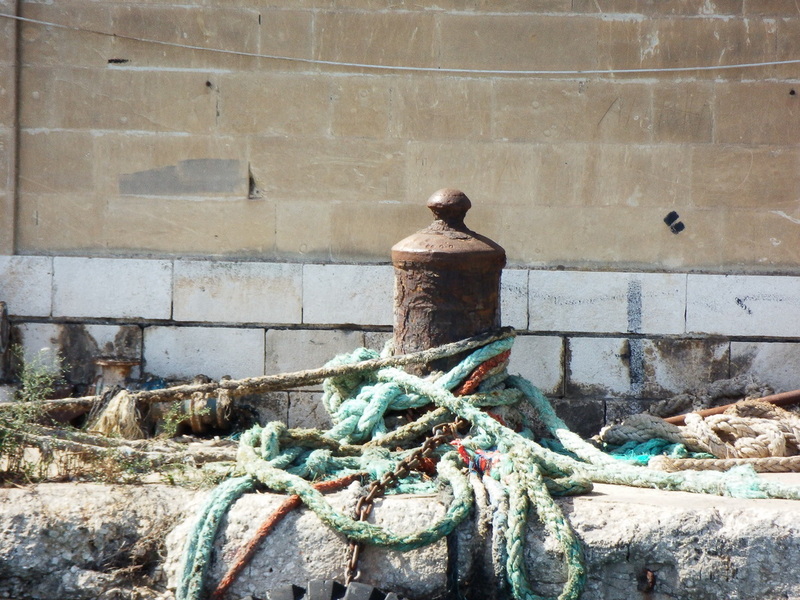 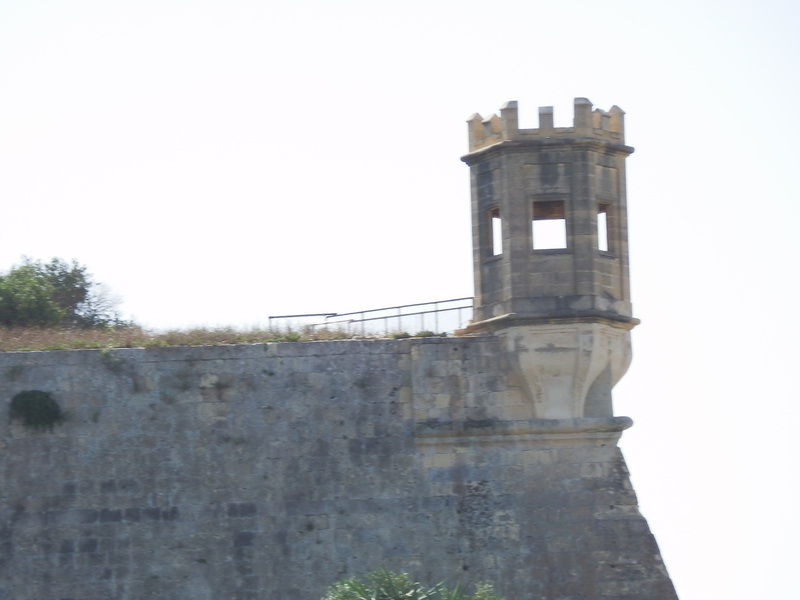 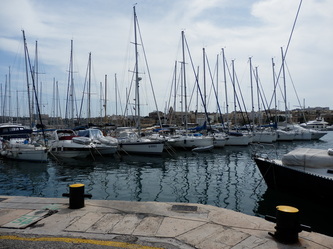 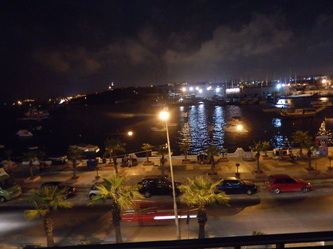 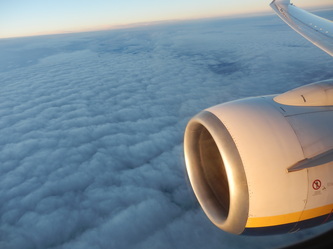 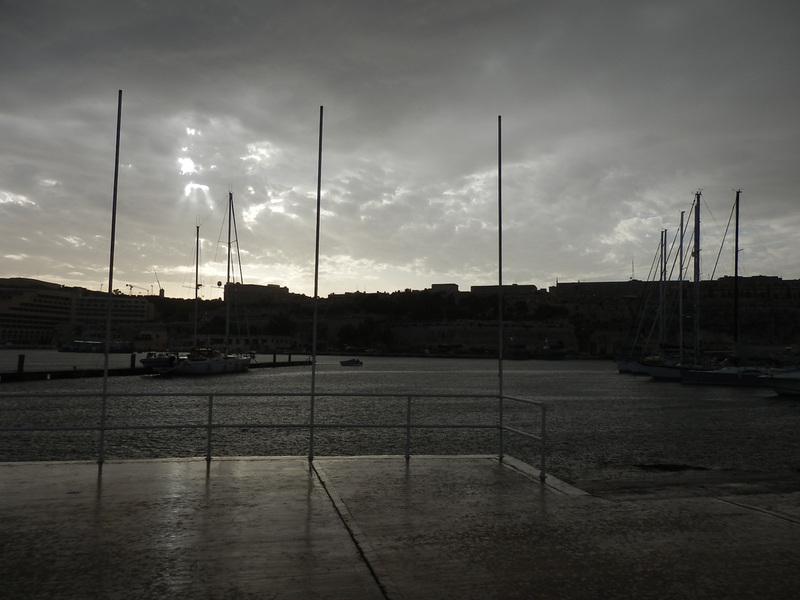 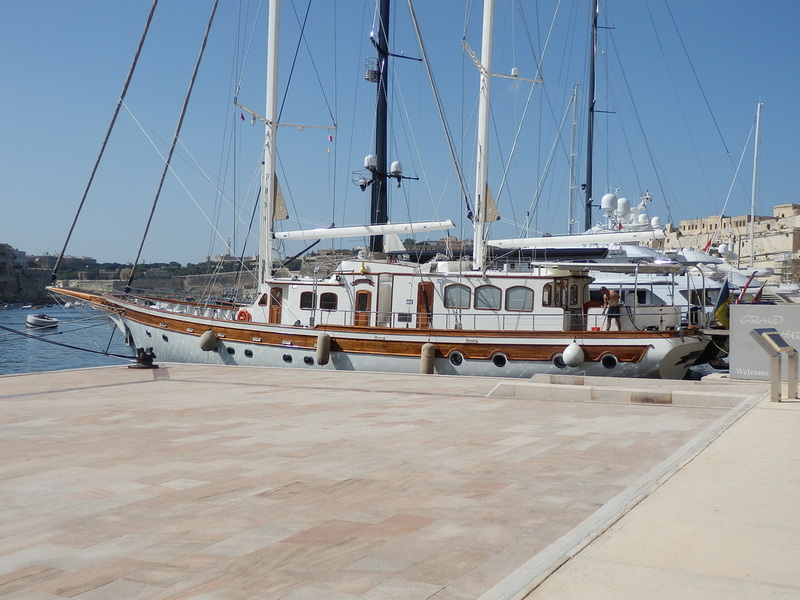 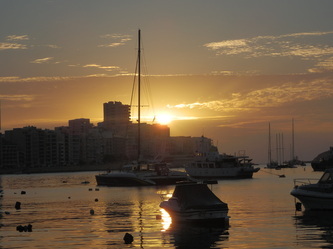 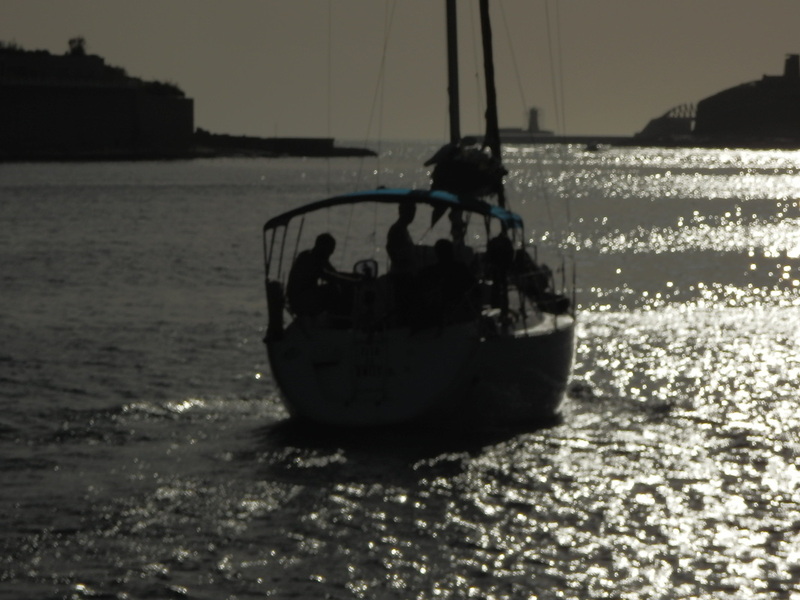 Send me your photographs of your time in Malta. 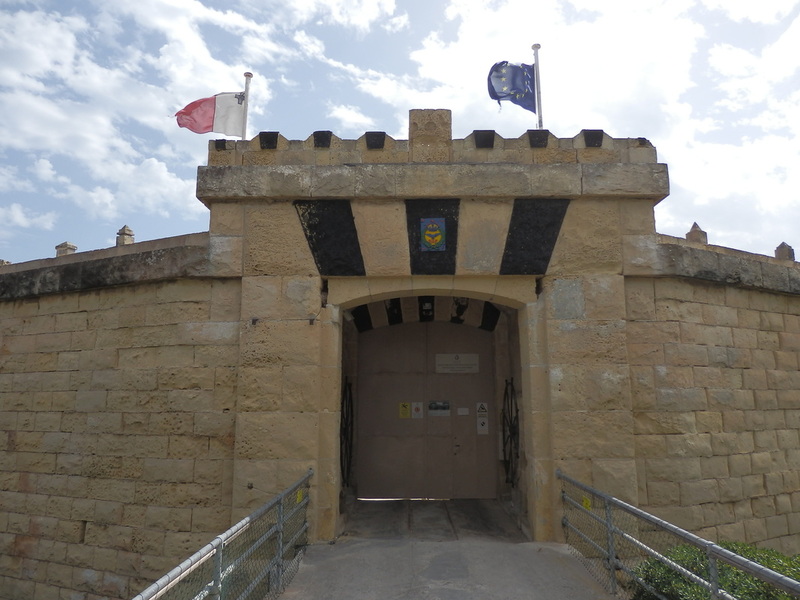 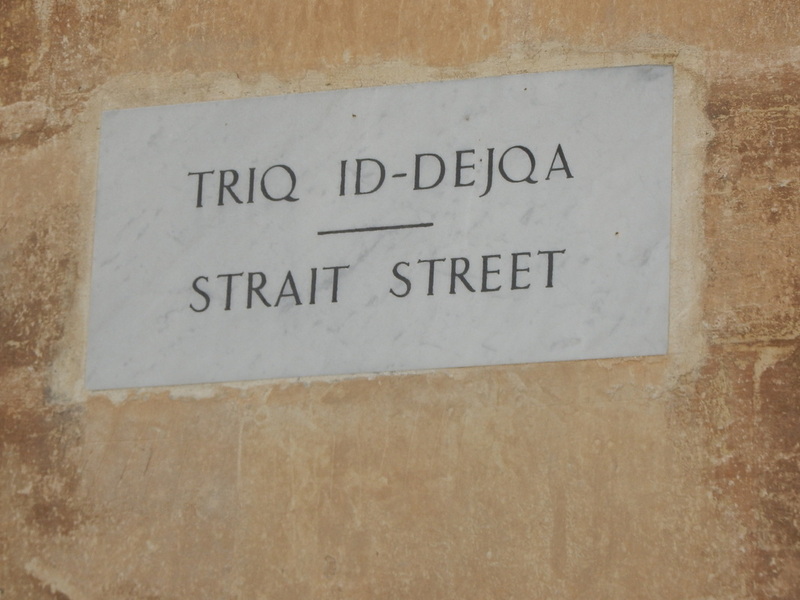 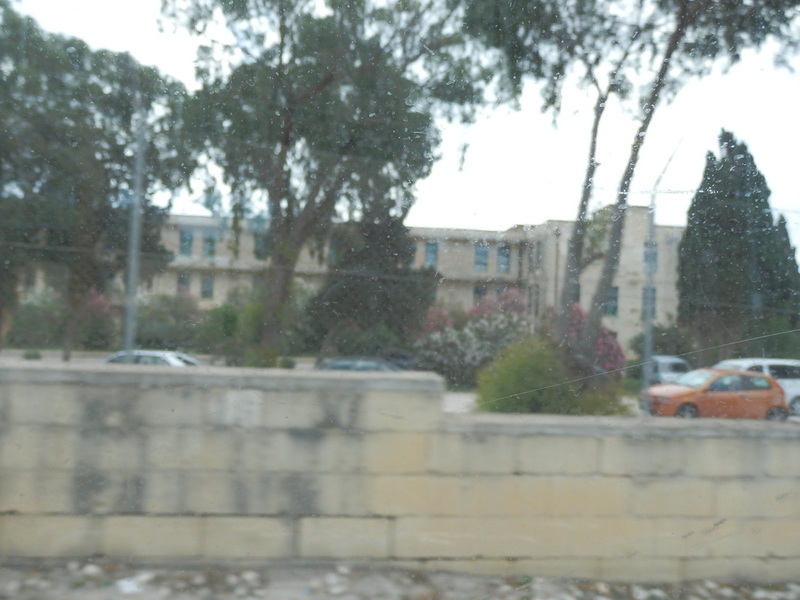 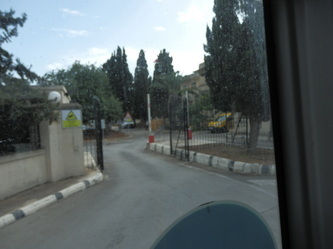 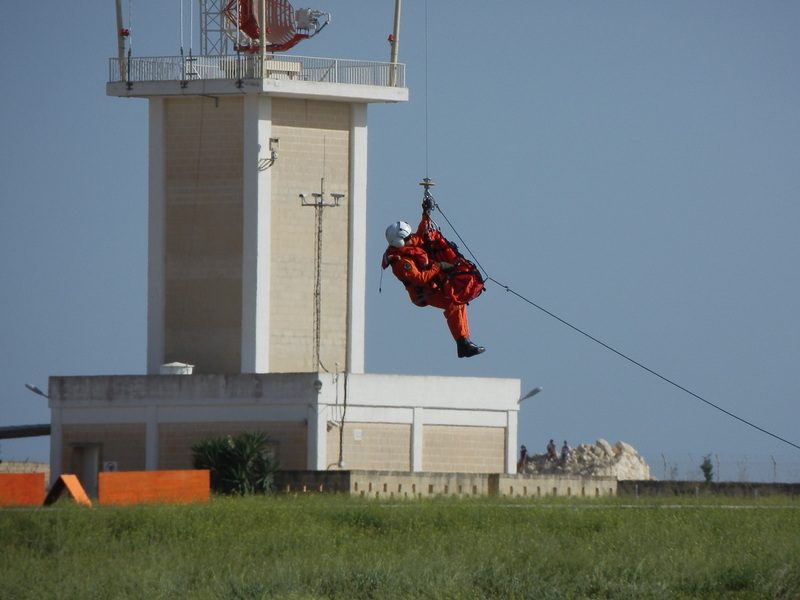 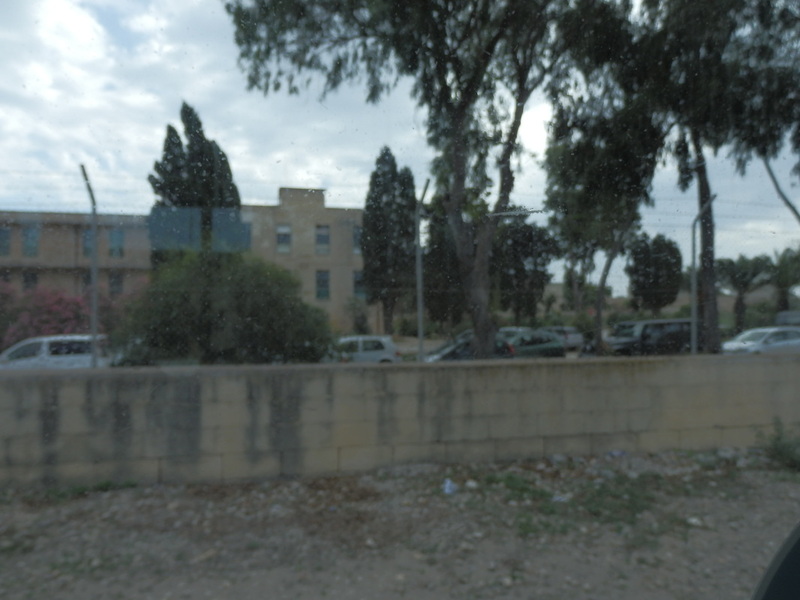 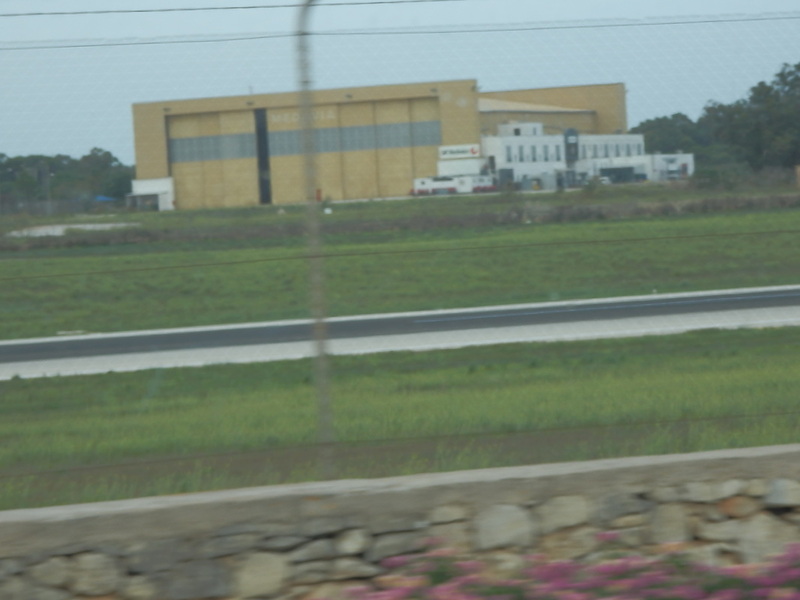 Feel free to send me photographs of your time at RAF Luqa/Malta, or any other bases, and I'll upload them. It's a free website and no facility for uploading or adding comments etc yourself but Weebly has added the comments functionality in October 2009. 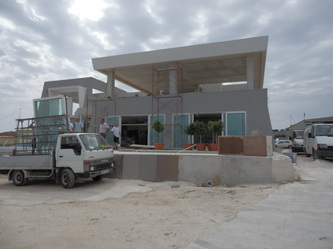 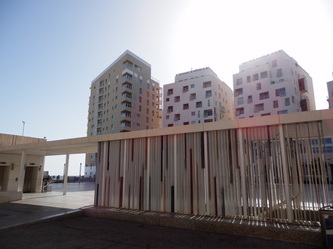 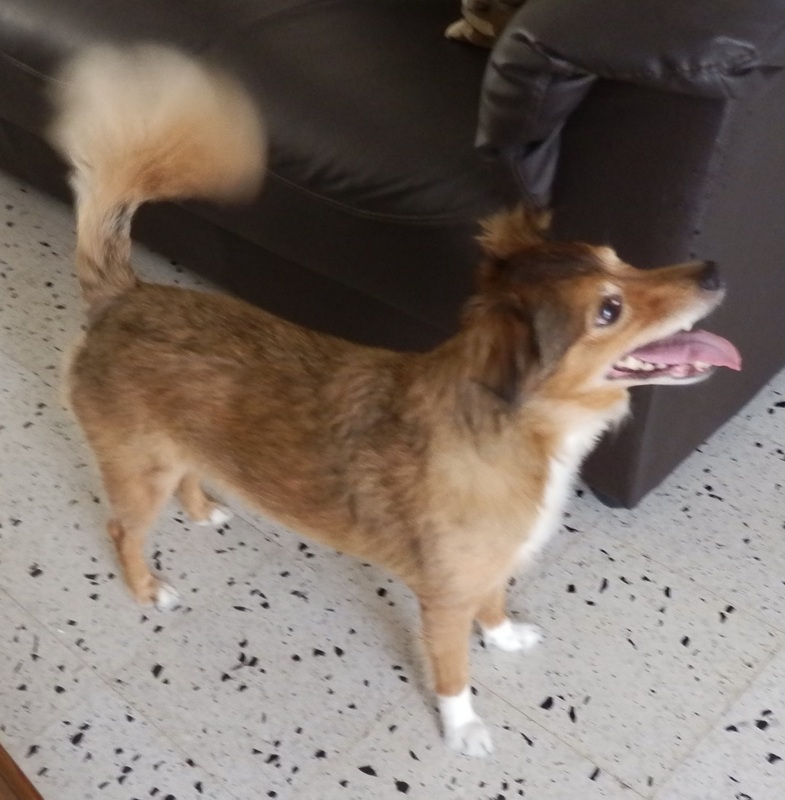 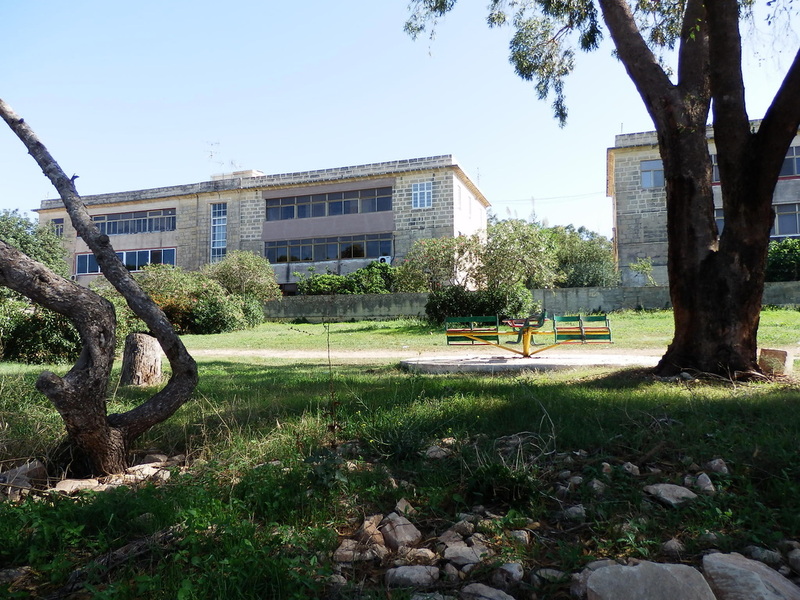 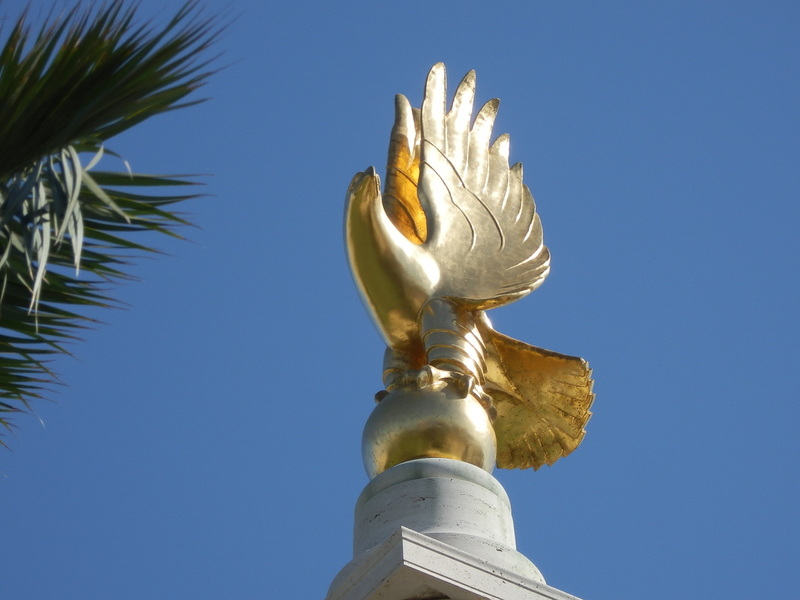 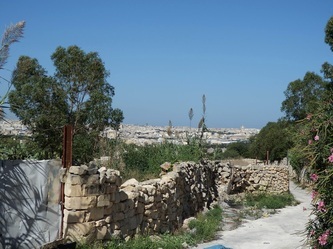 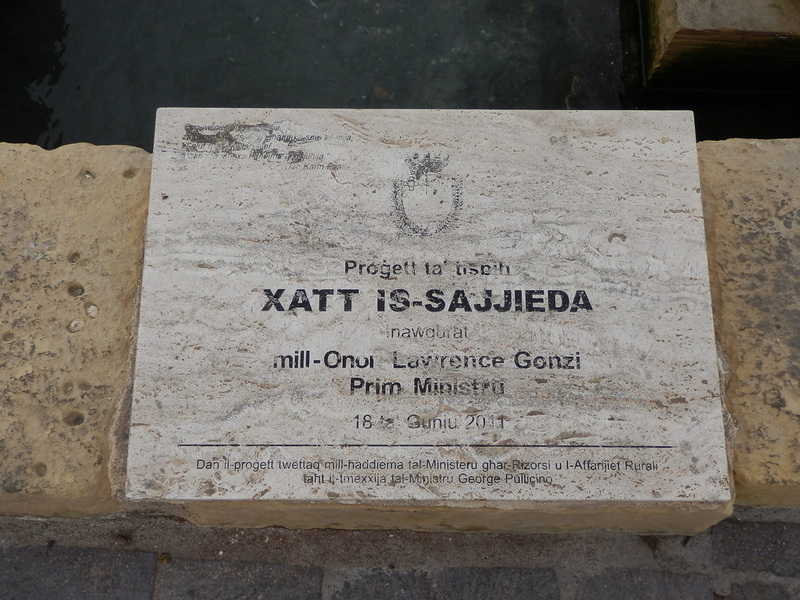 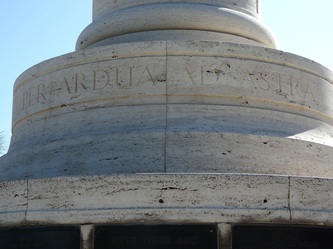 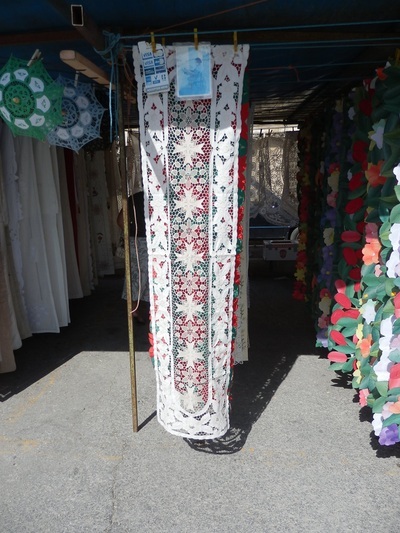 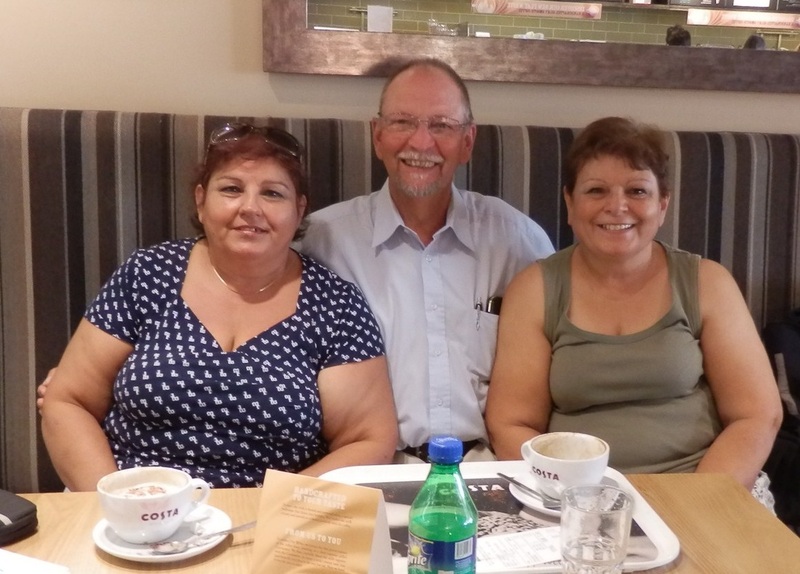 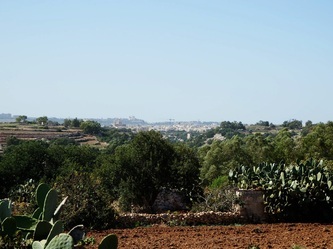 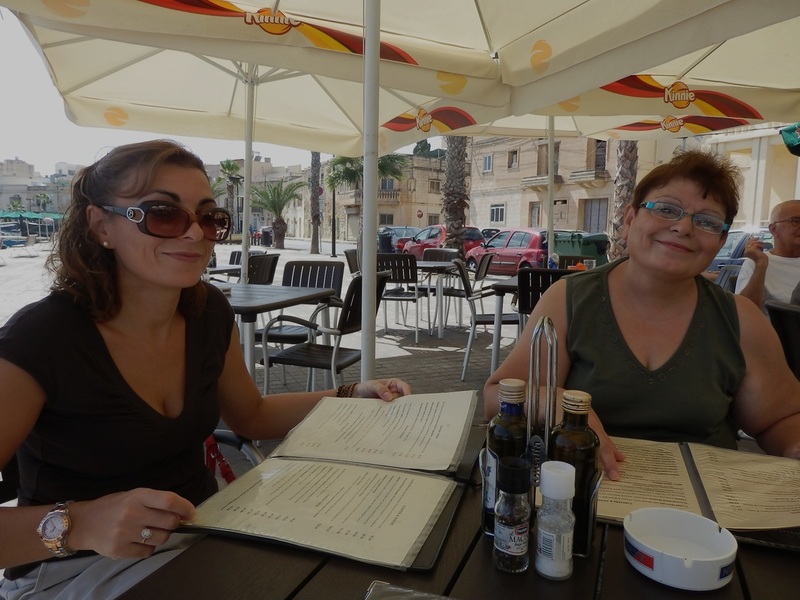 So, if you want your name, maybe dates at Luqa, a comment on each photo, I can do this now and the comment will be seen when the photograph is selected. 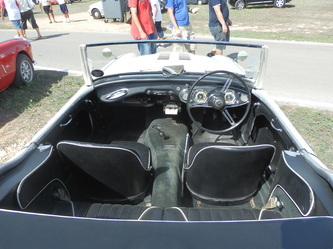 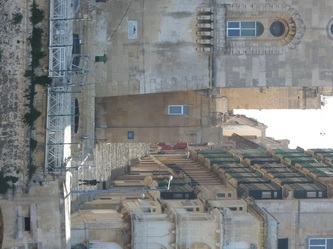 This will also enlarge the photo for viewing. 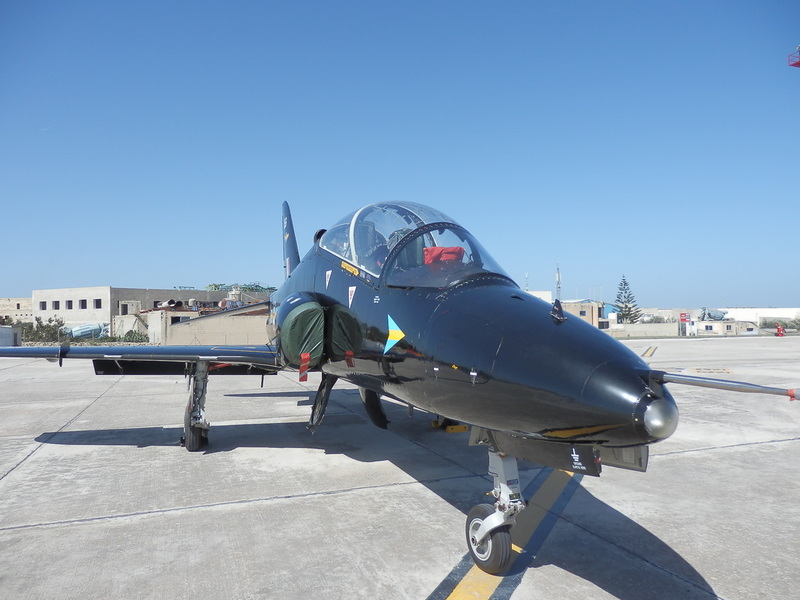 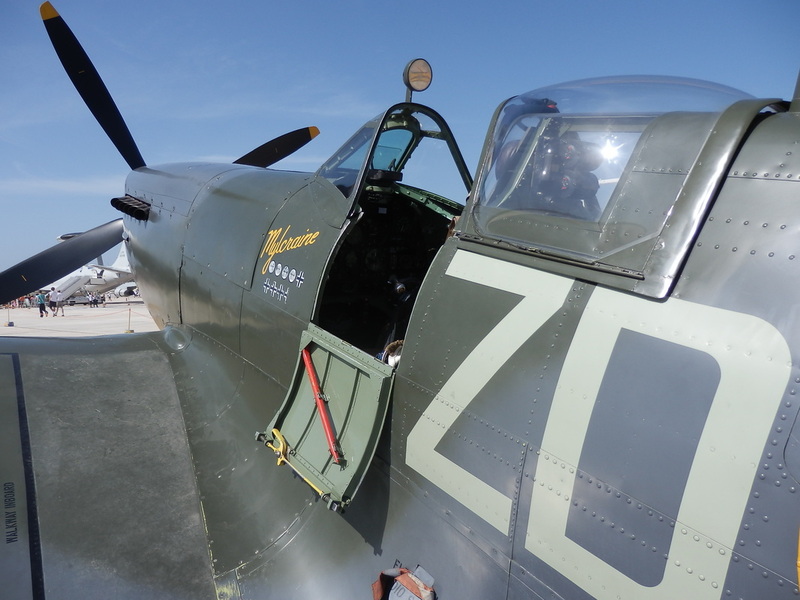 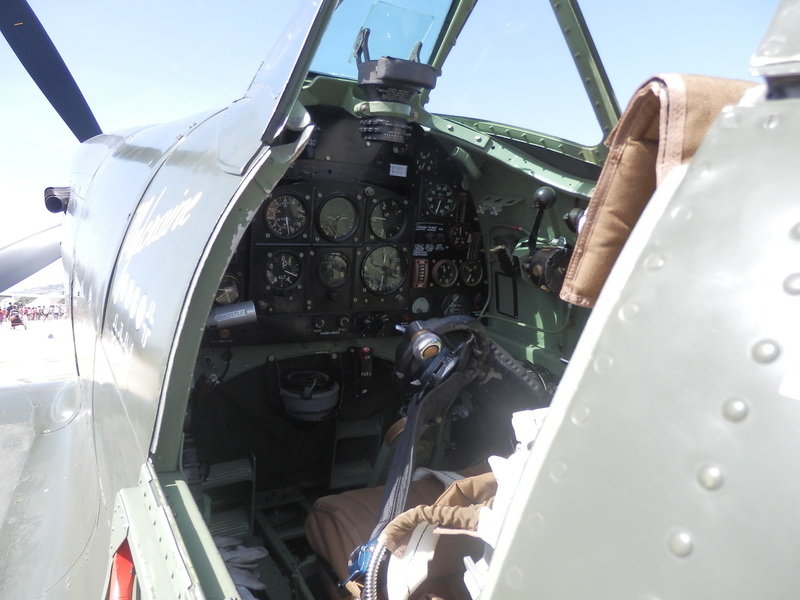 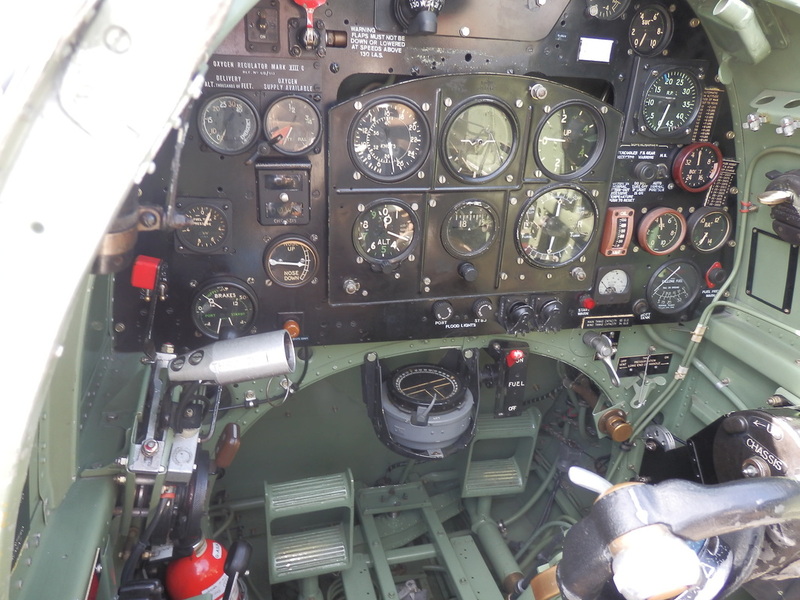 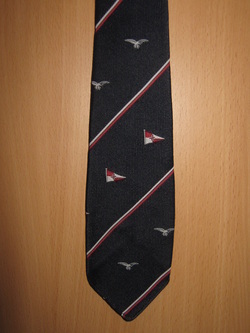 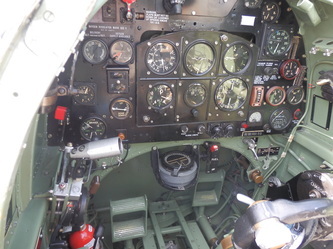 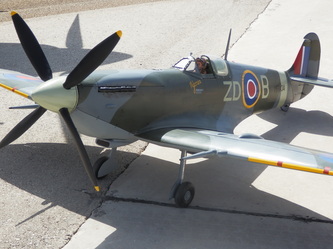 See other galleries for Squadrons, Aircraft, Sports and Clubs. 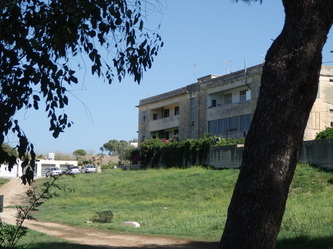 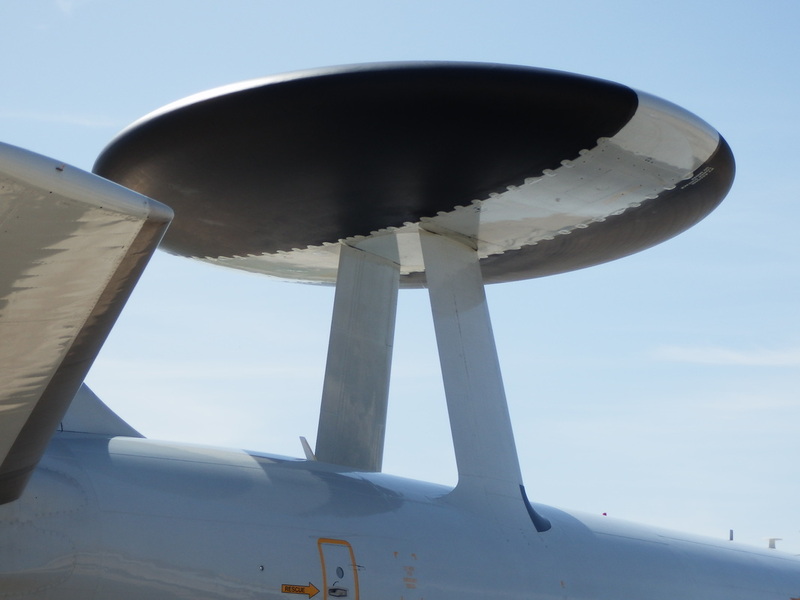 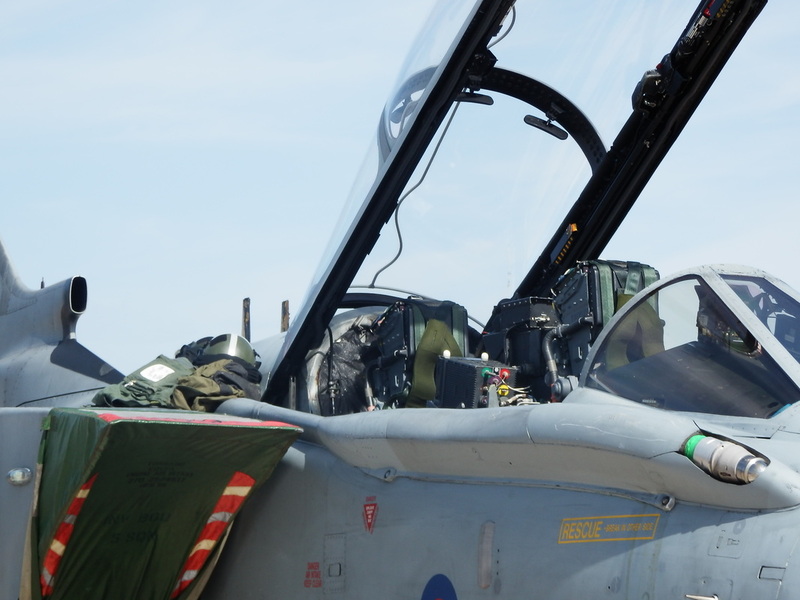 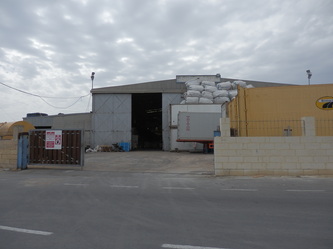 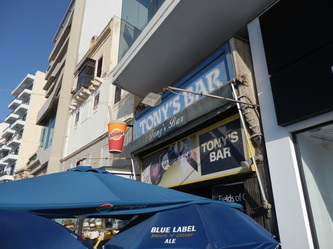 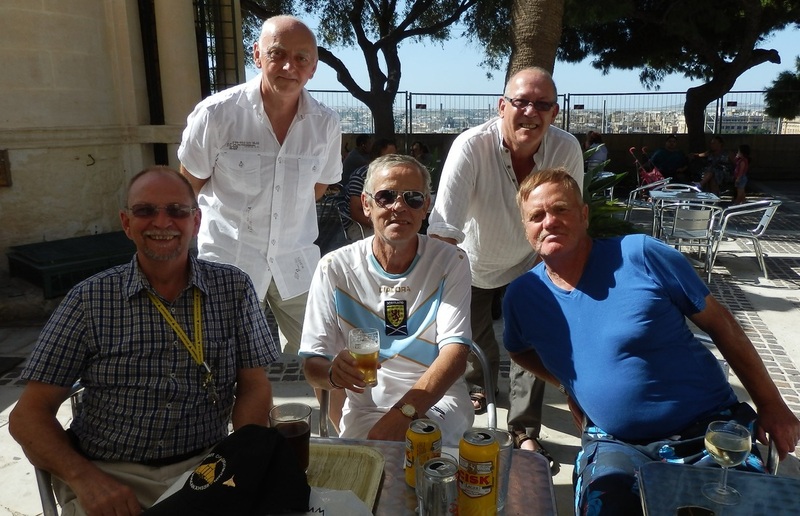 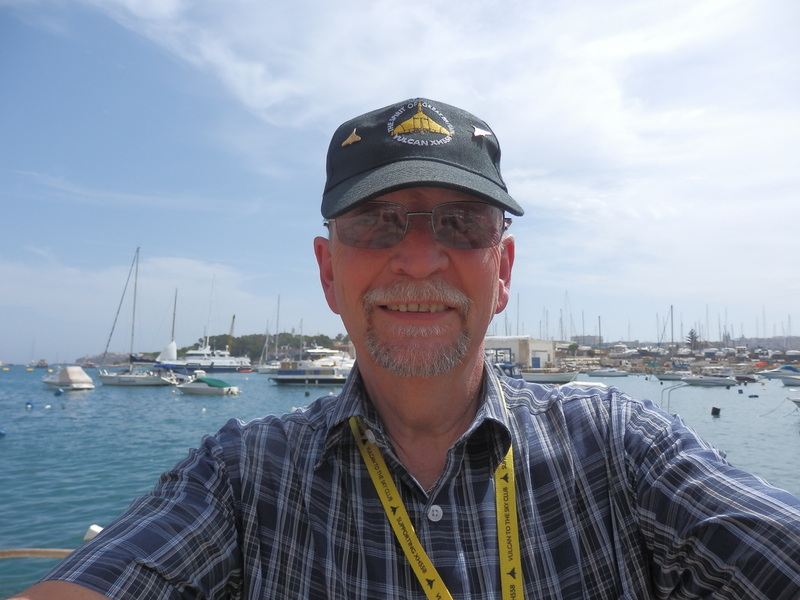 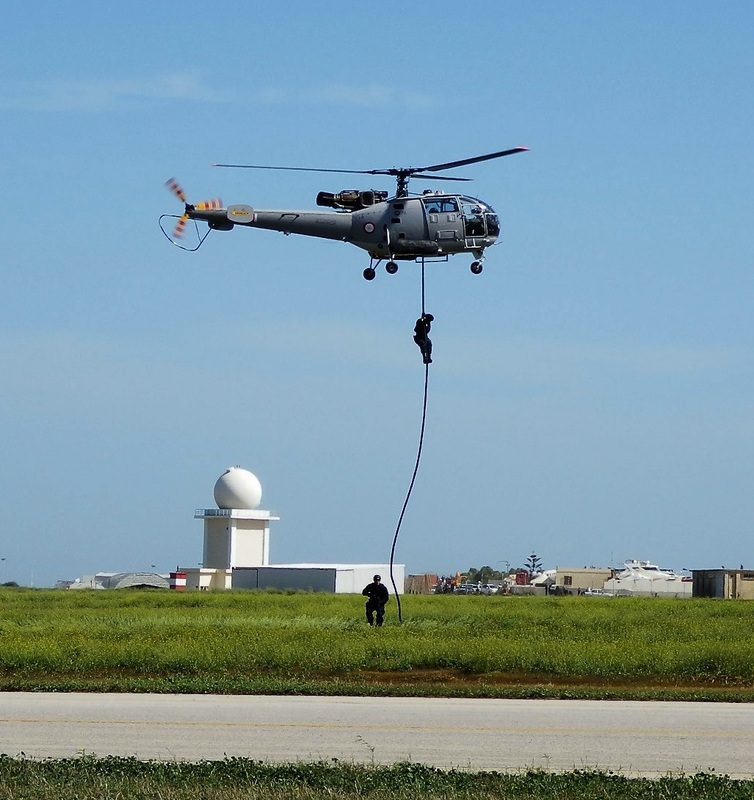 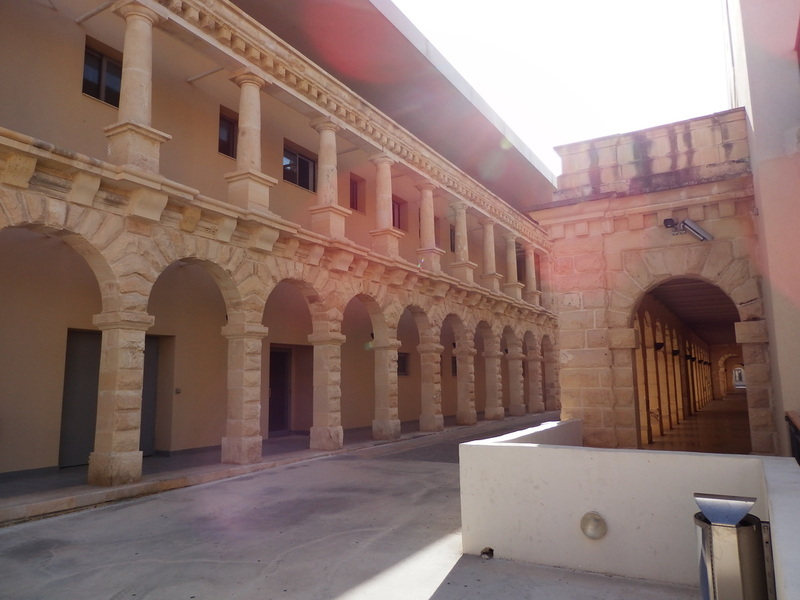 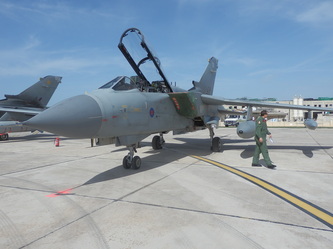 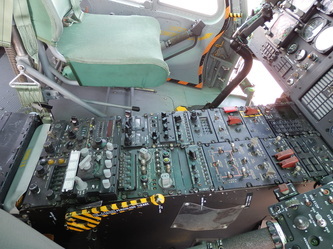 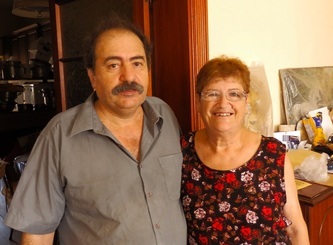 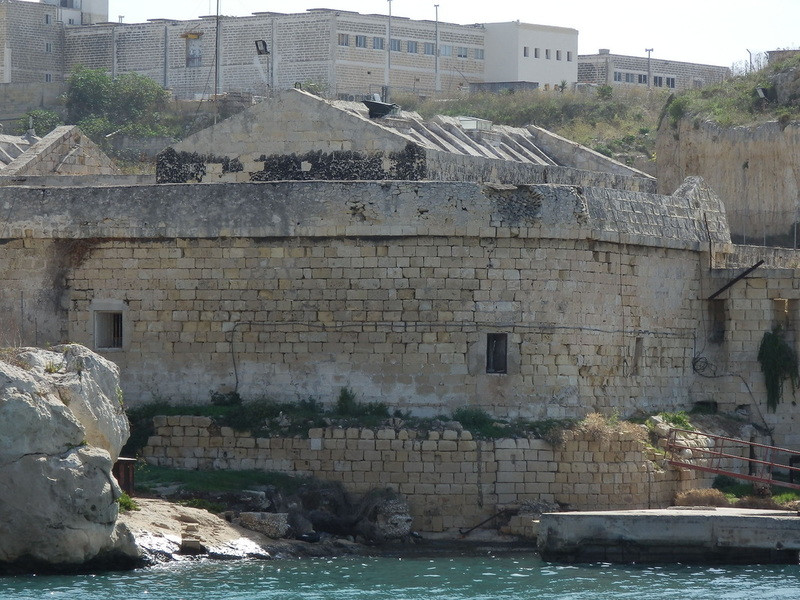 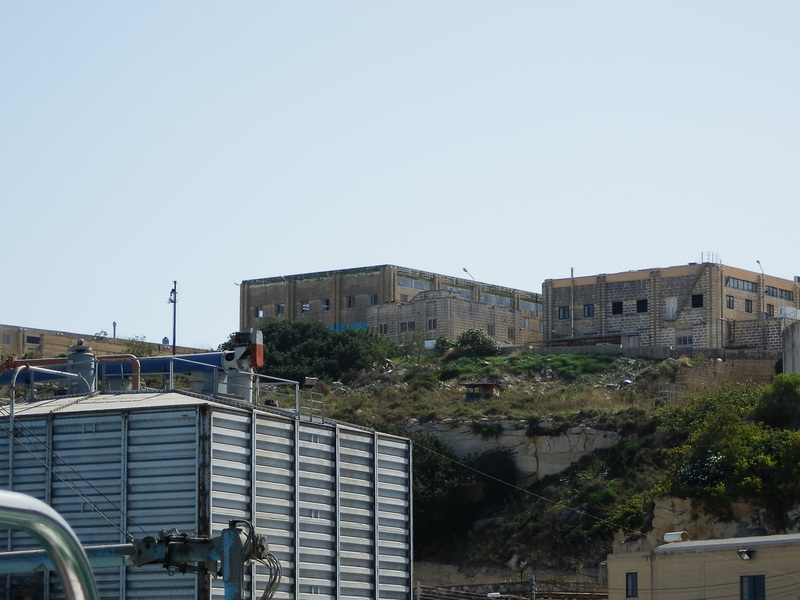 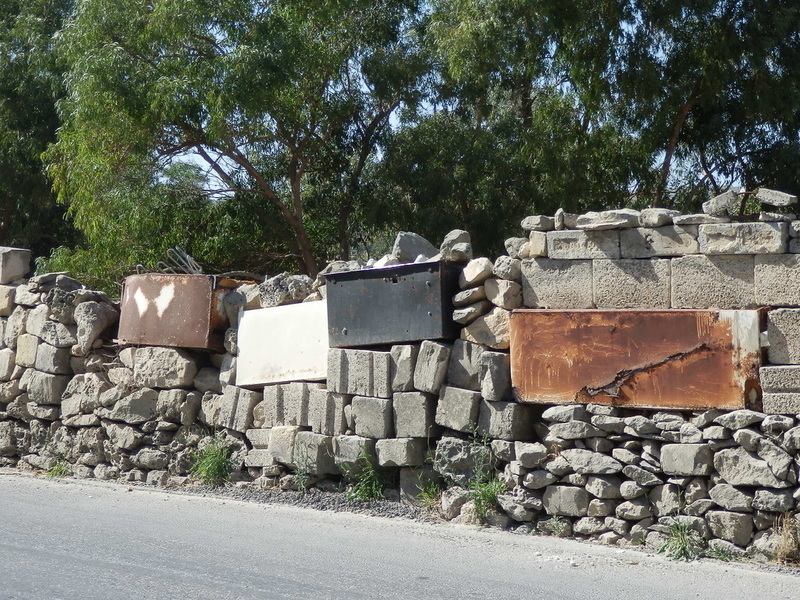 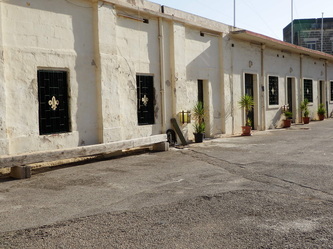 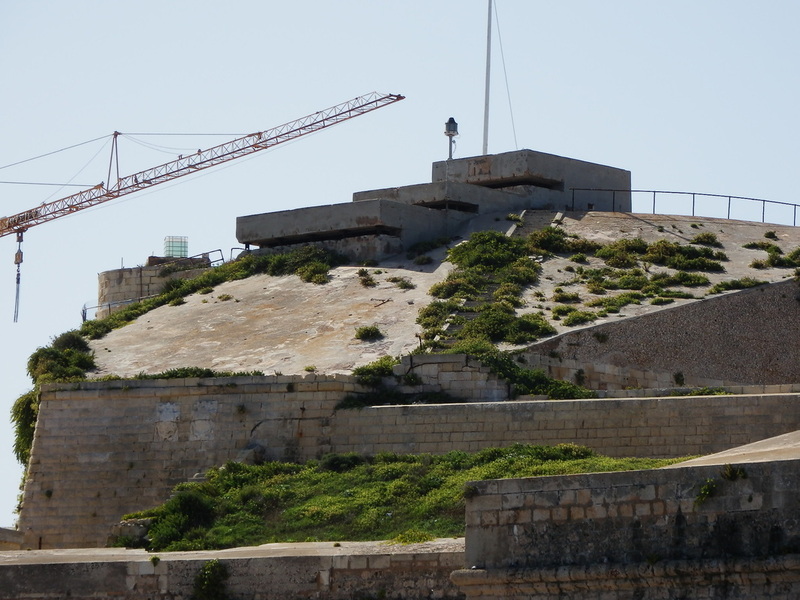 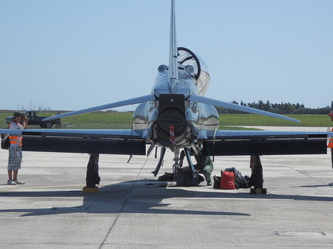 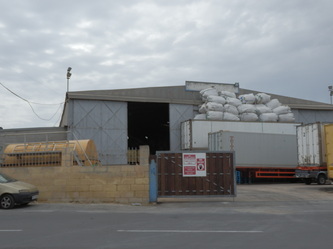 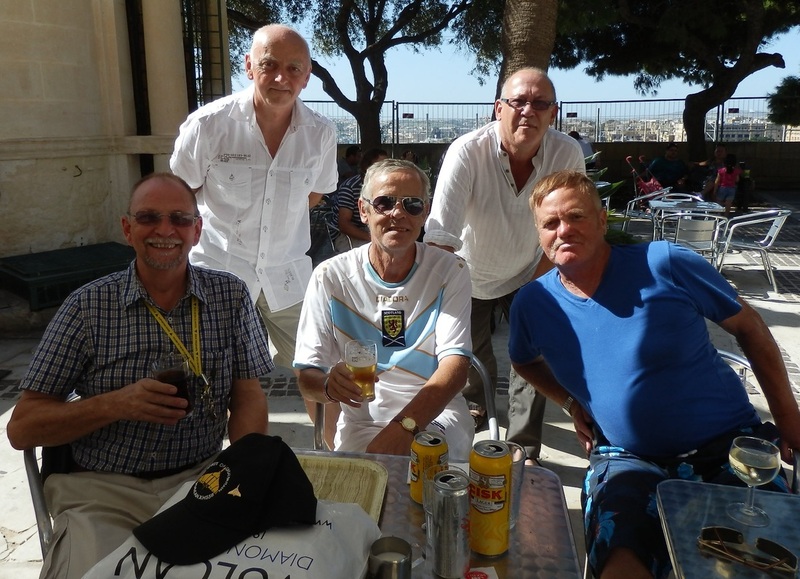 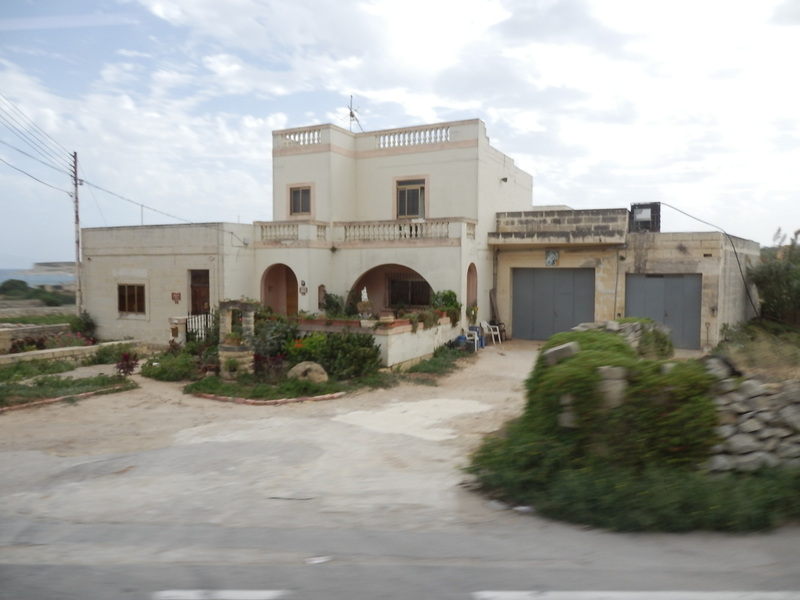 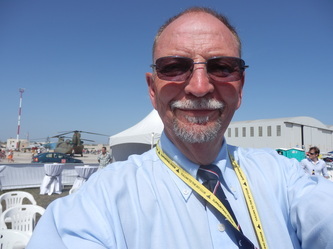 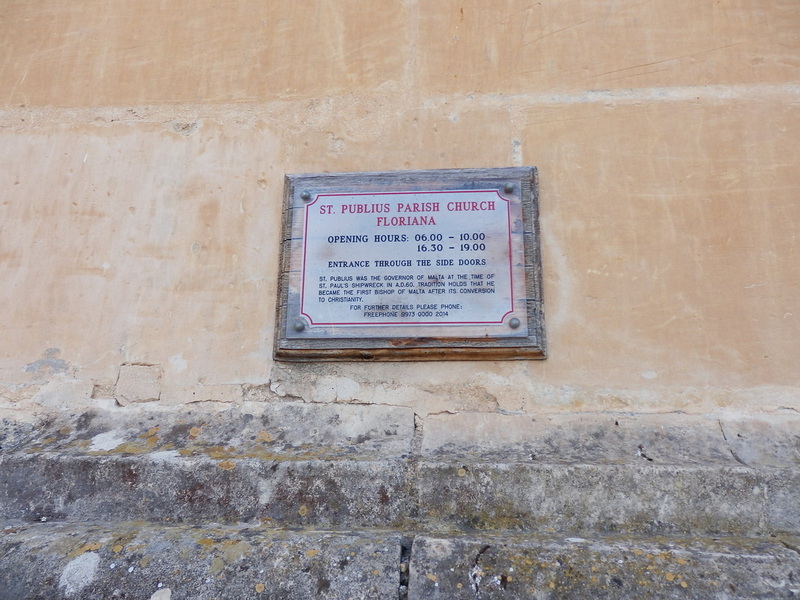 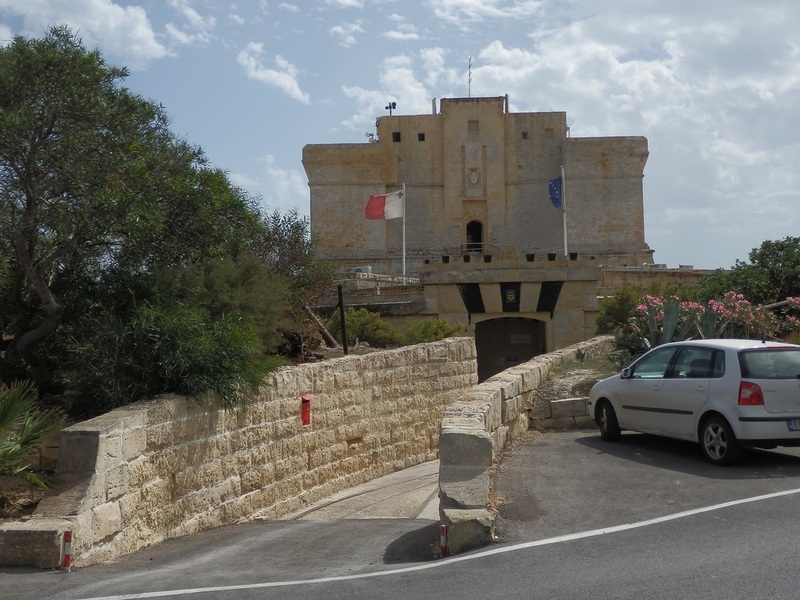 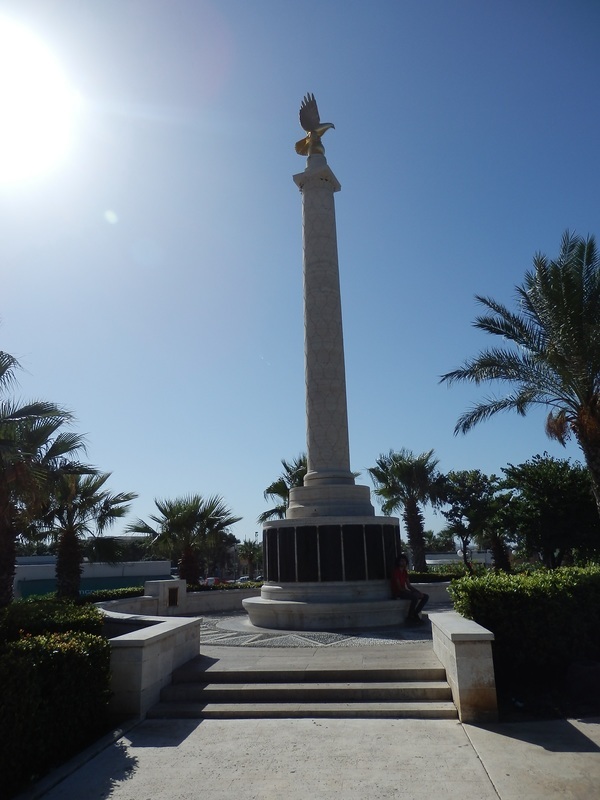 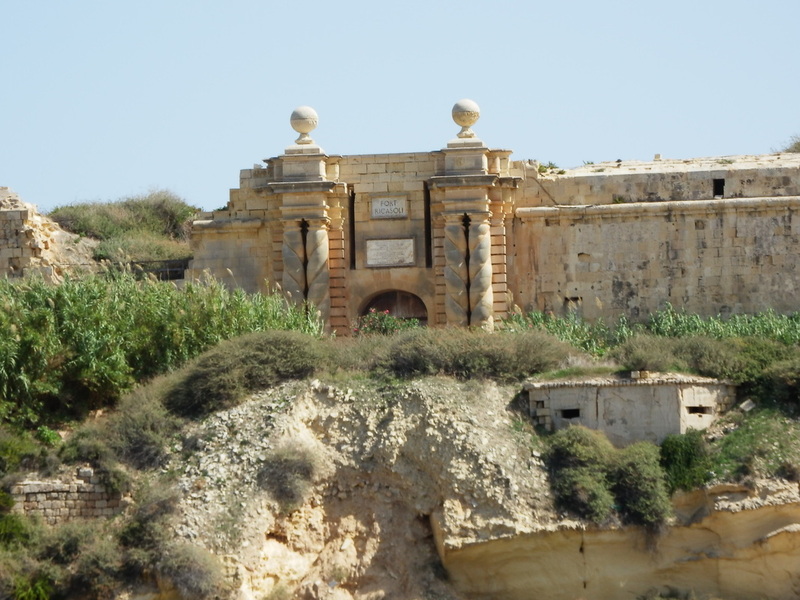 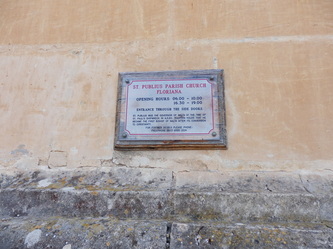 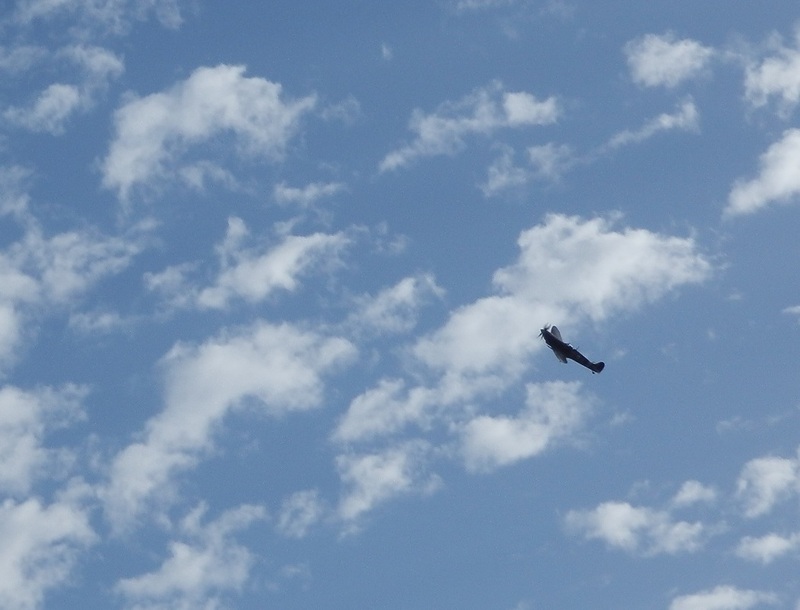 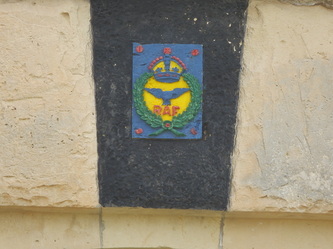 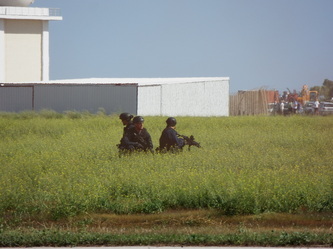 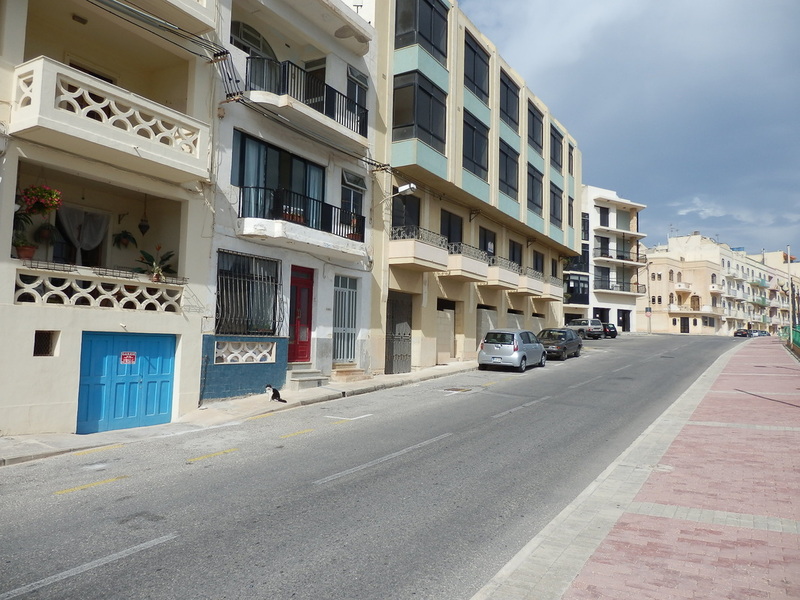 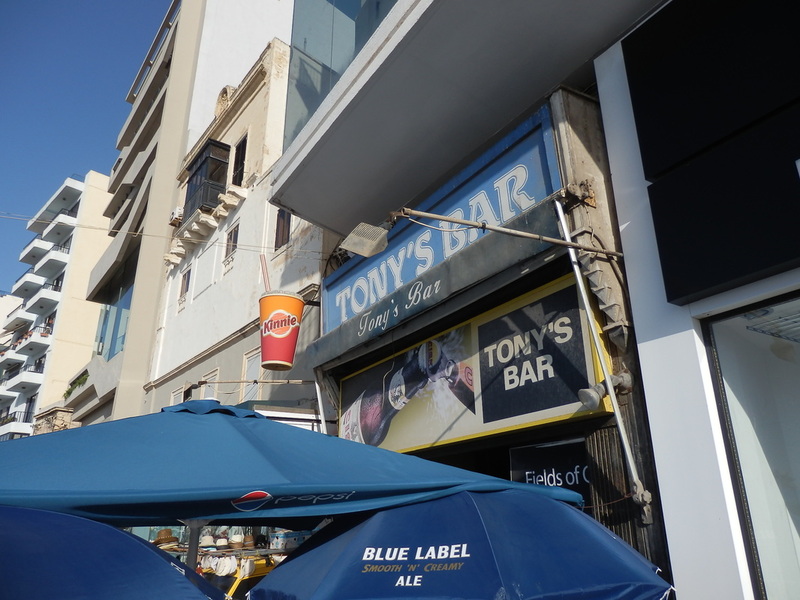 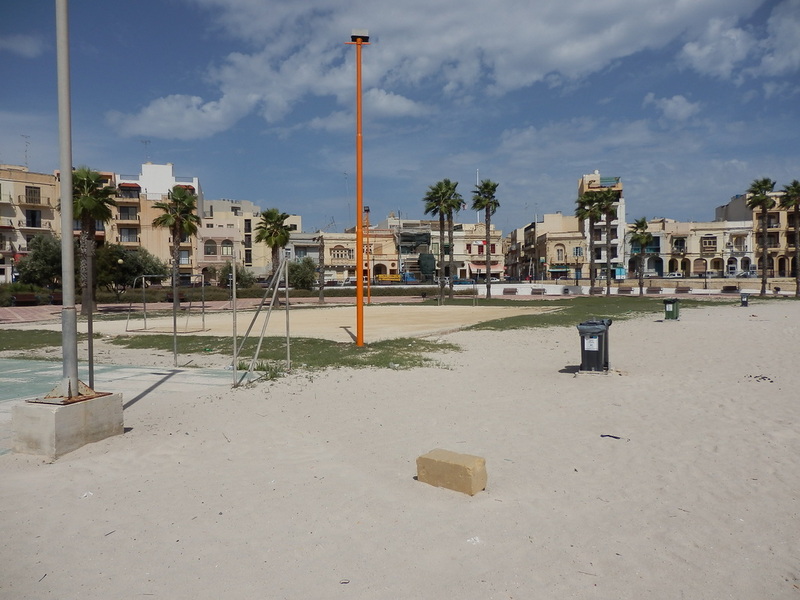 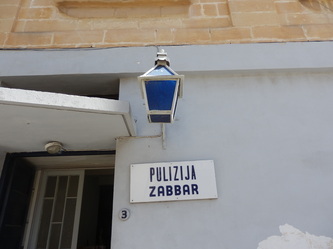 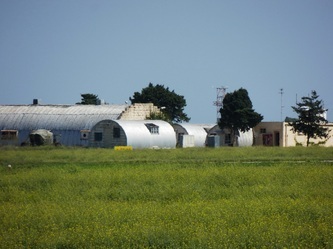 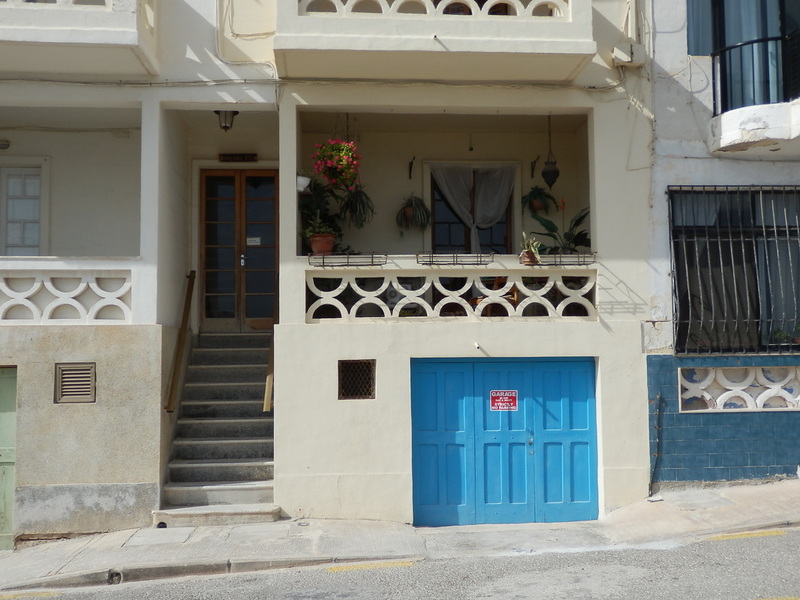 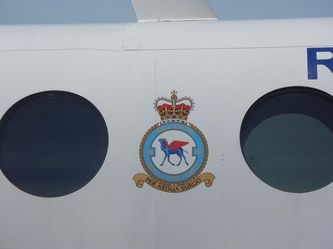 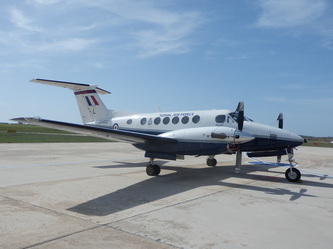 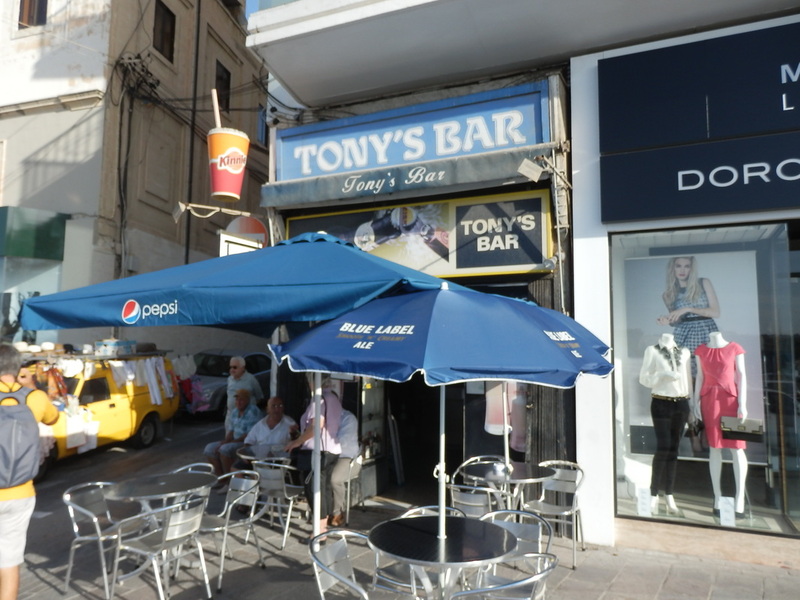 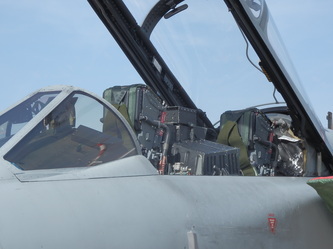 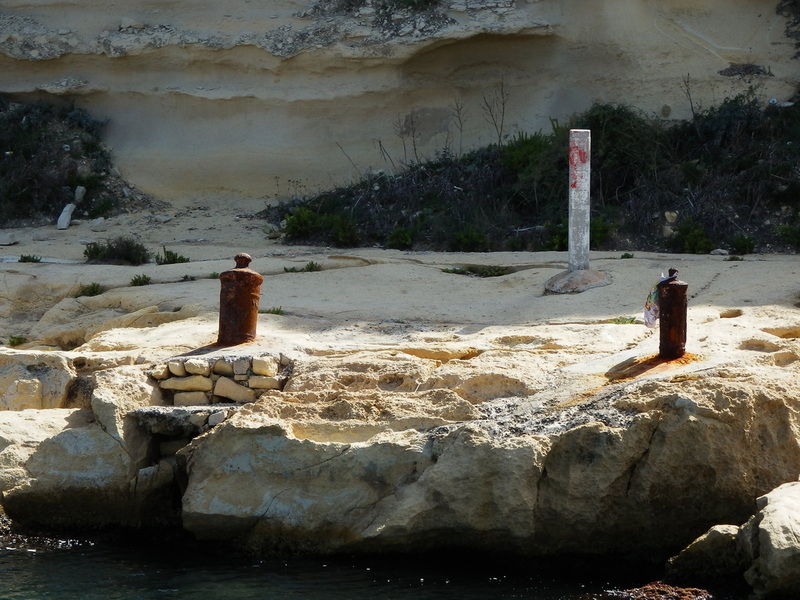 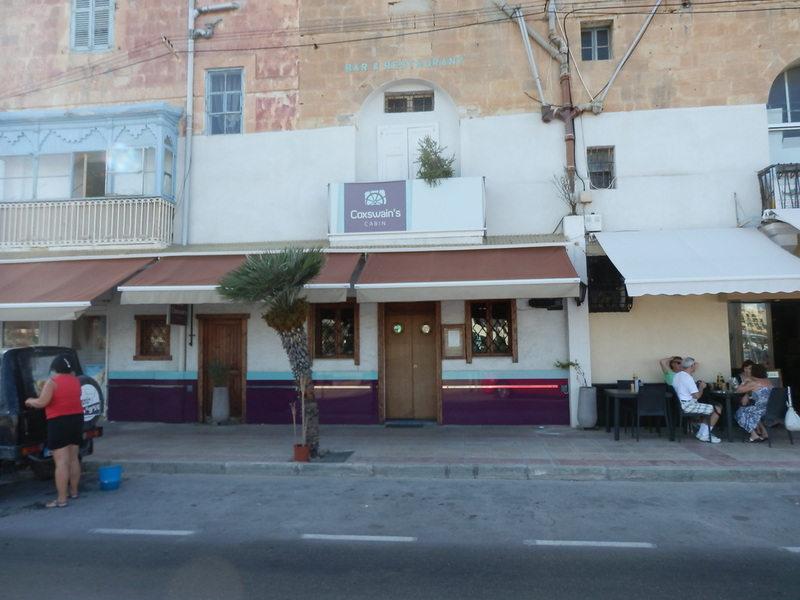 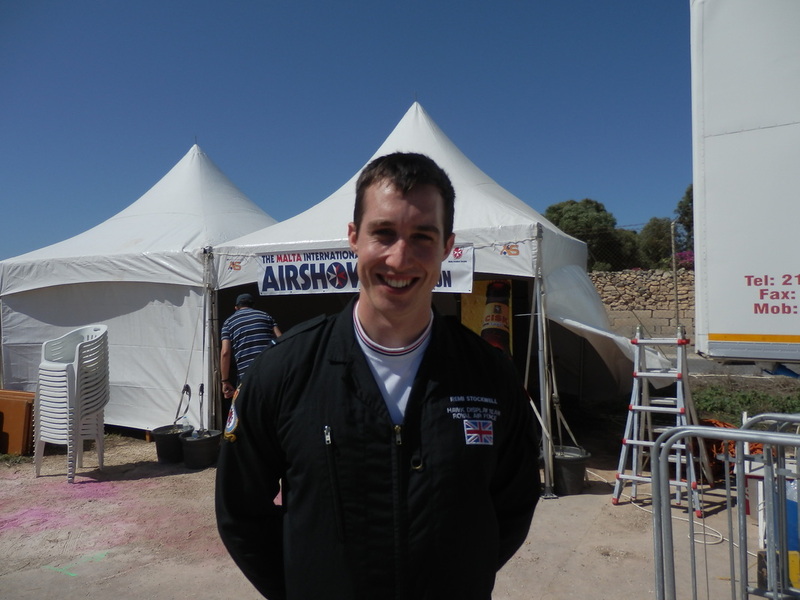 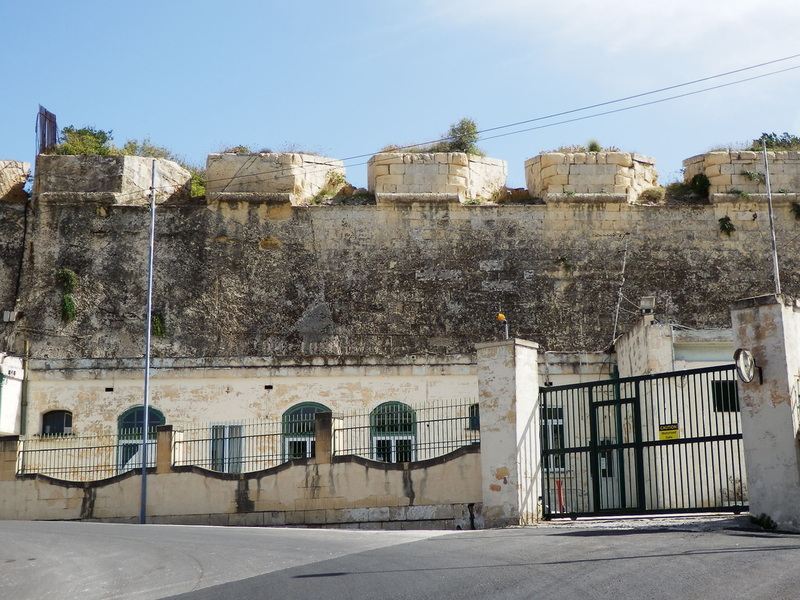 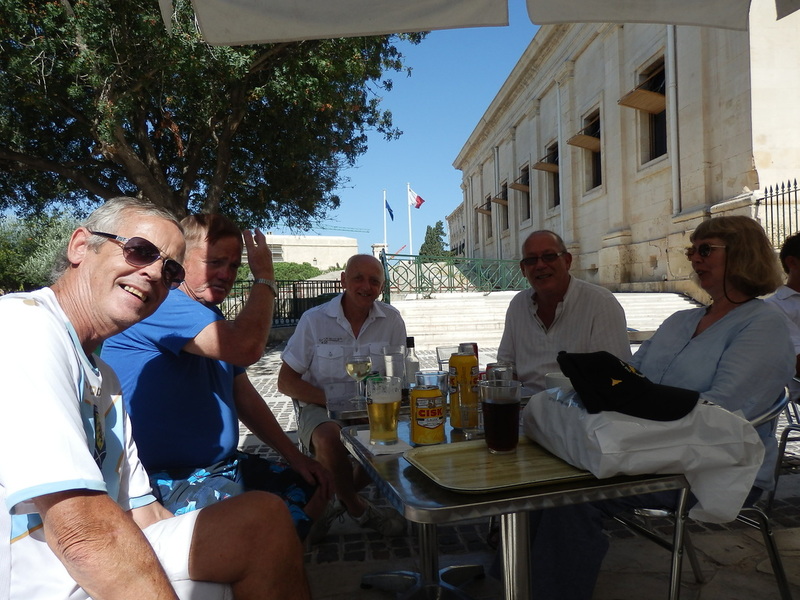 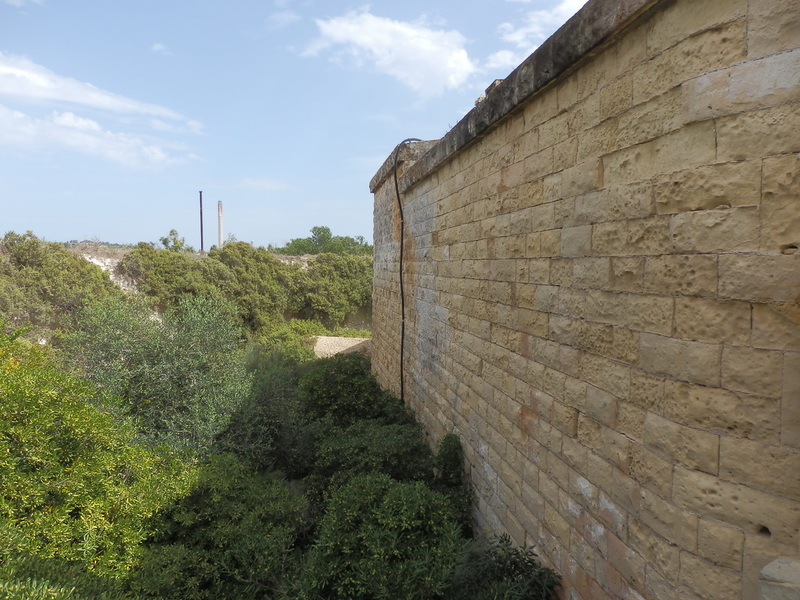 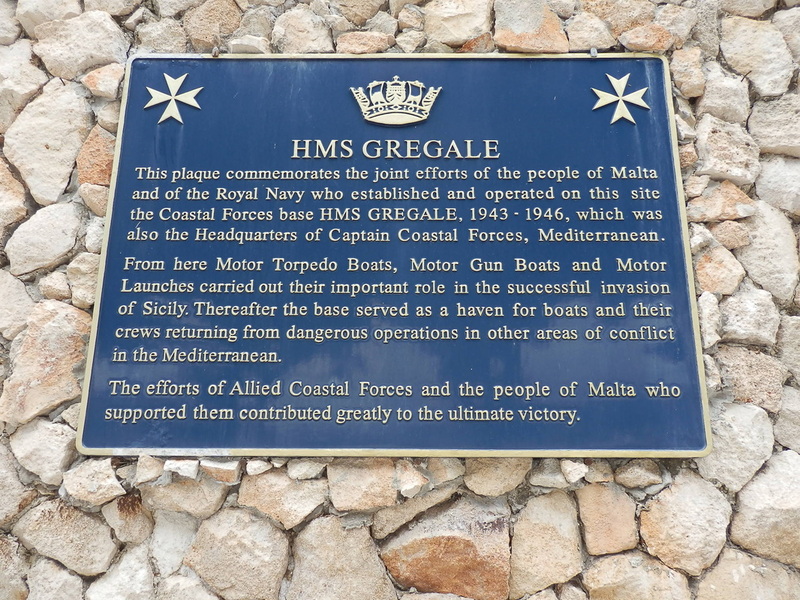 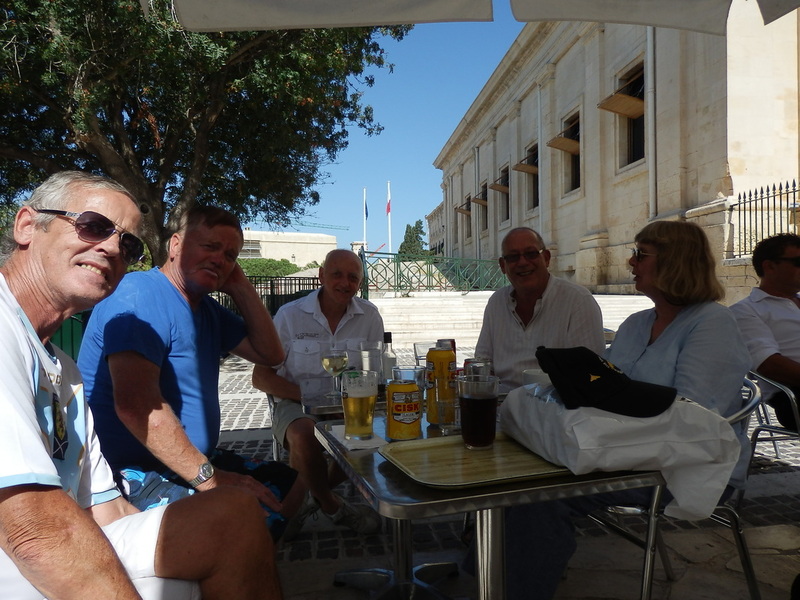 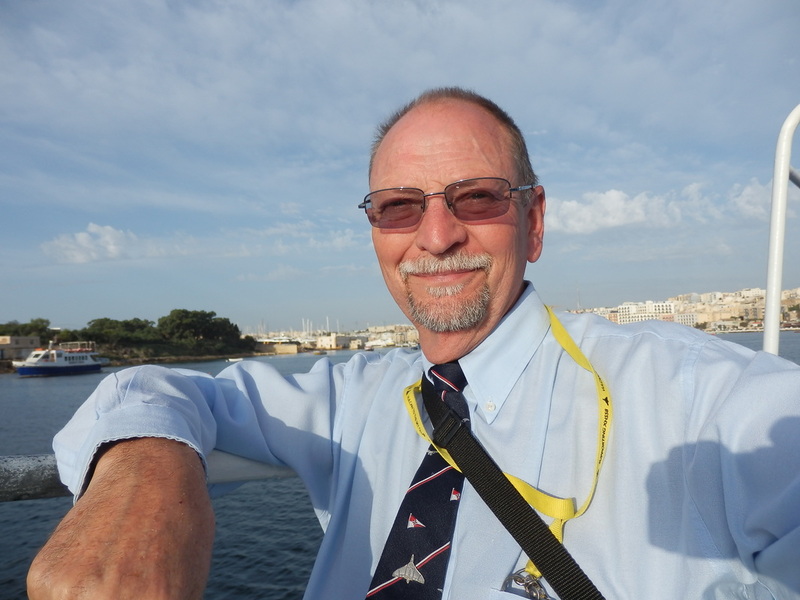 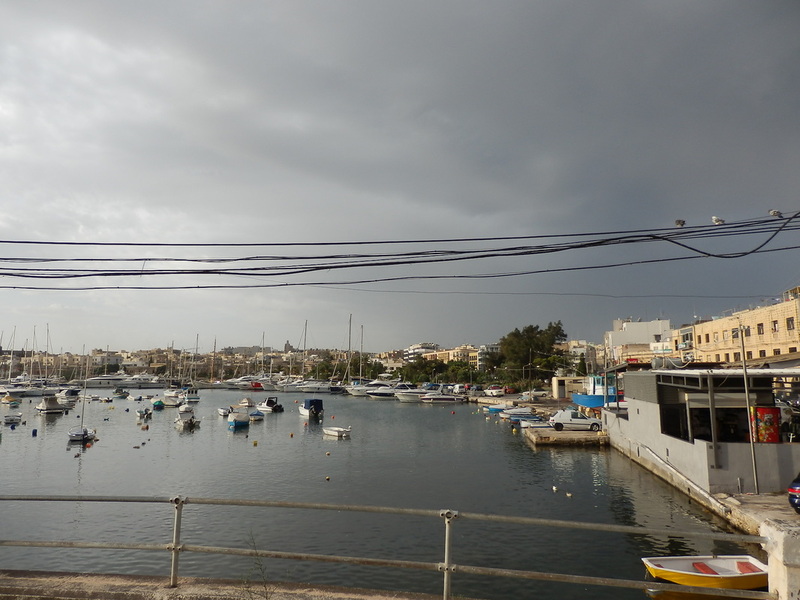 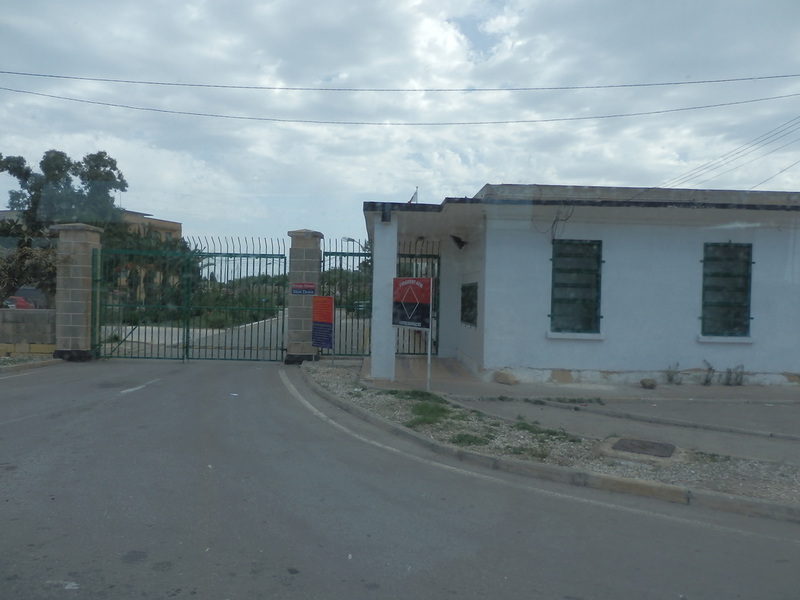 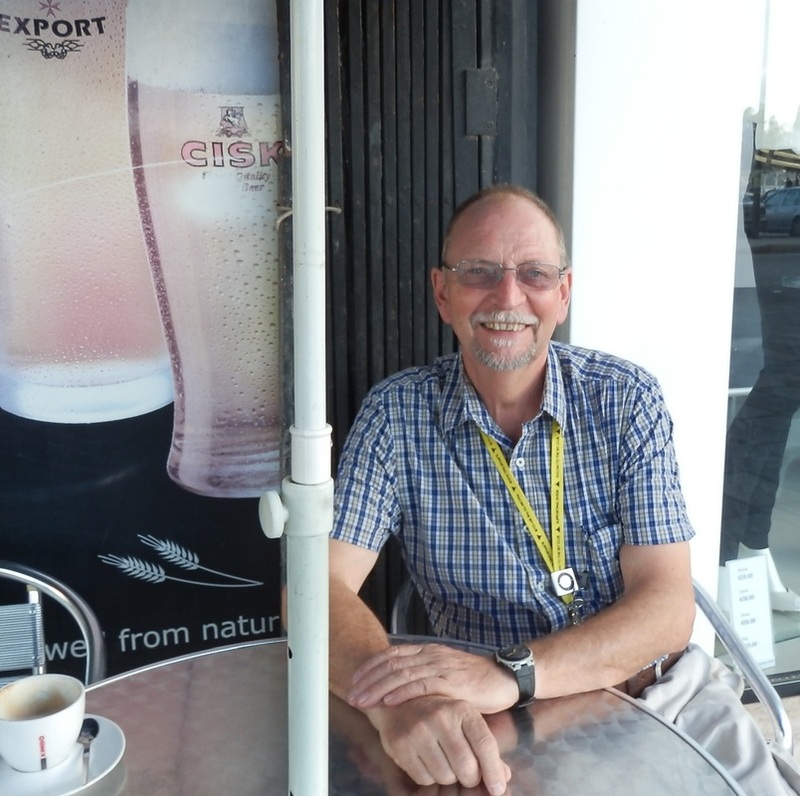 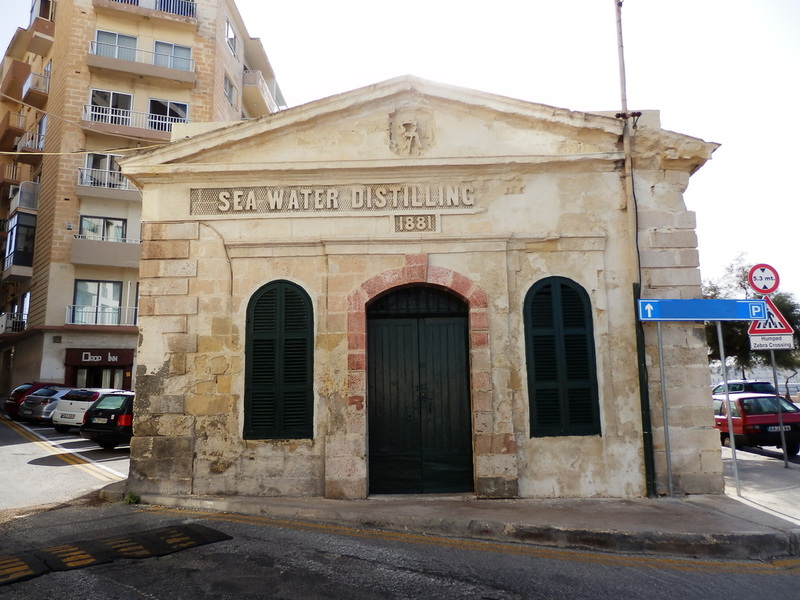 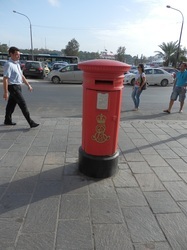 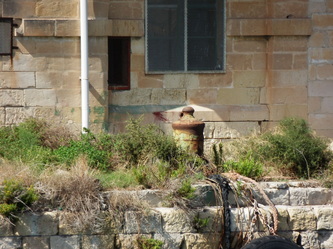 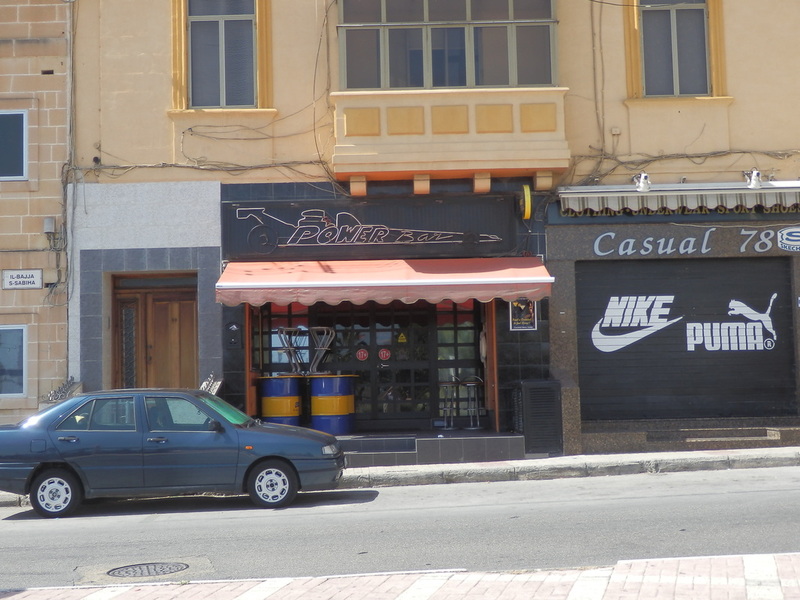 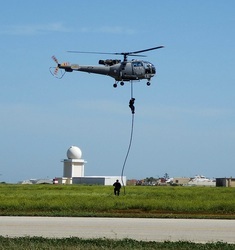 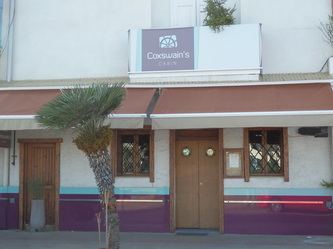 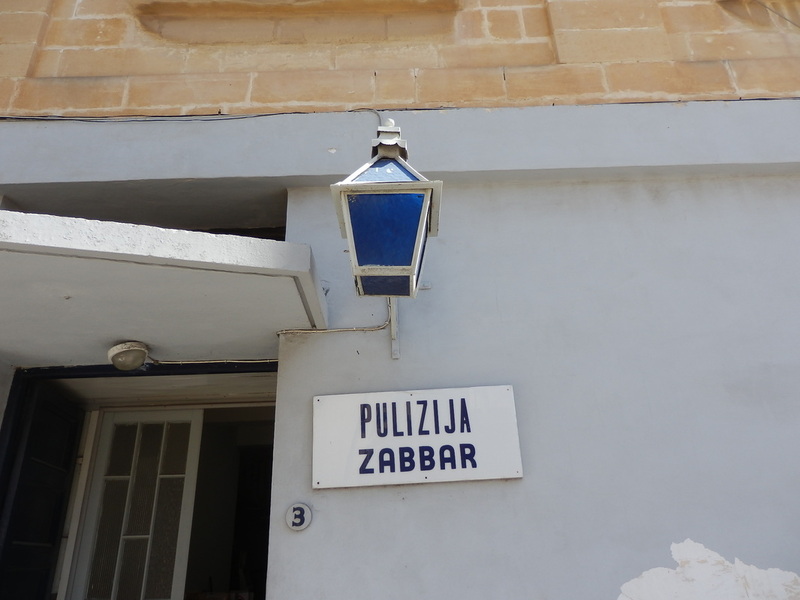 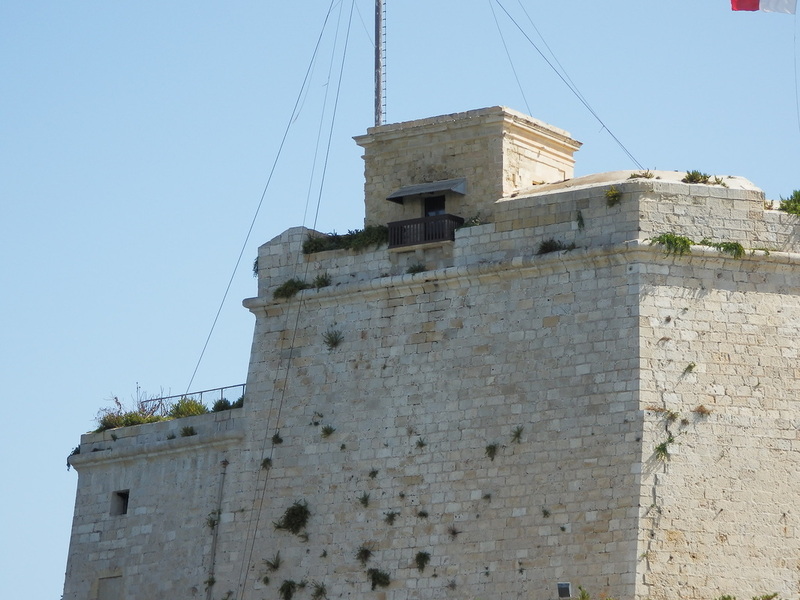 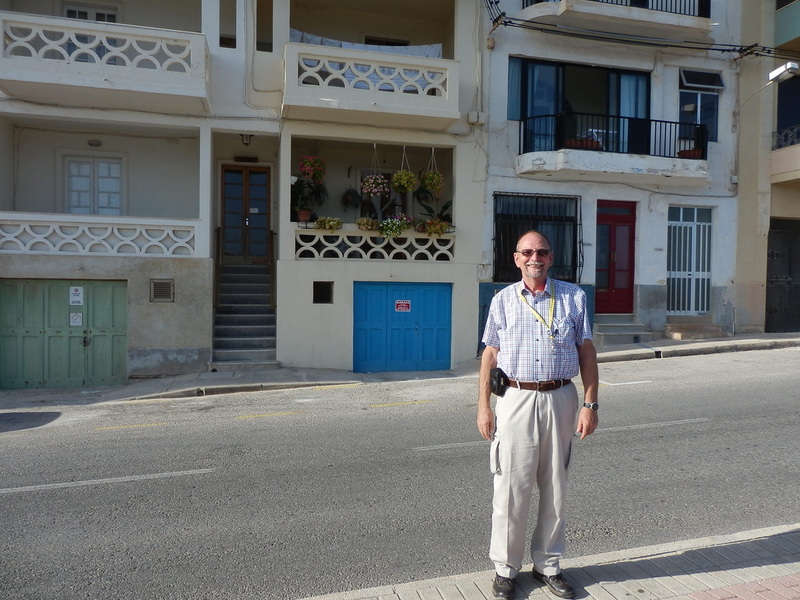 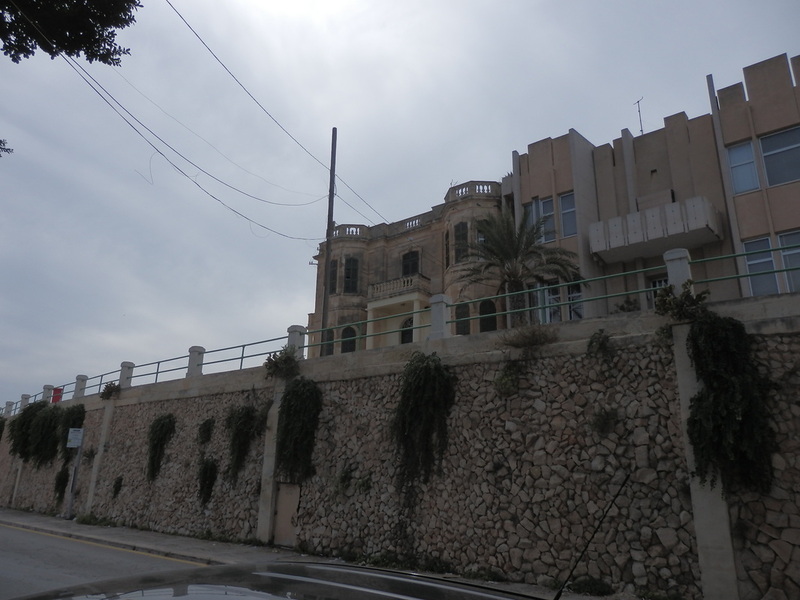 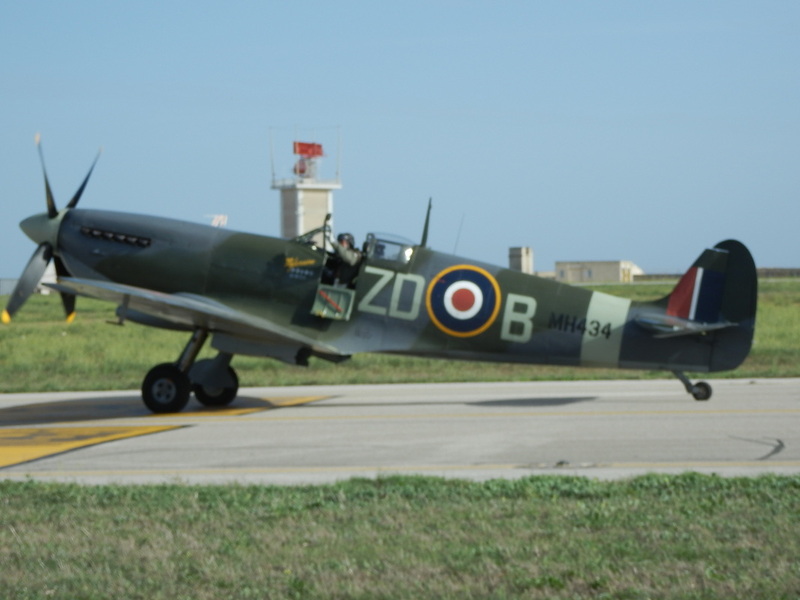 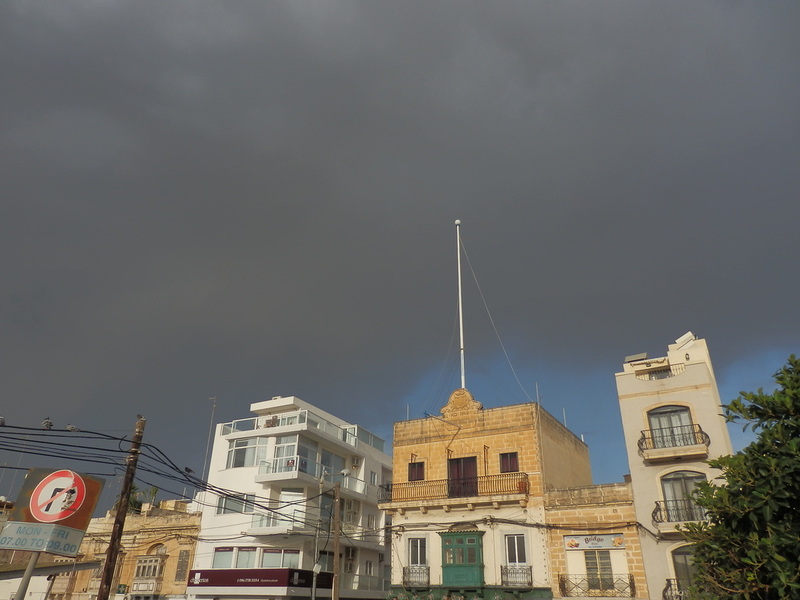 Sending photographs to me implies permission to pubish on the RAF Luqa Remembered website. 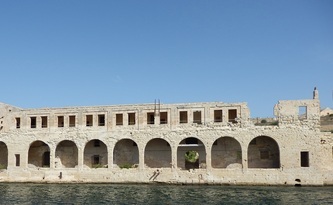 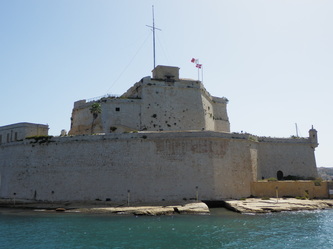 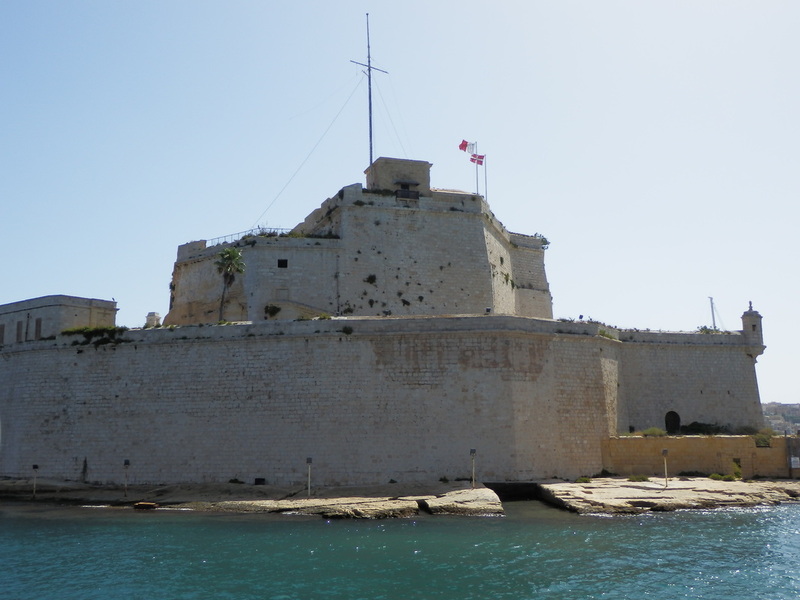 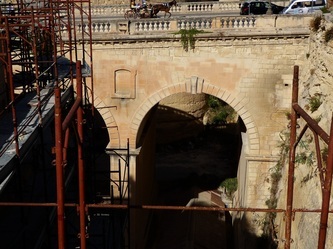 If you love old photographs of Malta through the ages you should look at the Bay Retro Face Book page at https://www.facebook.com/bayretro/photos_stream They are always looking for new 'old' photos to publish, take a look and enjoy. 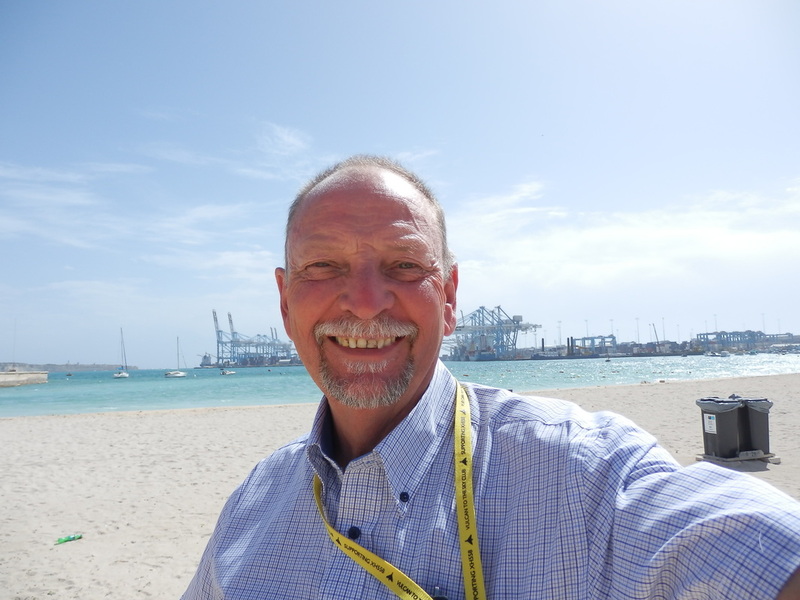 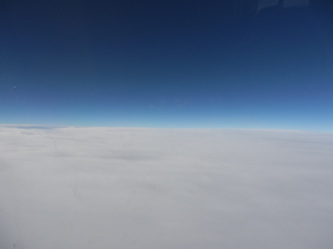 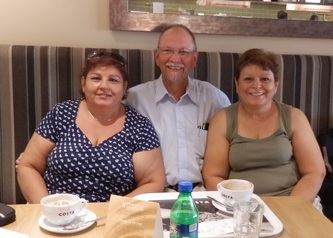 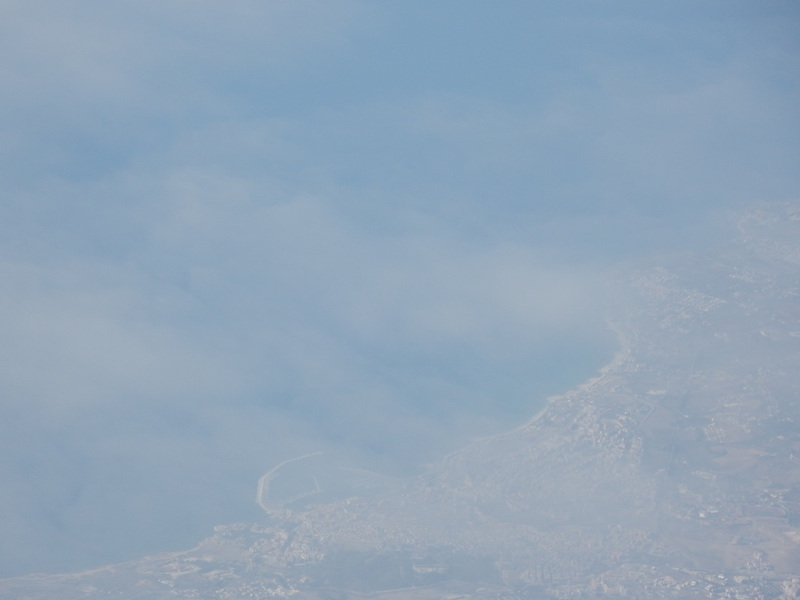 Below I have posted photographs from my visit September/October 2012. 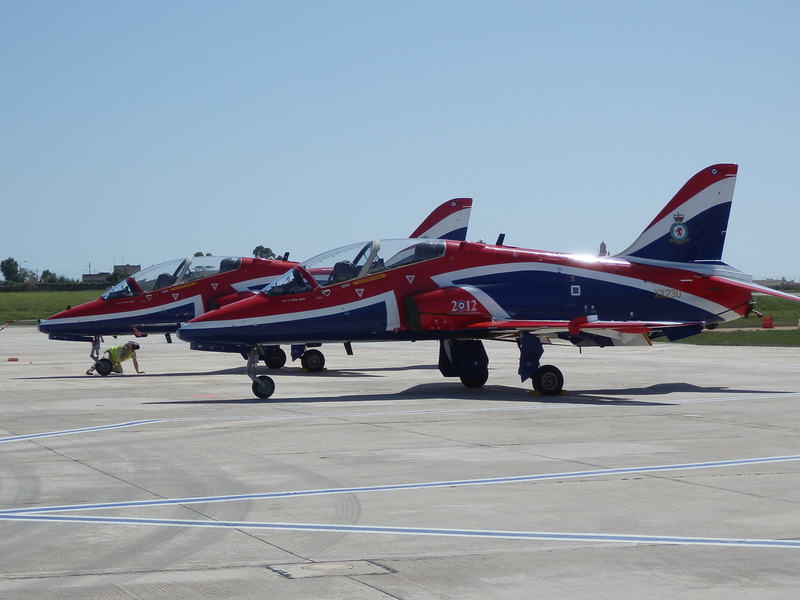 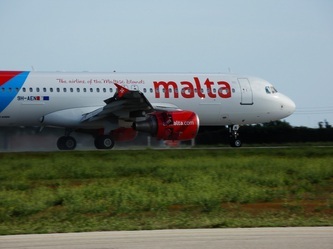 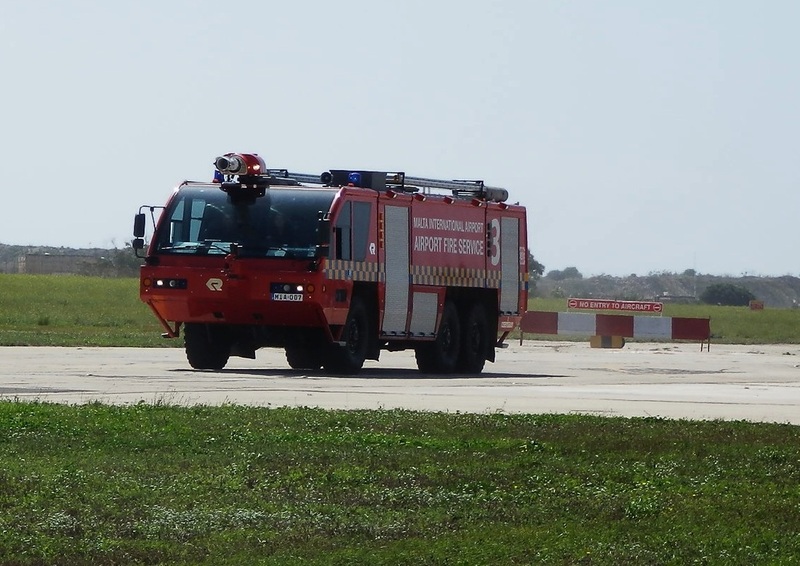 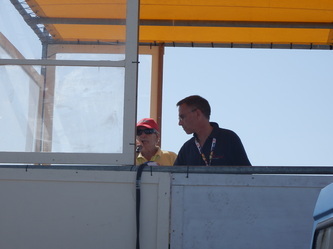 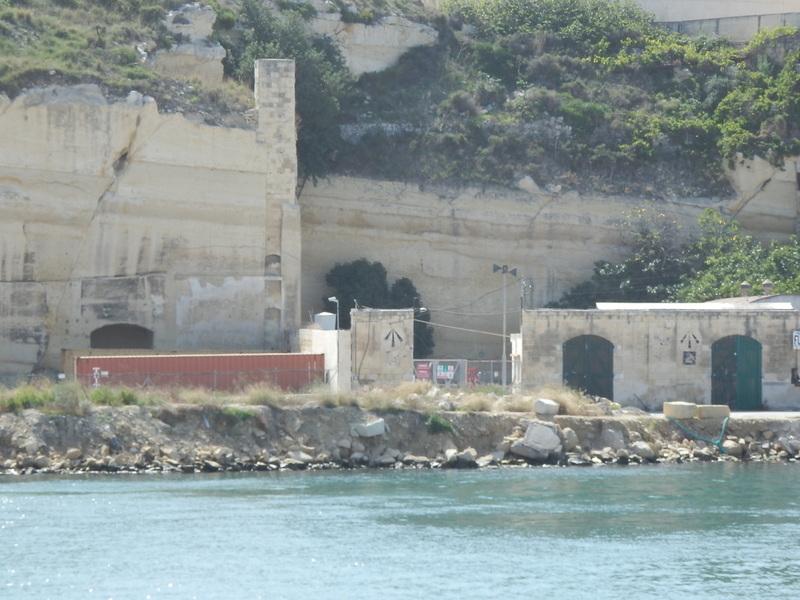 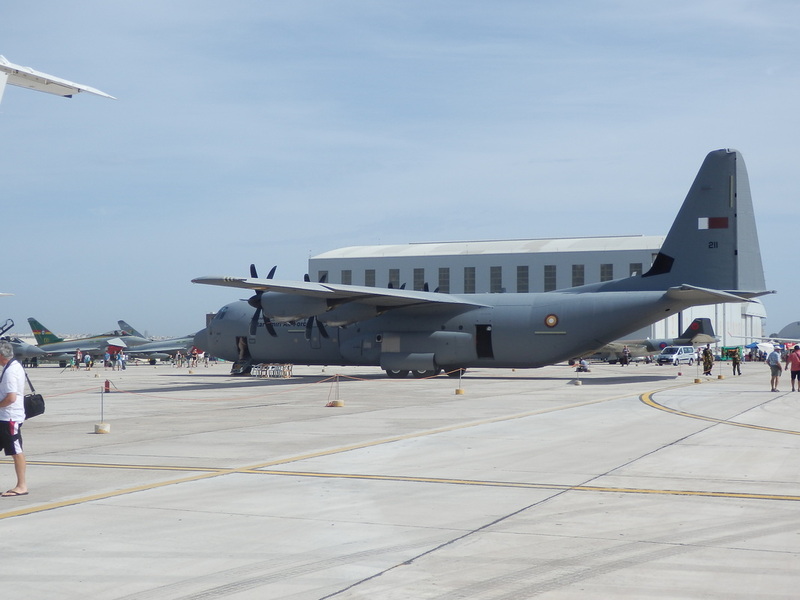 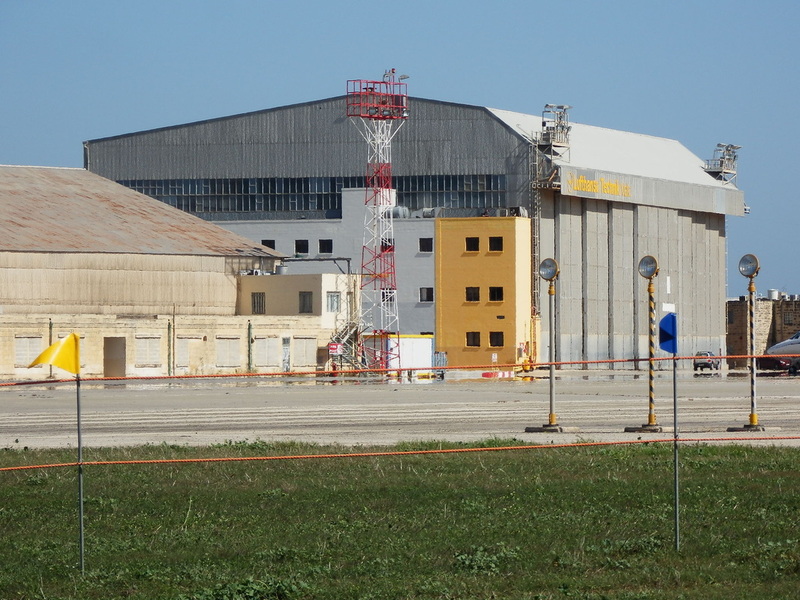 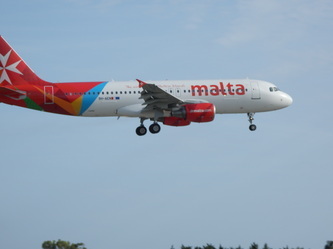 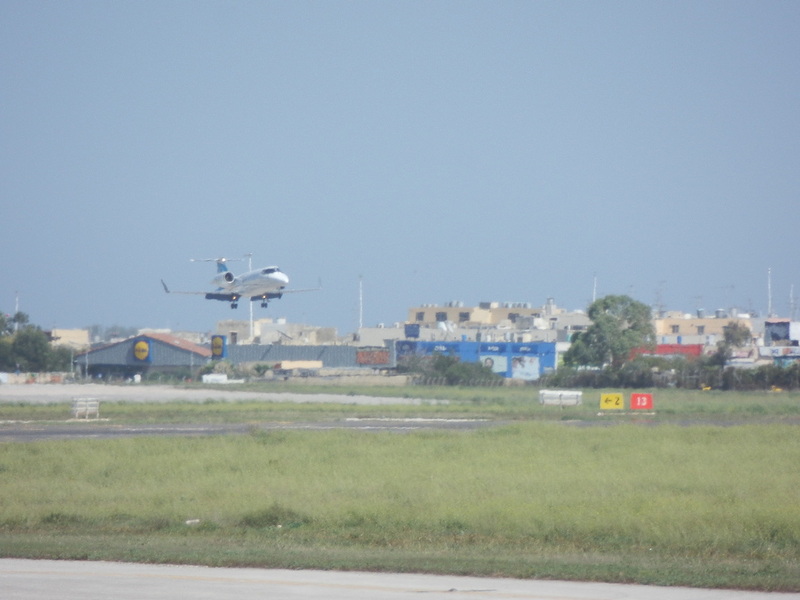 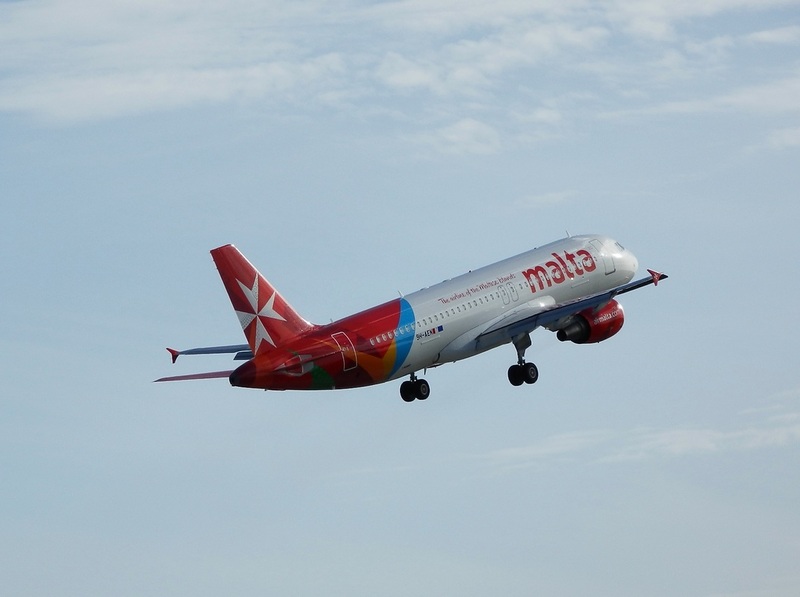 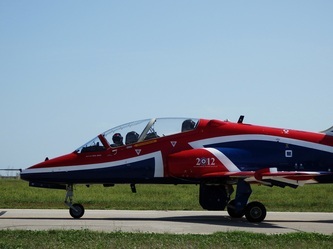 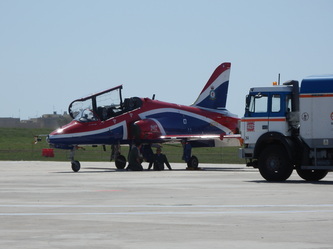 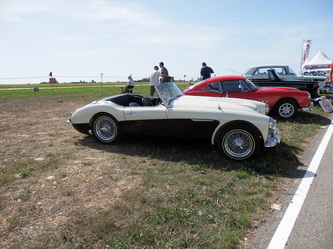 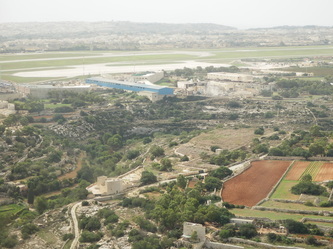 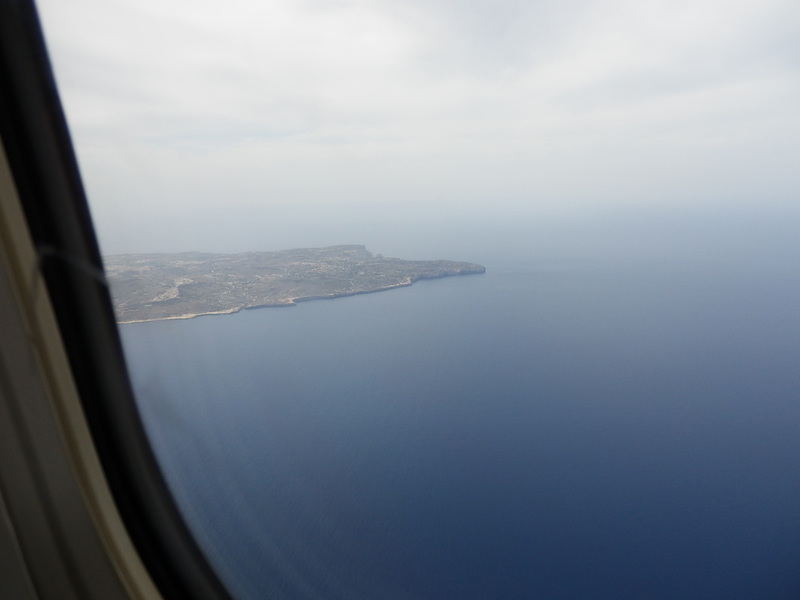 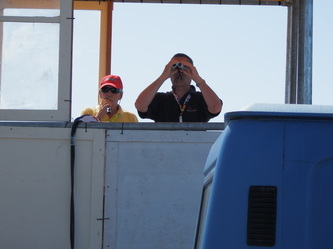 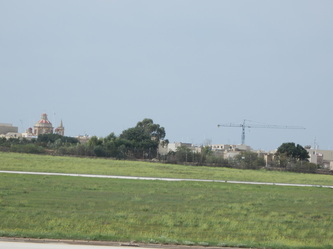 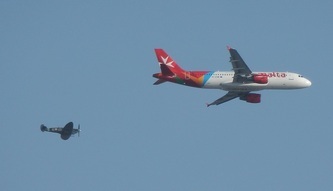 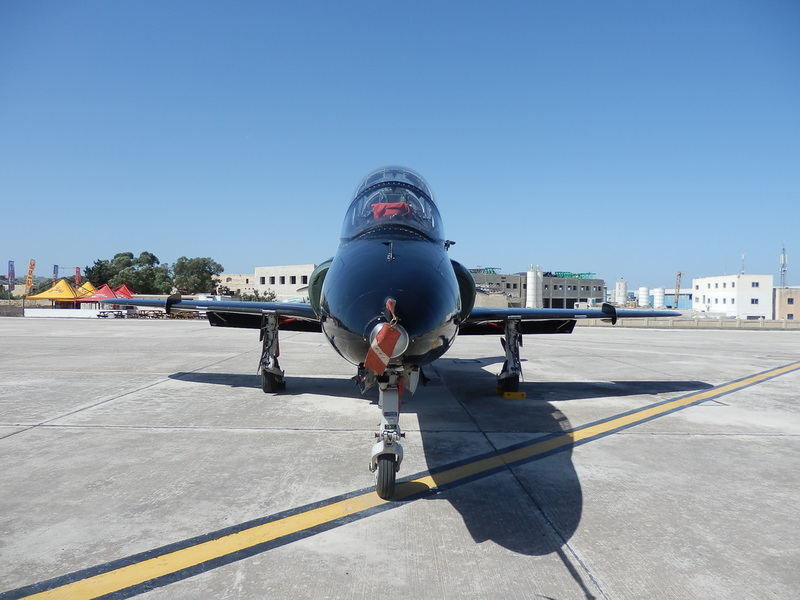 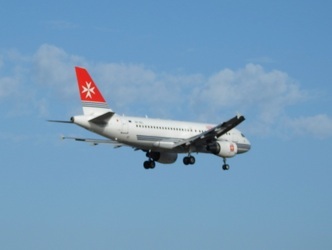 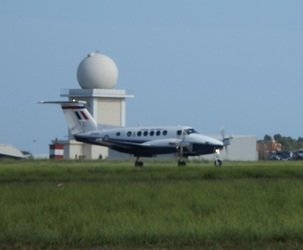 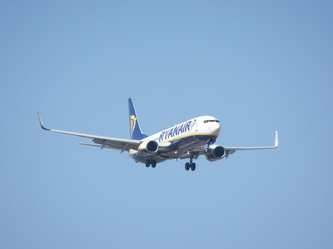 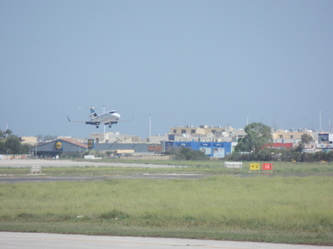 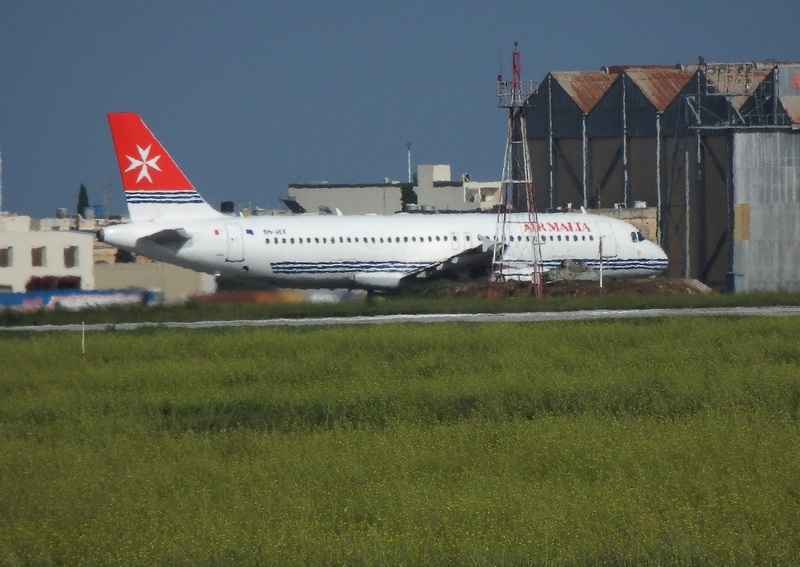 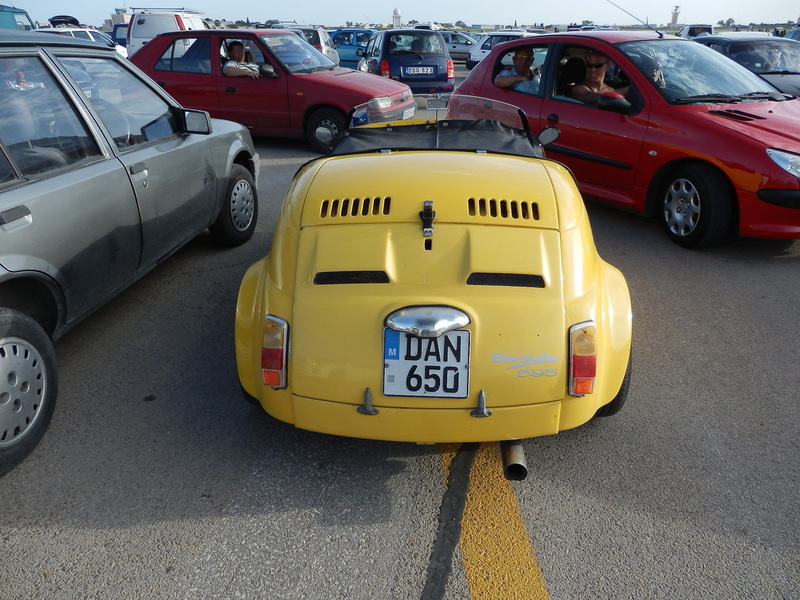 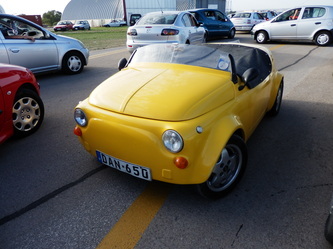 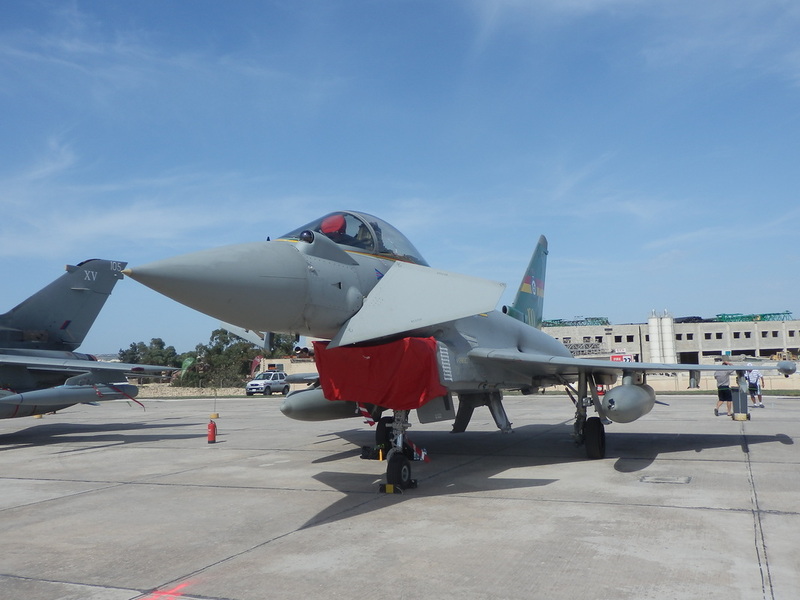 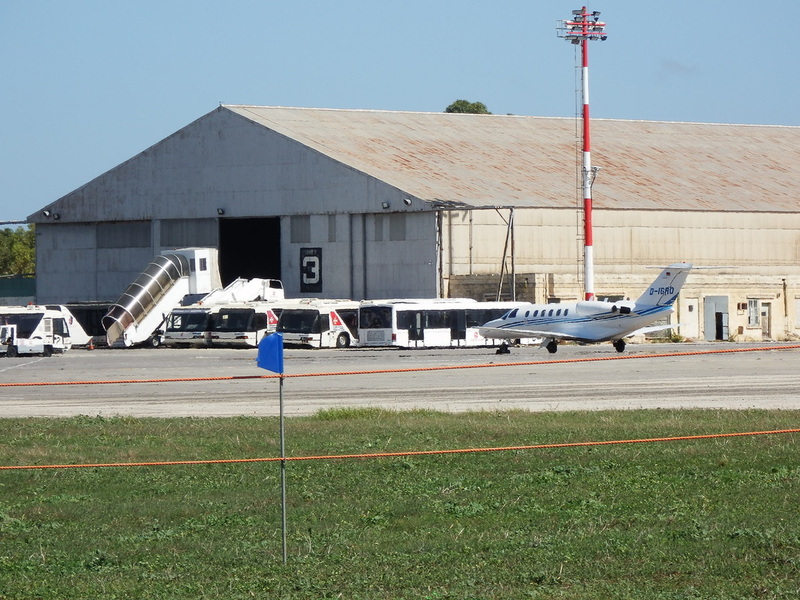 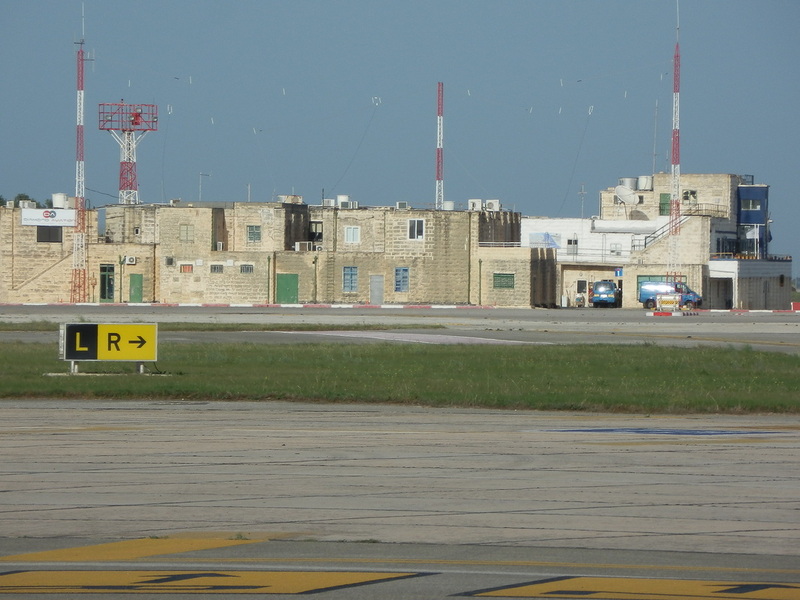 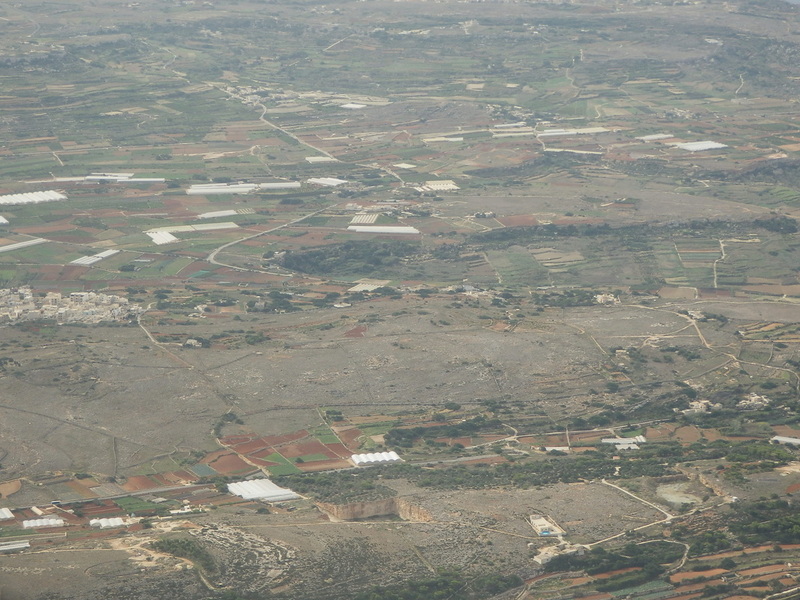 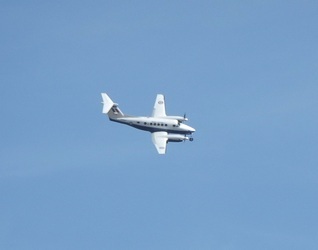 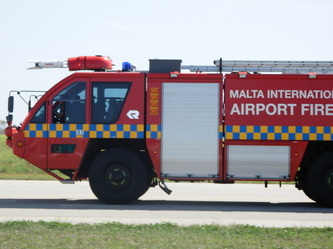 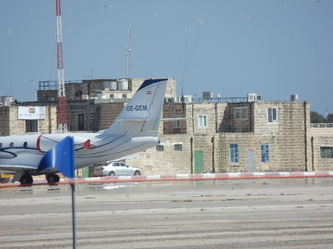 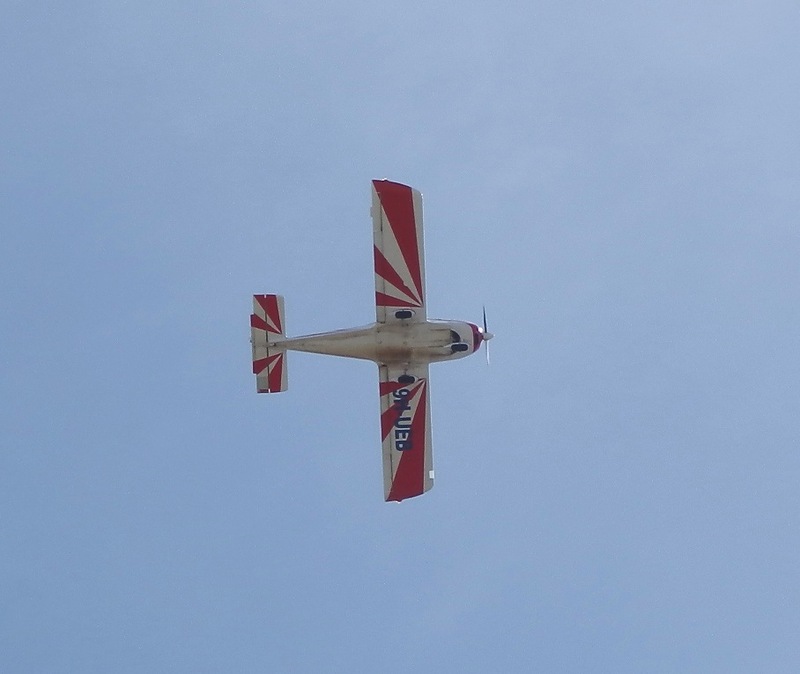 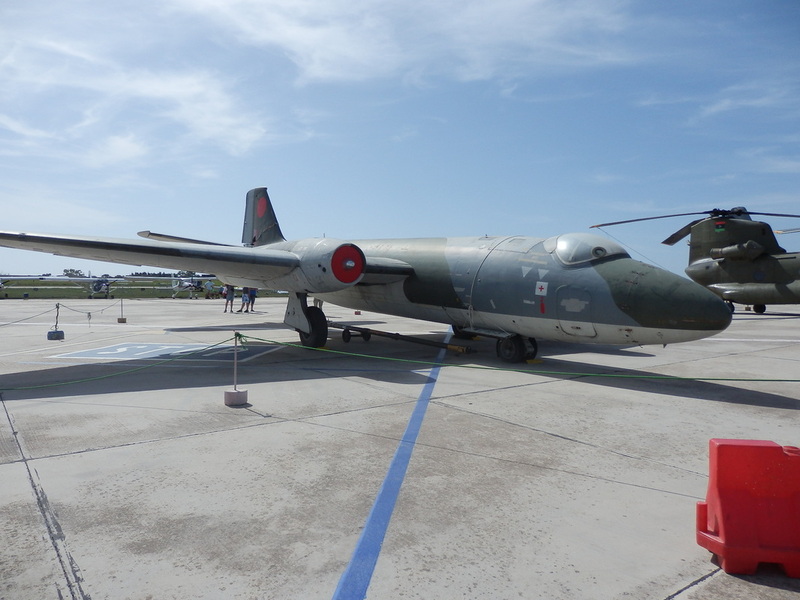 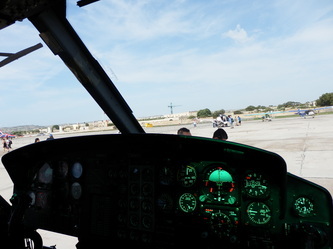 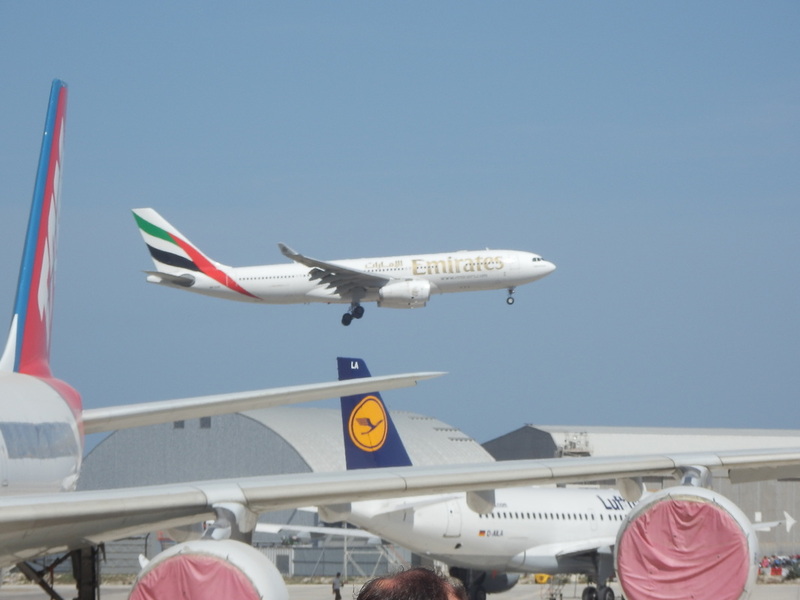 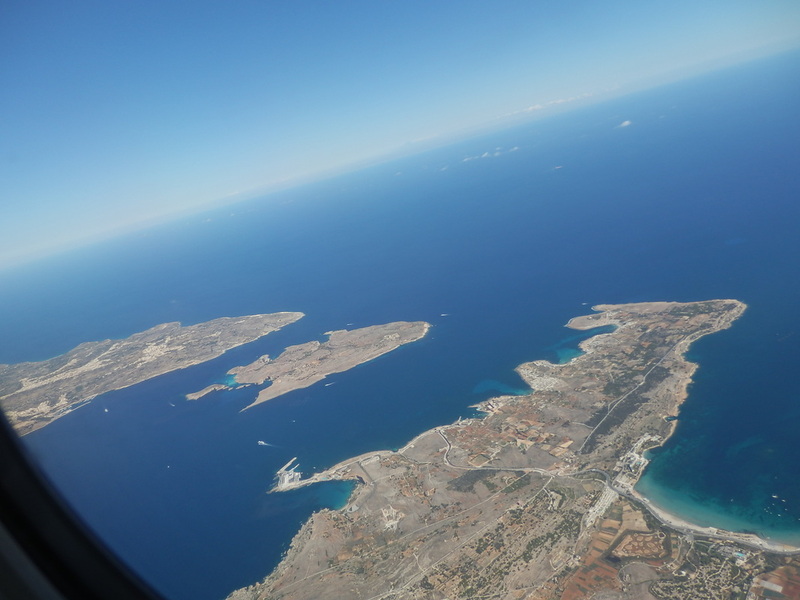 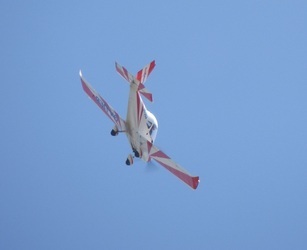 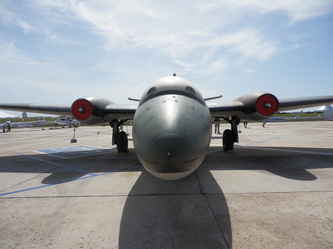 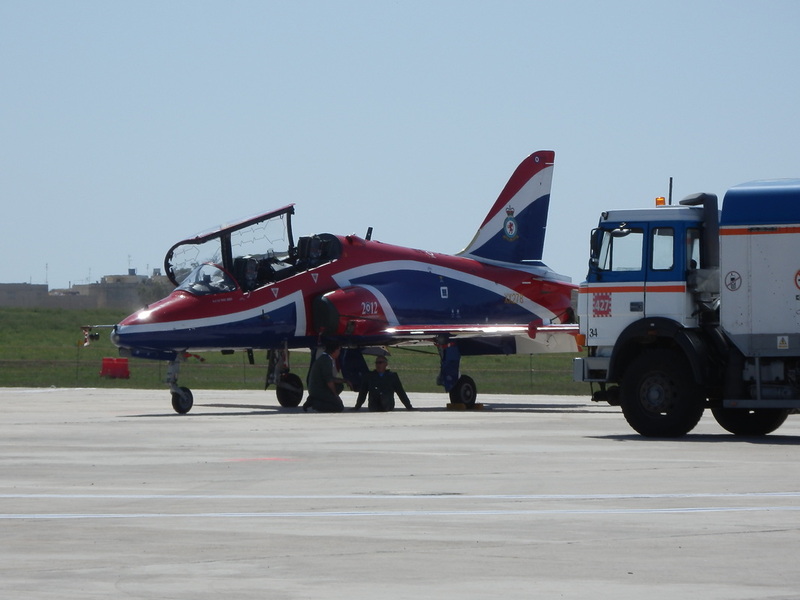 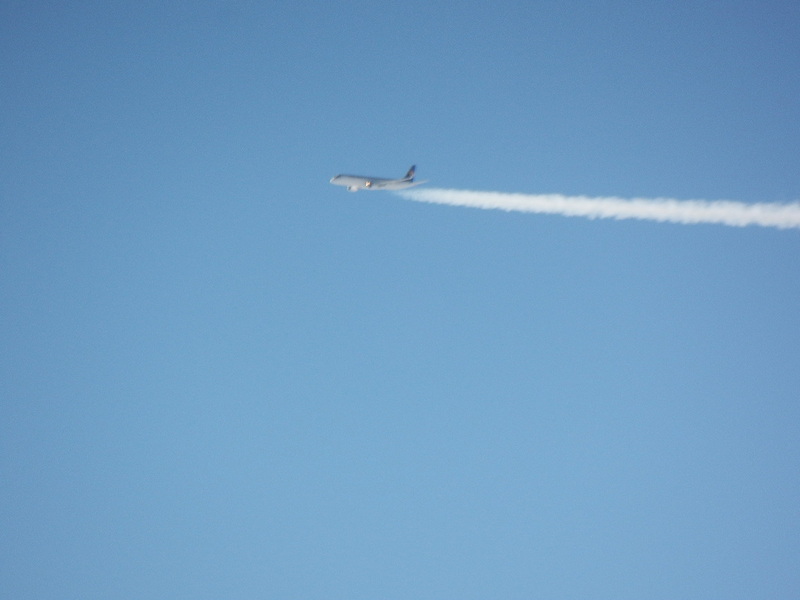 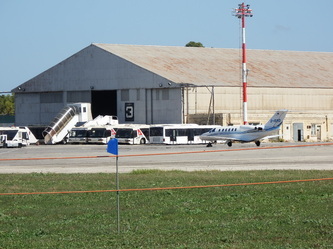 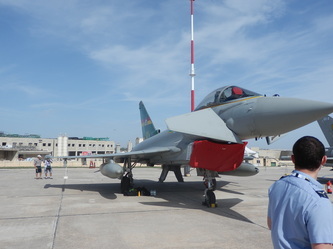 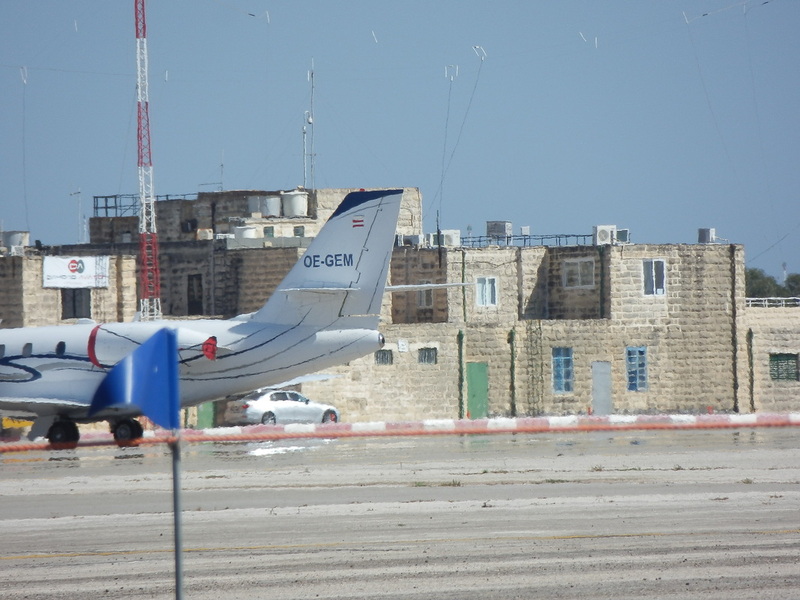 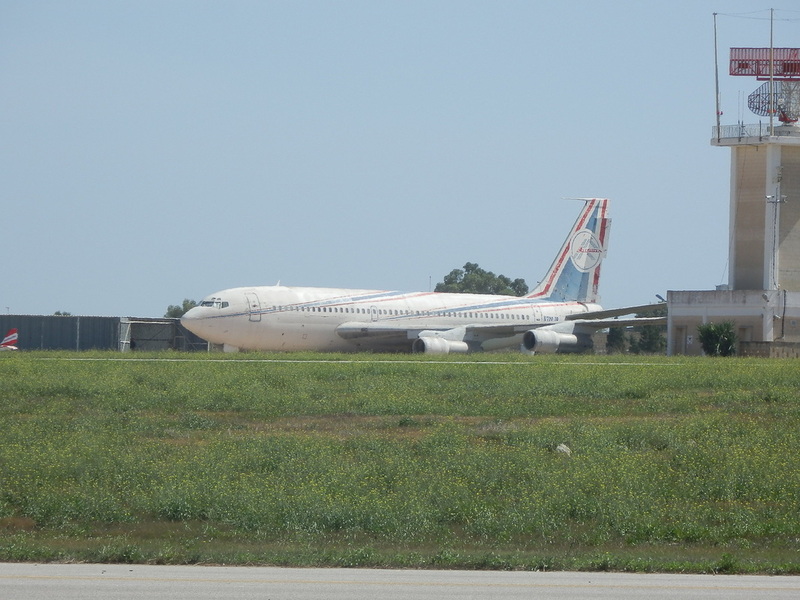 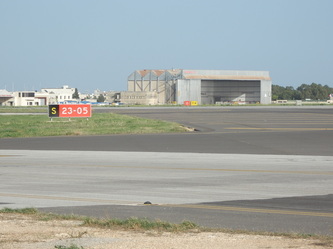 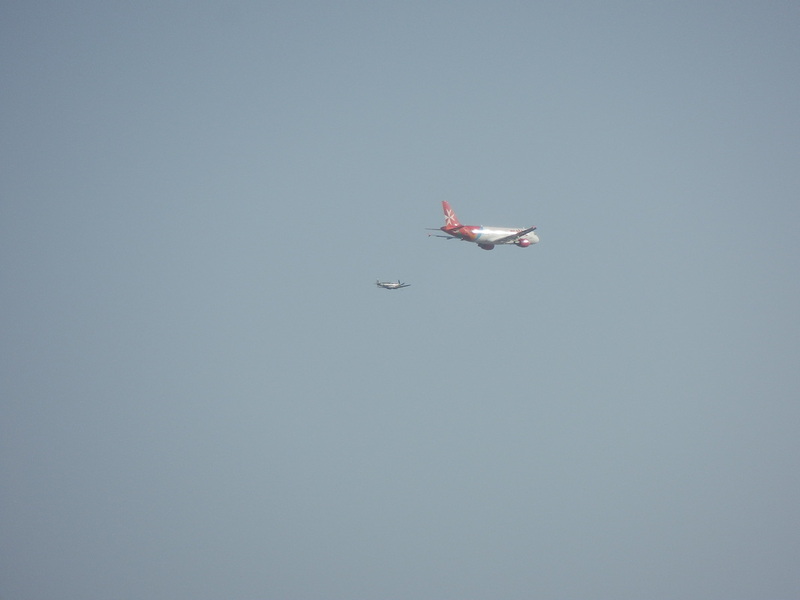 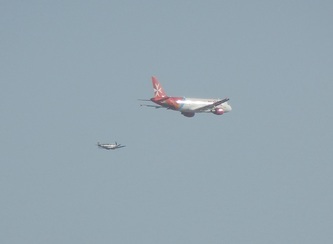 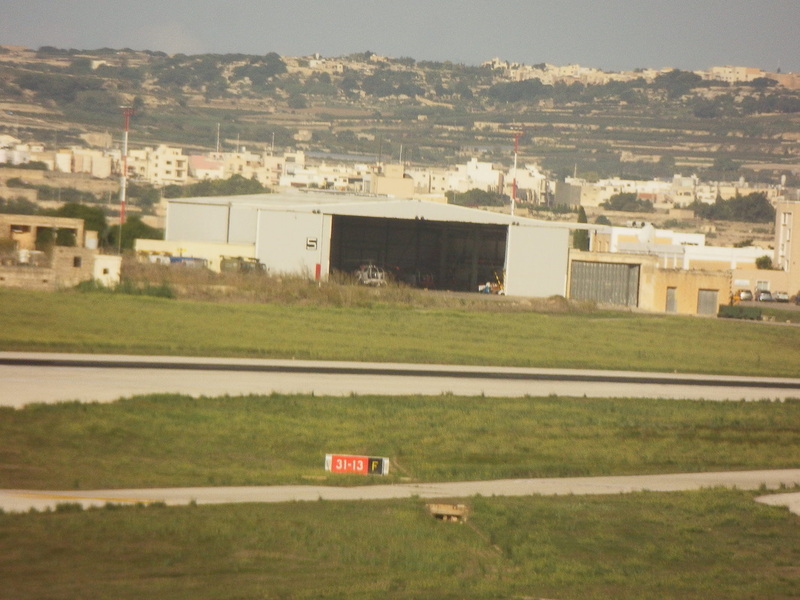 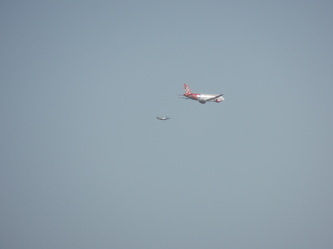 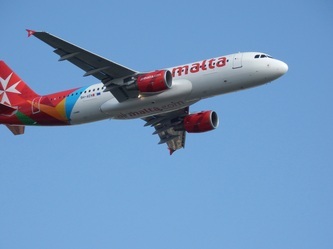 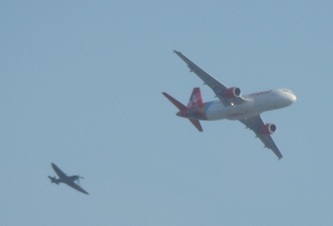 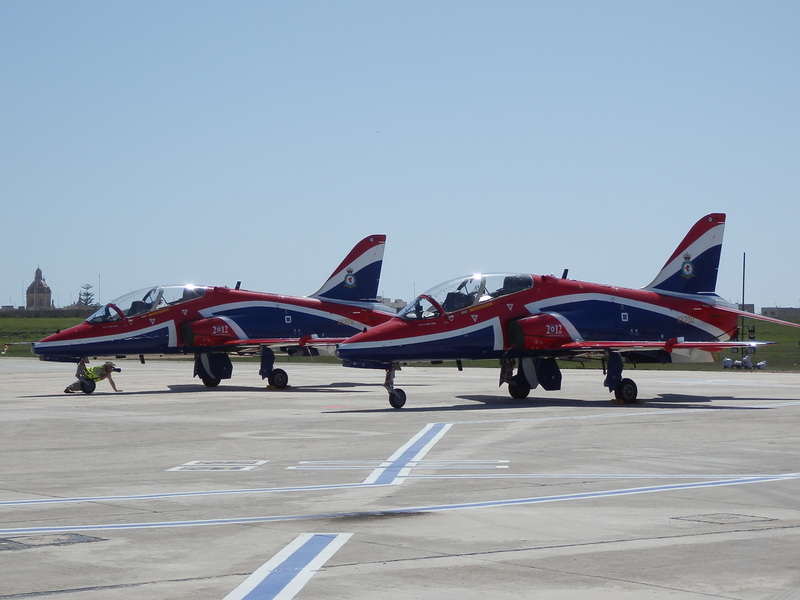 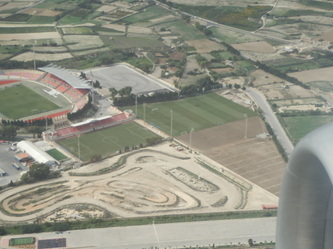 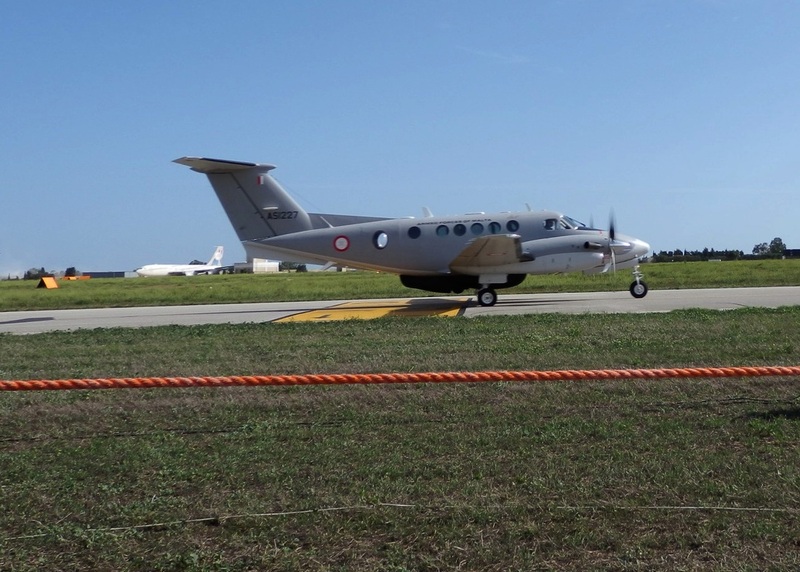 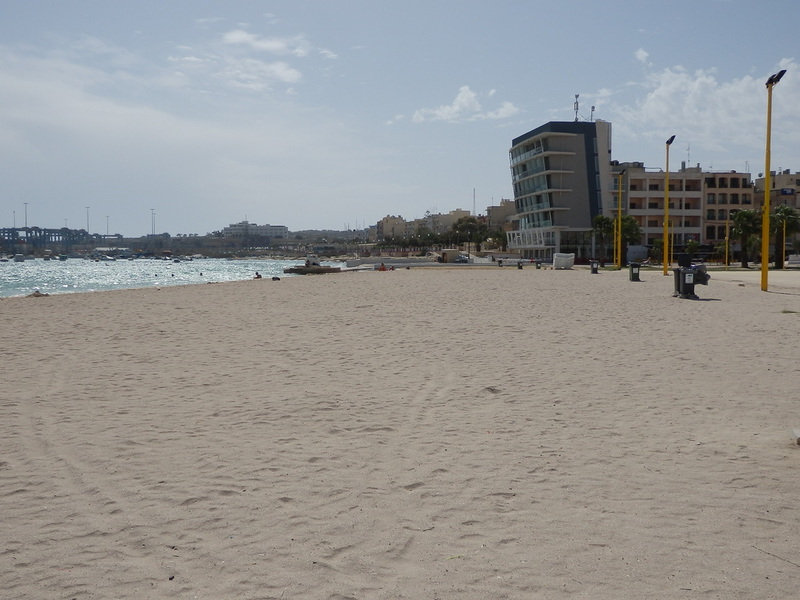 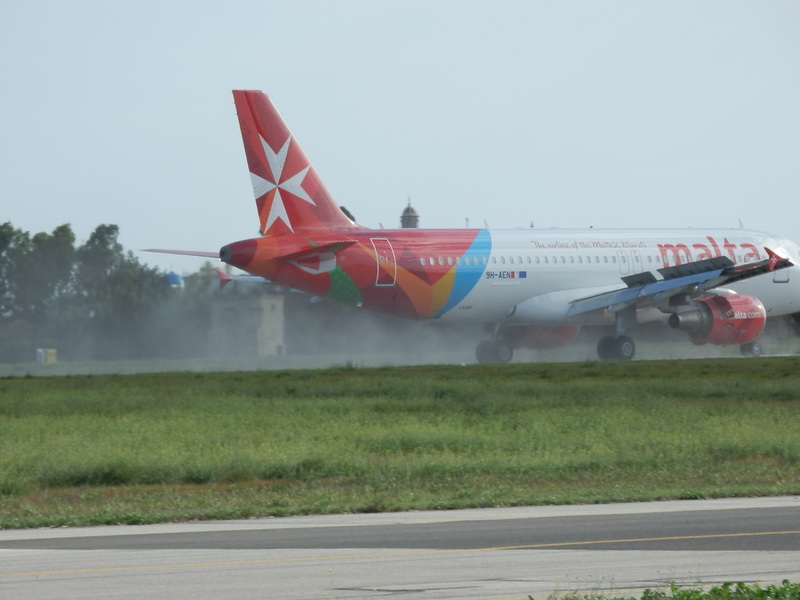 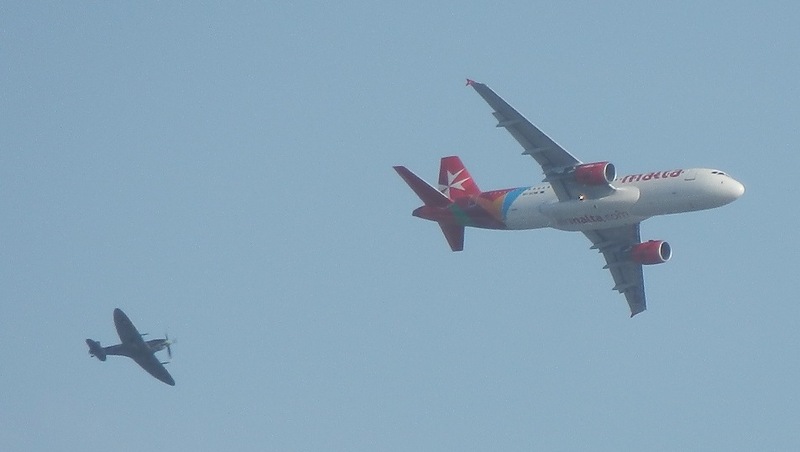 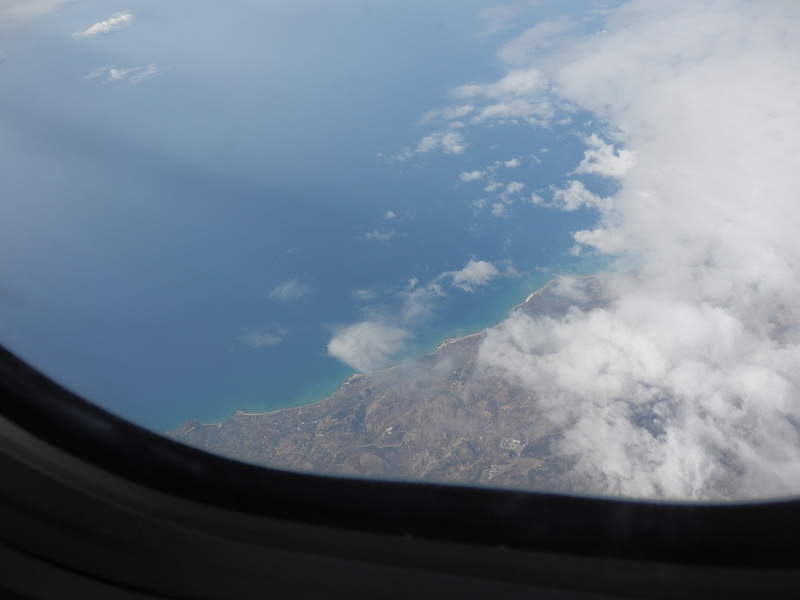 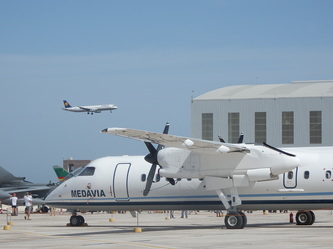 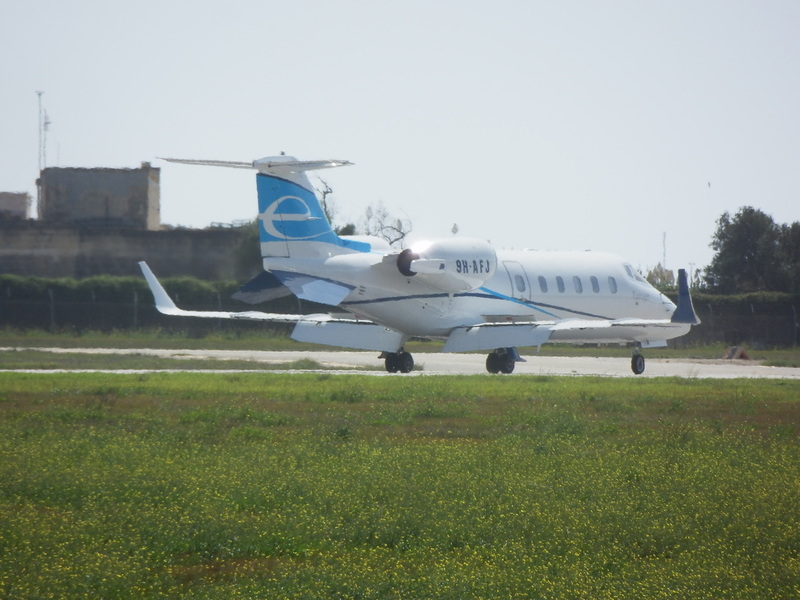 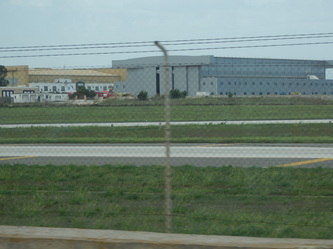 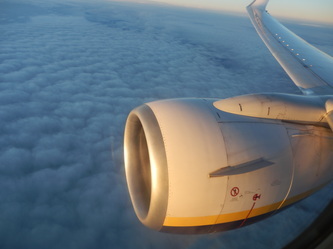 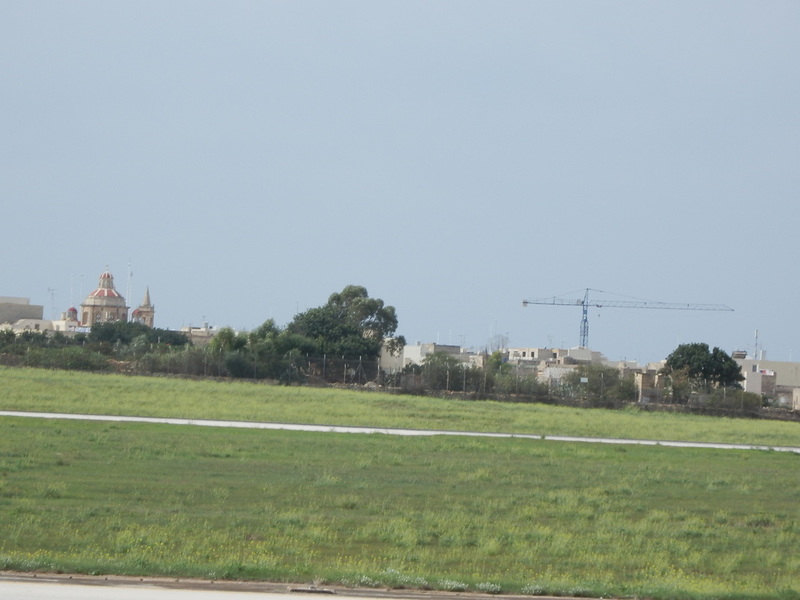 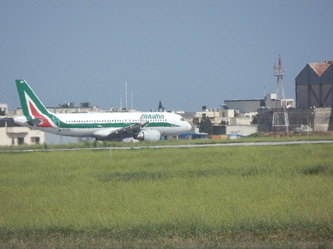 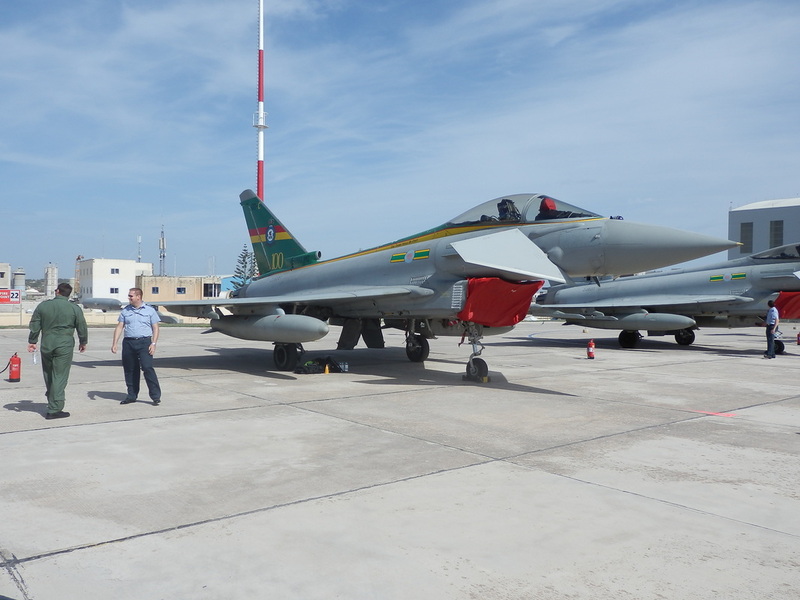 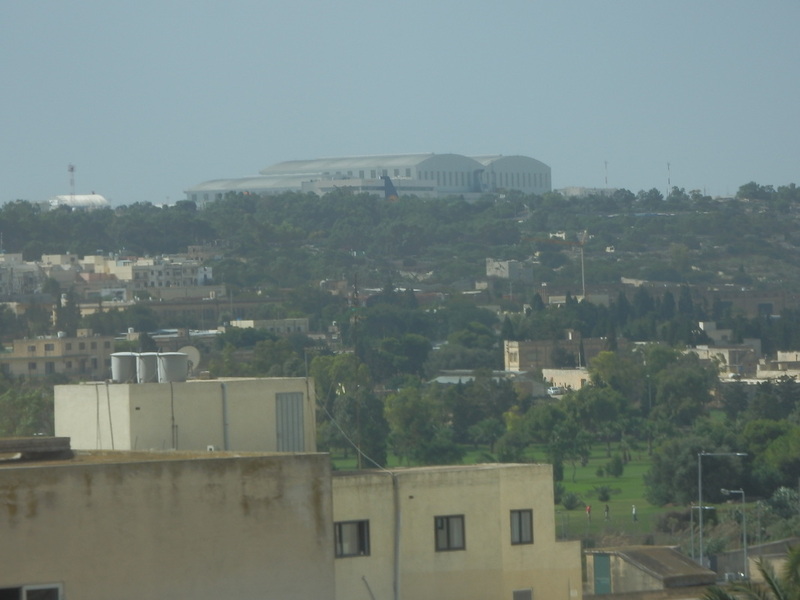 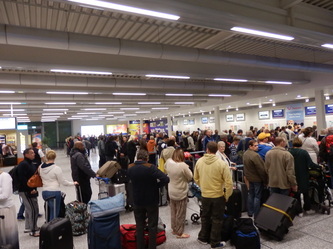 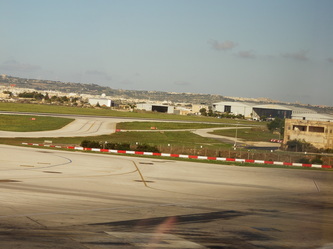 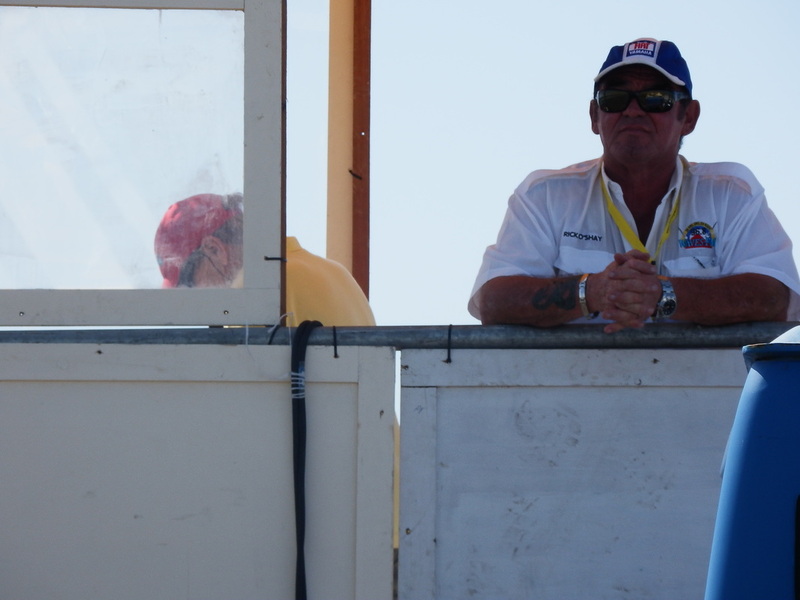 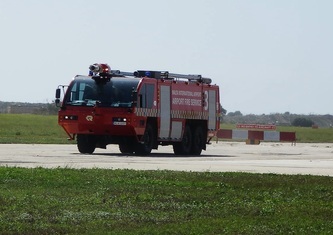 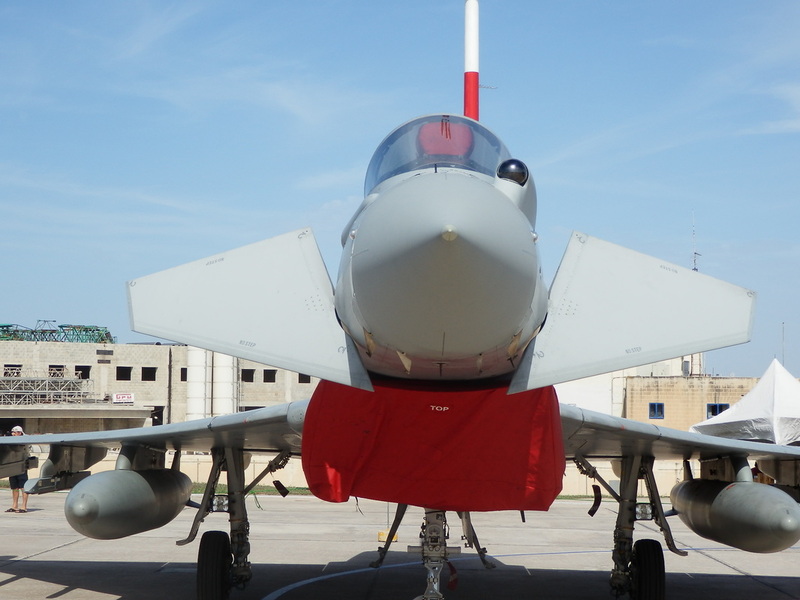 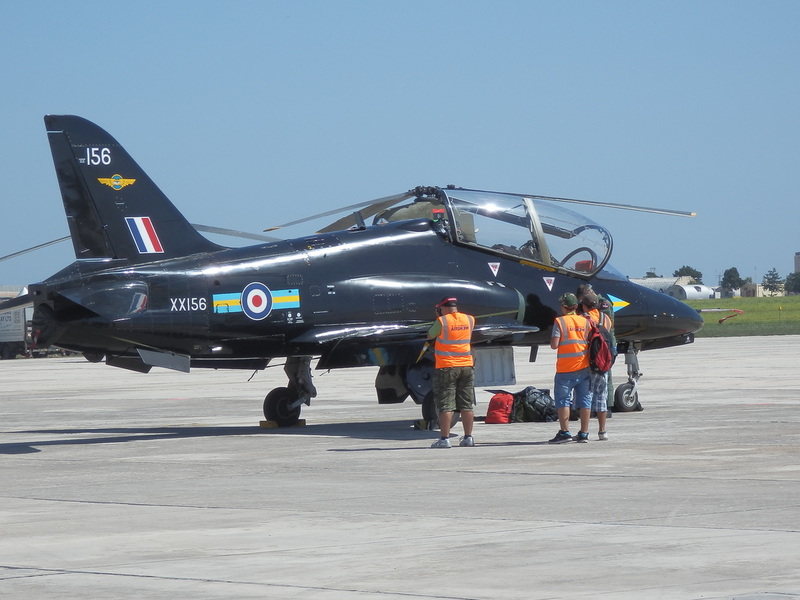 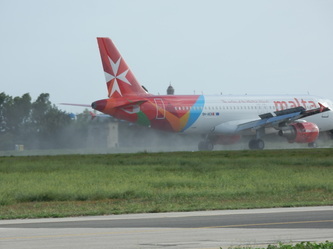 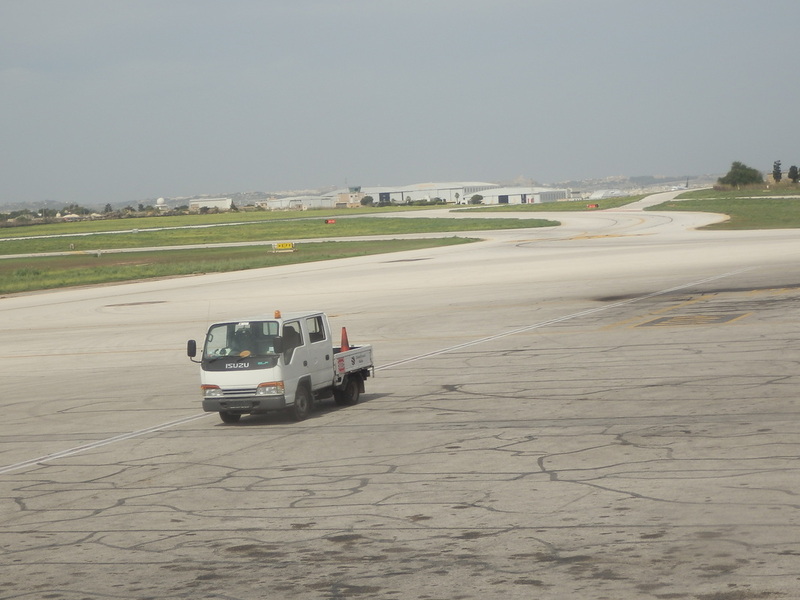 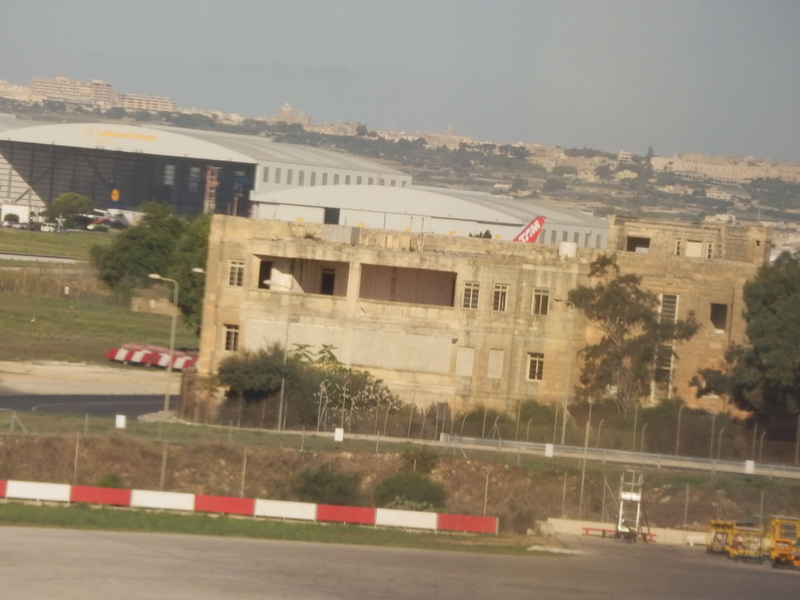 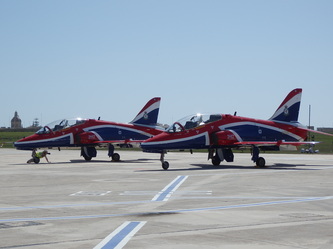 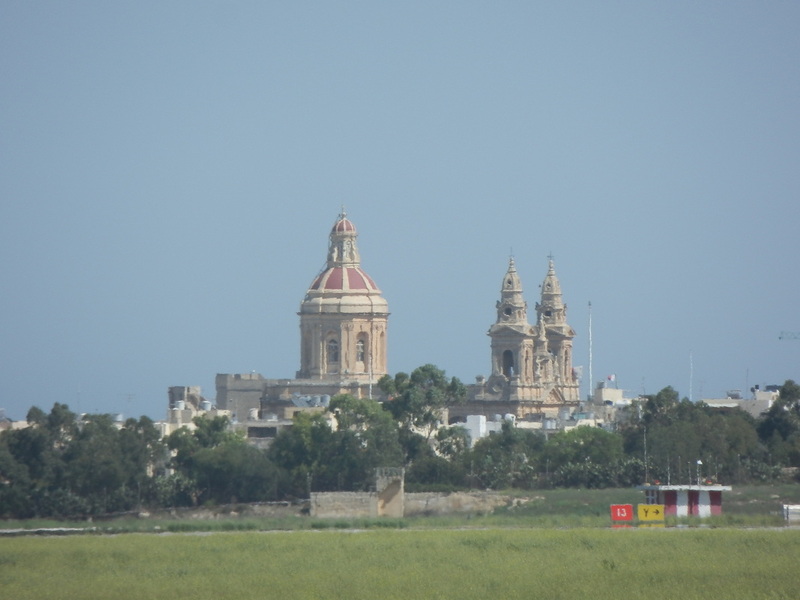 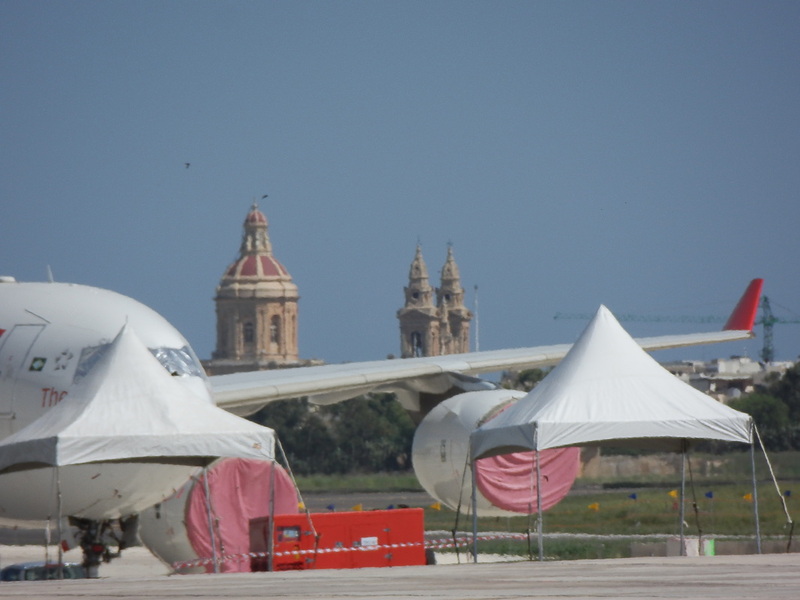 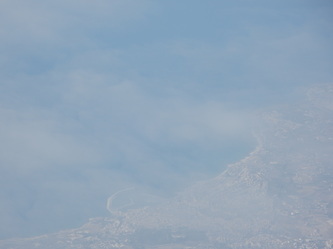 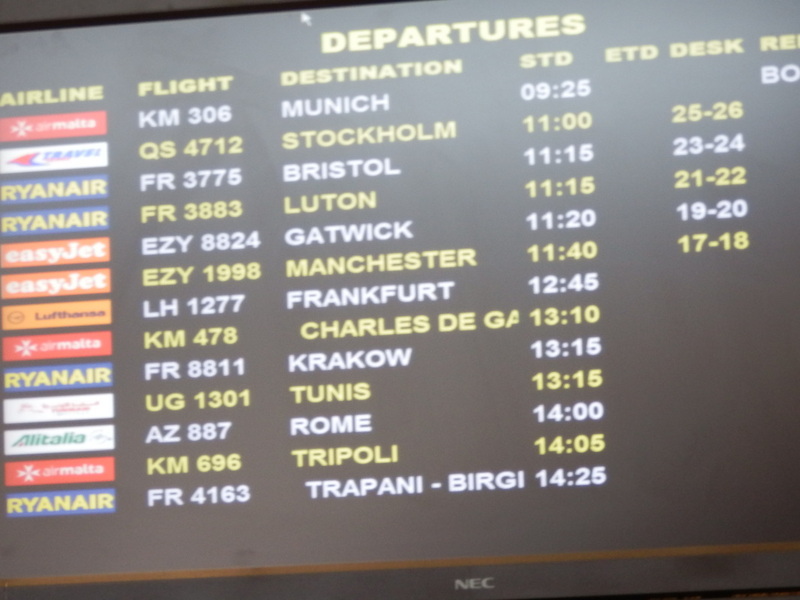 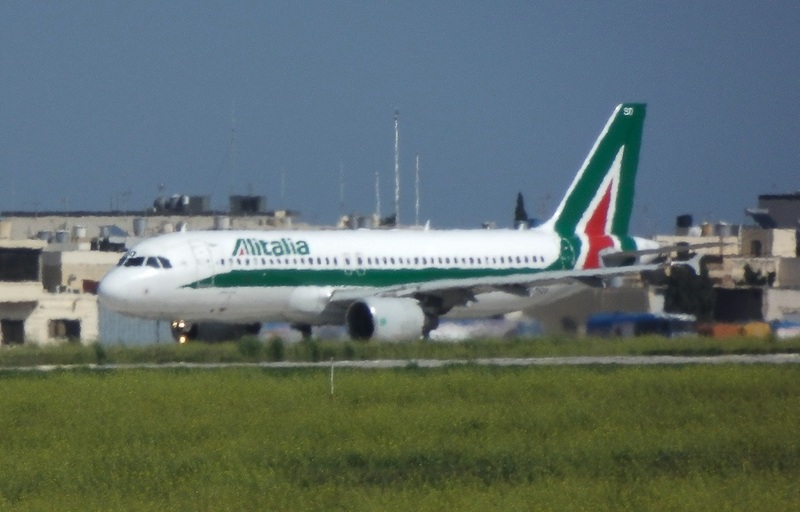 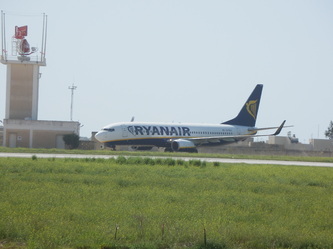 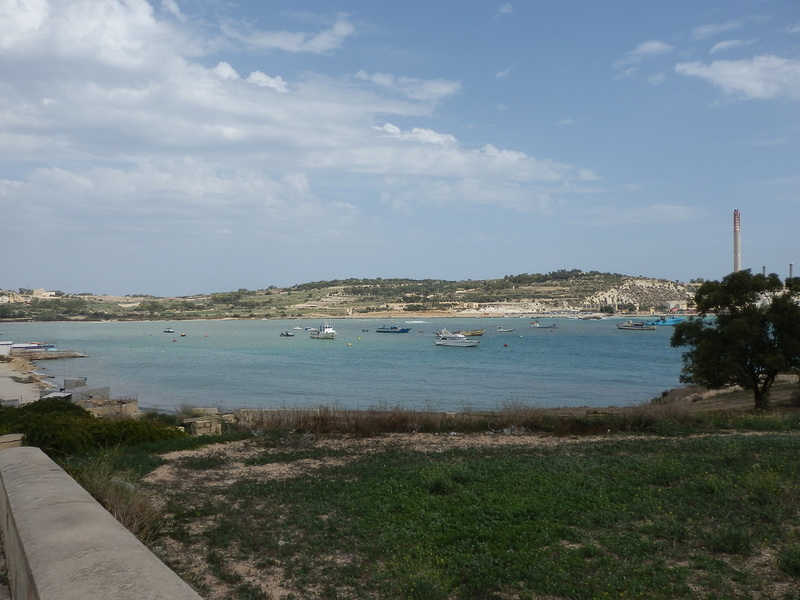 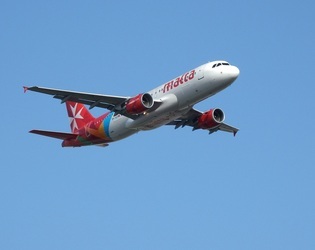 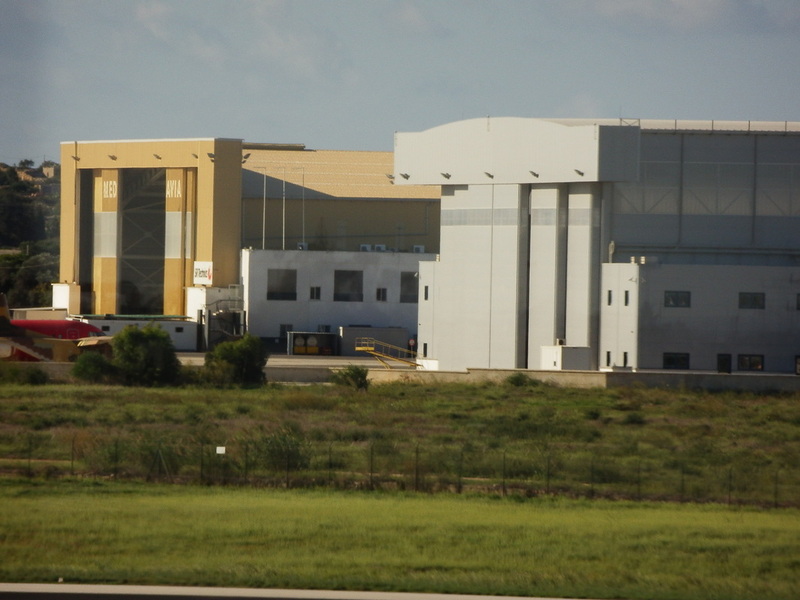 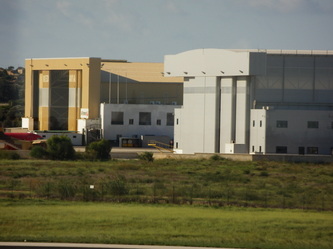 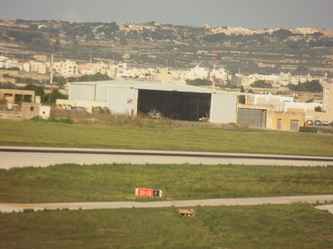 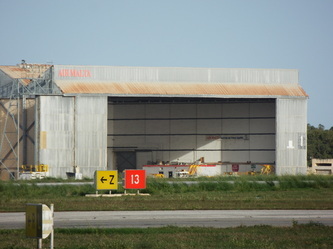 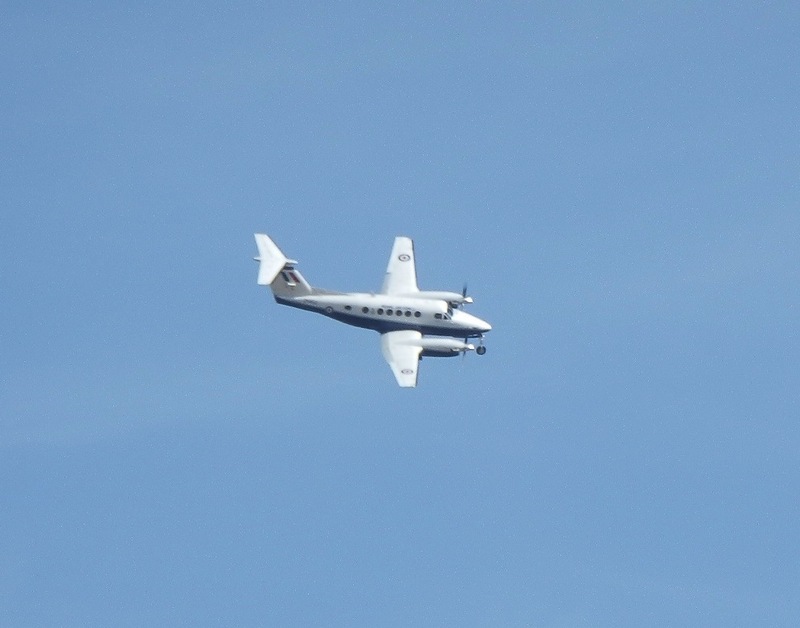 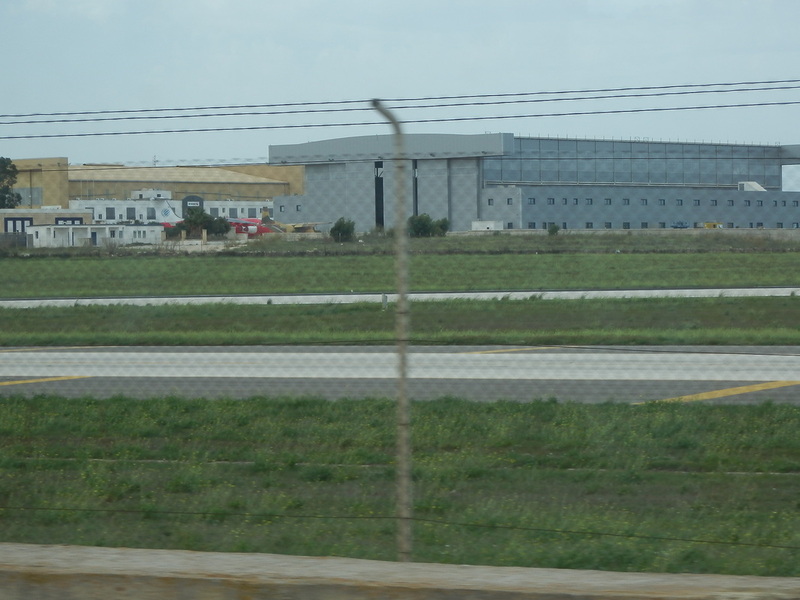 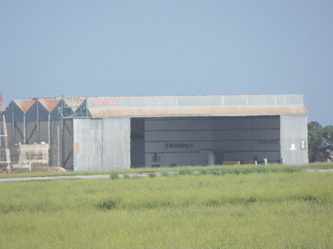 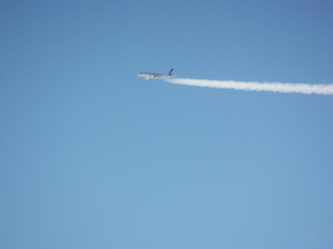 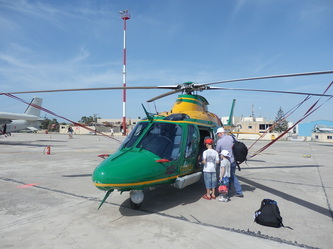 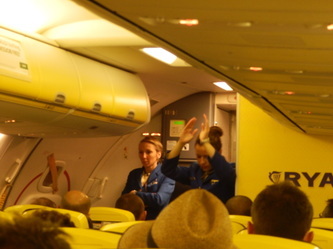 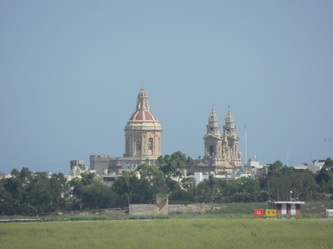 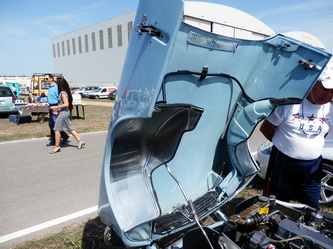 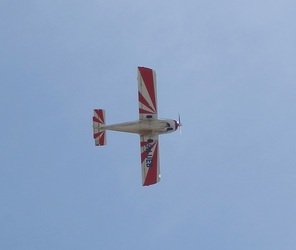 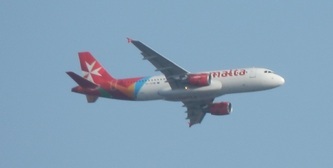 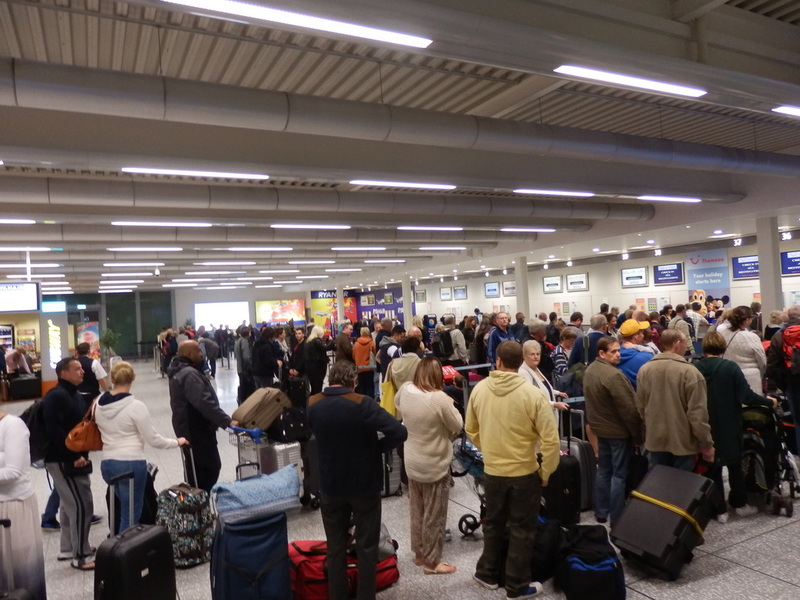 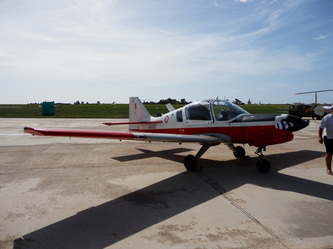 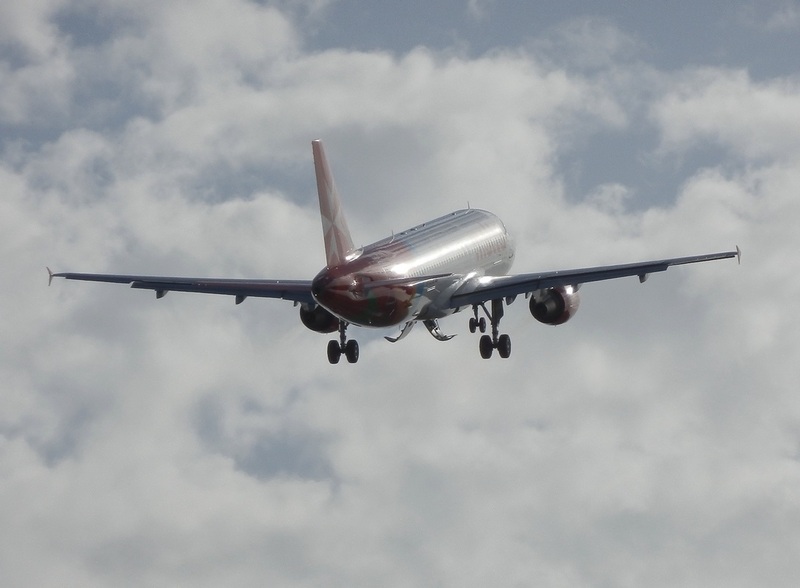 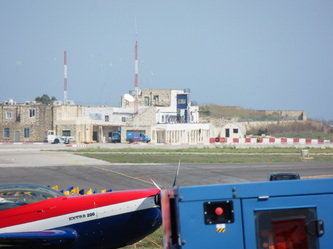 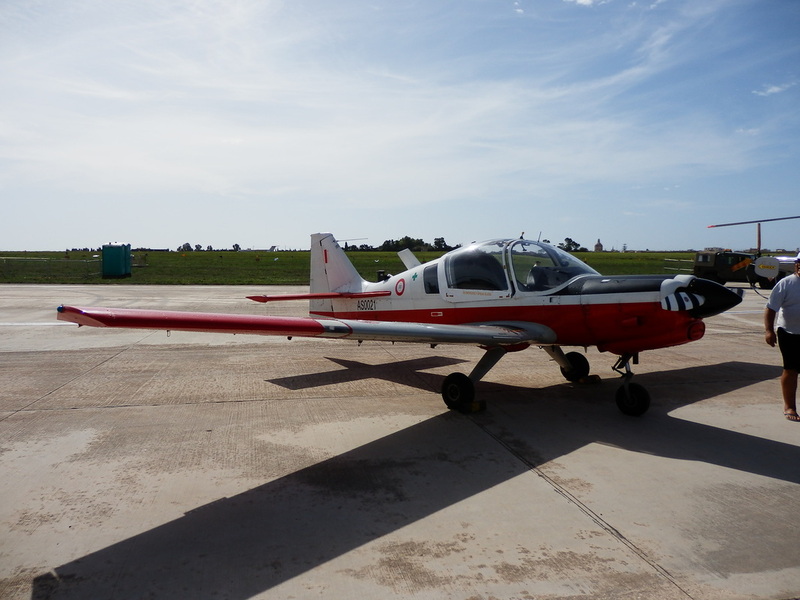 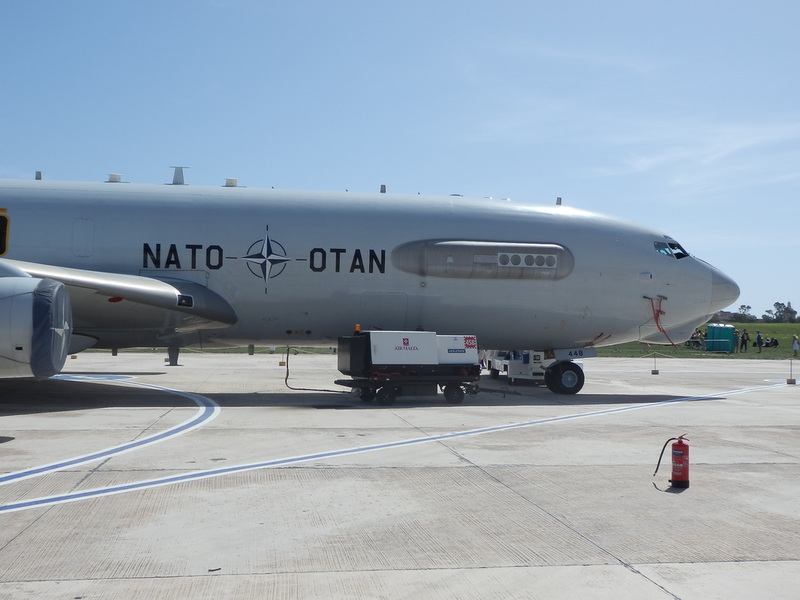 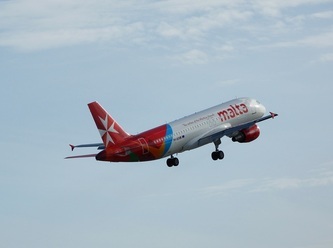 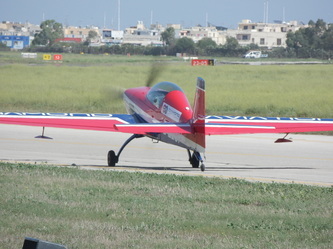 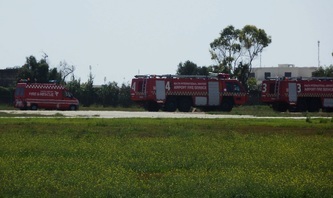 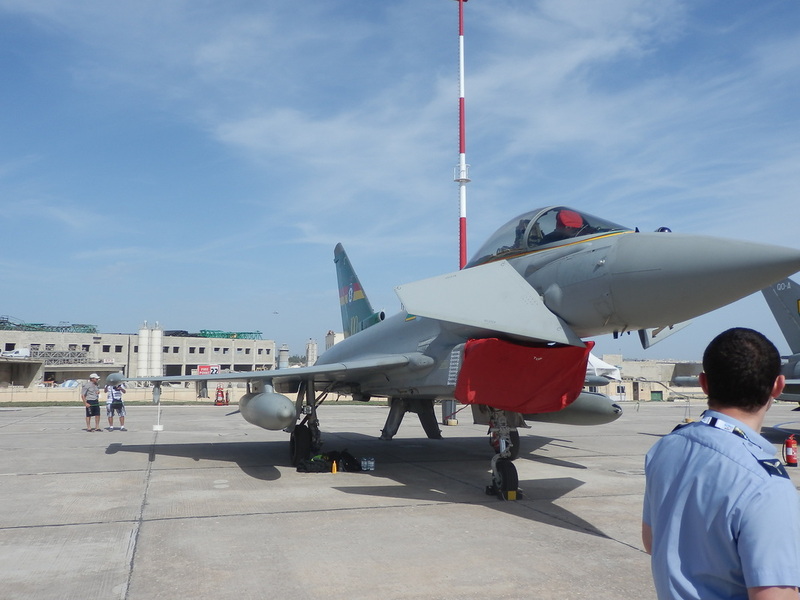 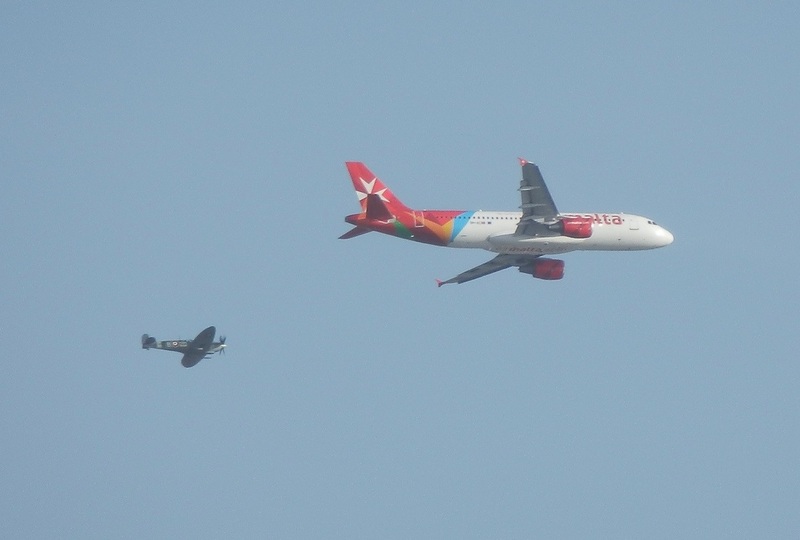 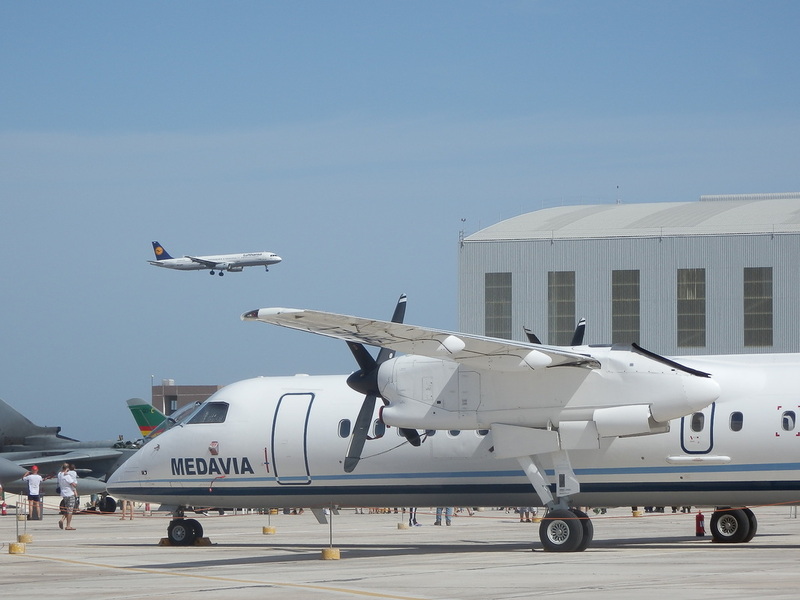 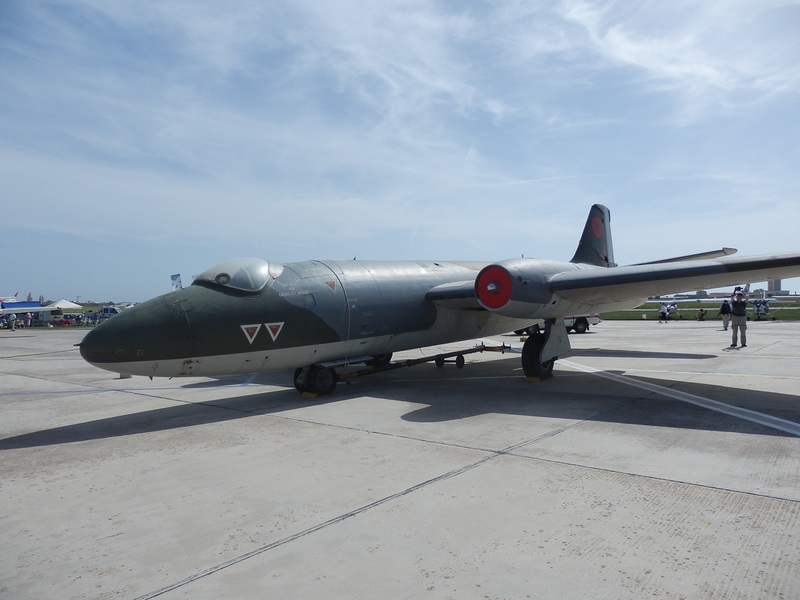 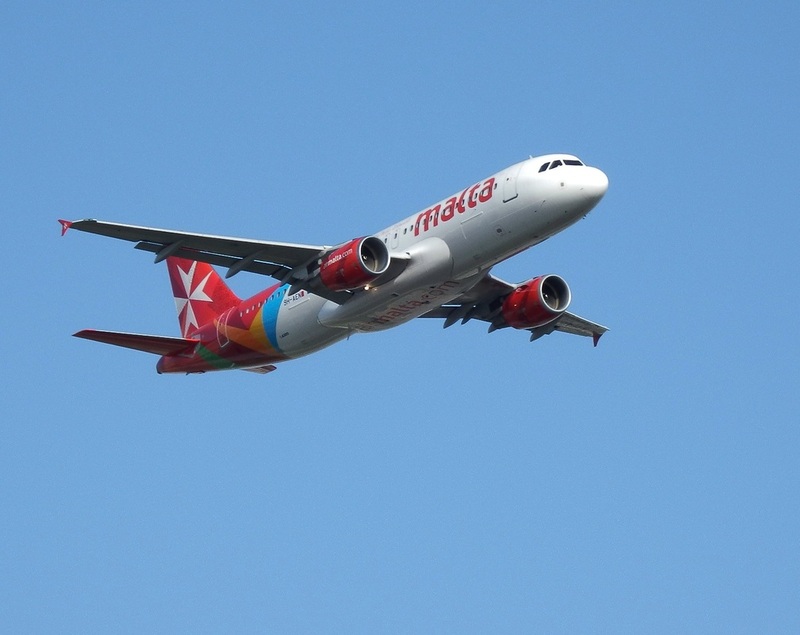 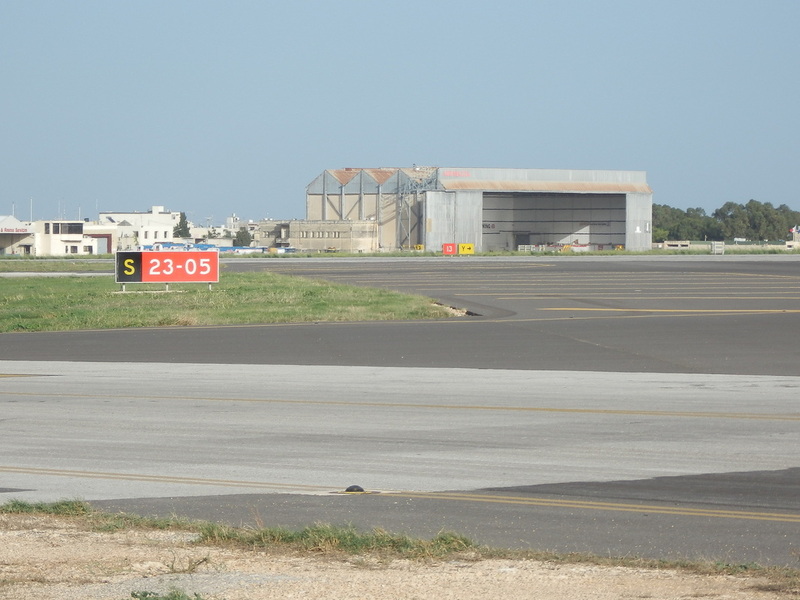 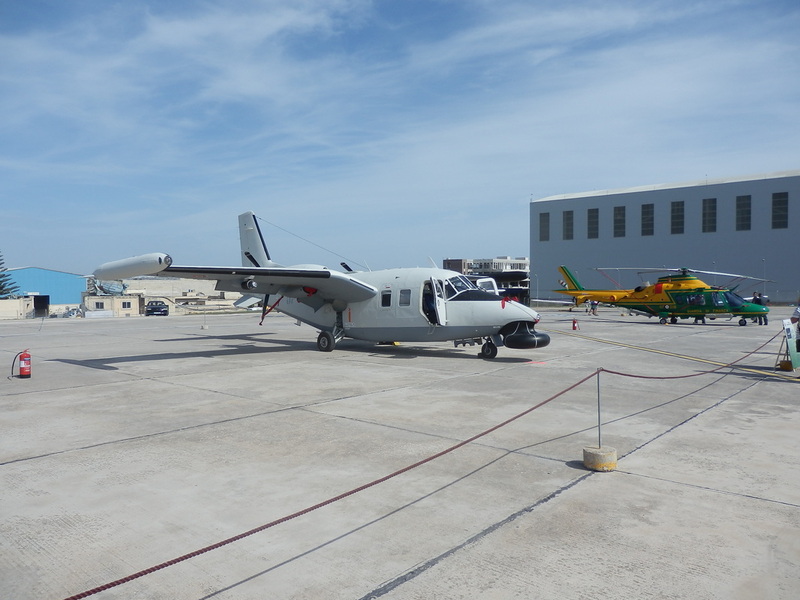 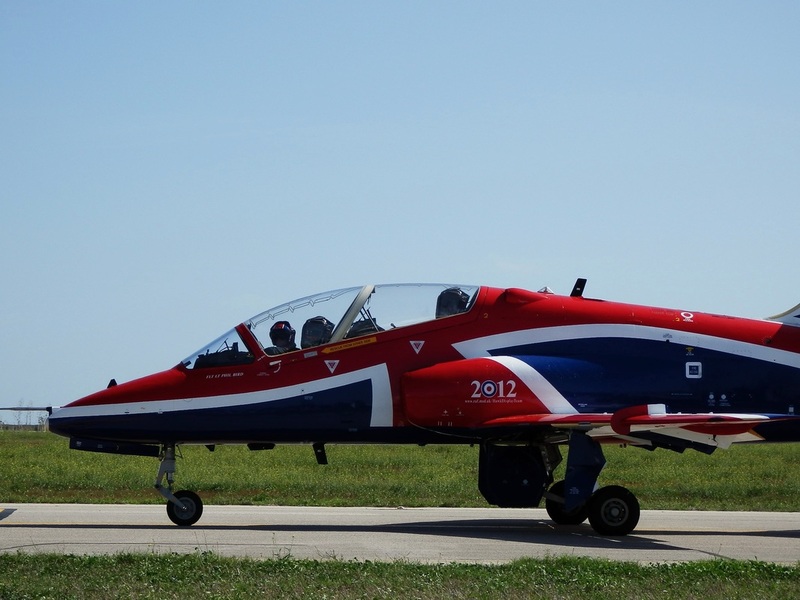 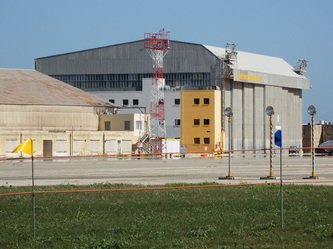 This included the airshow held at Luqa, although they now call it Malta International Airport. 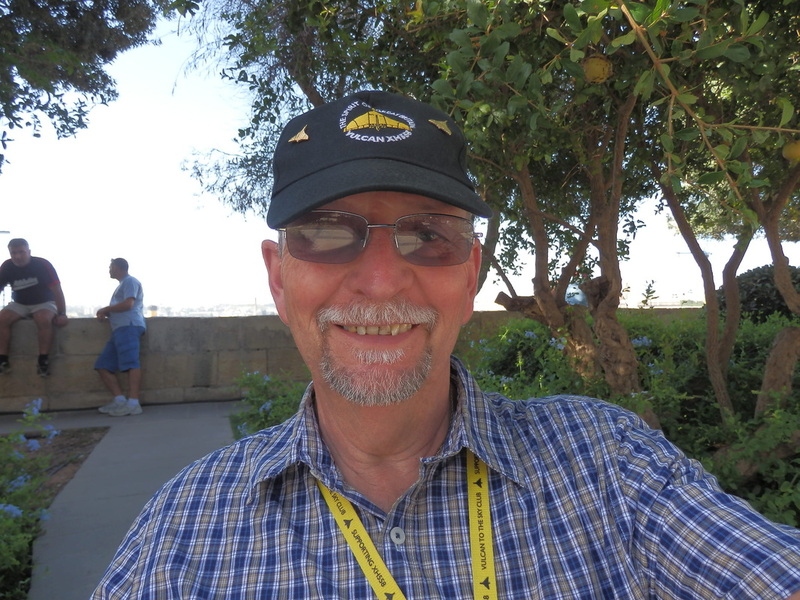 The photograph at the head of this page was used in the Airshow programme magazine along with a page of words about my time in Malta. 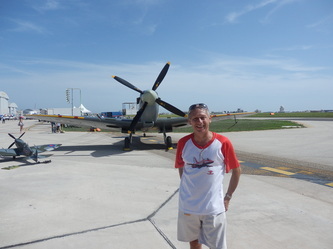 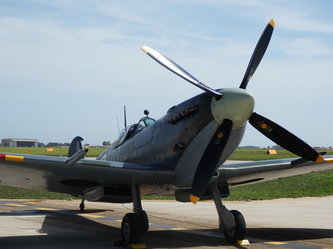 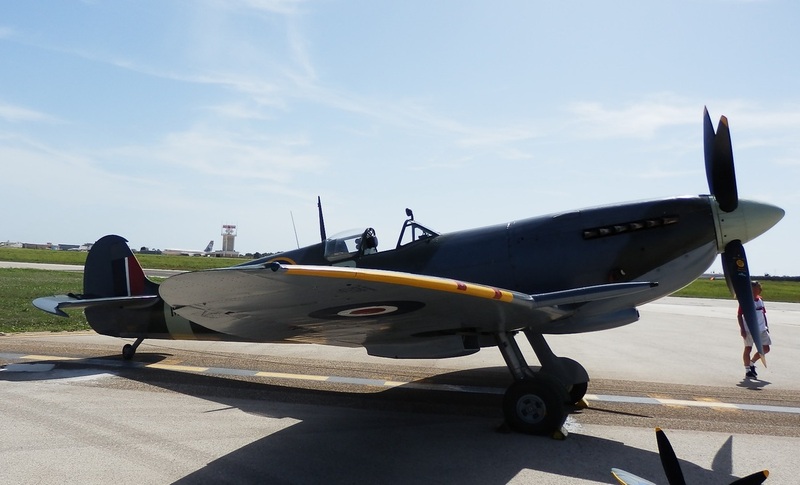 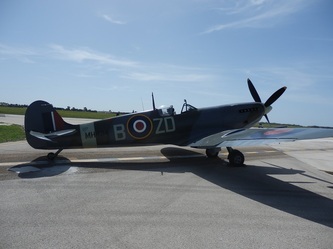 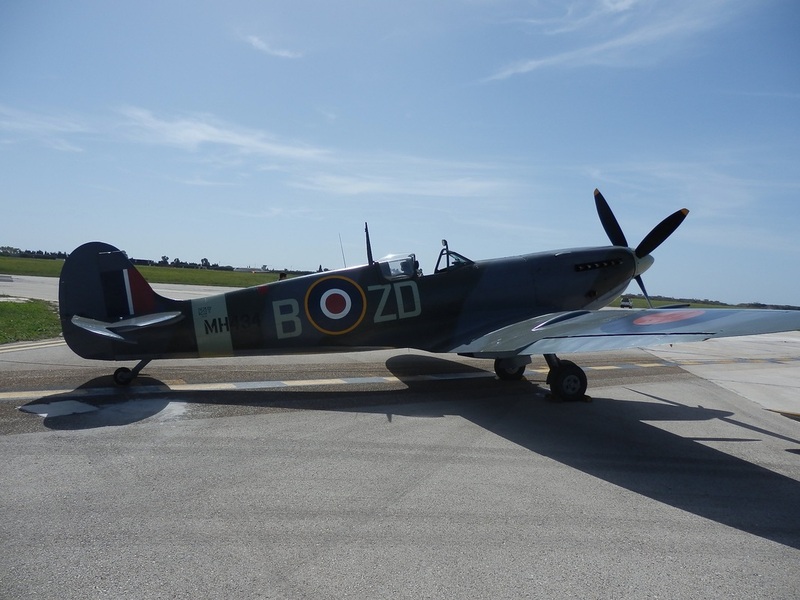 Spitfire arriving in Grand Harbour Friday 28 September for the Malta International Airshow scheduled 29/30 September 2012. 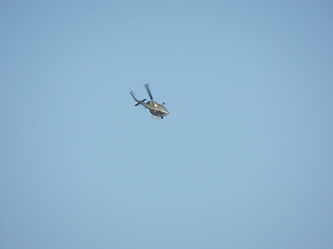 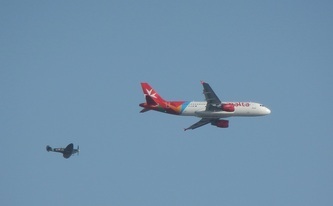 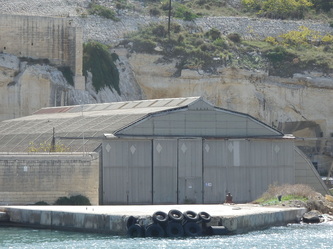 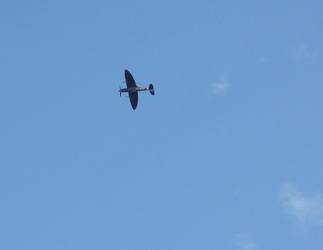 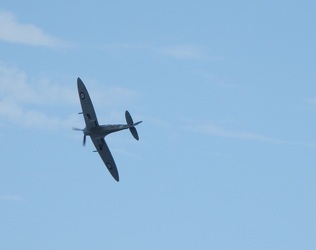 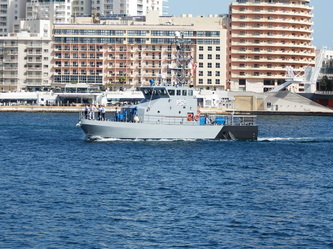 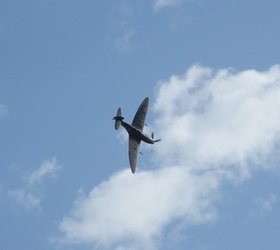 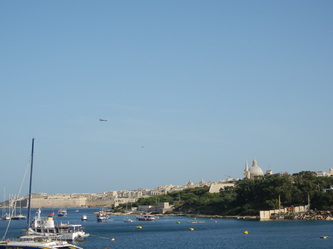 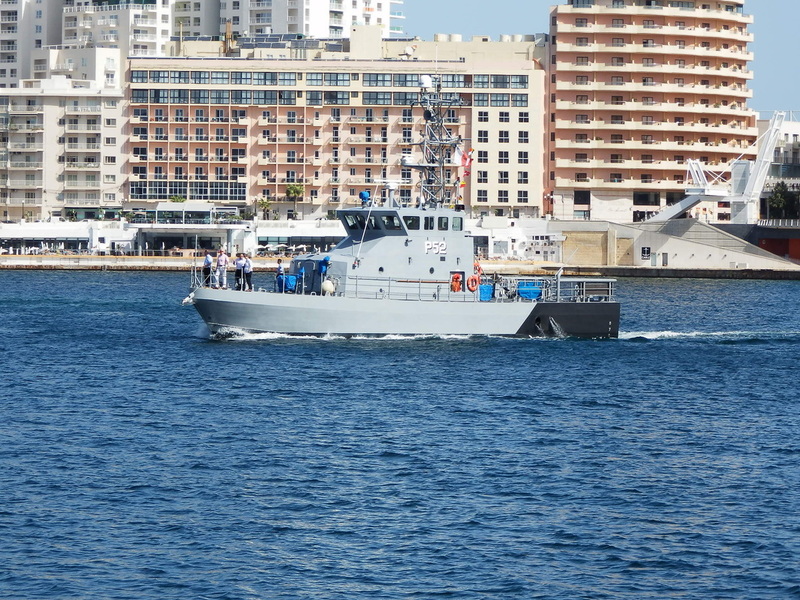 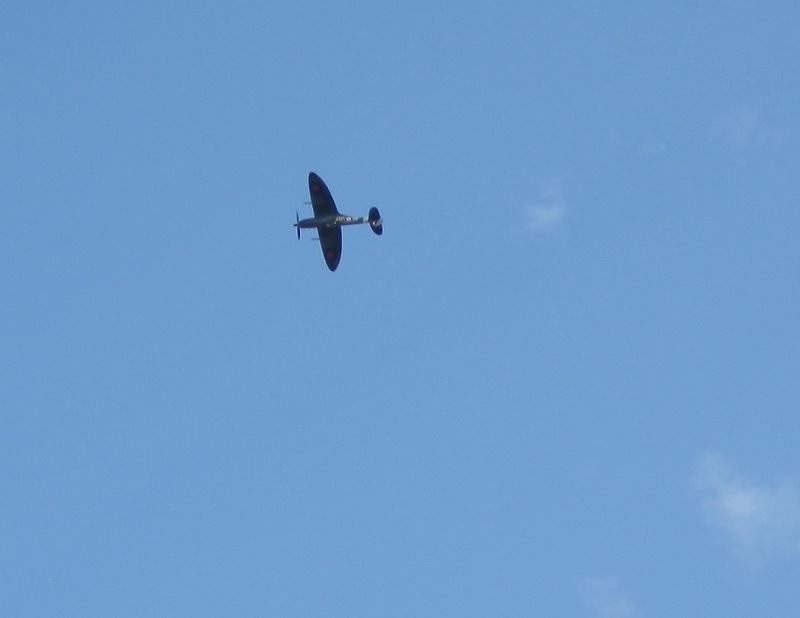 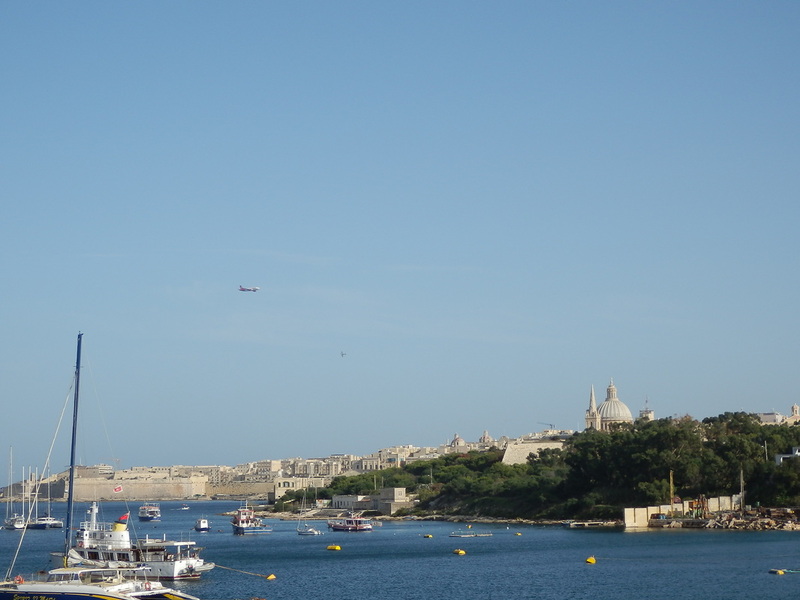 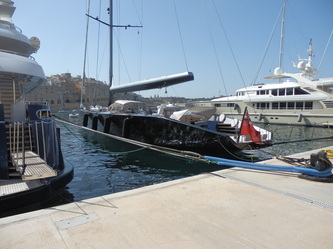 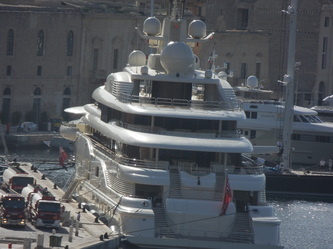 Spitfire making second pass through Grand Harbour Friday 28 September 2012. 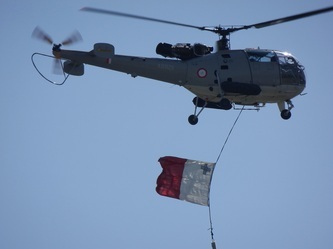 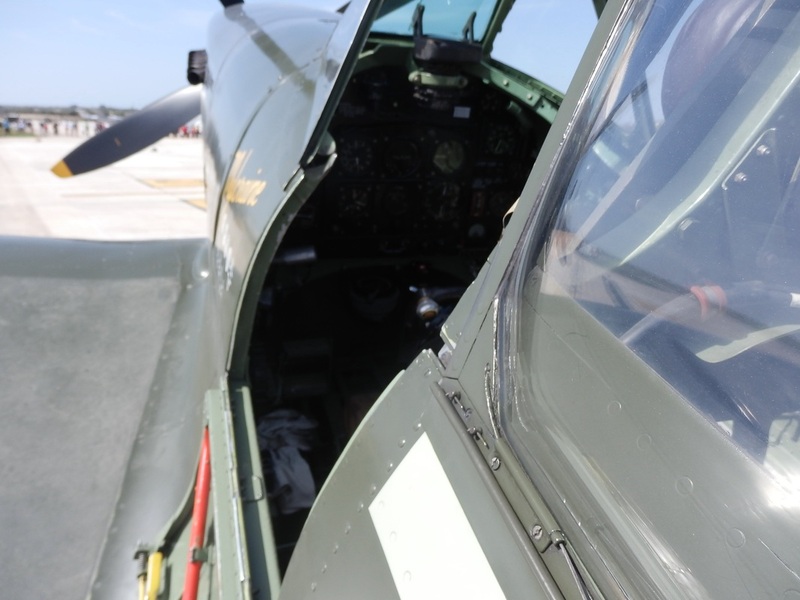 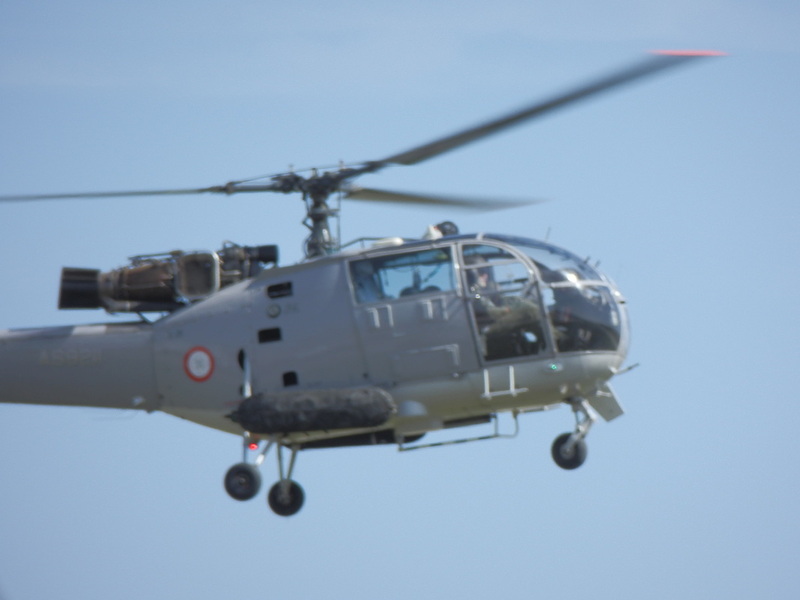 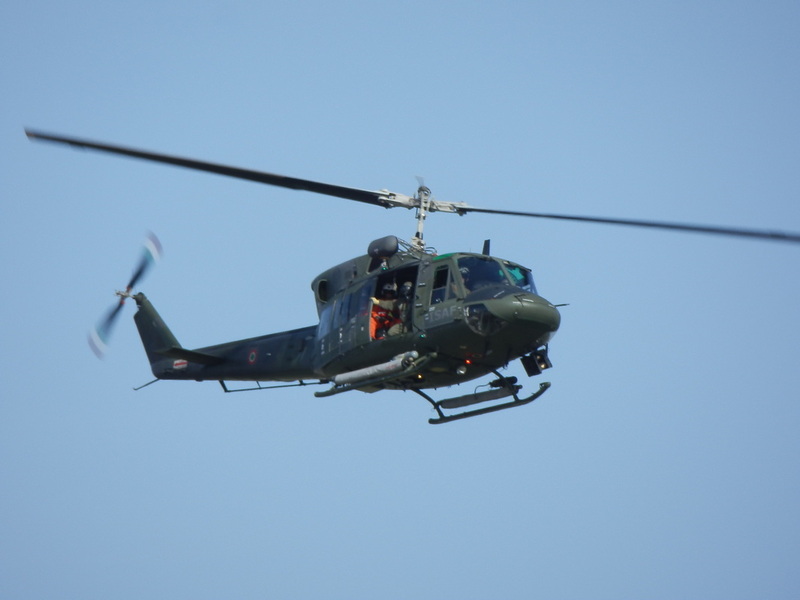 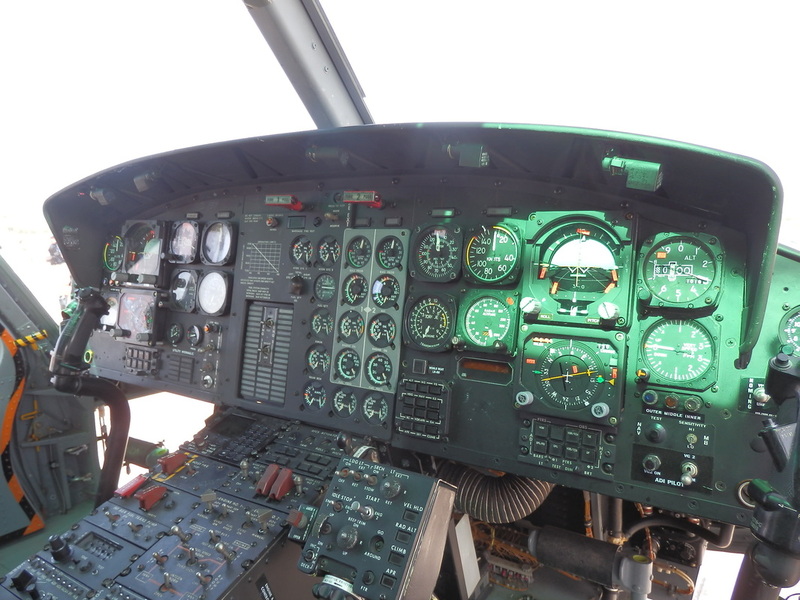 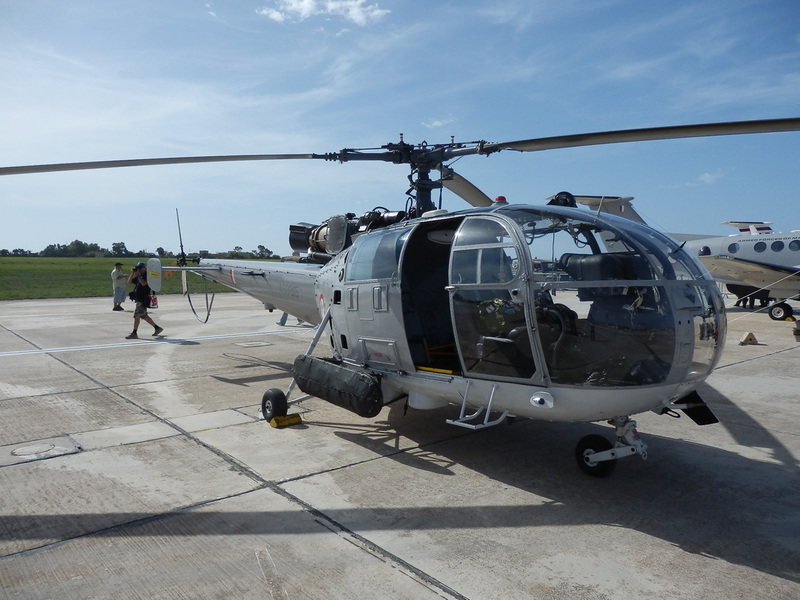 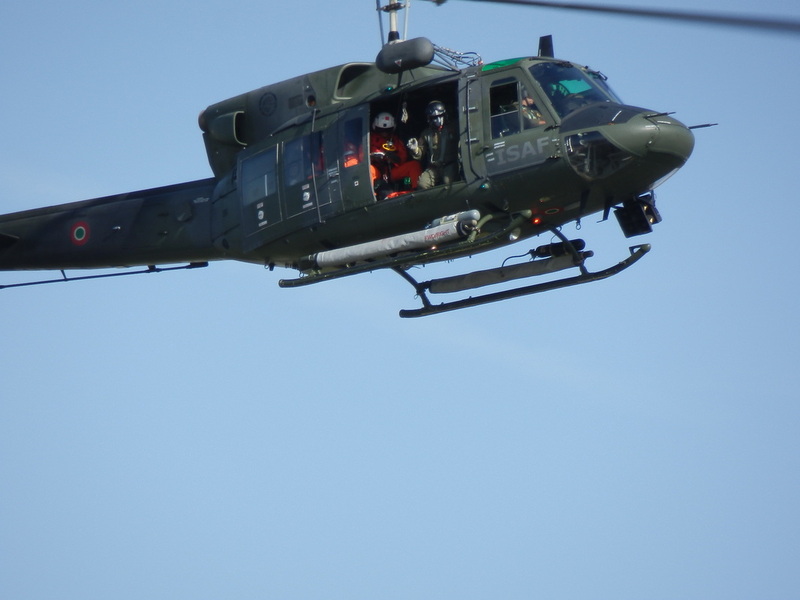 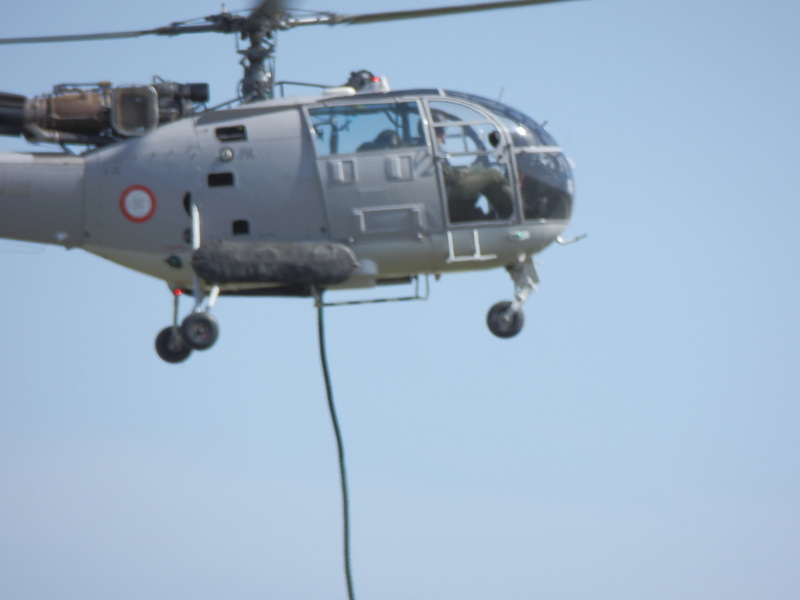 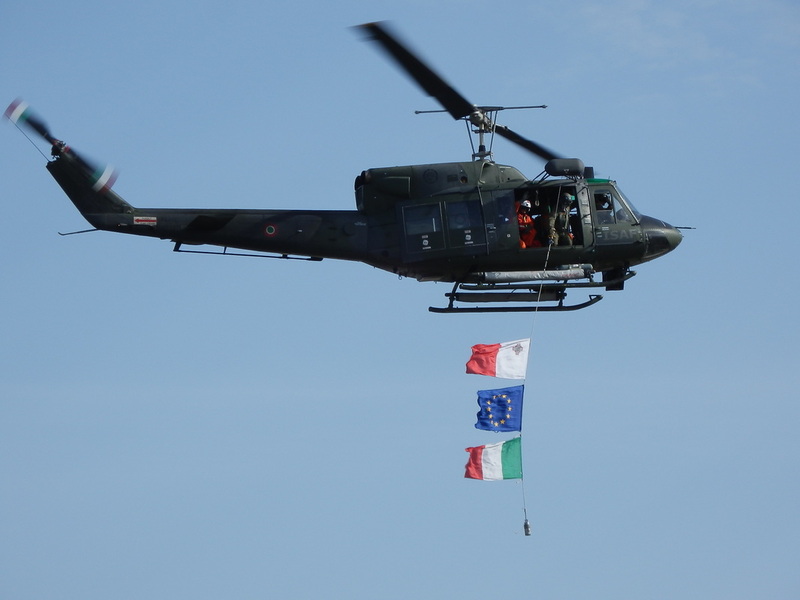 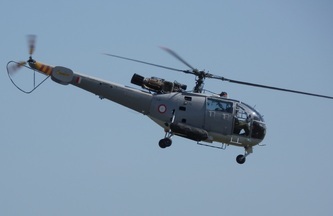 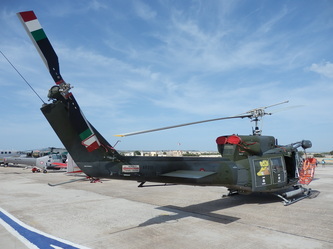 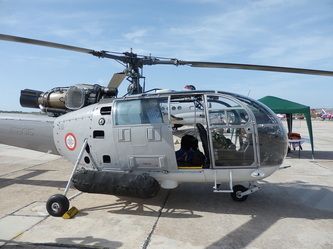 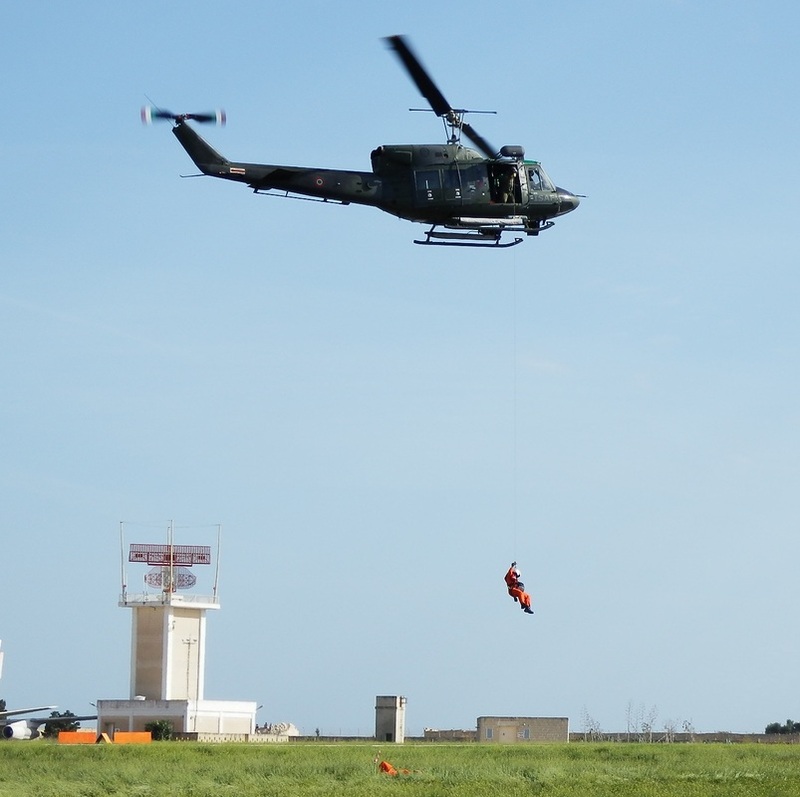 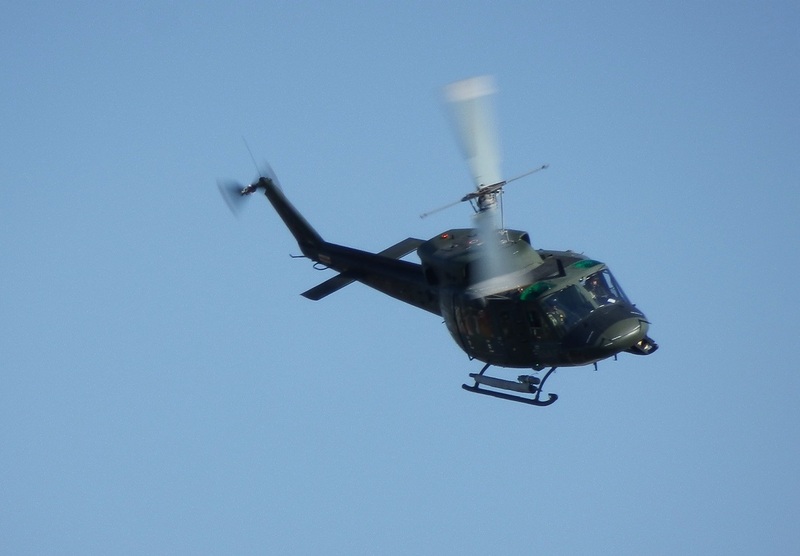 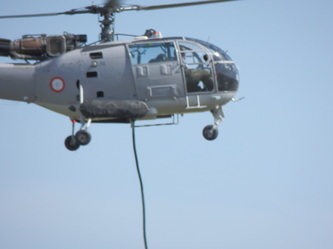 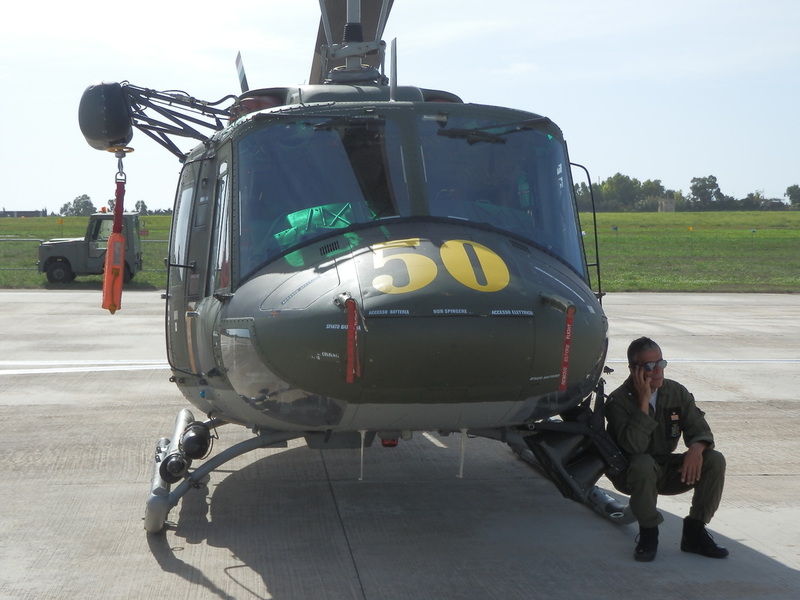 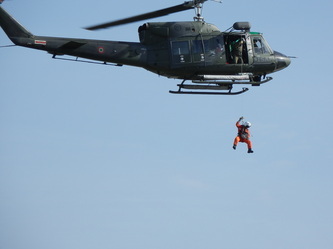 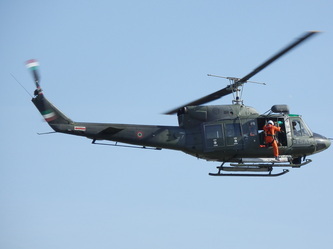 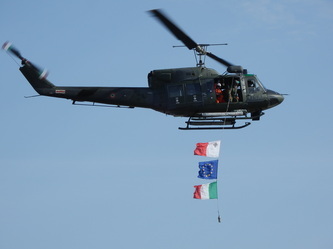 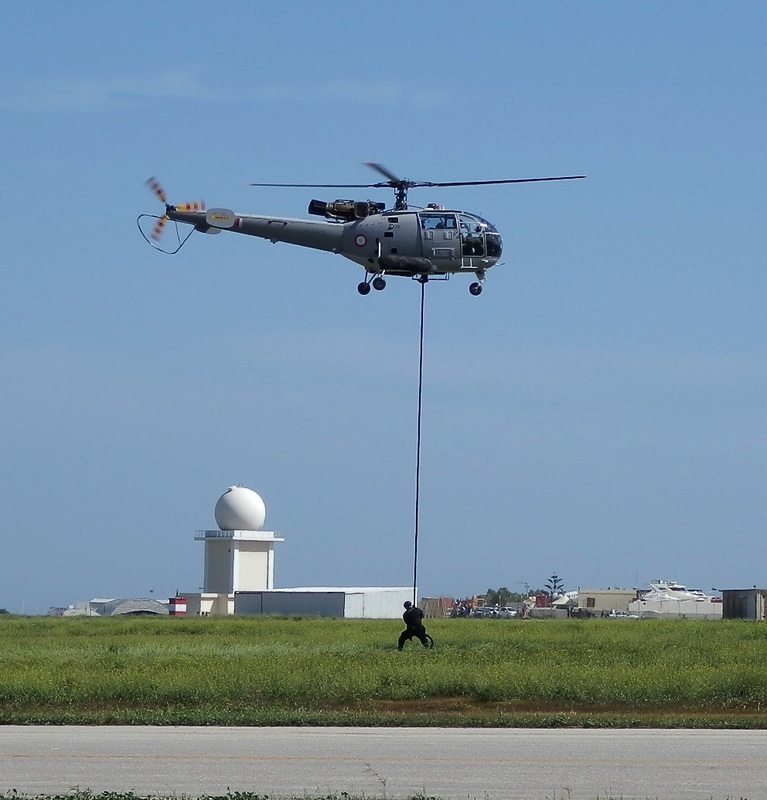 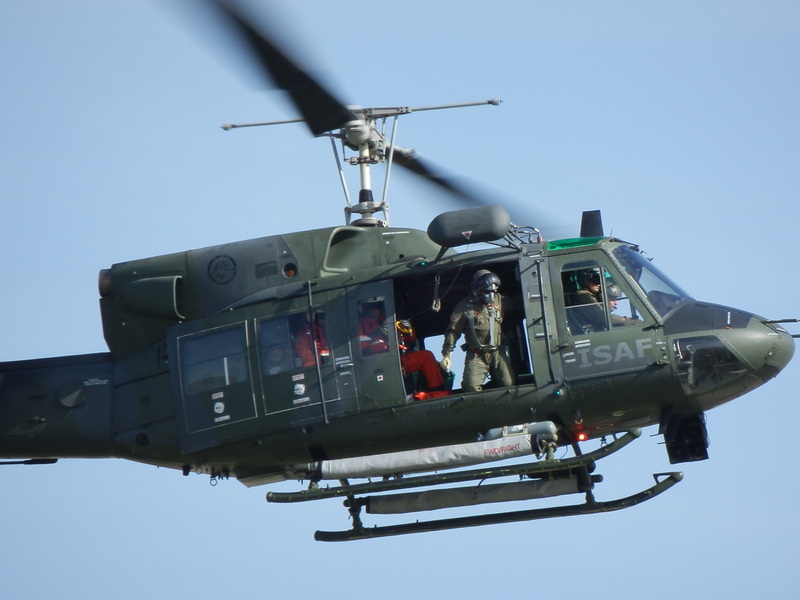 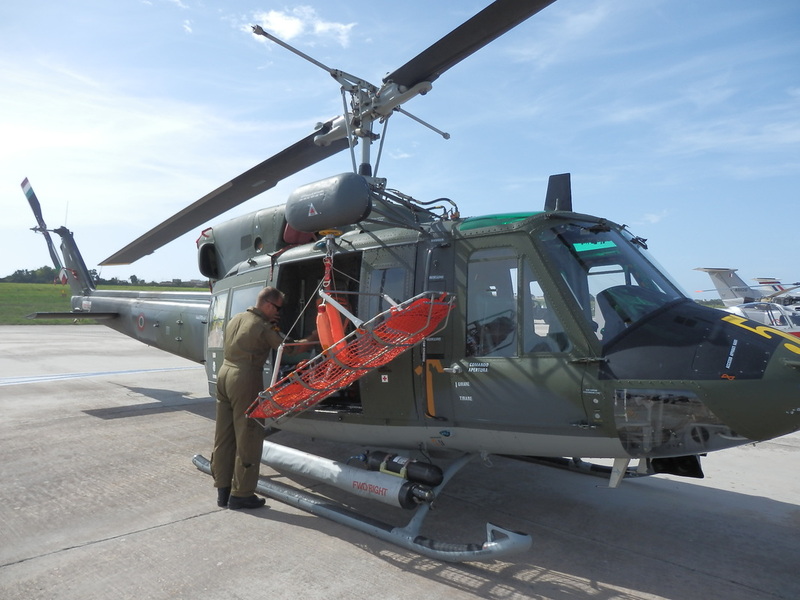 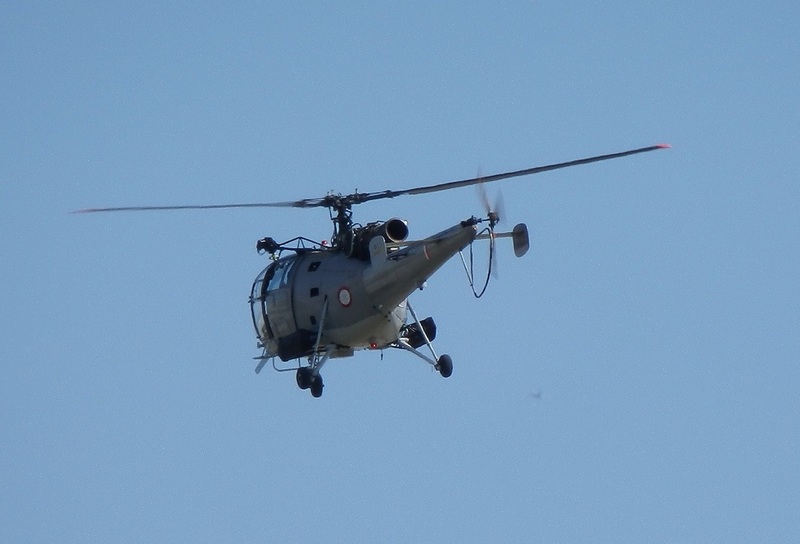 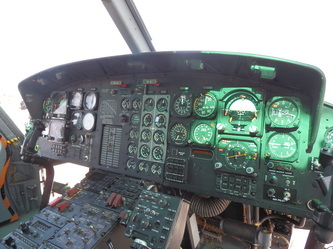 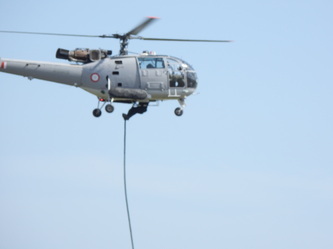 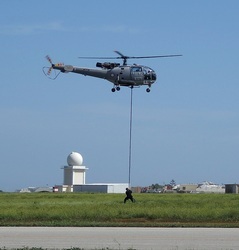 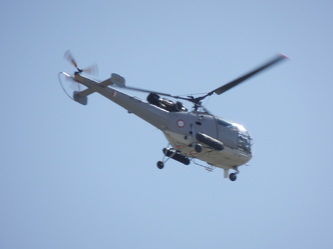 MIATM AB-22 (Italian 'Huey') - Turn the sound up for the rotor blade noise! 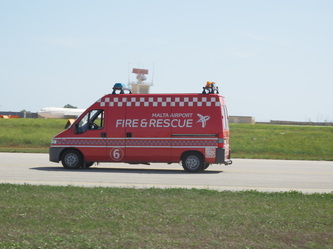 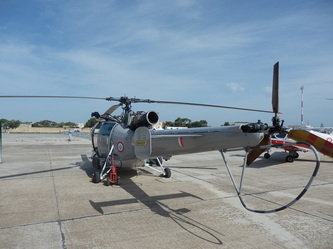 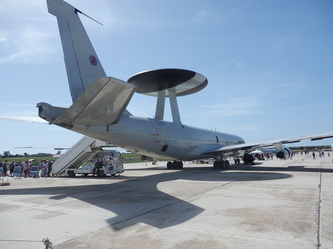 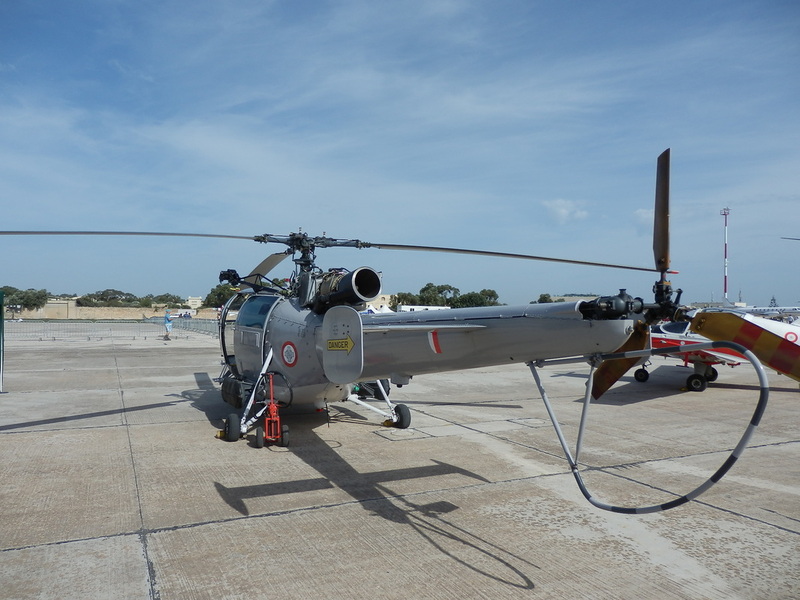 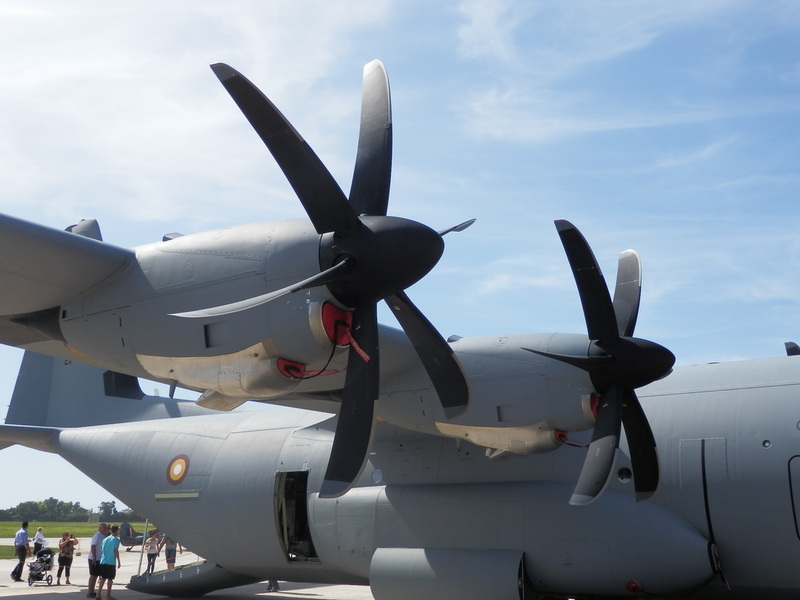 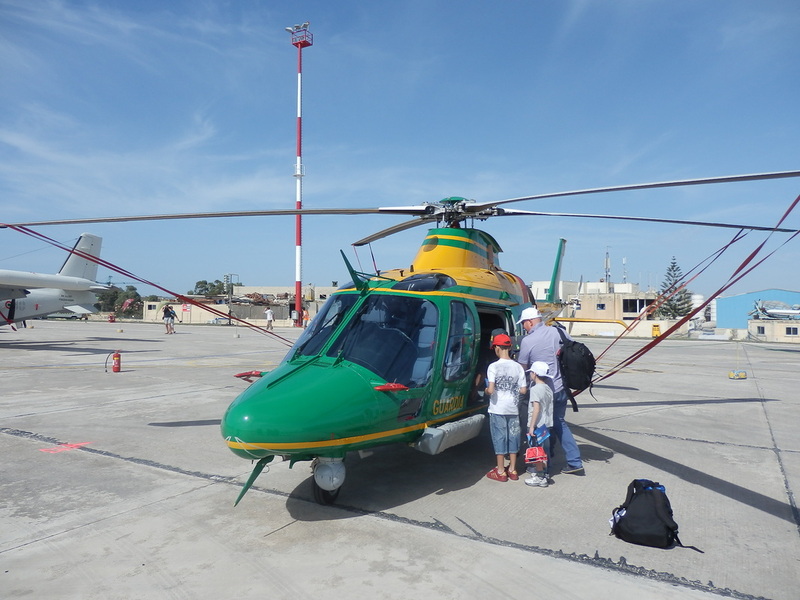 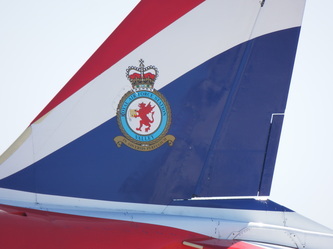 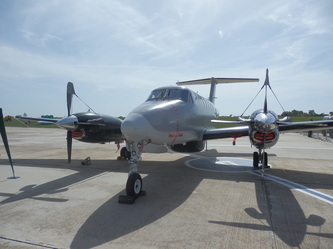 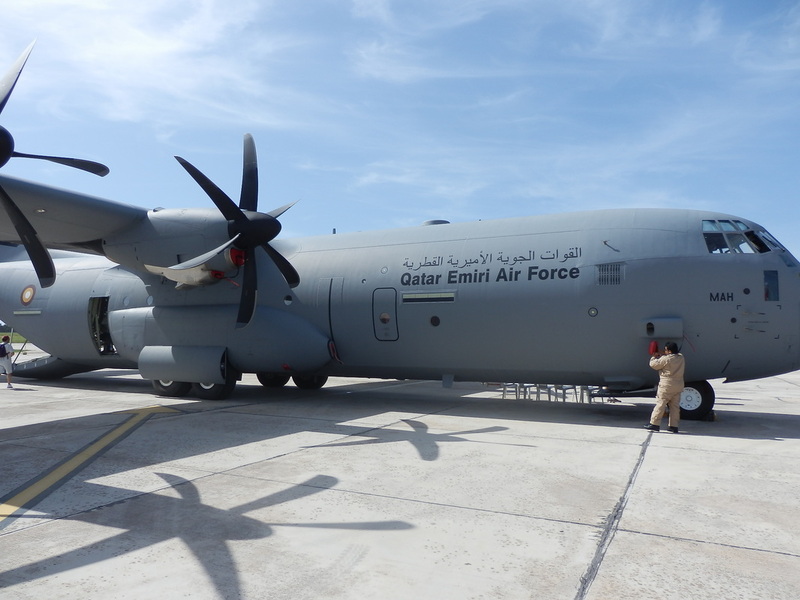 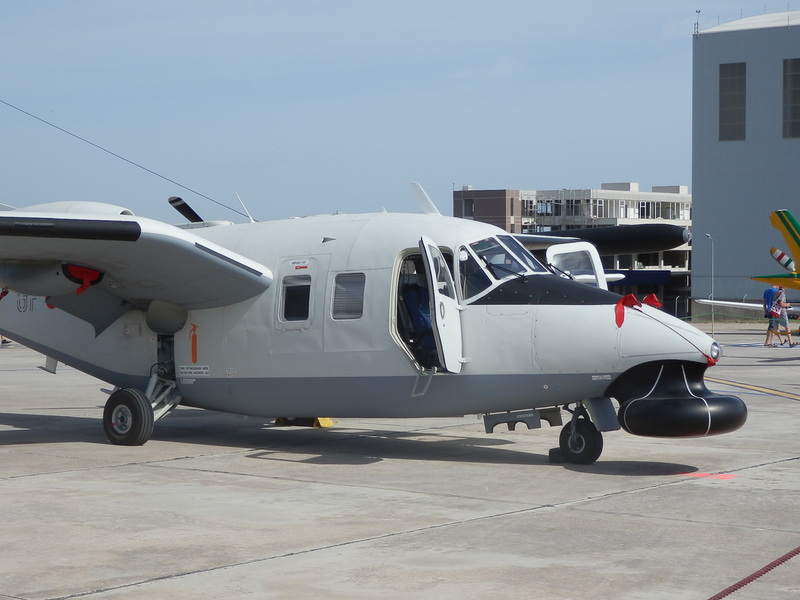 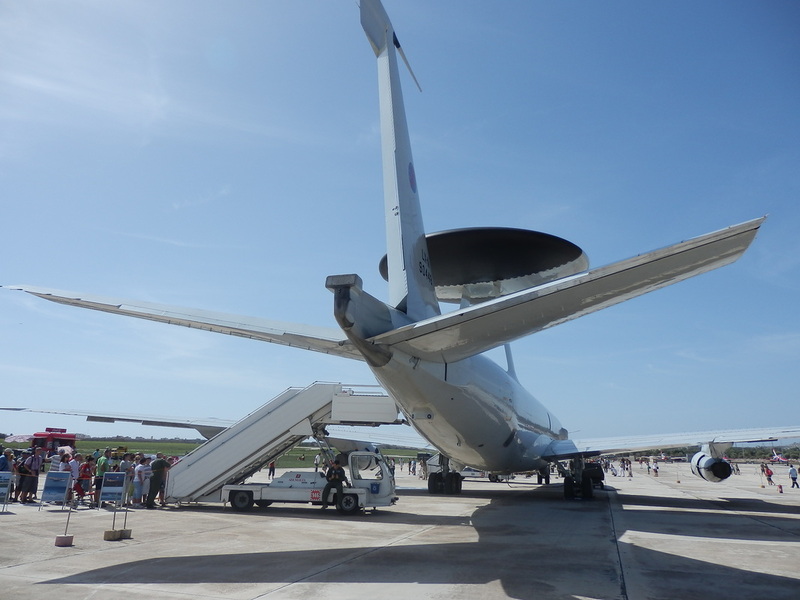 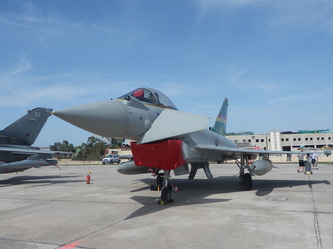 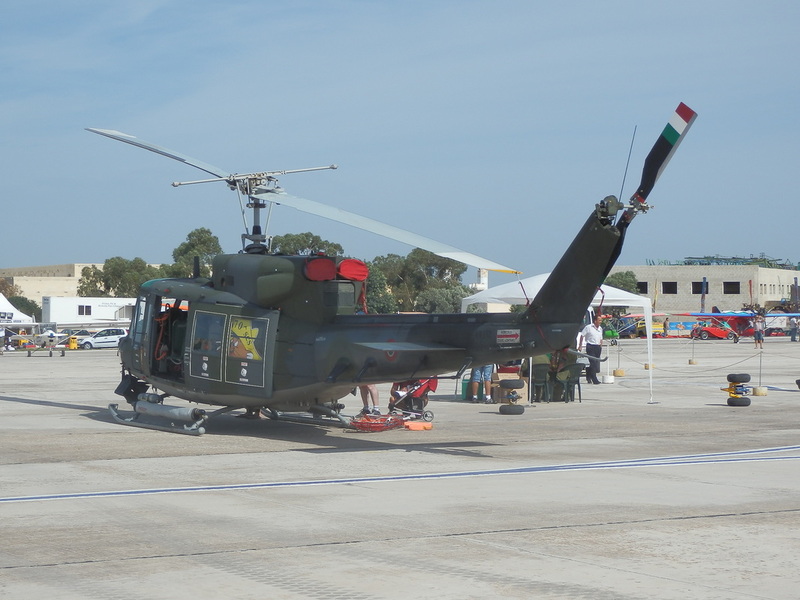 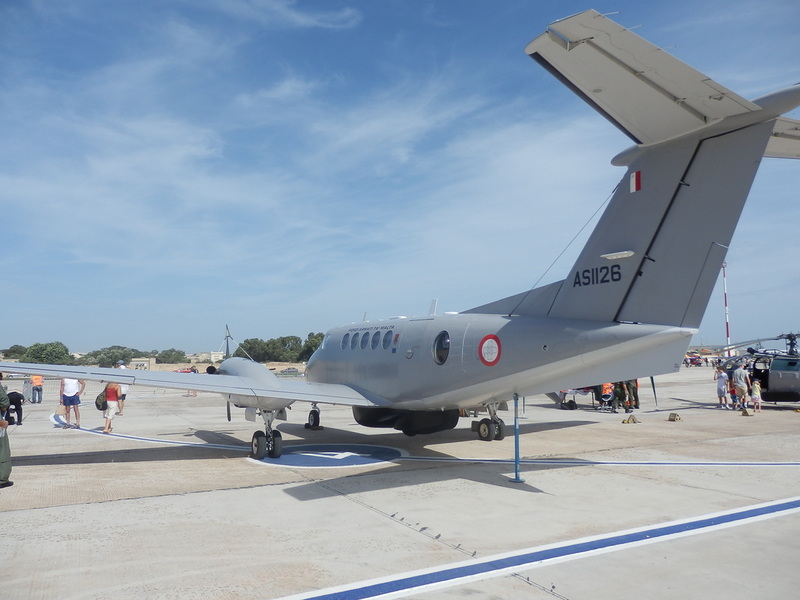 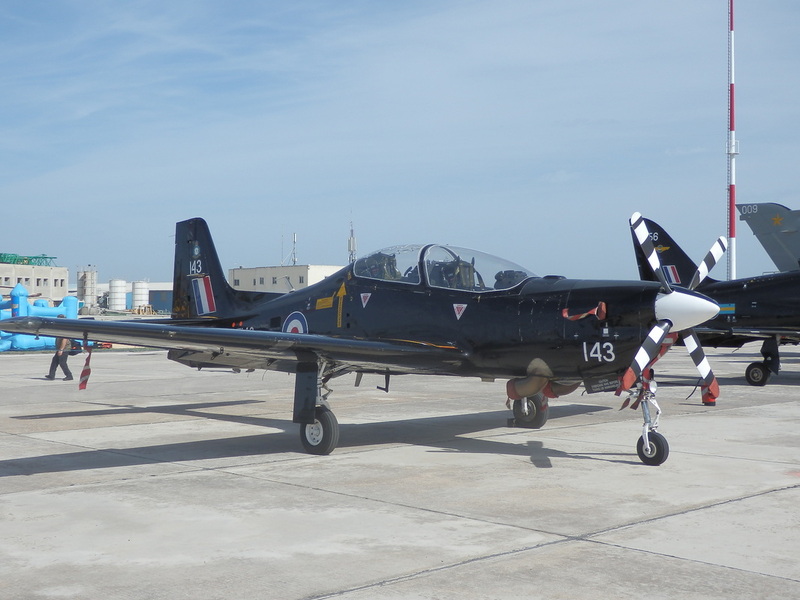 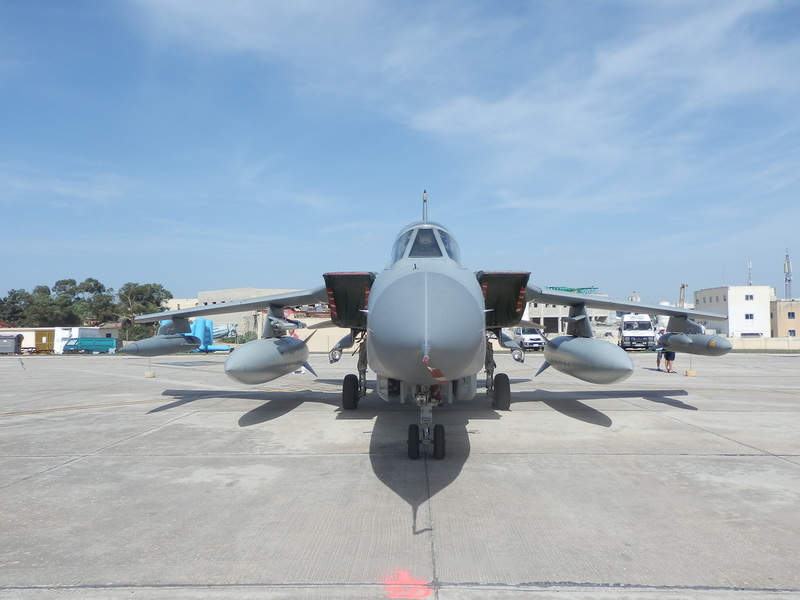 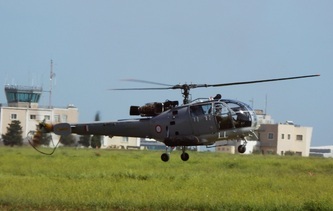 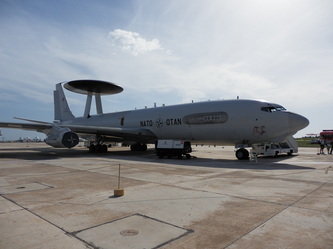 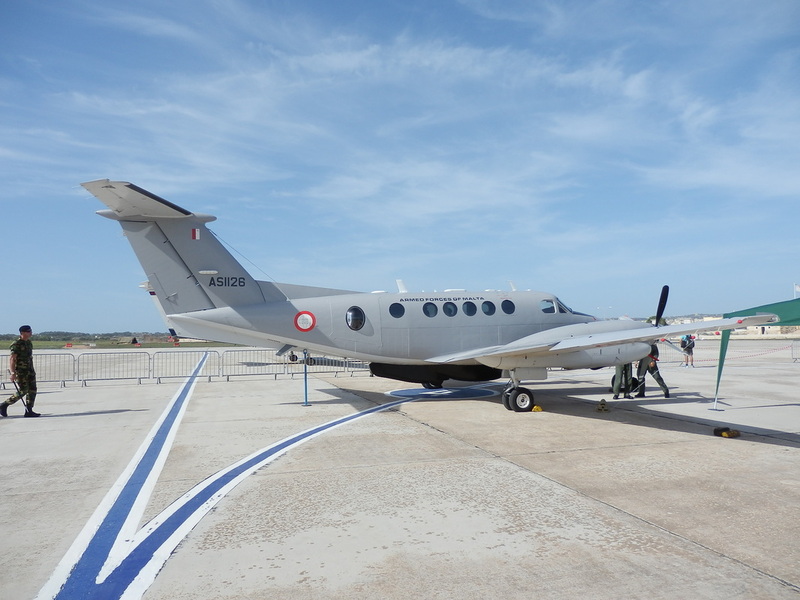 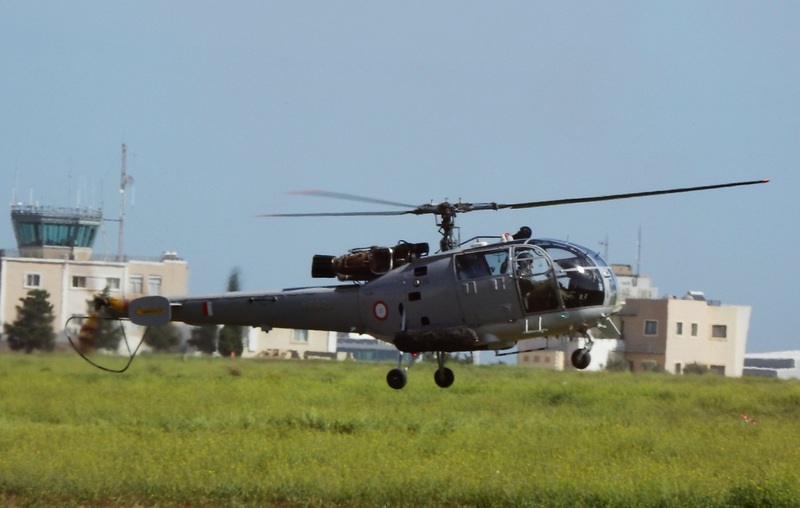 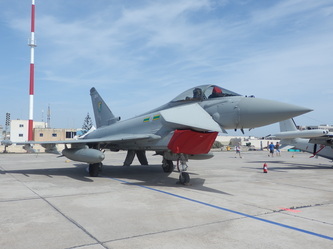 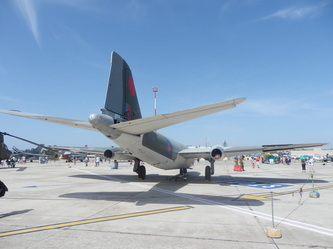 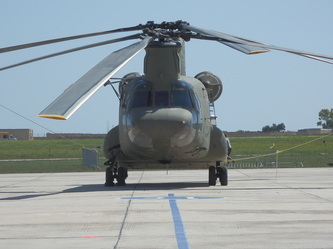 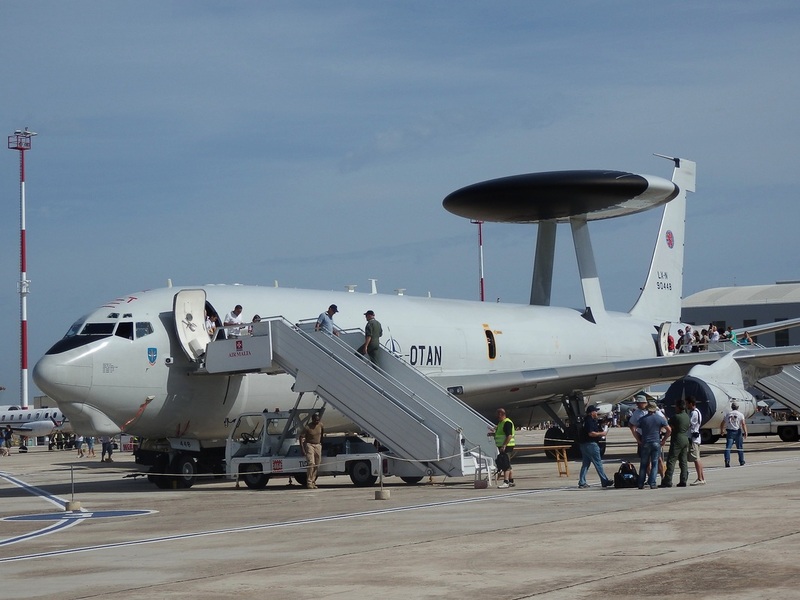 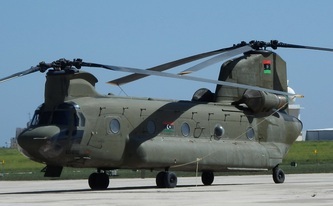 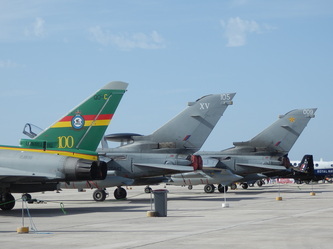 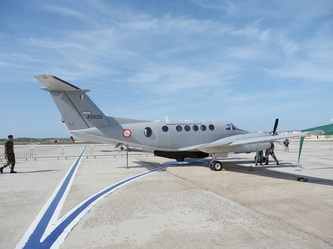 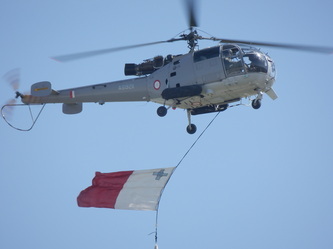 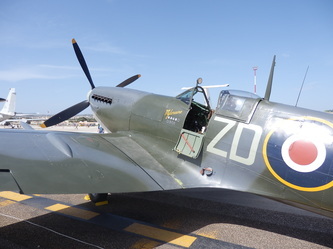 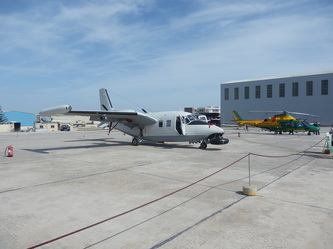 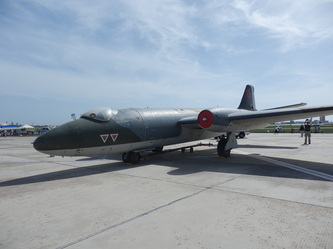 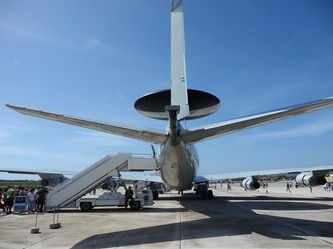 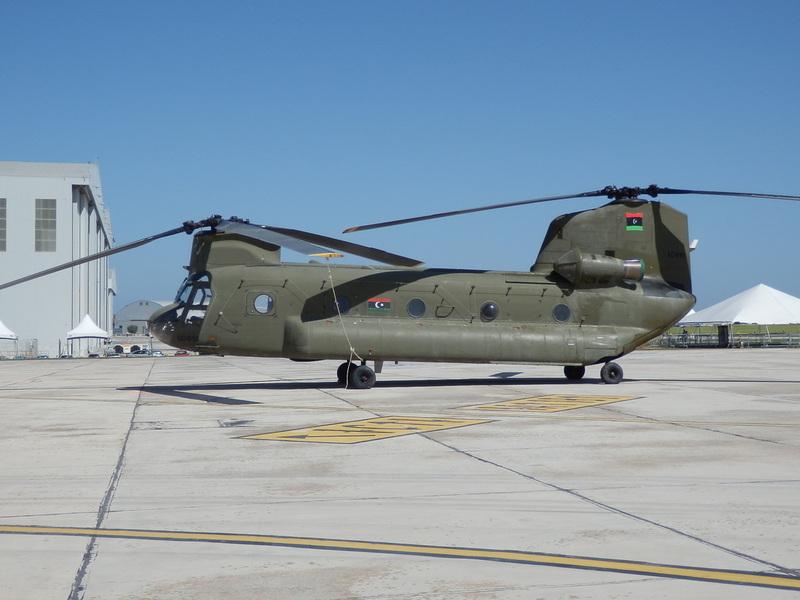 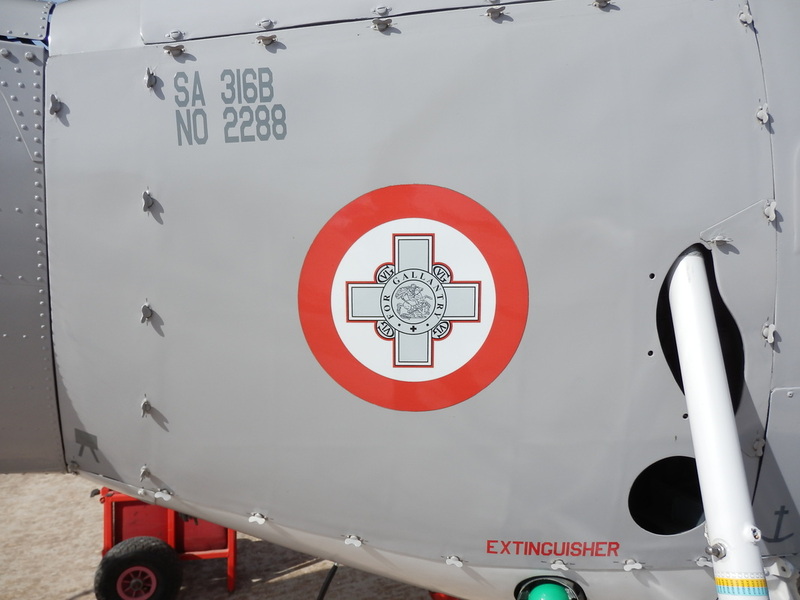 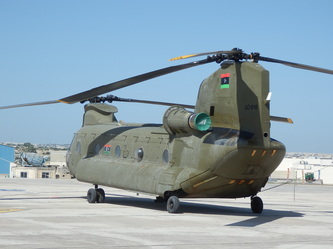 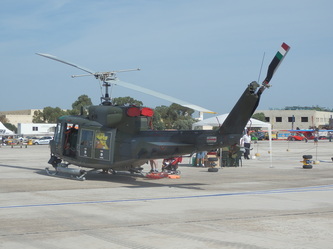 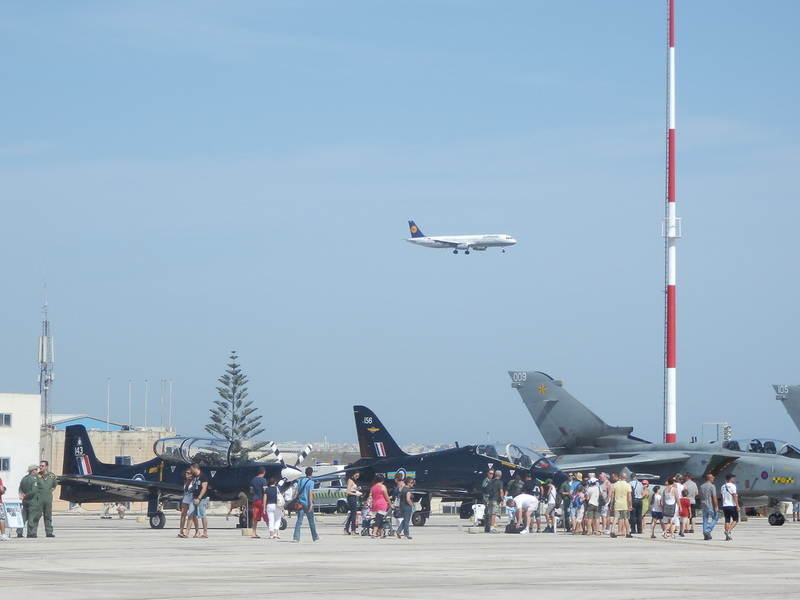 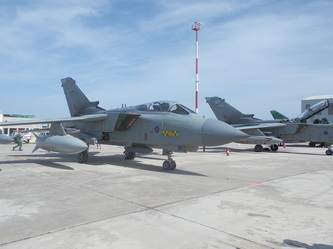 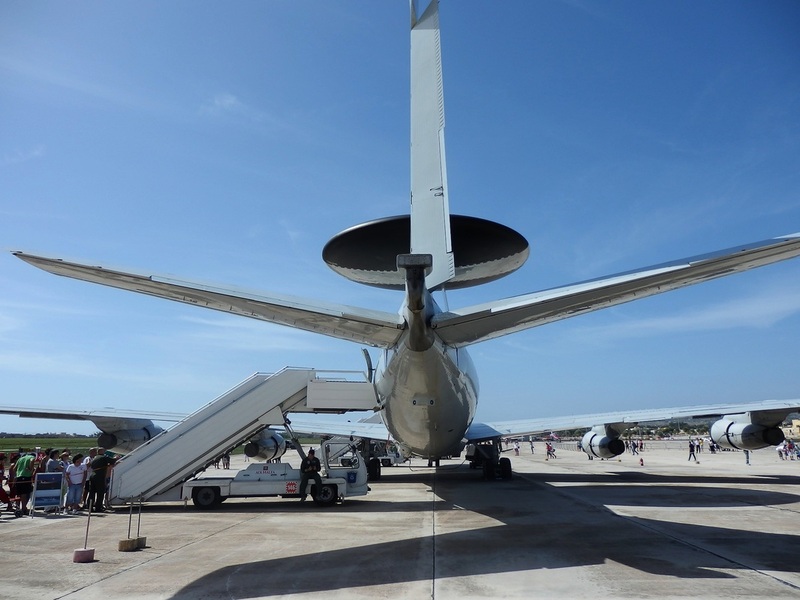 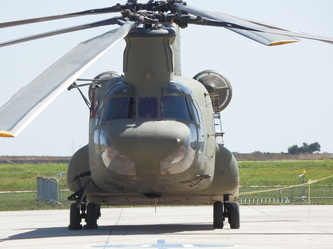 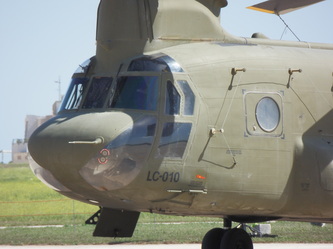 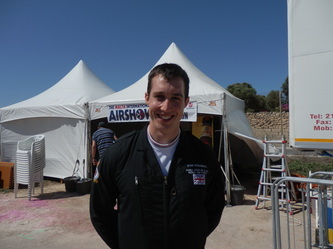 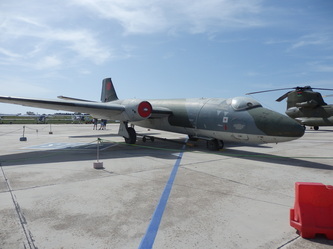 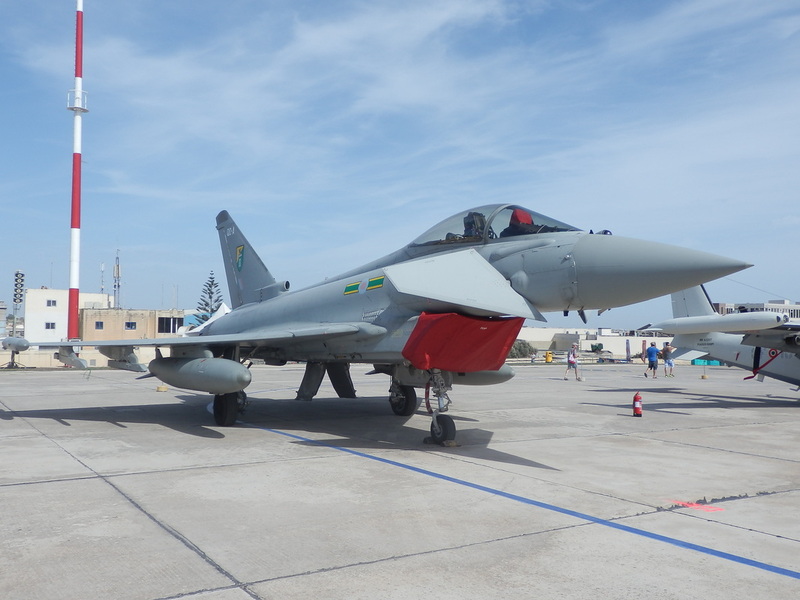 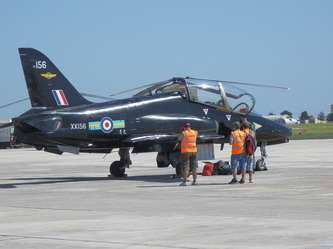 Malta International Airshow - Taken 29 September 2012 apart from the one with the Spitfire and Airbus 320 in the 70th anniversary of the George Cross livery. 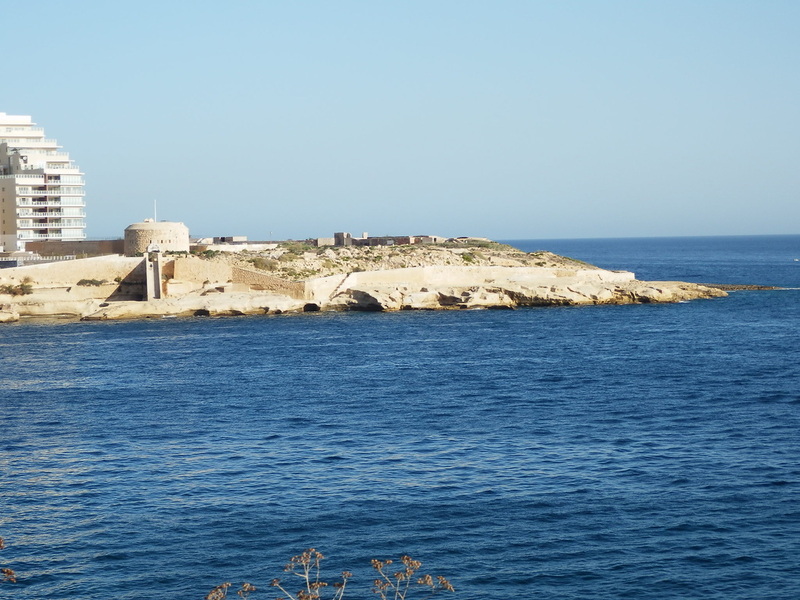 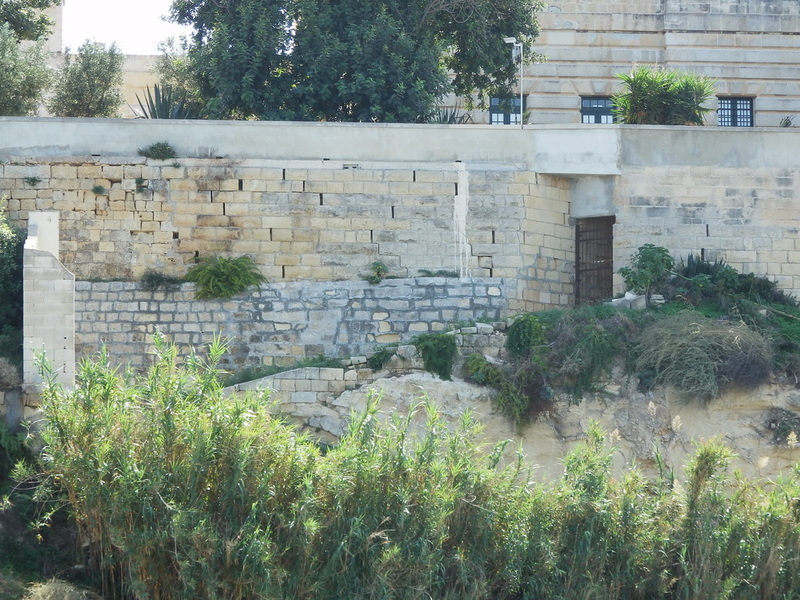 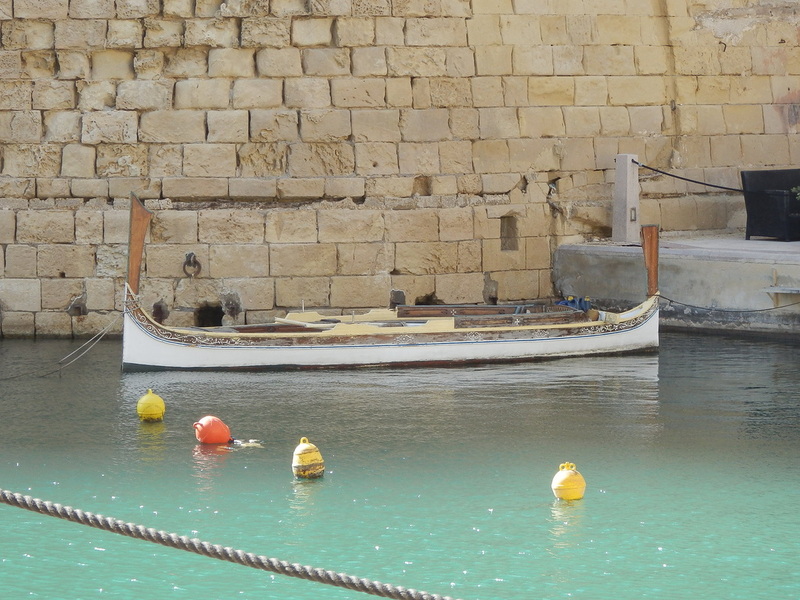 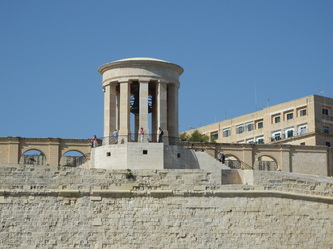 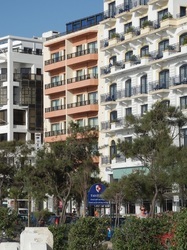 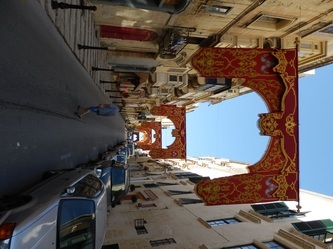 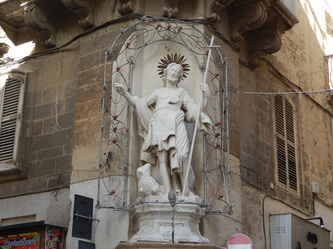 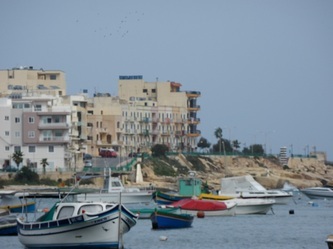 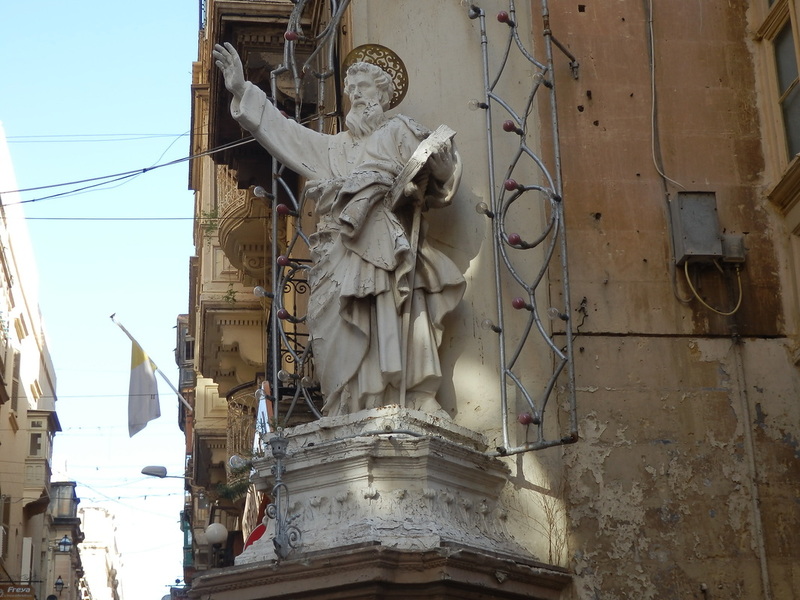 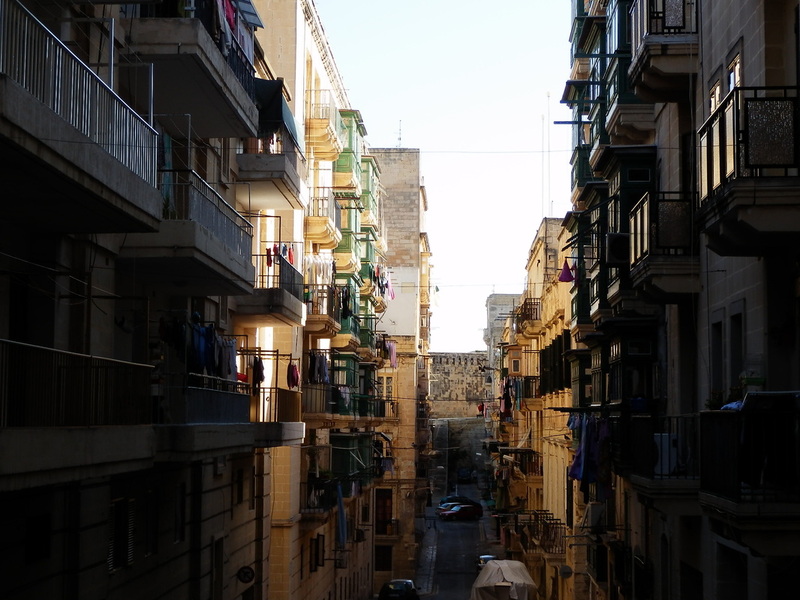 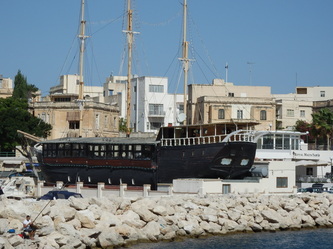 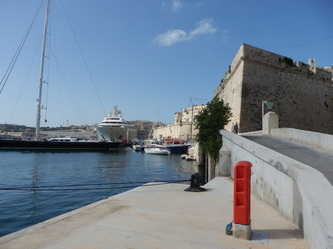 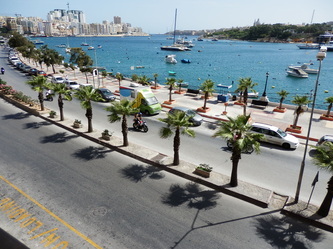 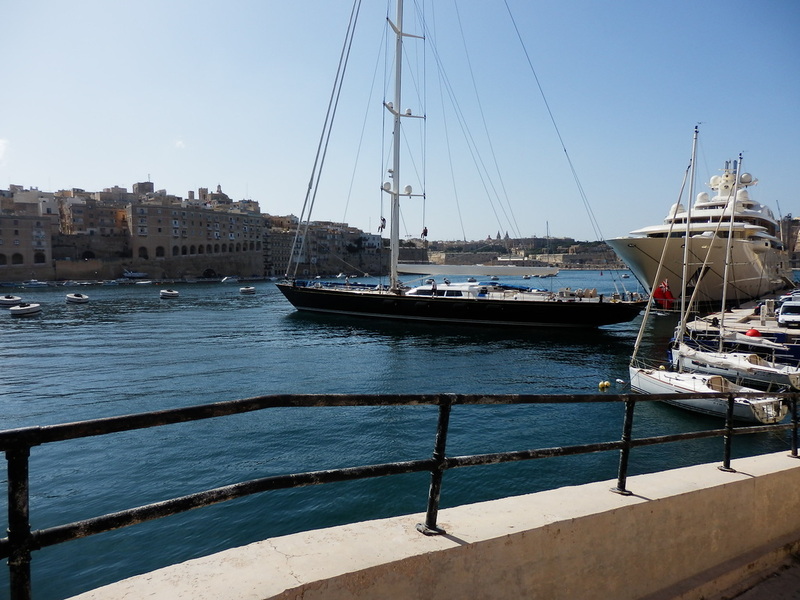 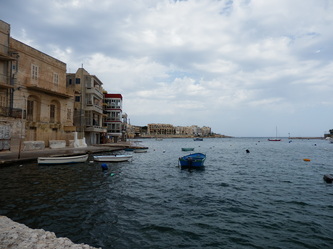 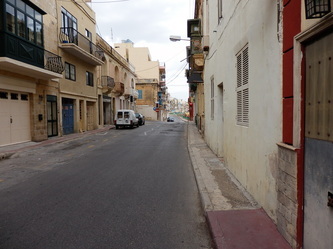 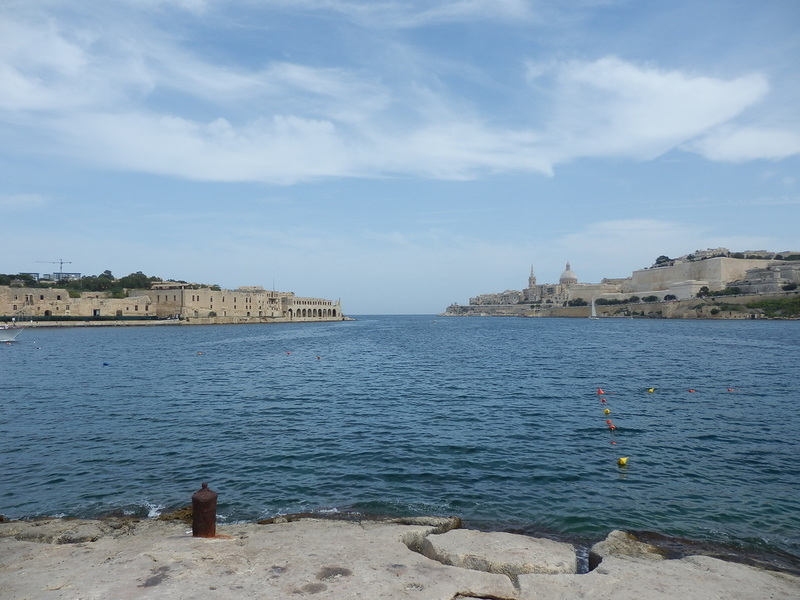 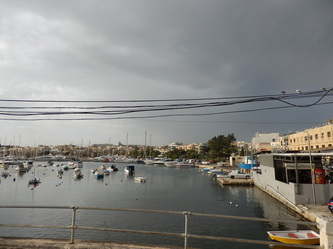 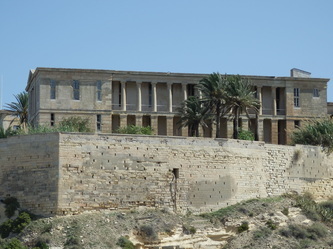 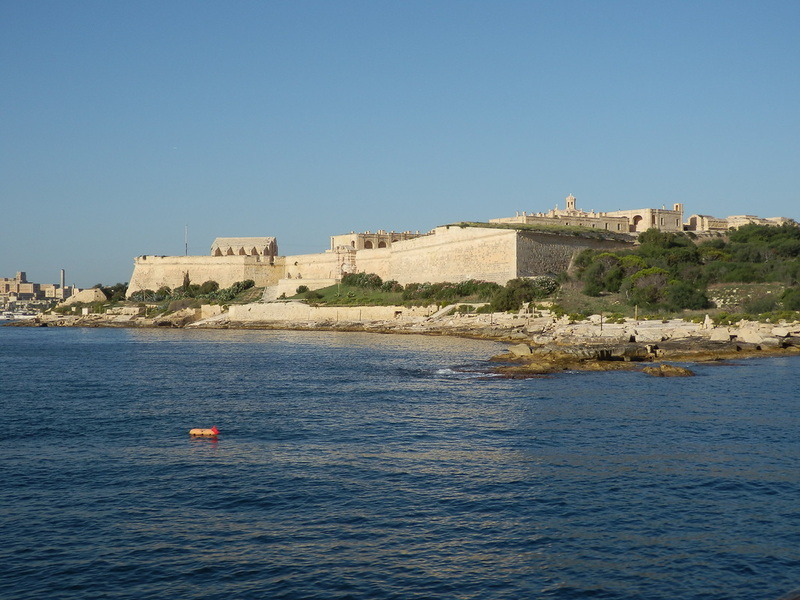 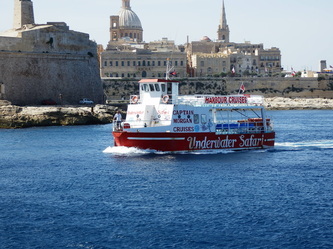 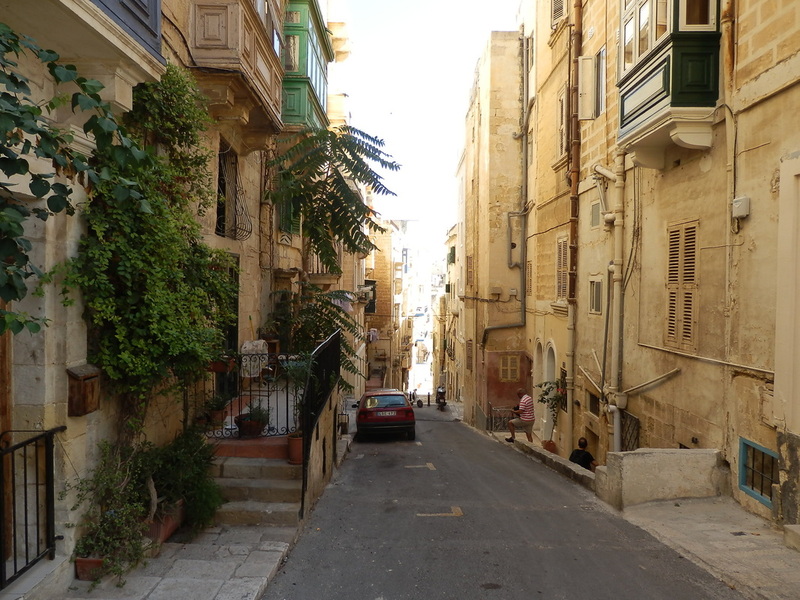 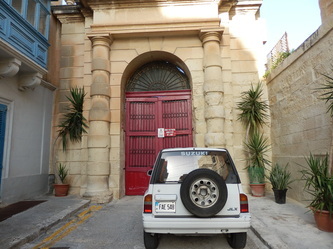 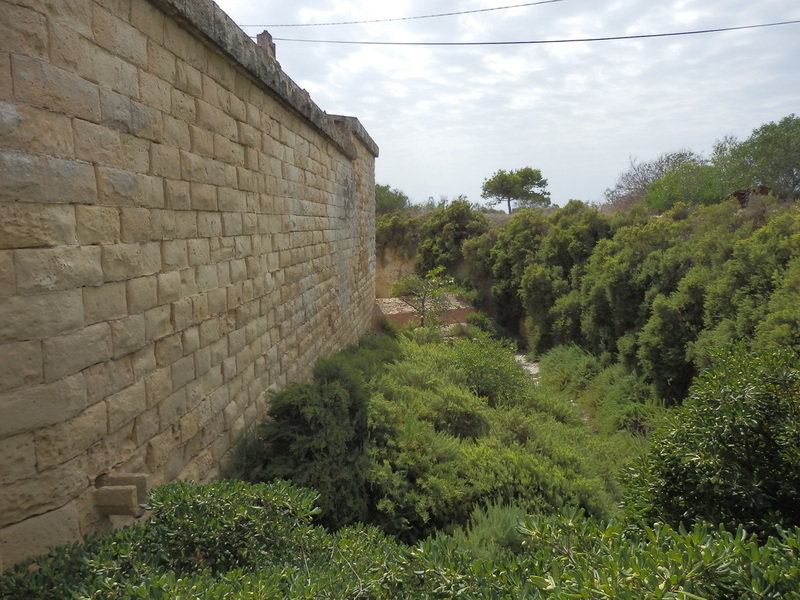 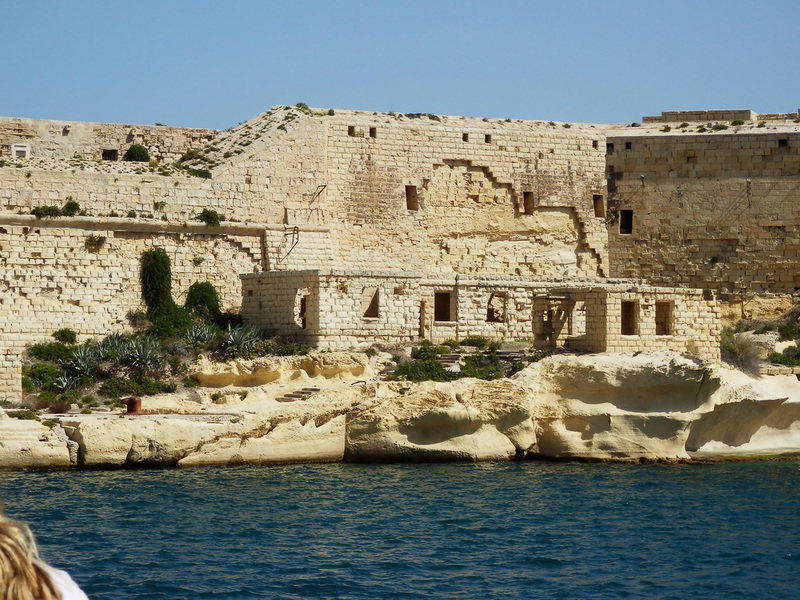 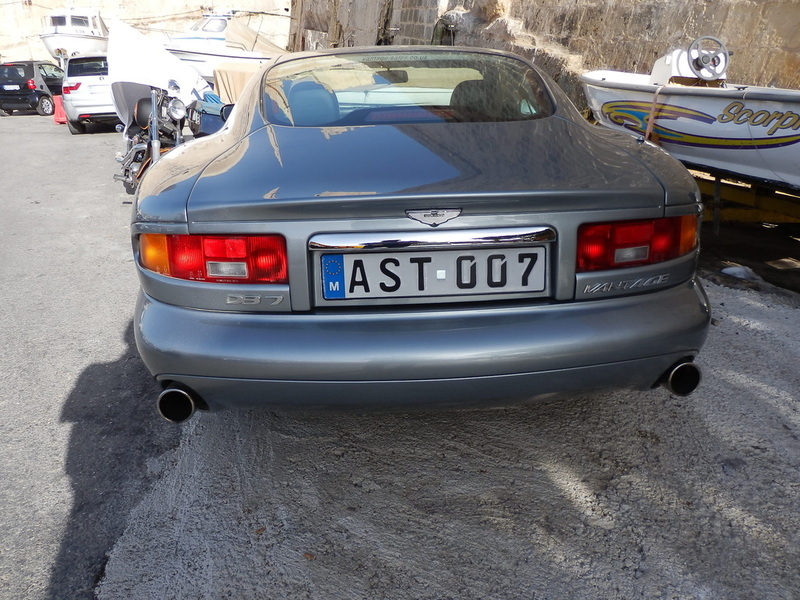 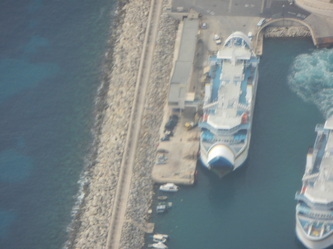 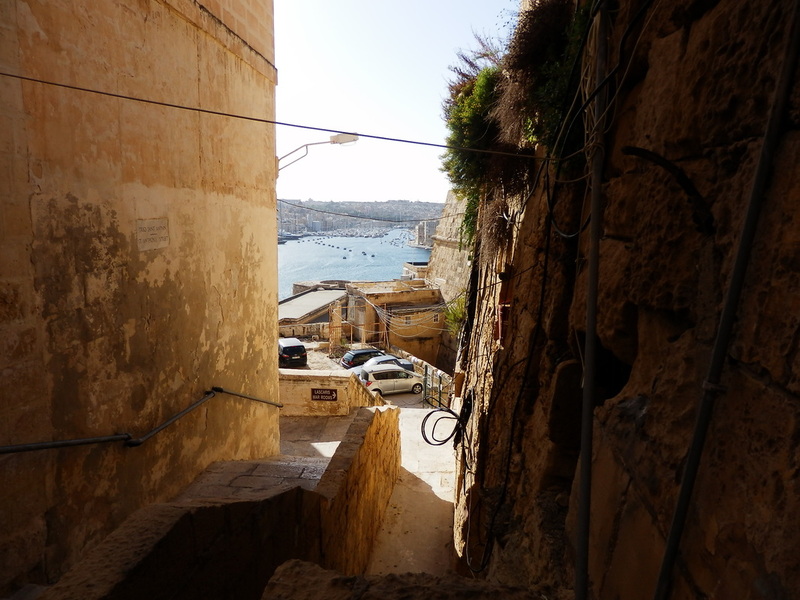 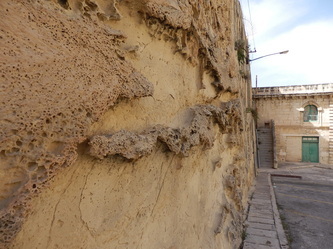 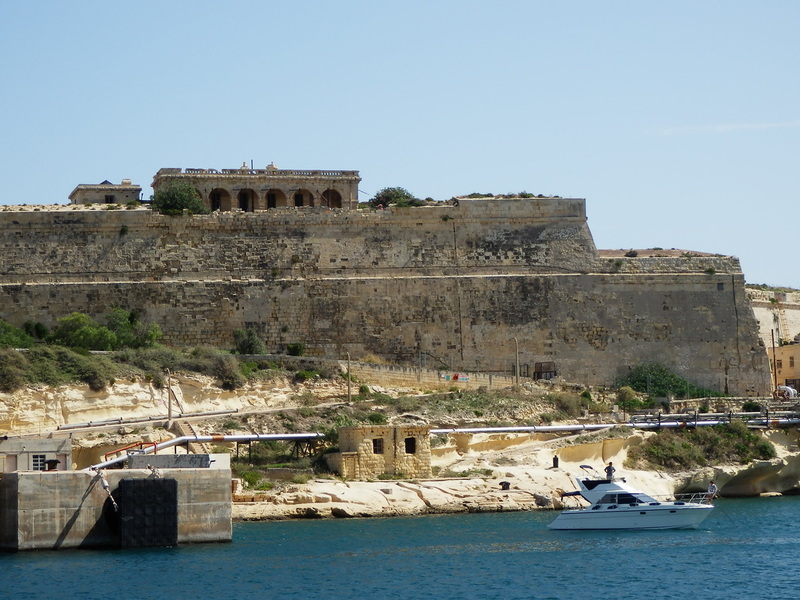 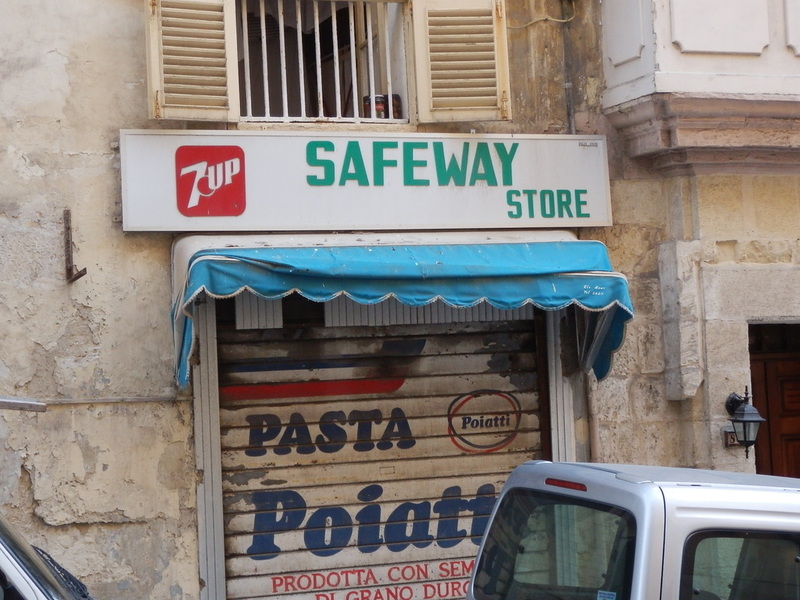 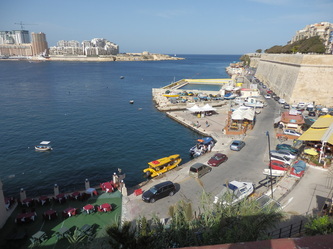 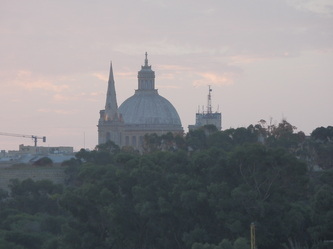 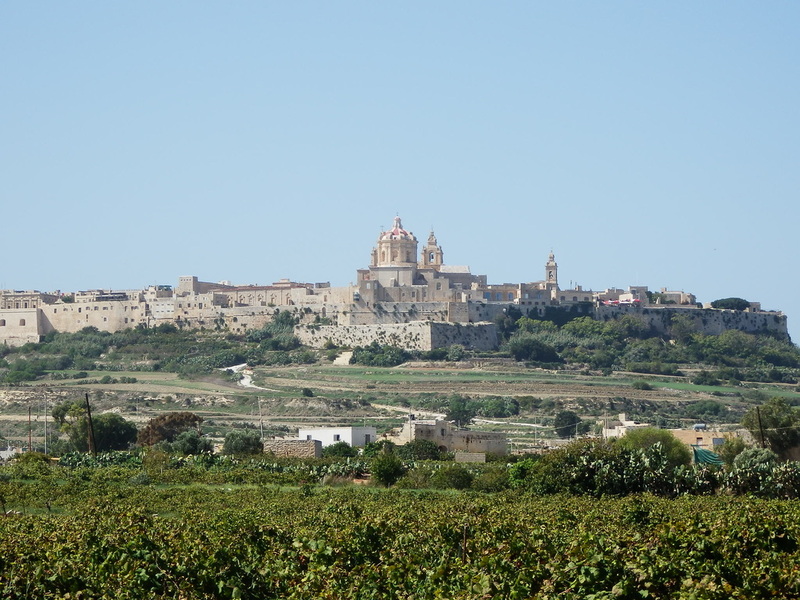 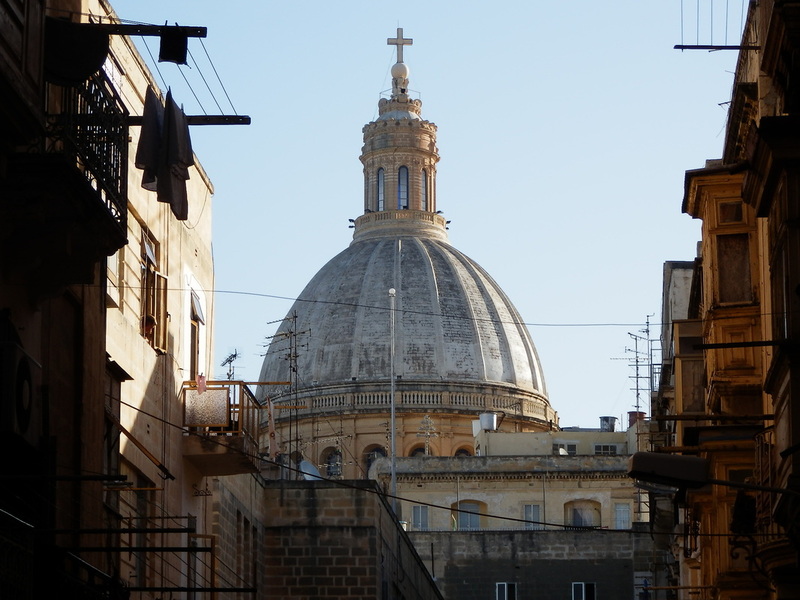 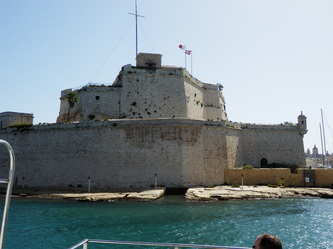 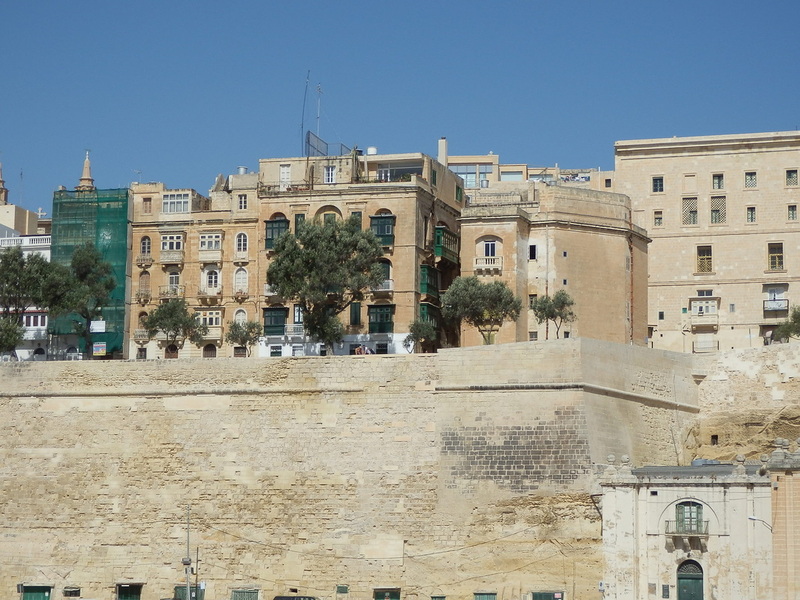 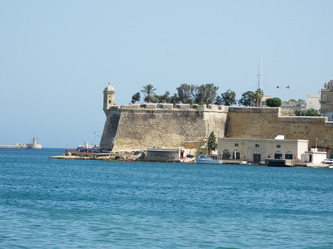 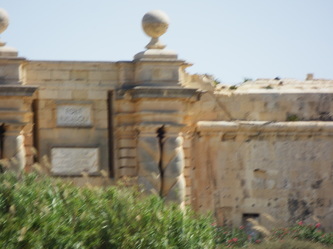 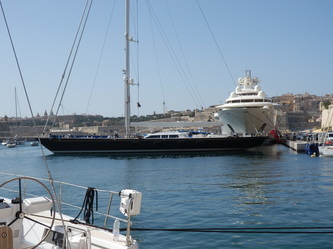 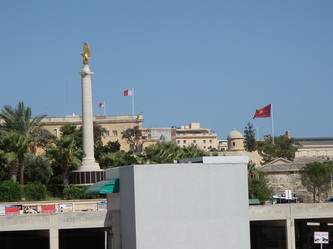 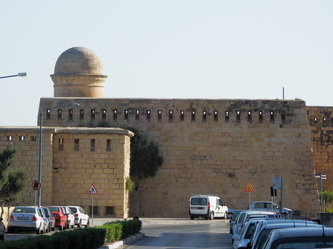 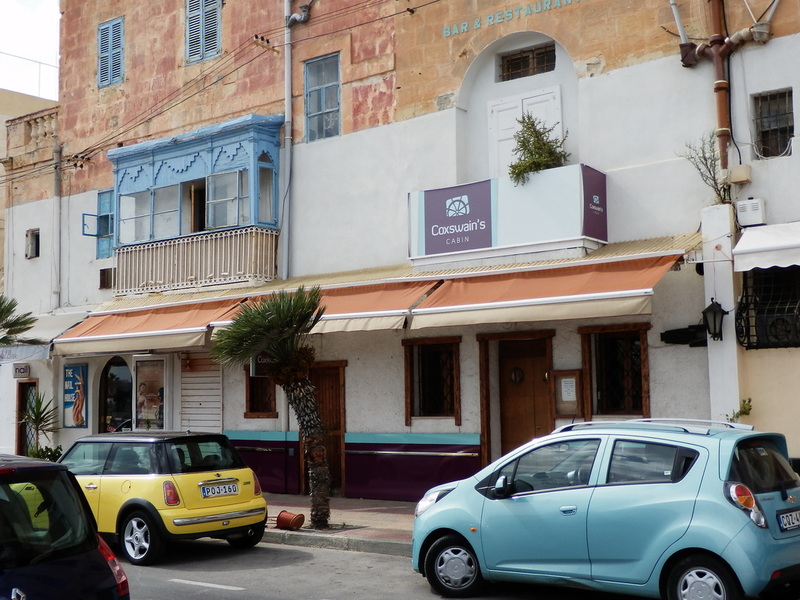 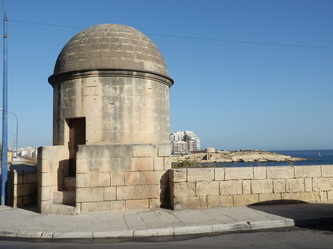 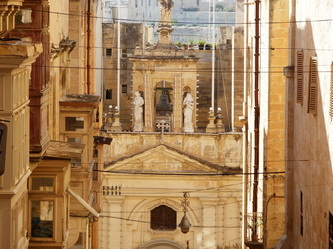 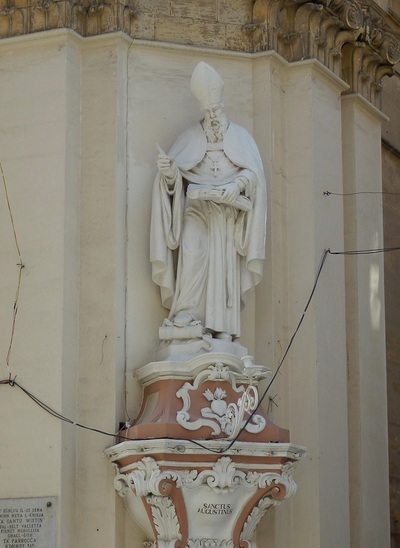 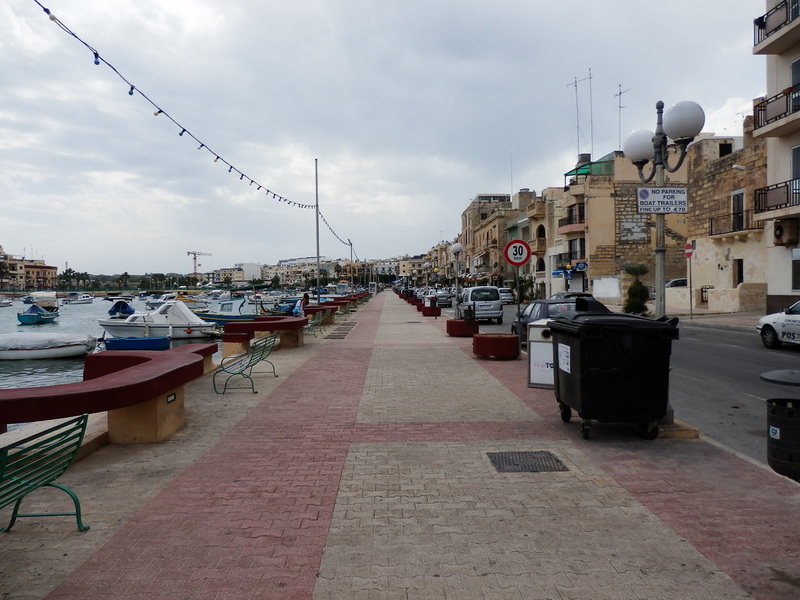 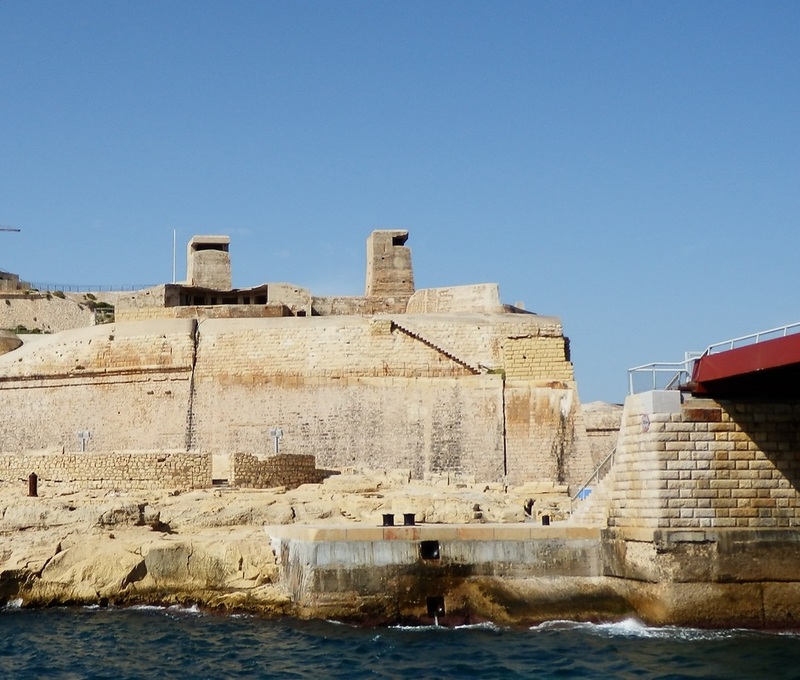 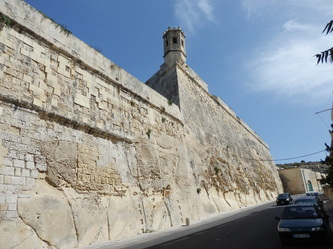 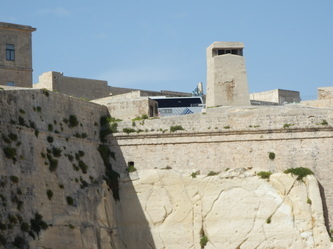 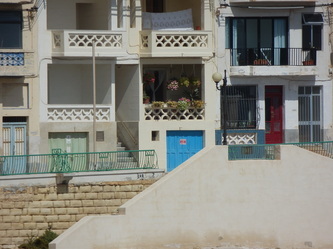 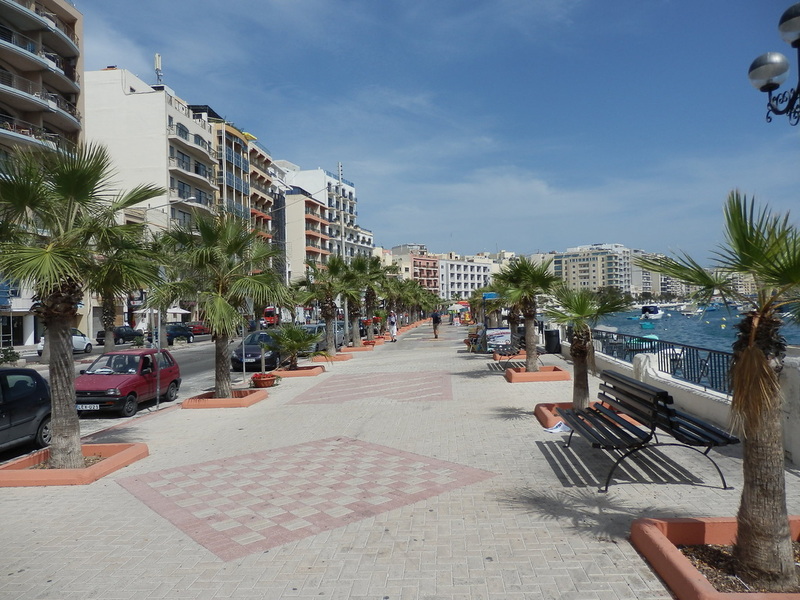 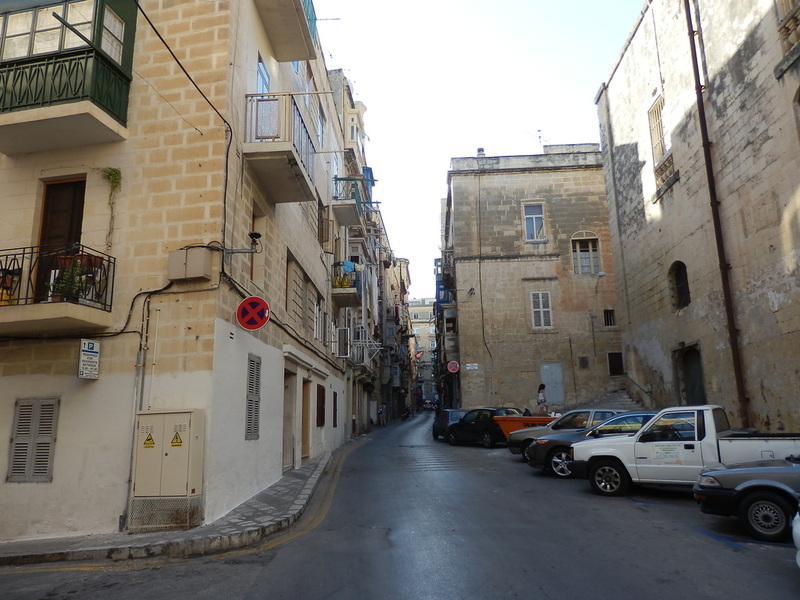 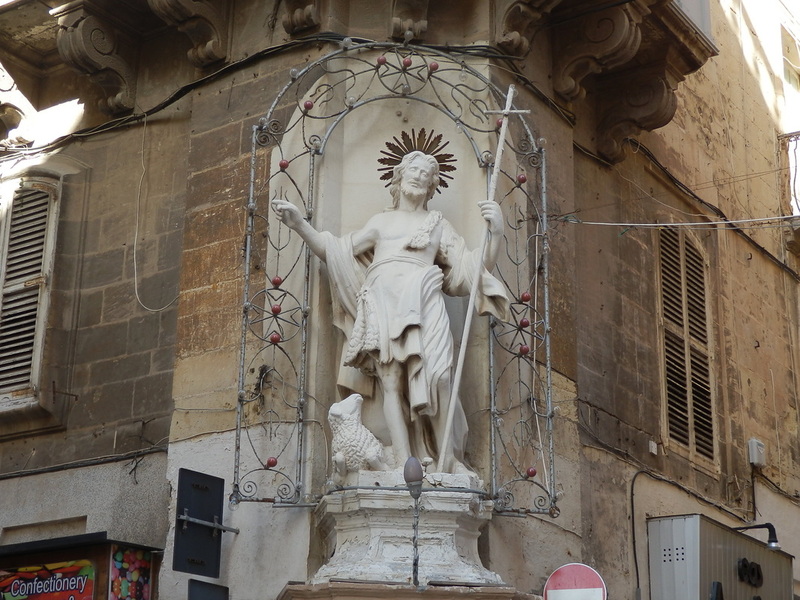 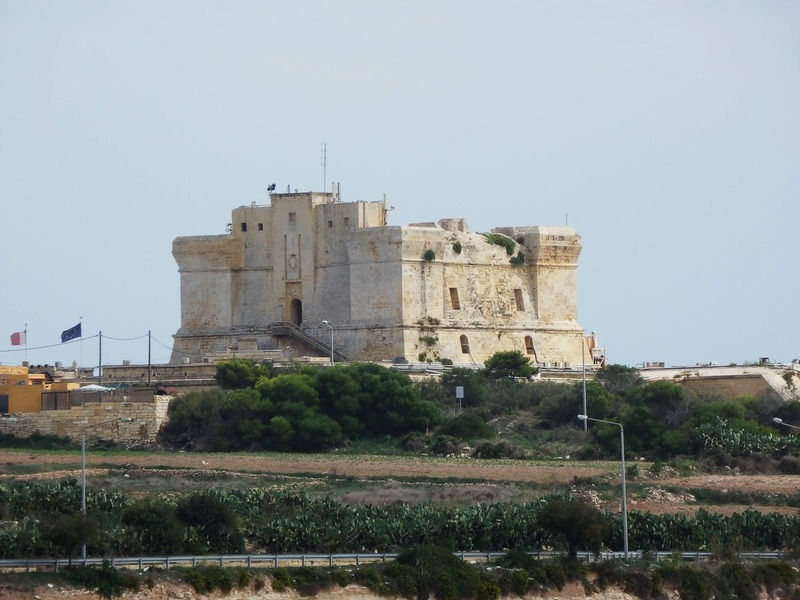 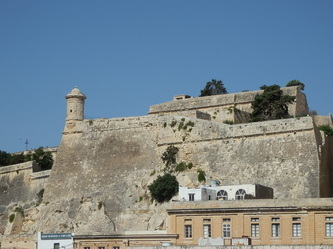 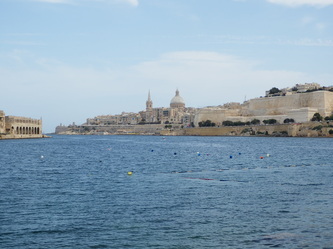 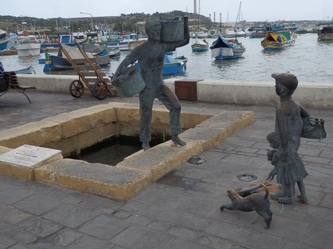 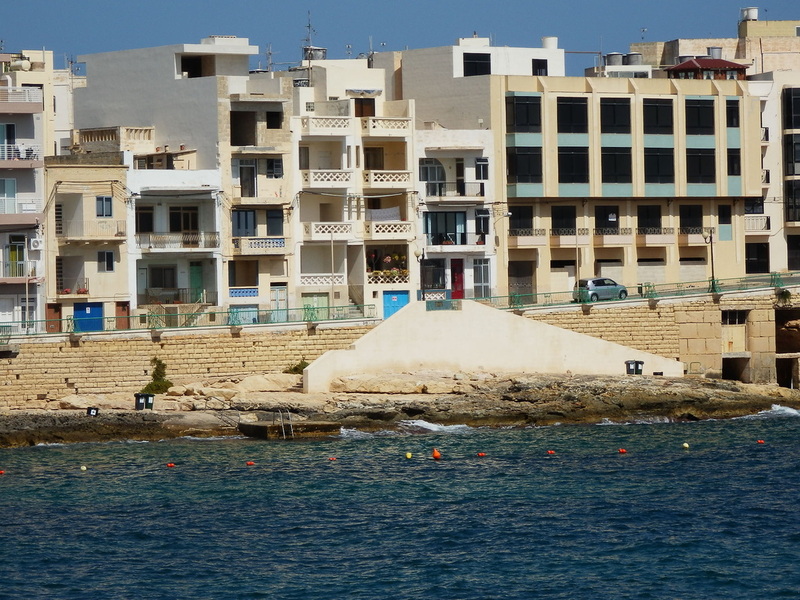 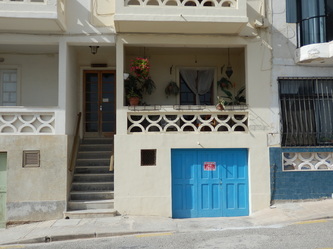 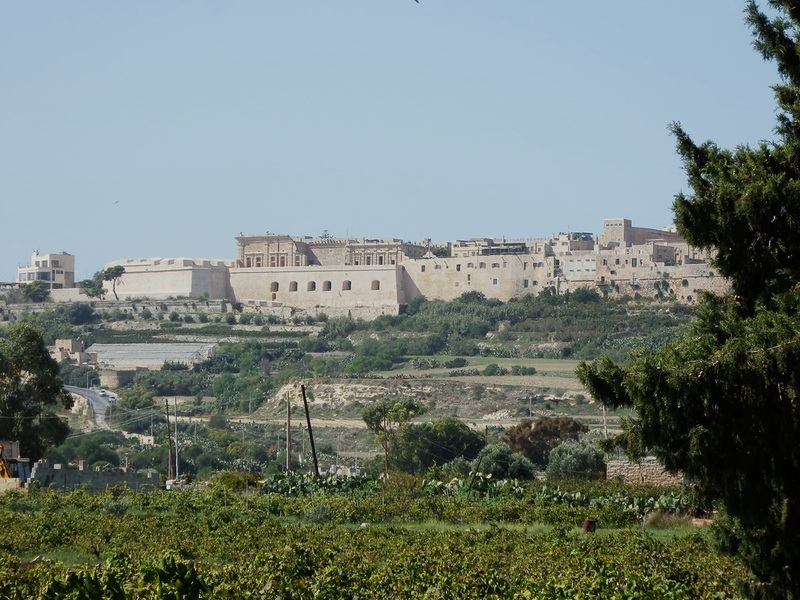 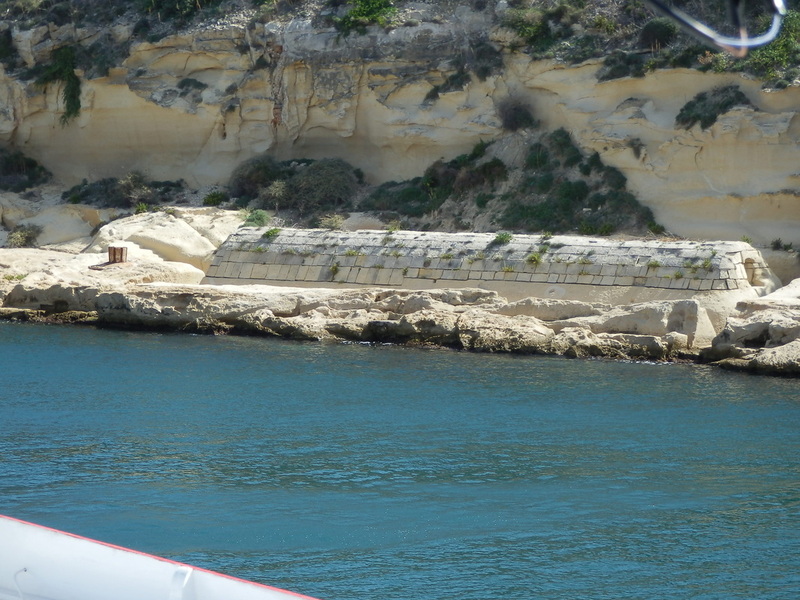 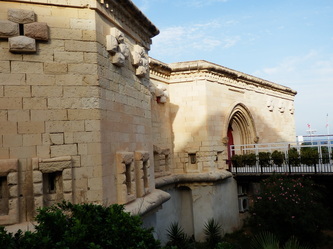 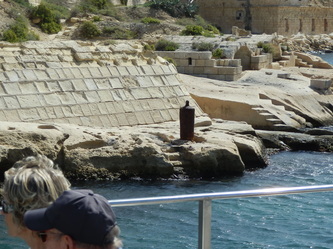 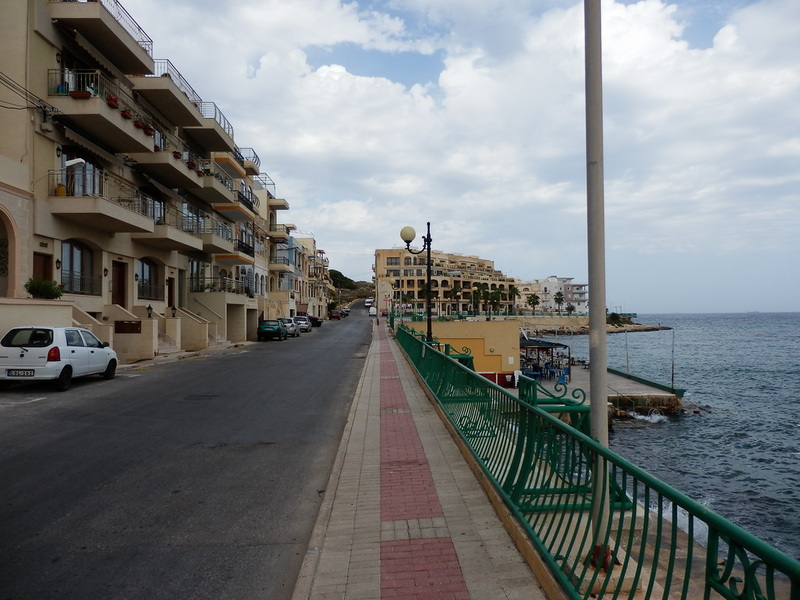 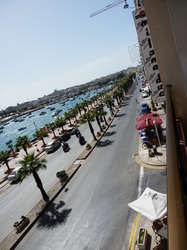 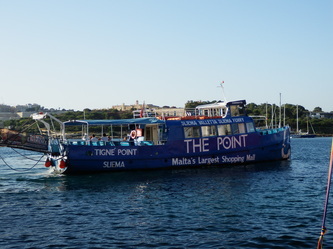 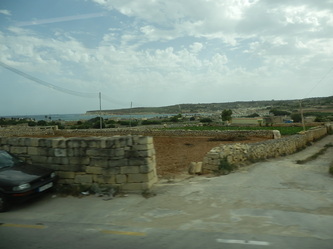 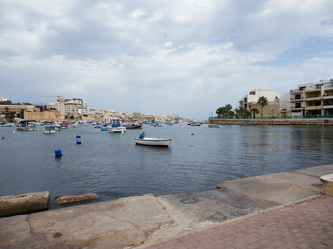 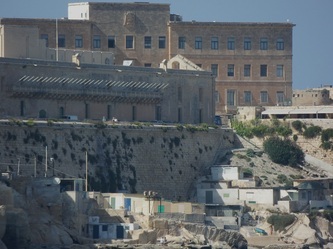 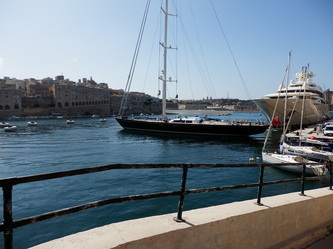 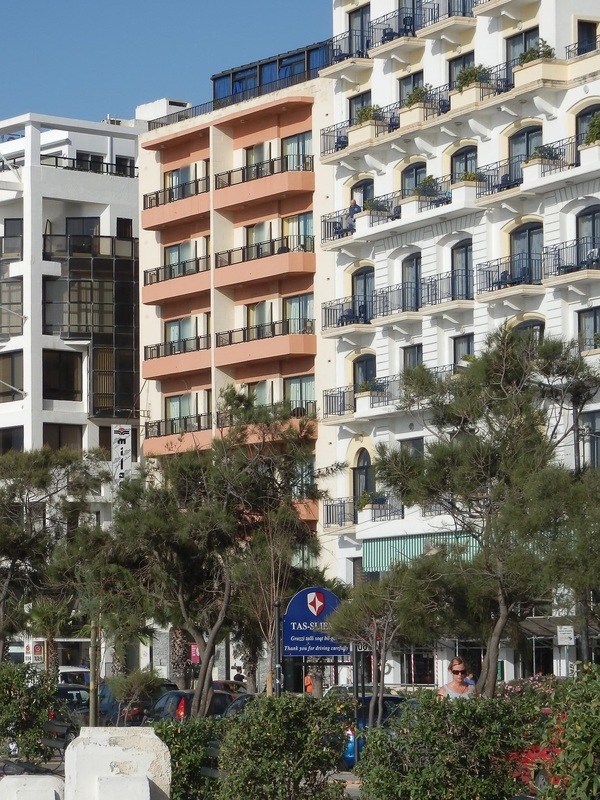 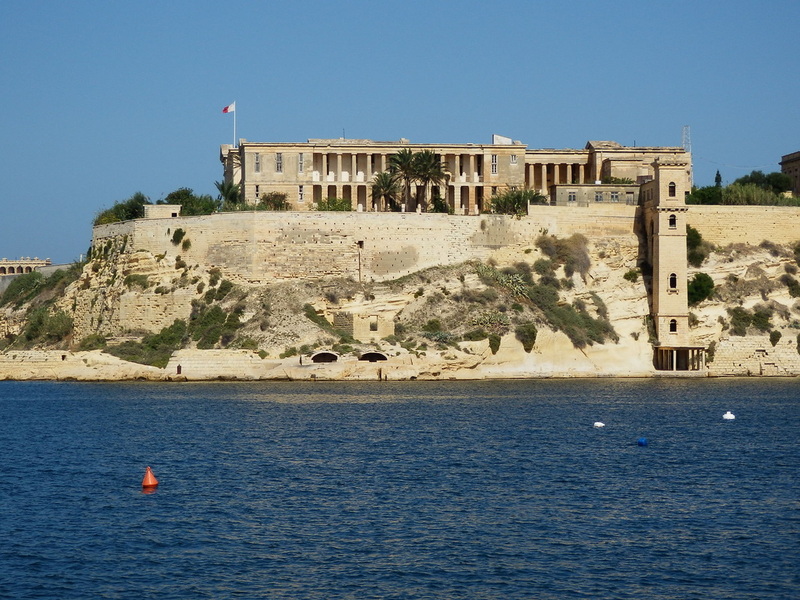 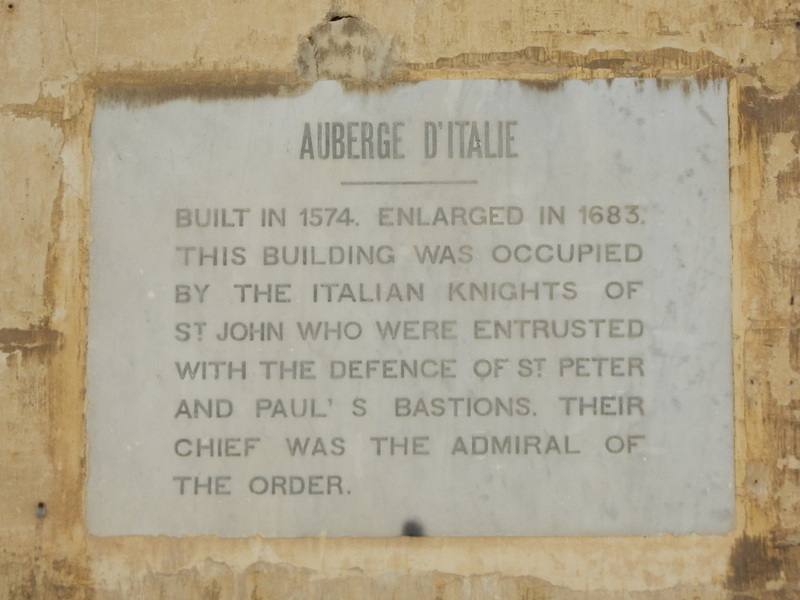 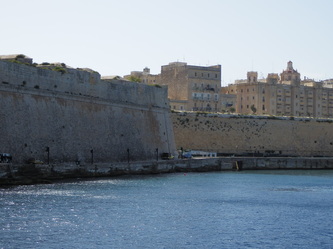 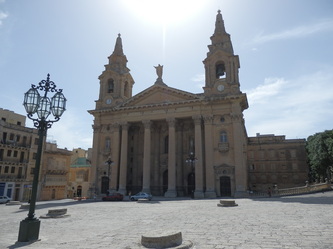 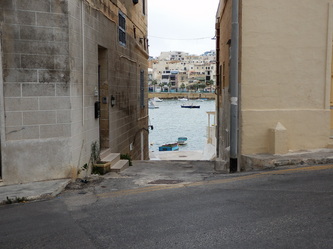 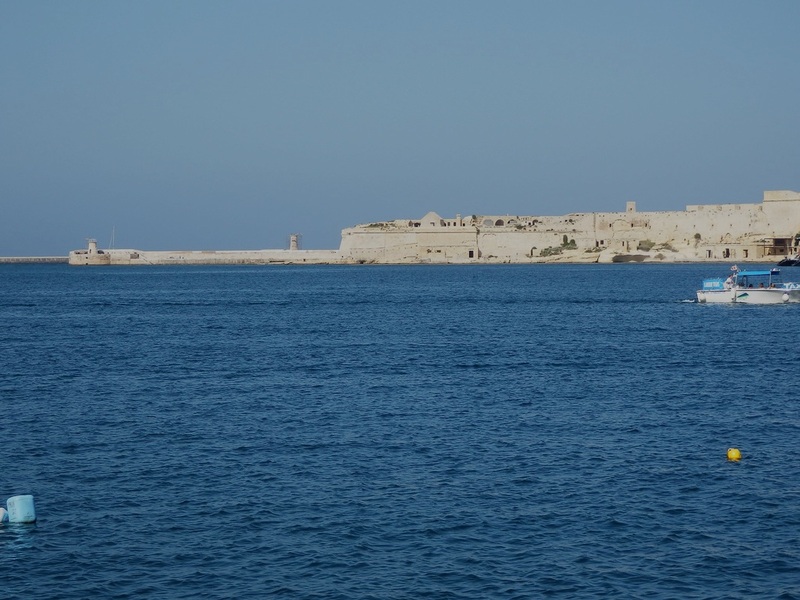 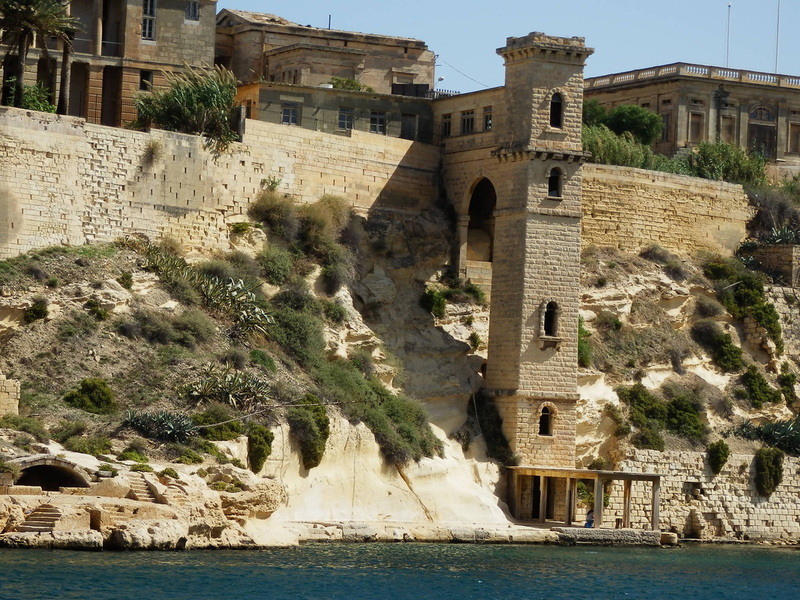 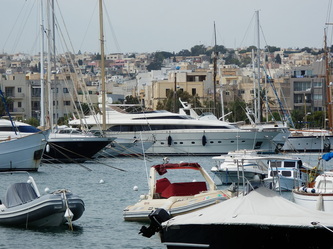 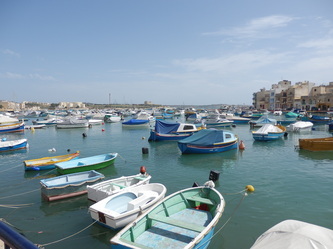 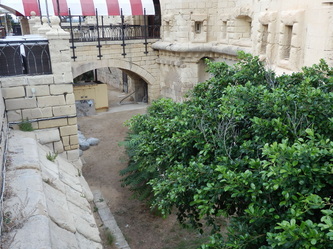 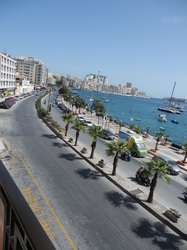 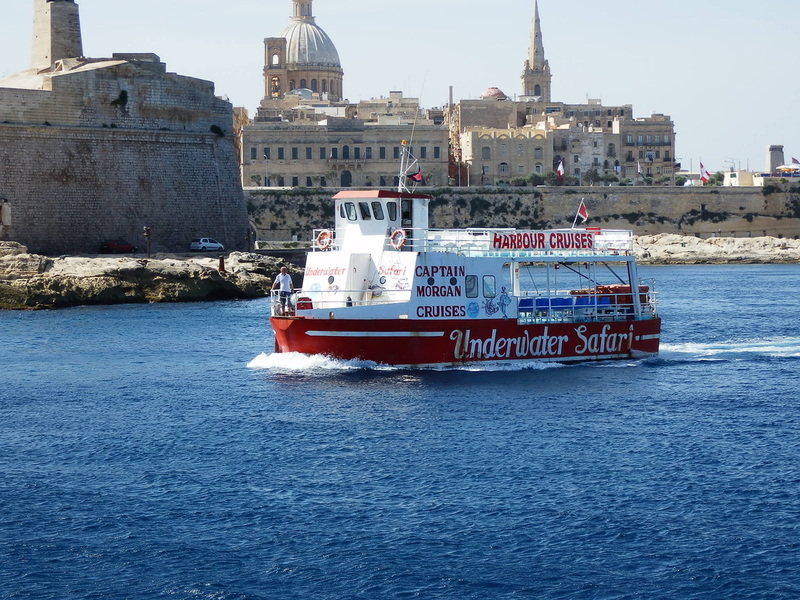 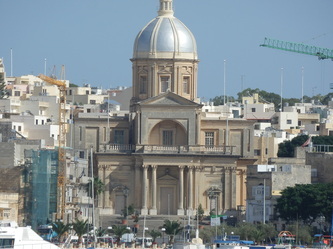 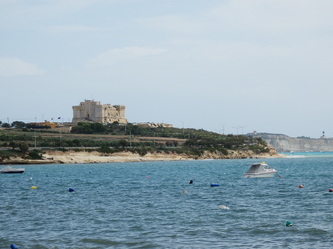 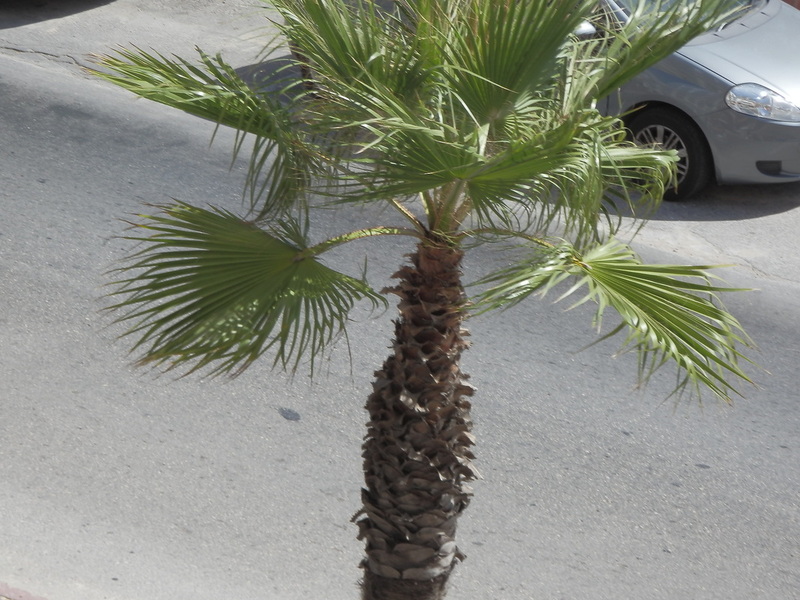 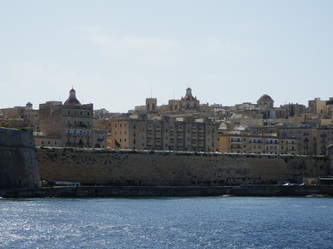 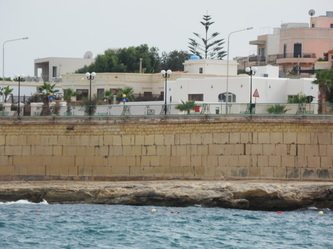 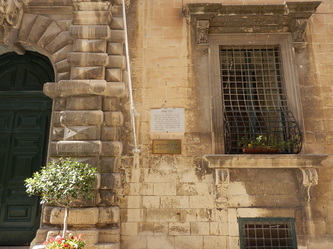 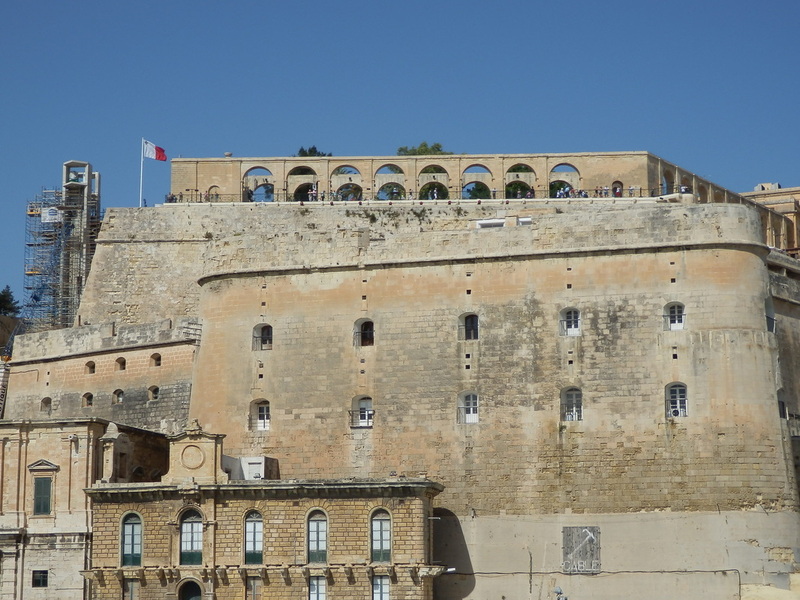 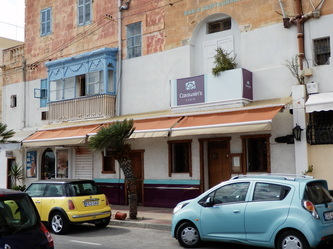 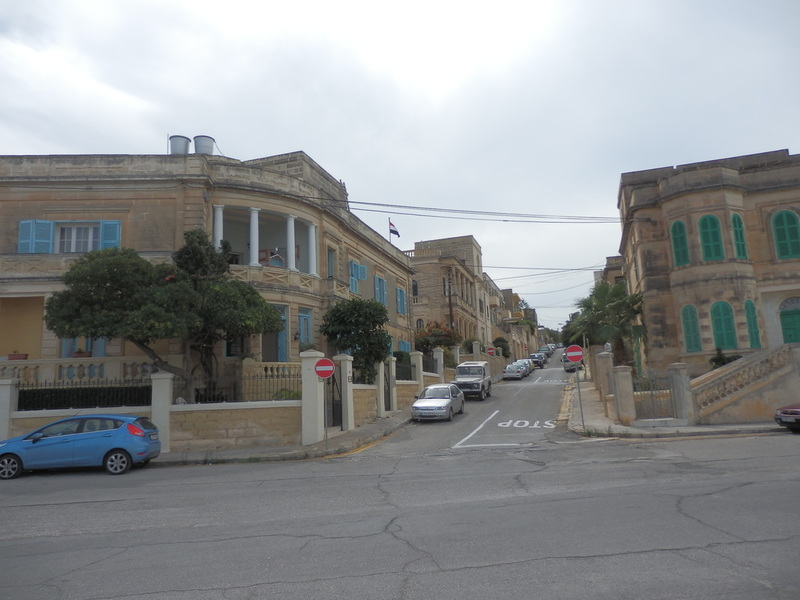 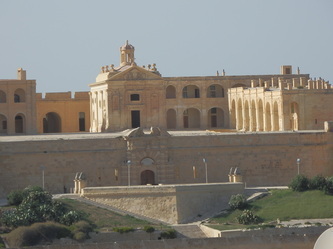 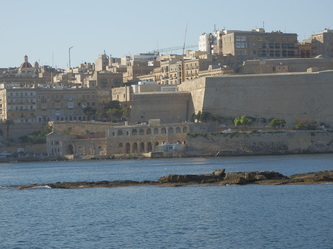 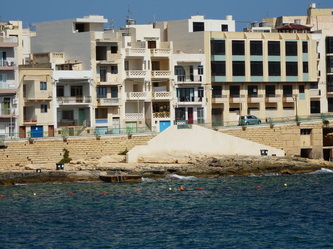 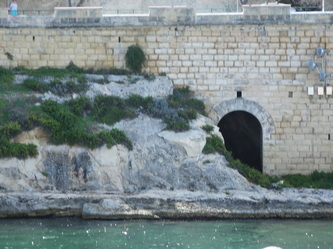 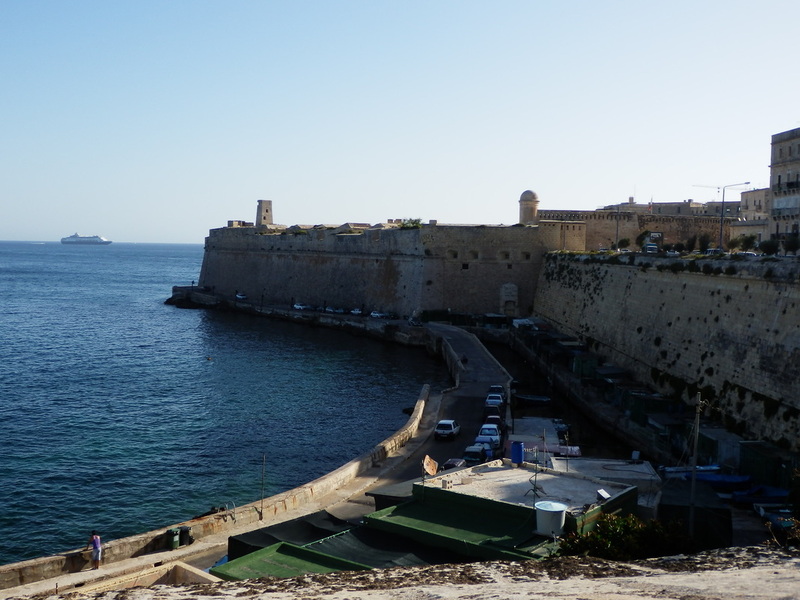 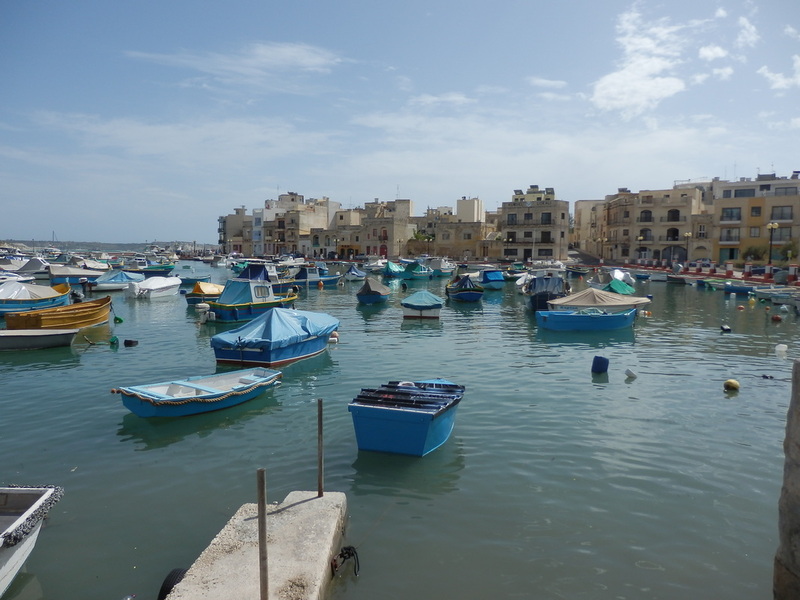 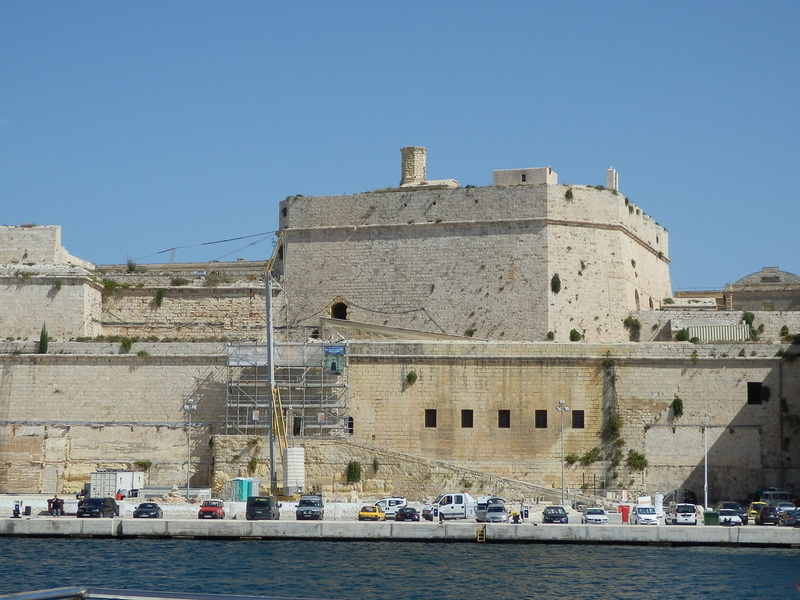 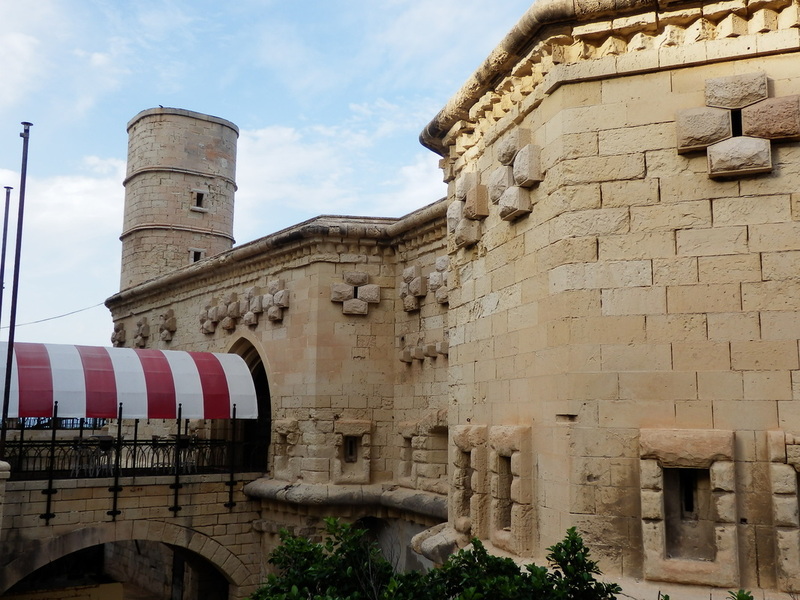 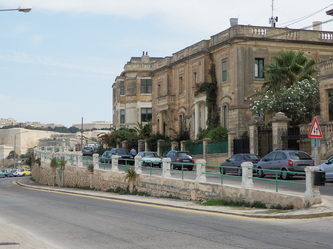 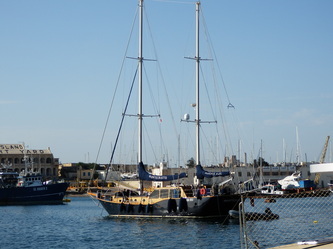 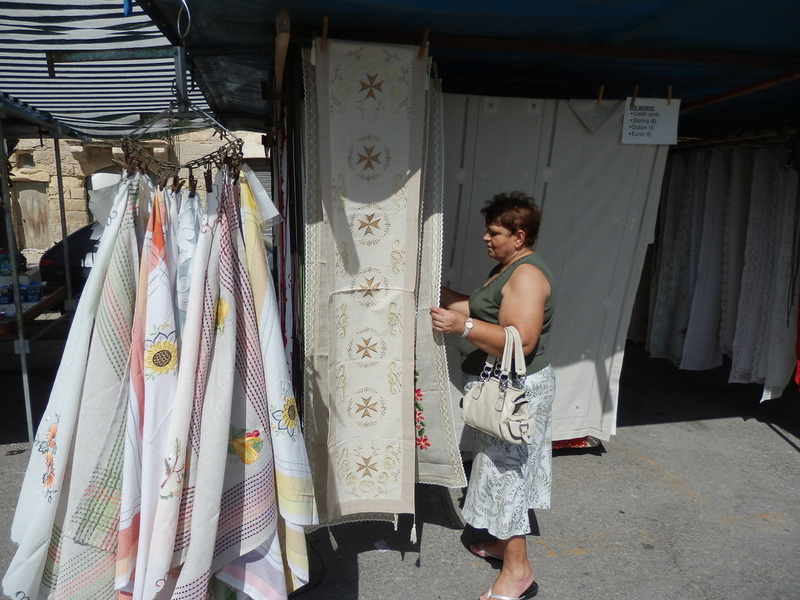 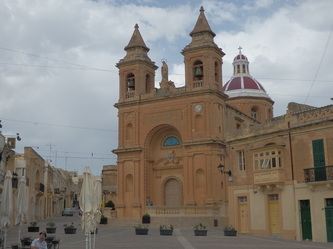 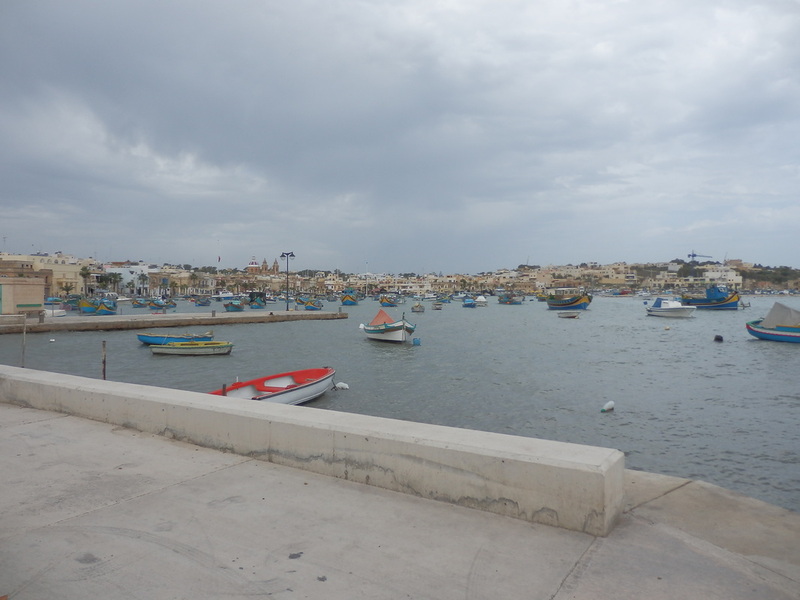 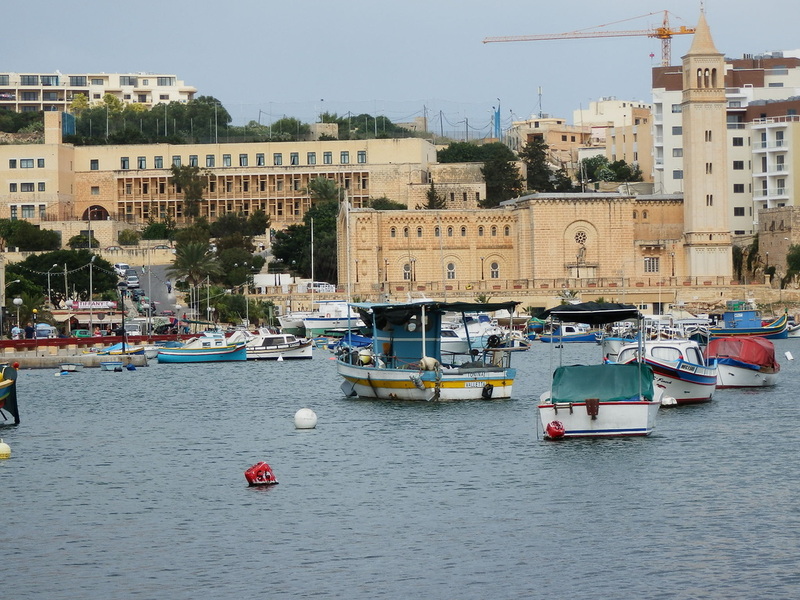 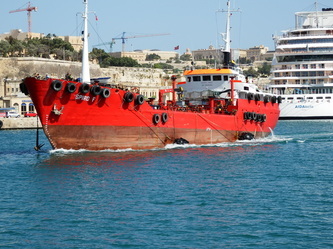 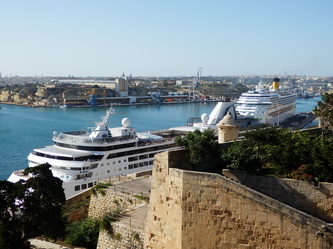 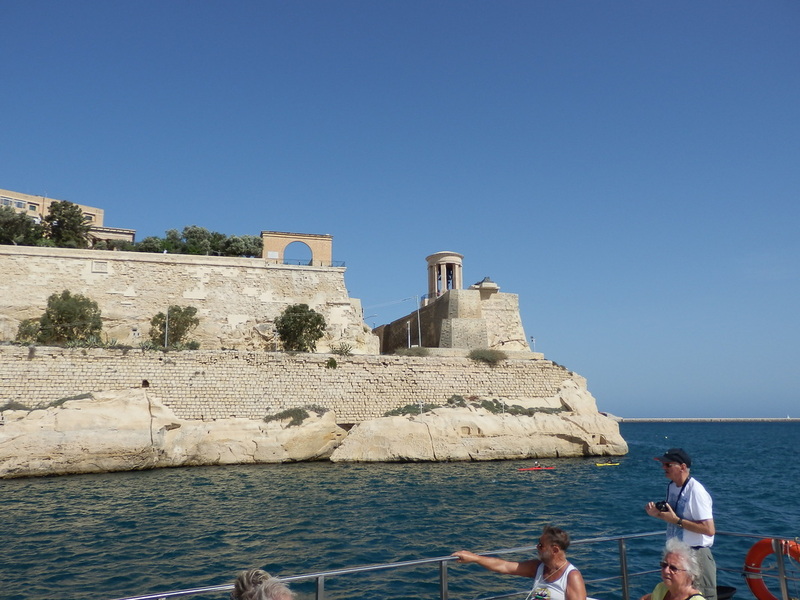 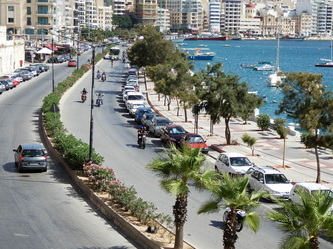 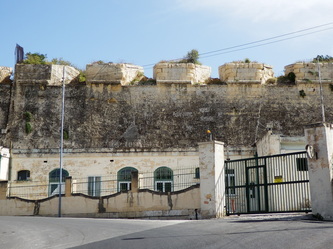 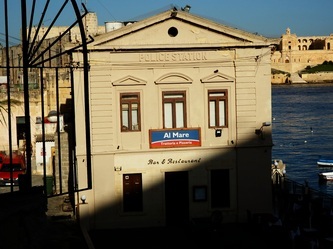 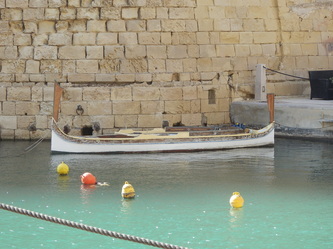 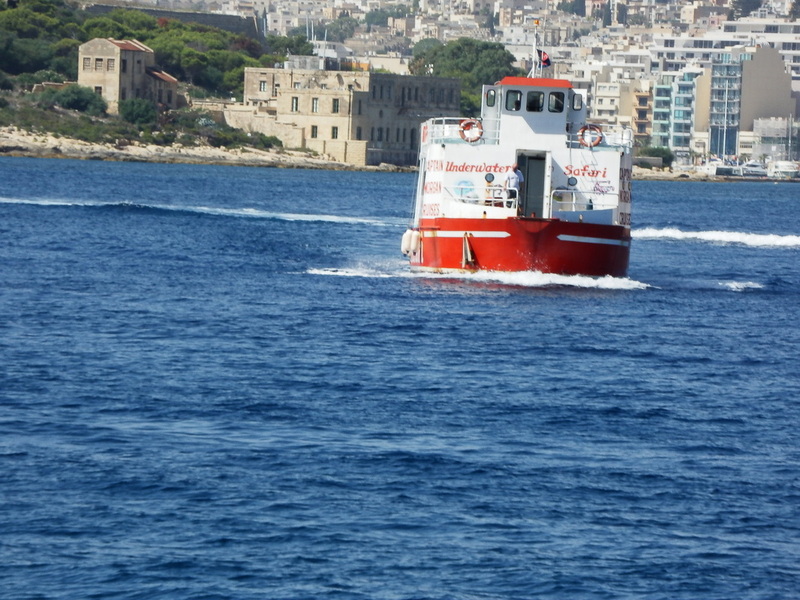 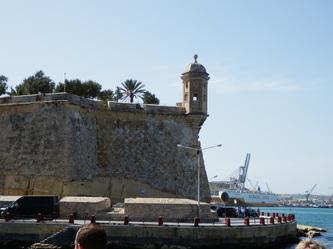 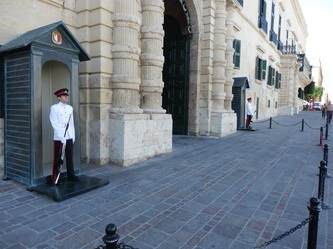 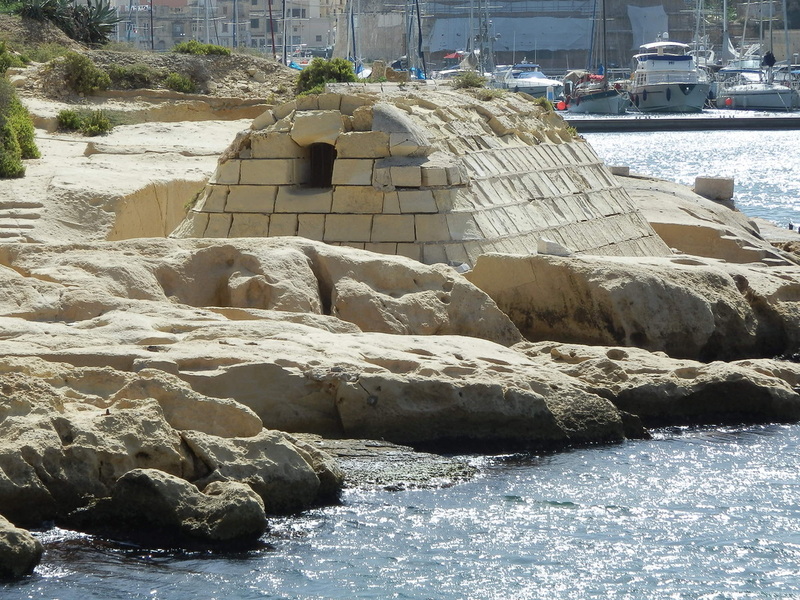 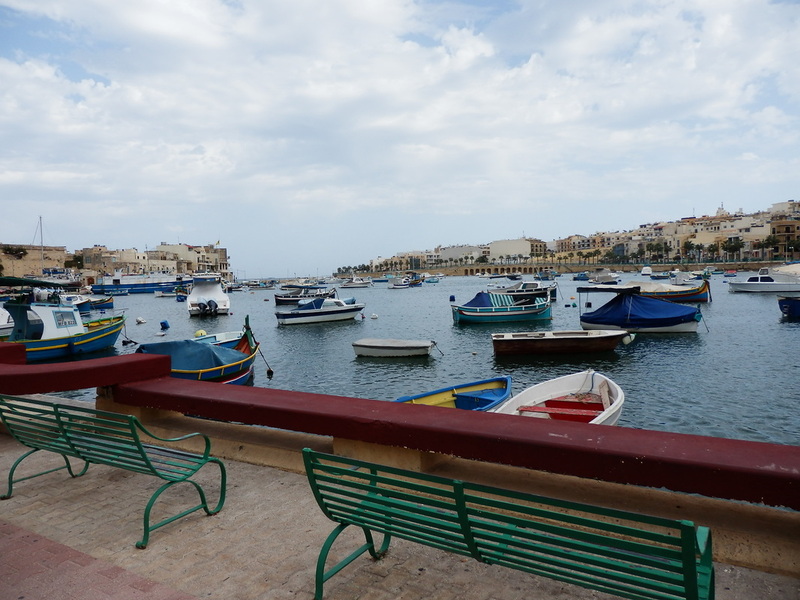 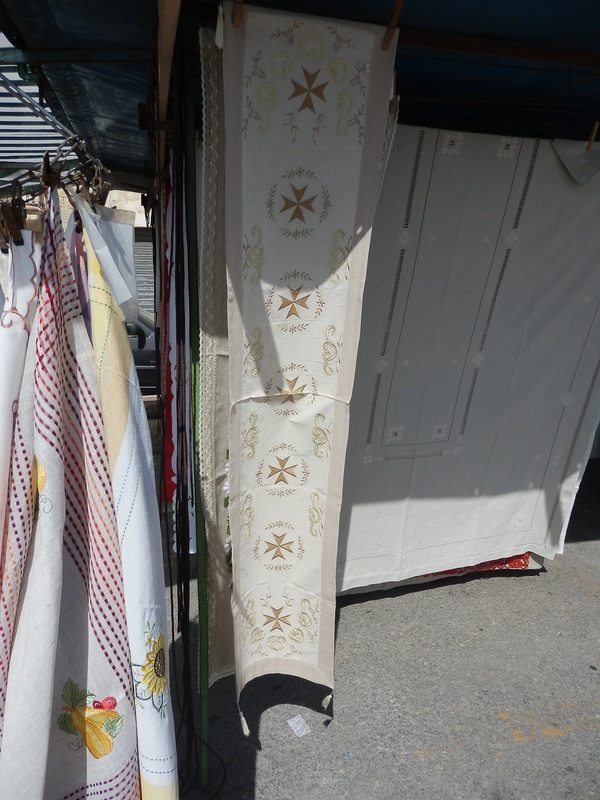 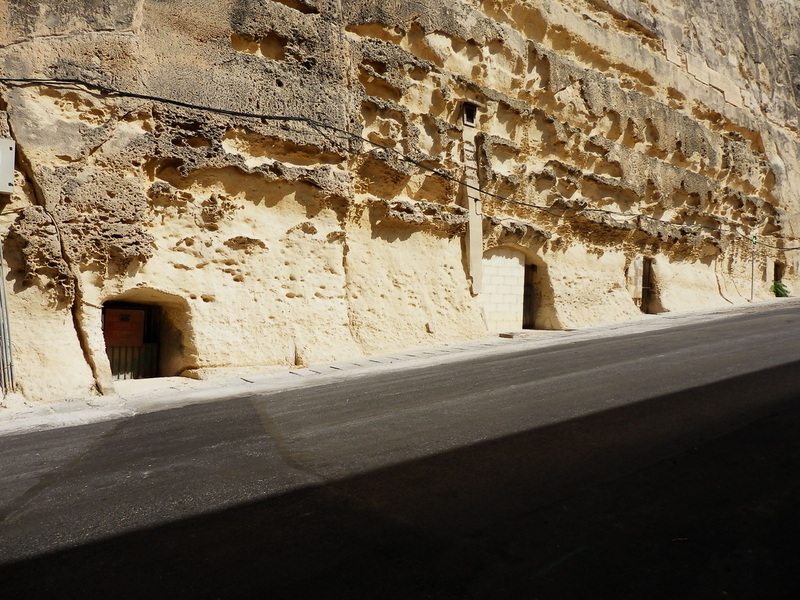 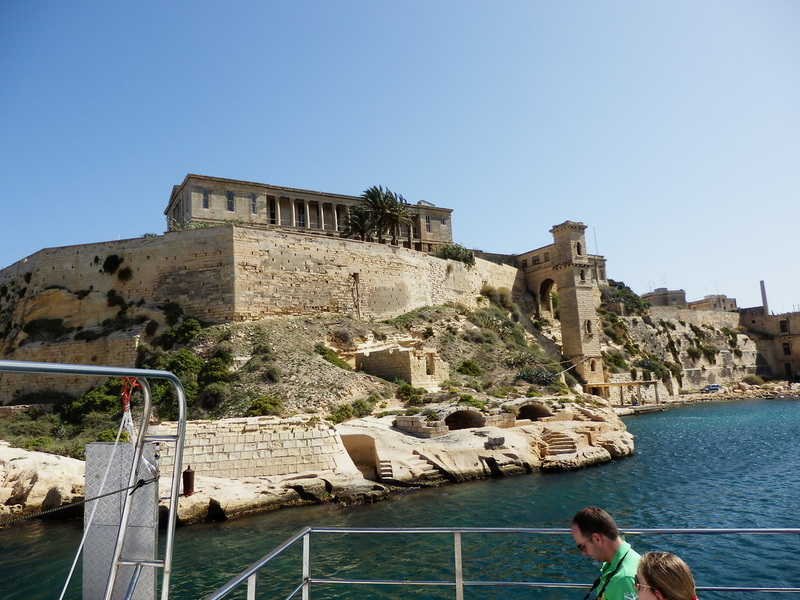 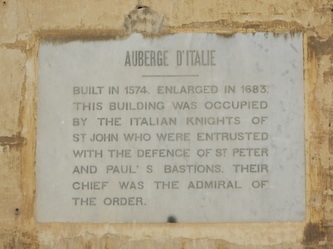 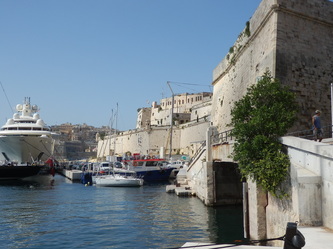 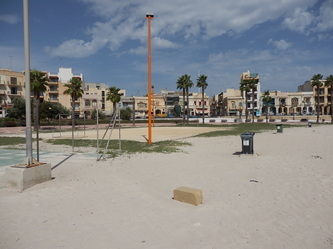 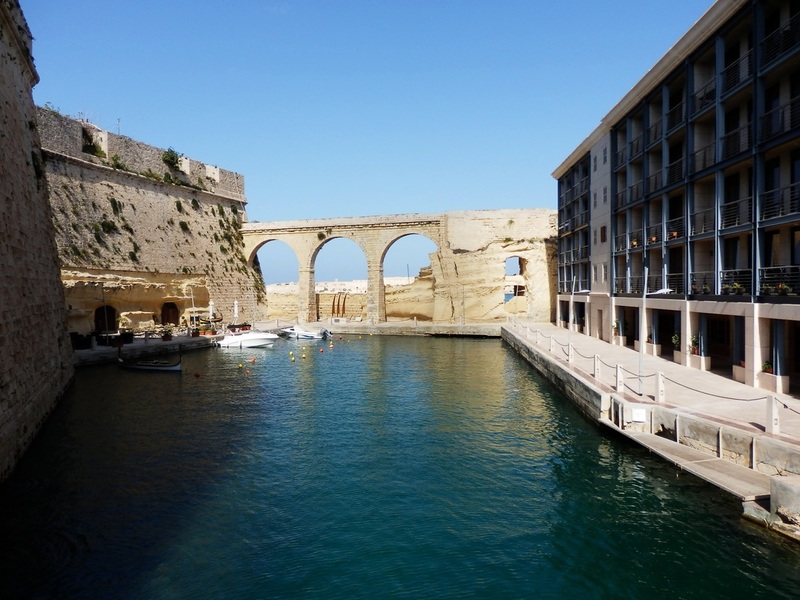 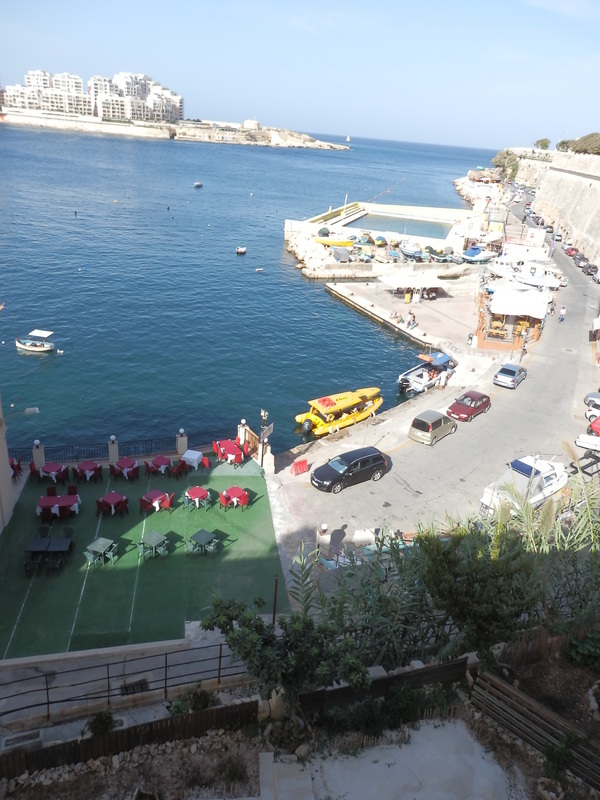 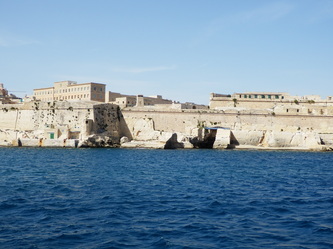 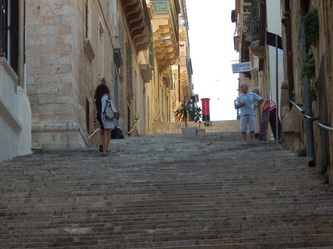 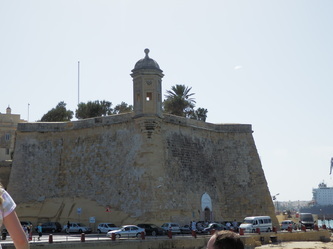 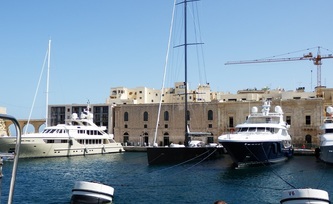 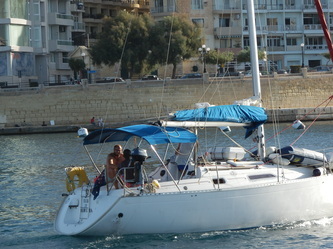 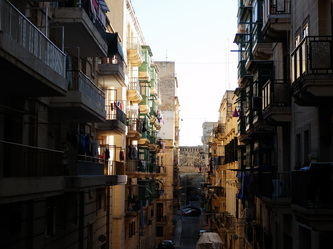 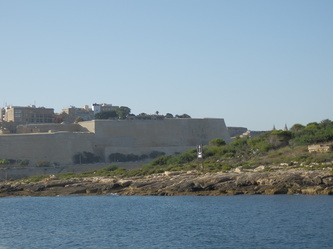 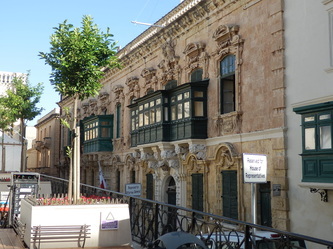 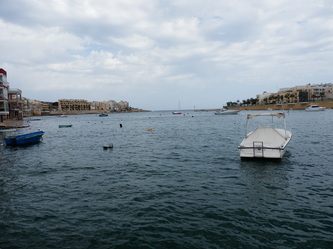 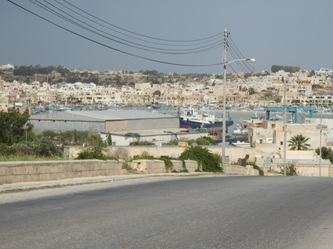 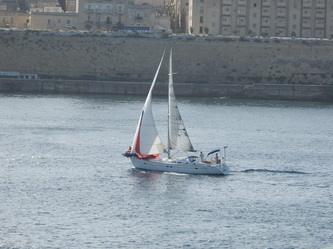 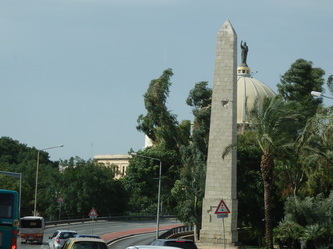 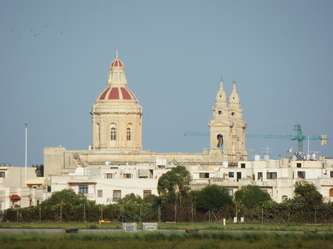 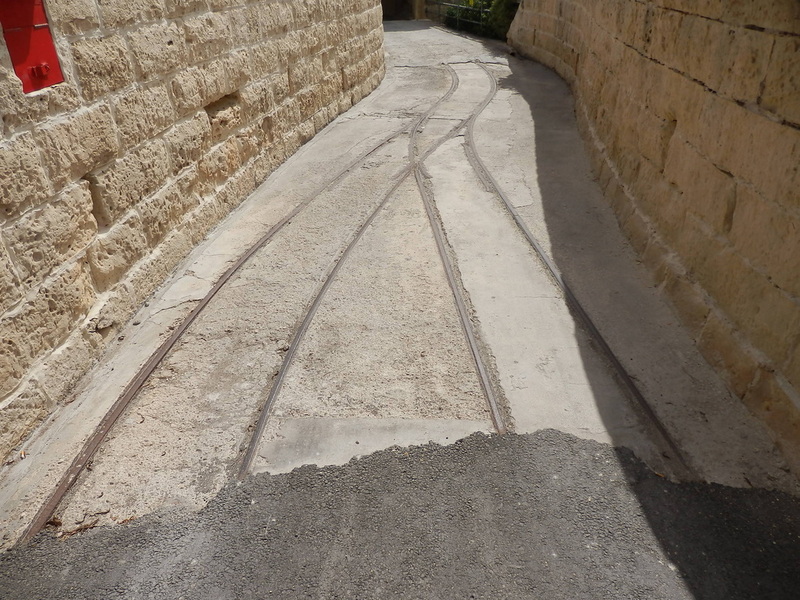 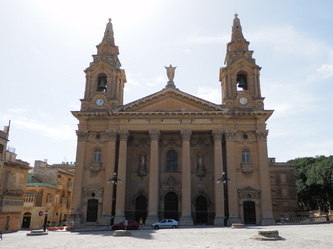 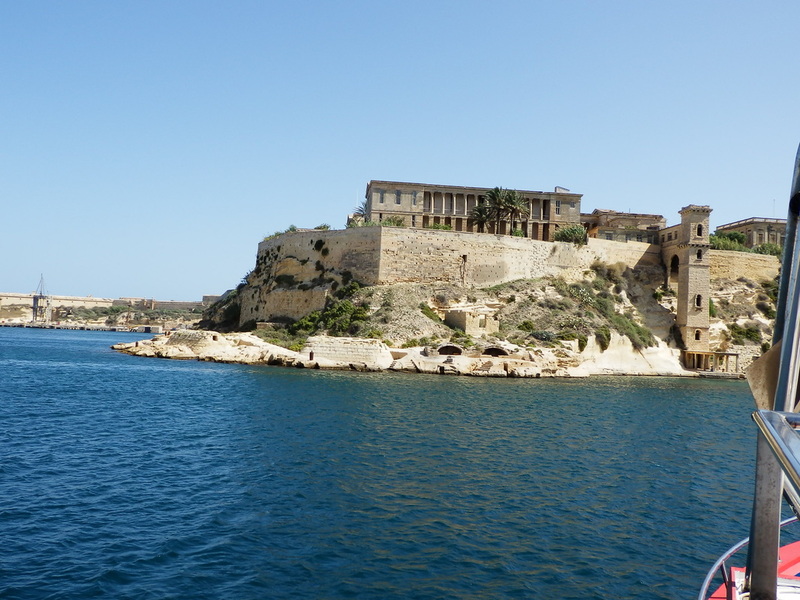 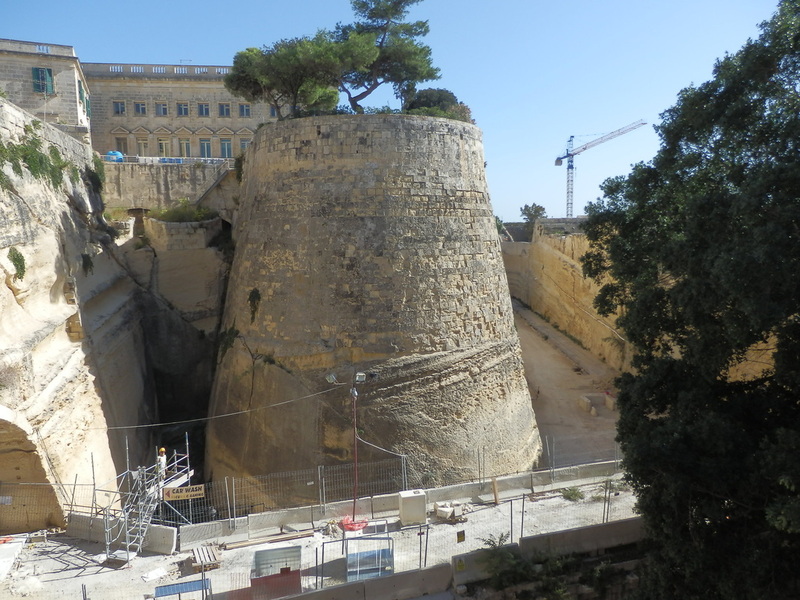 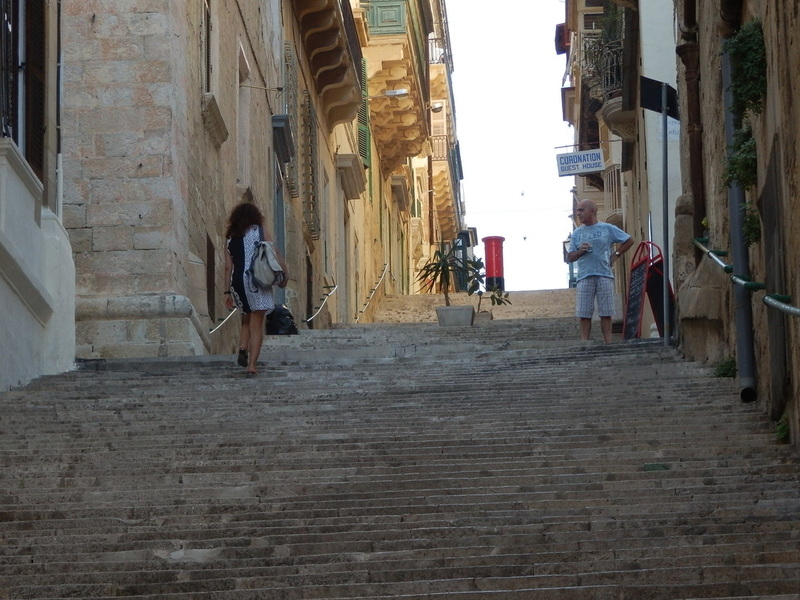 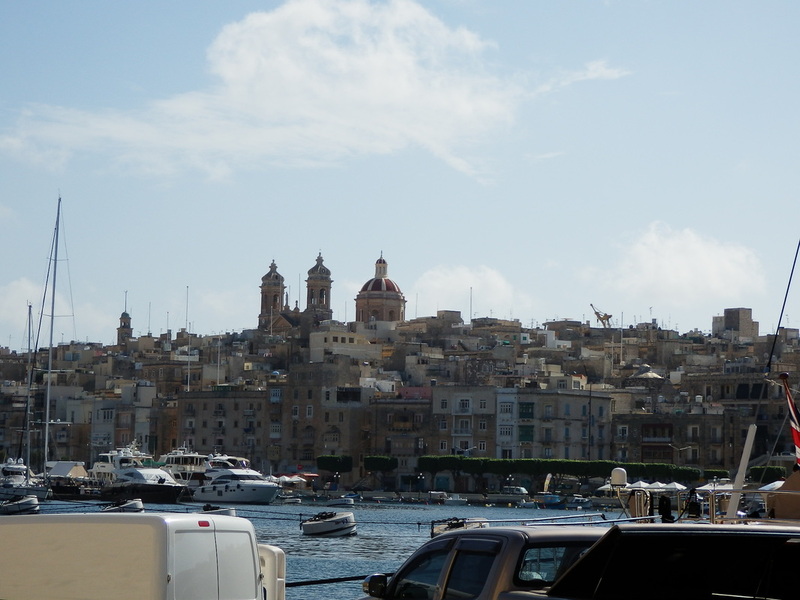 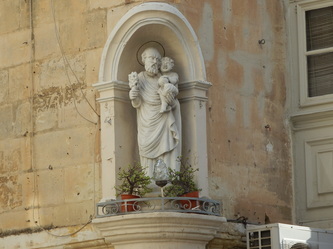 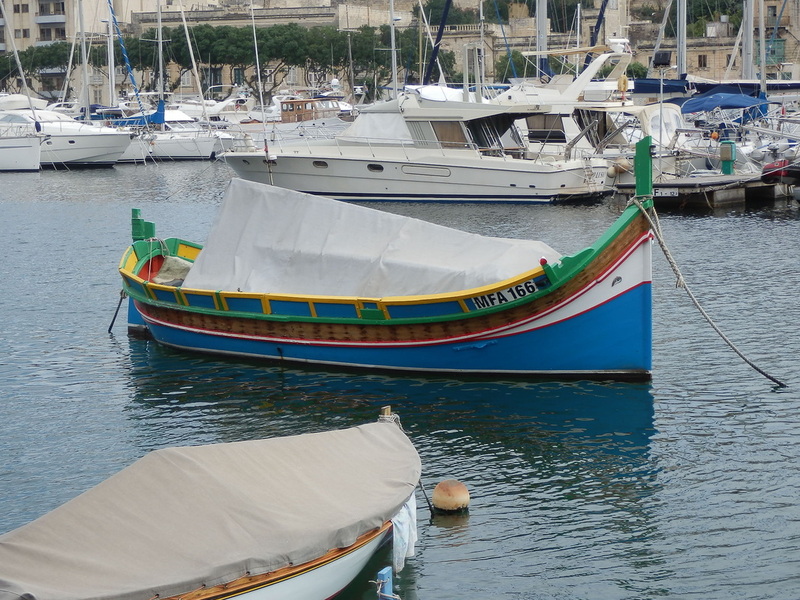 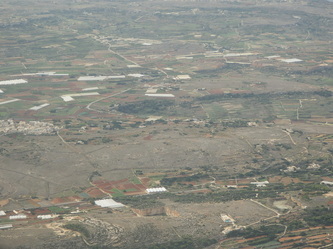 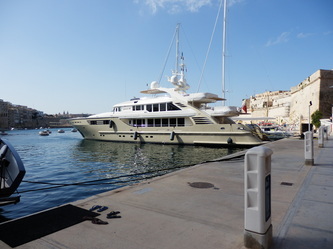 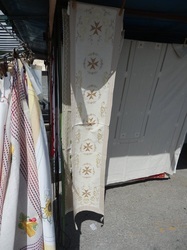 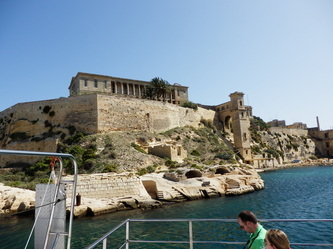 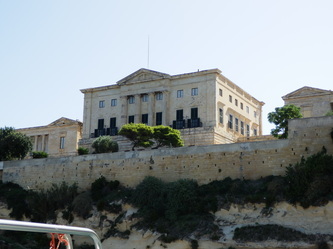 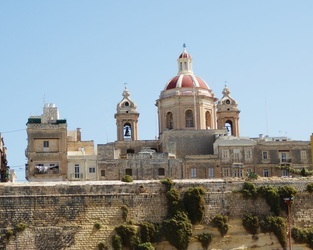 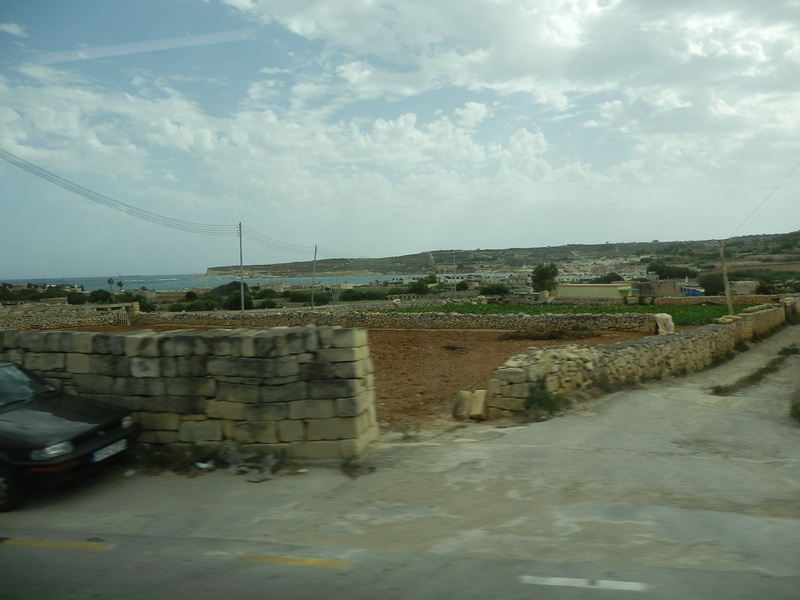 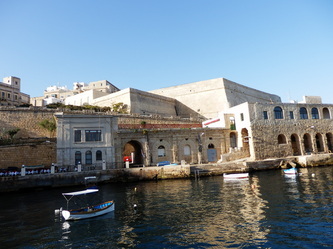 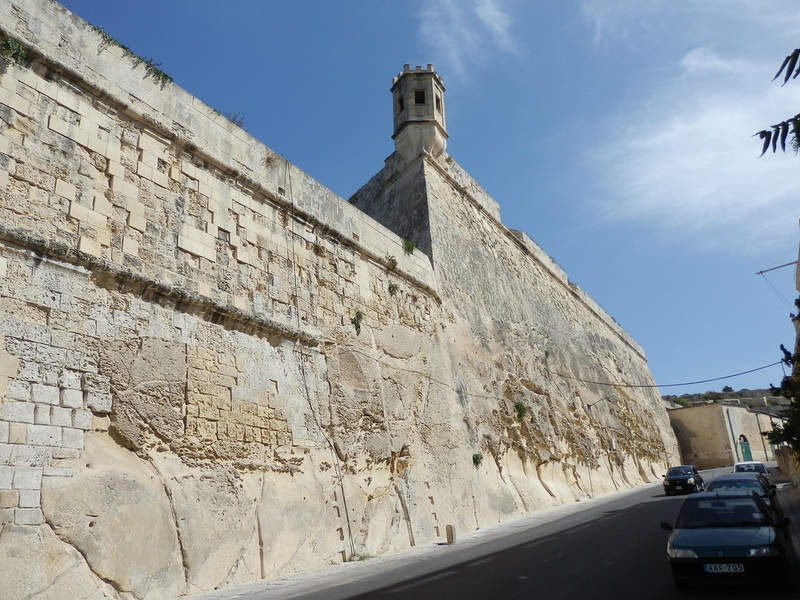 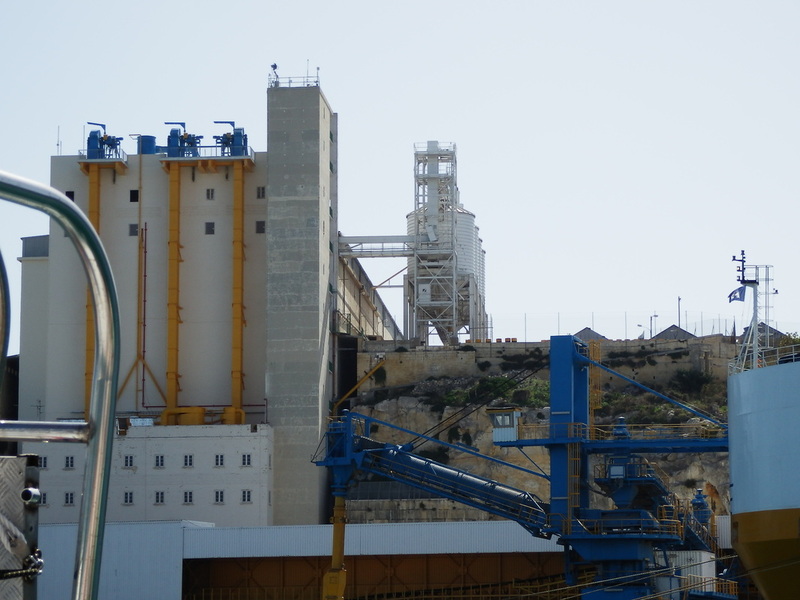 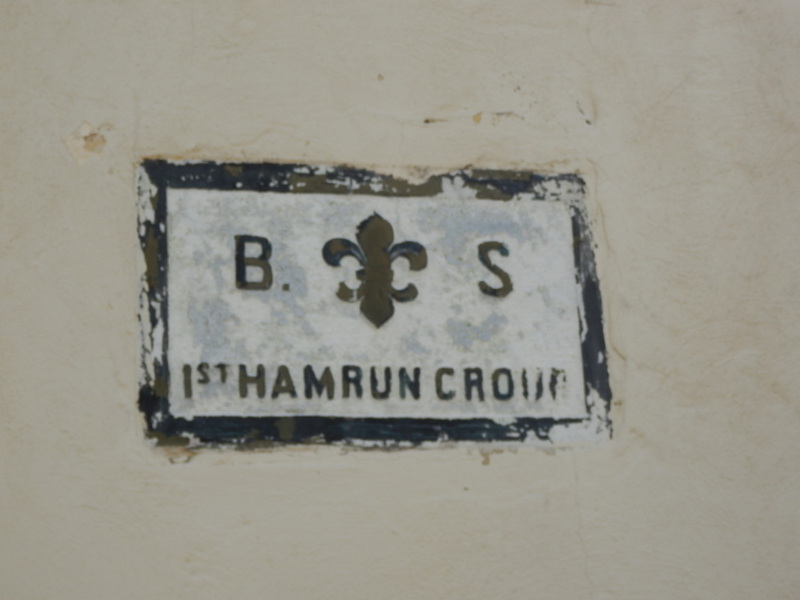 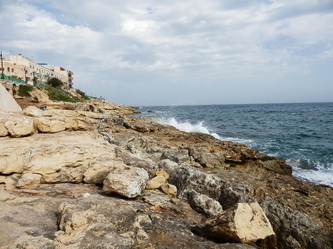 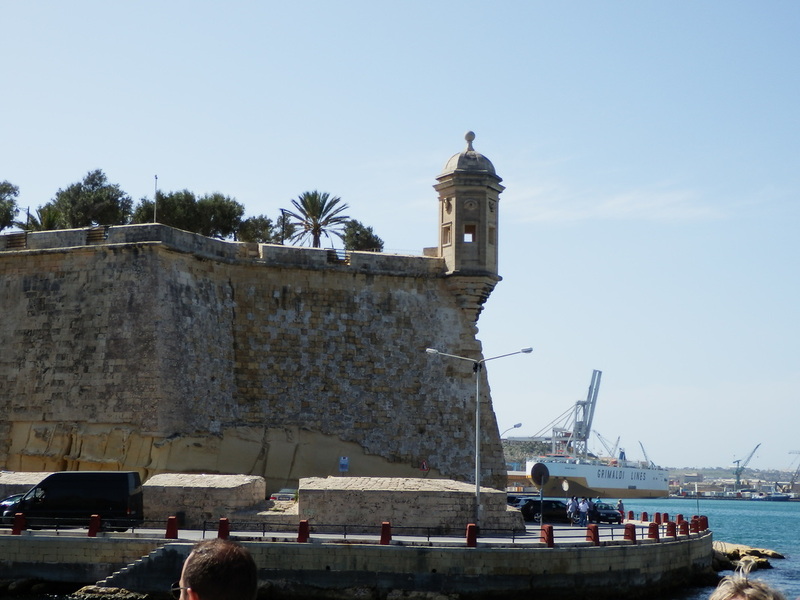 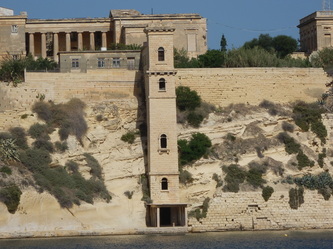 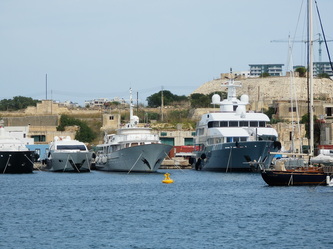 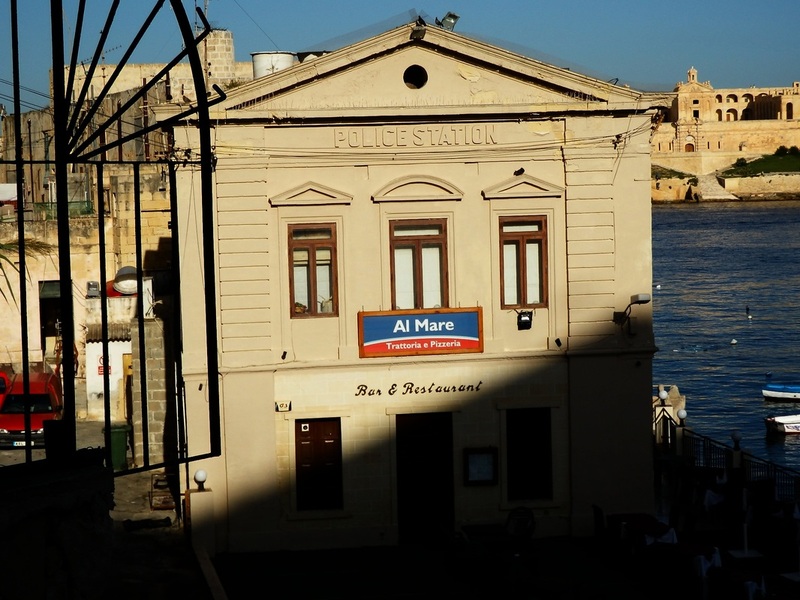 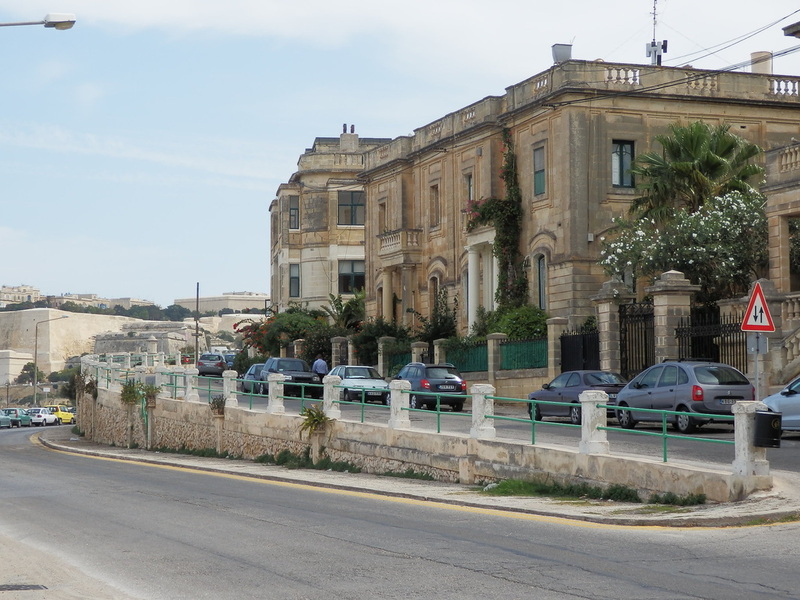 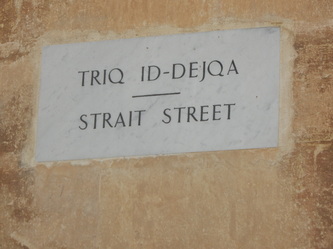 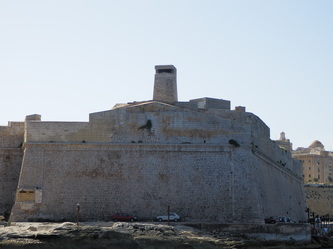 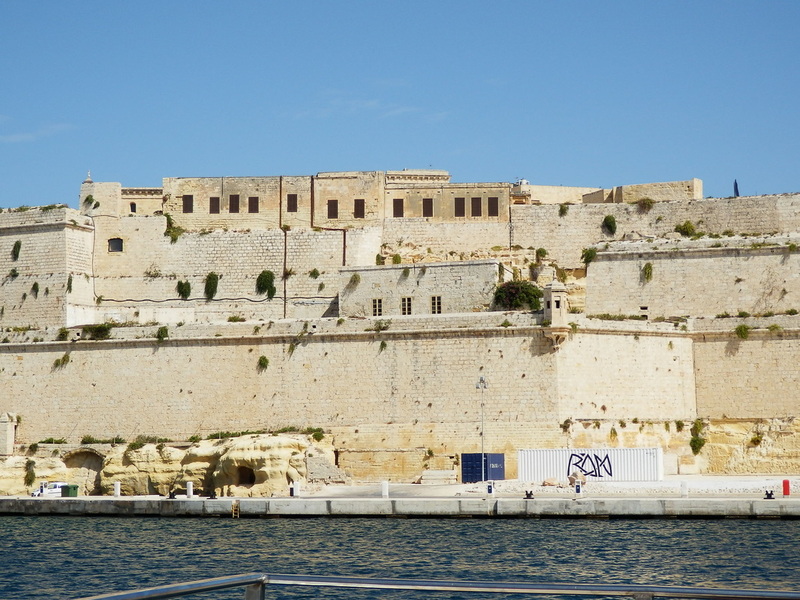 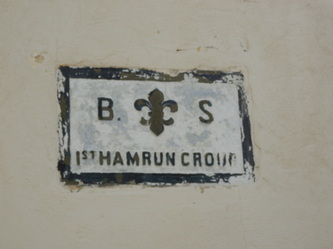 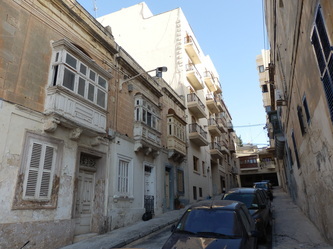 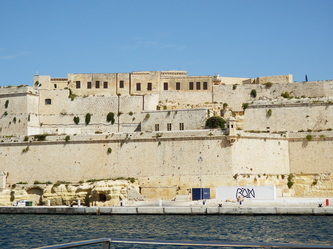 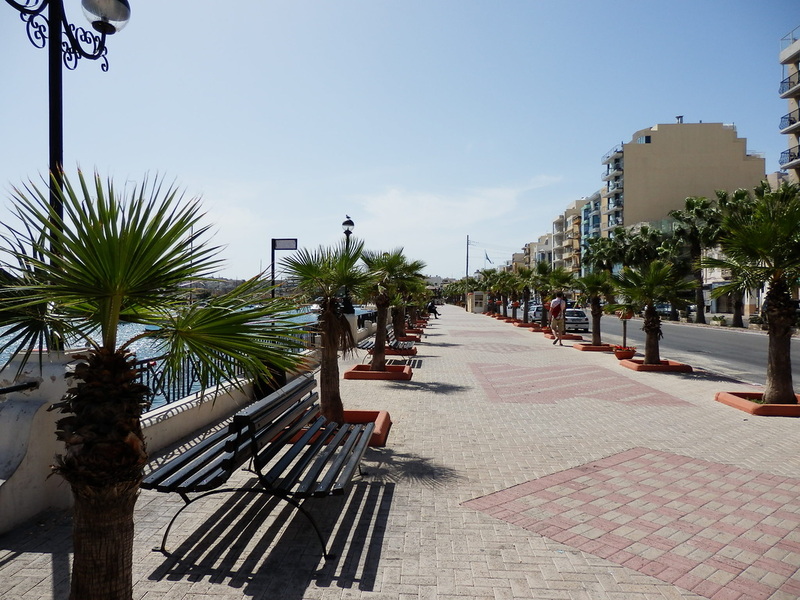 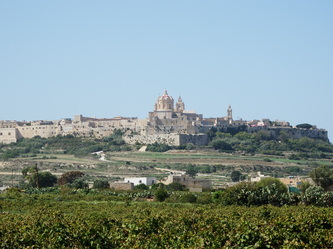 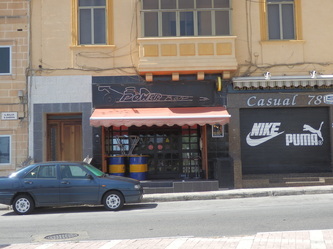 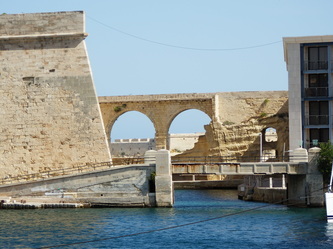 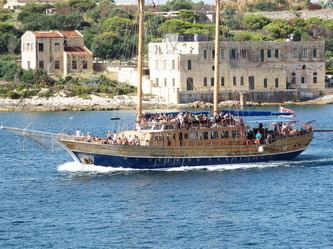 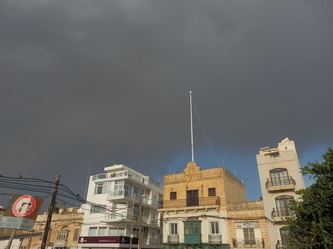 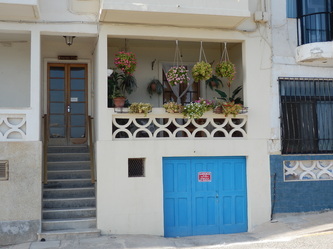 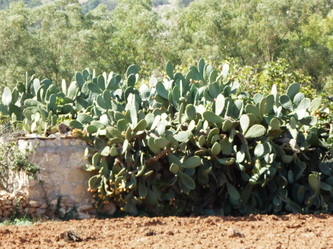 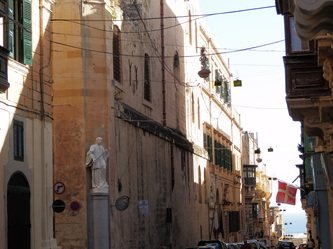 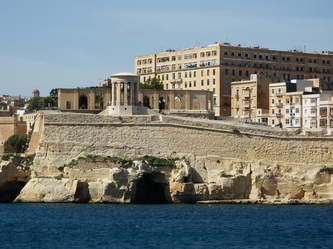 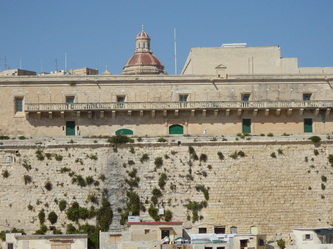 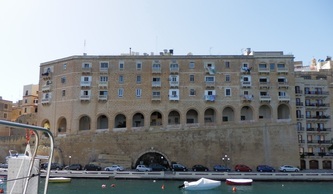 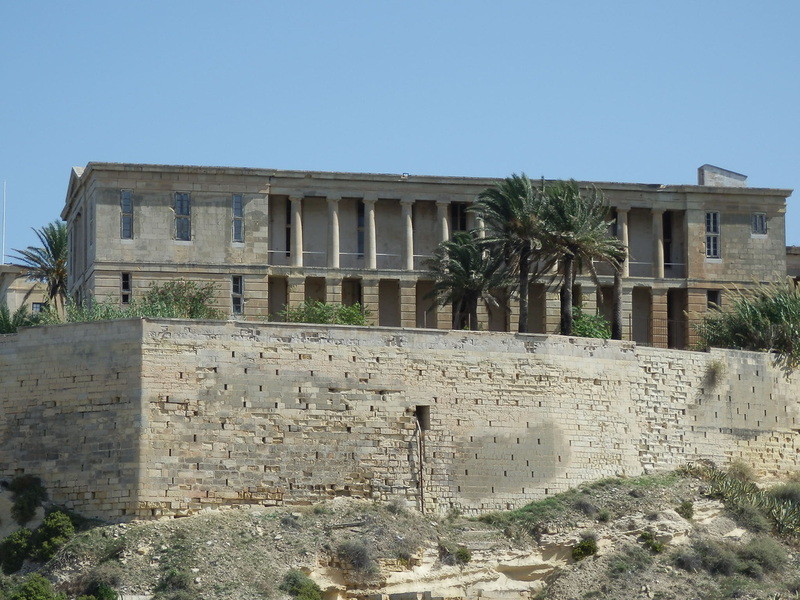 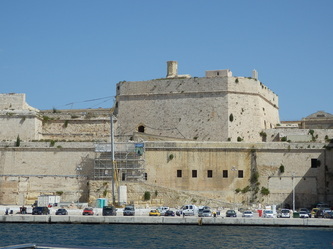 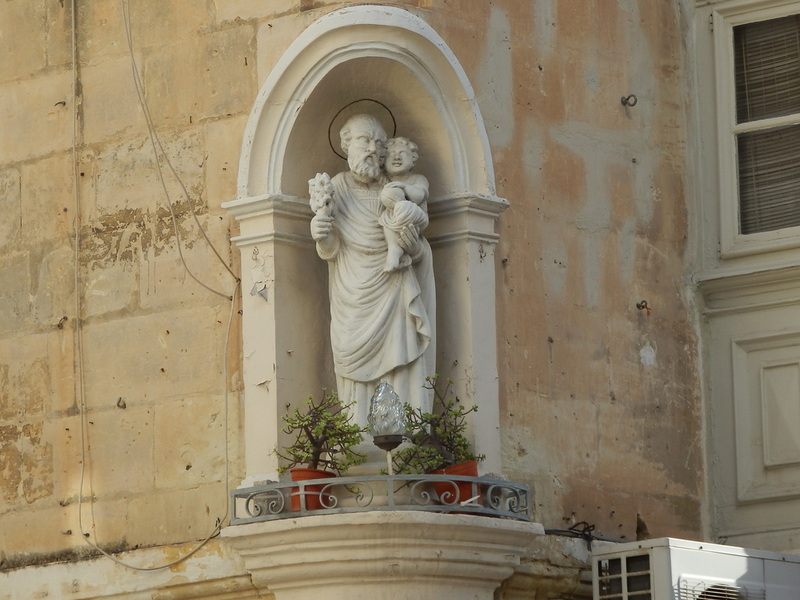 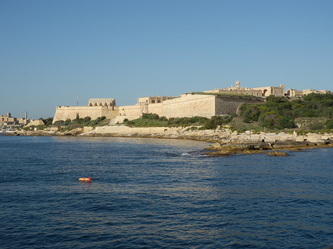 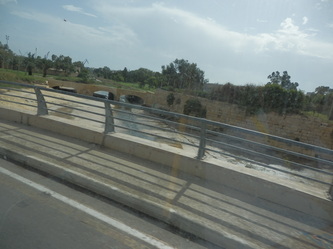 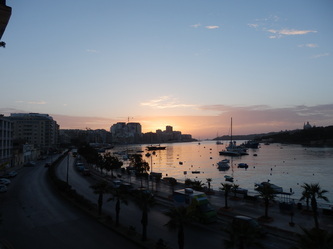 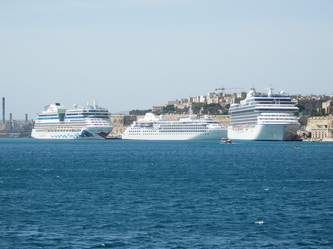 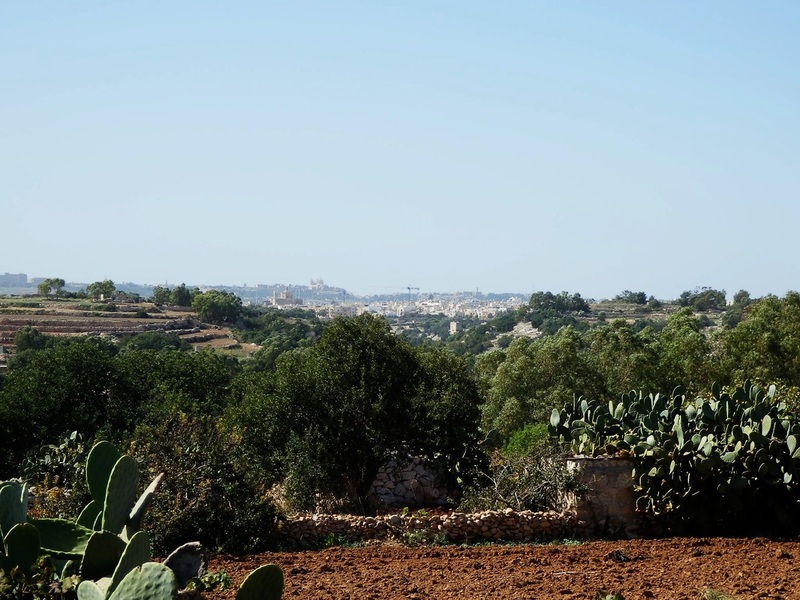 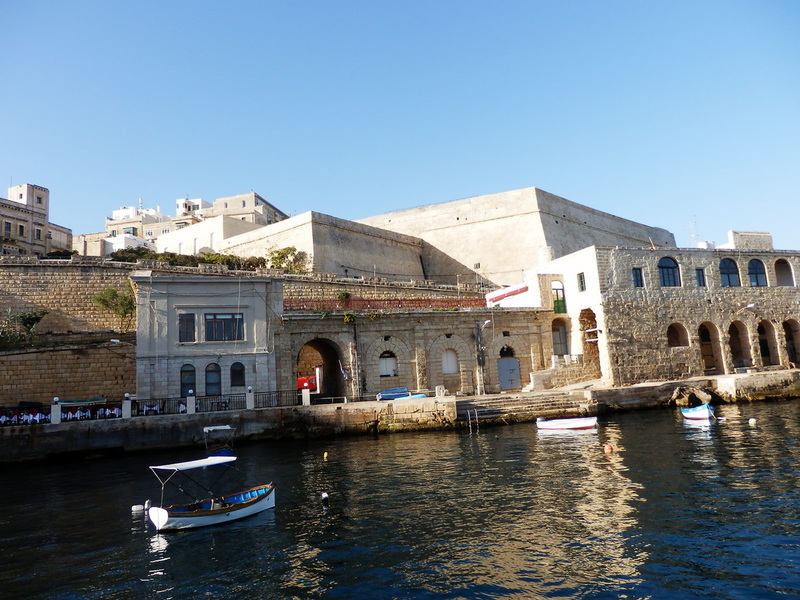 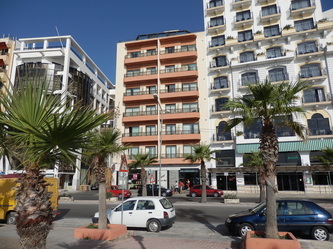 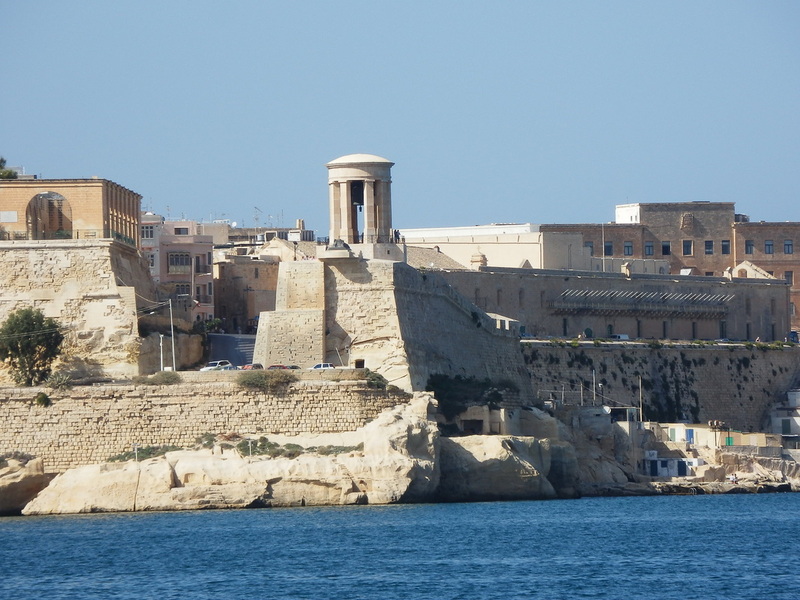 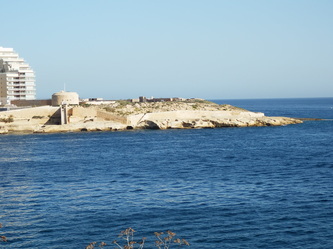 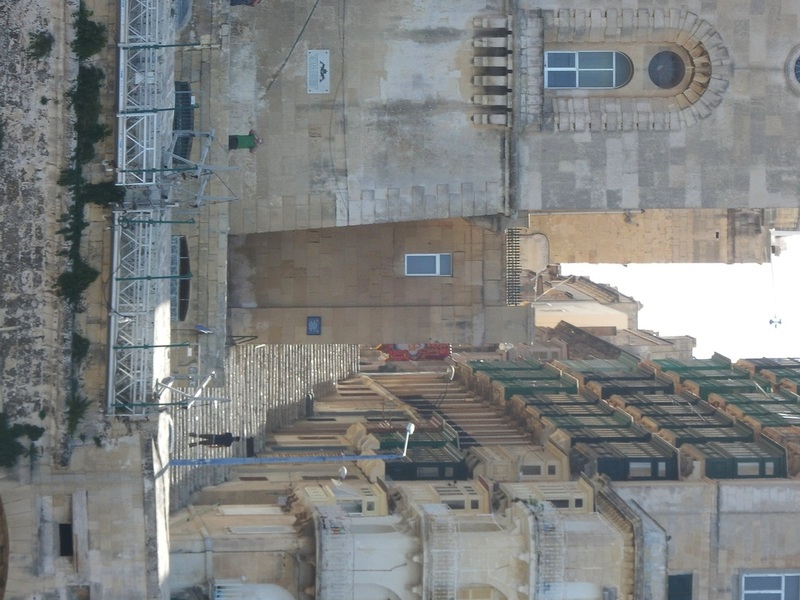 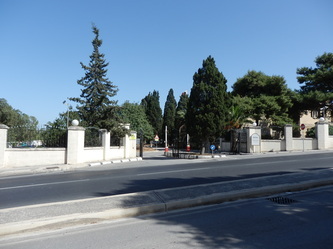 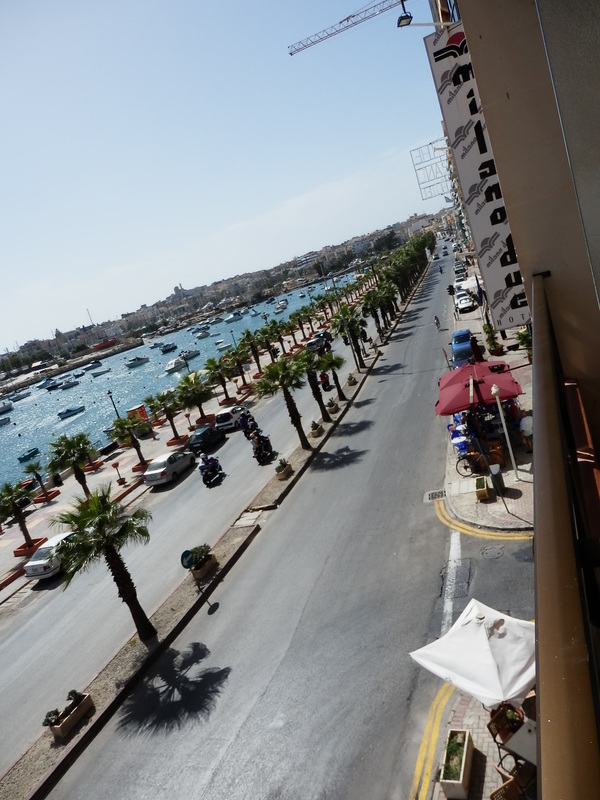 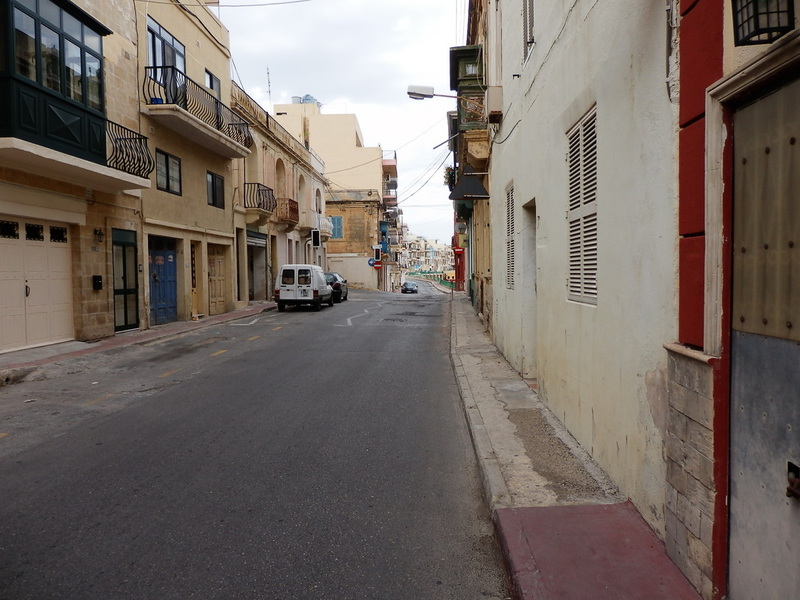 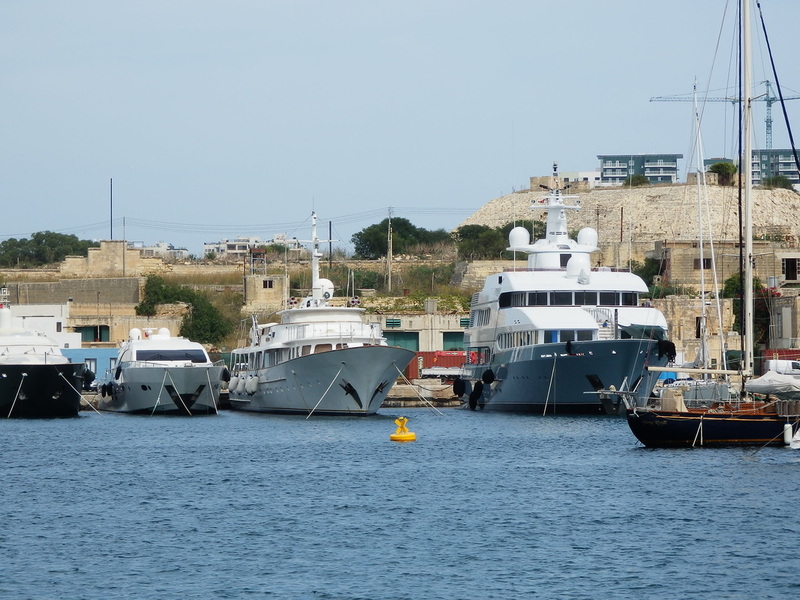 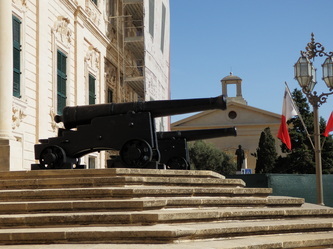 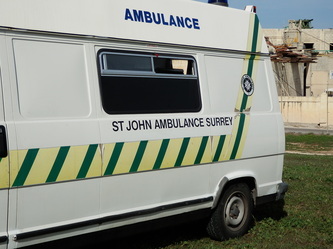 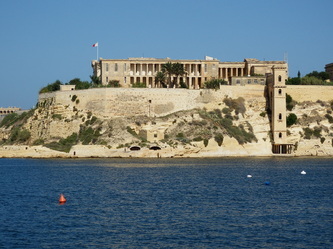 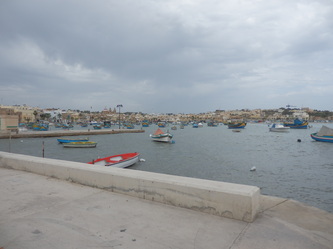 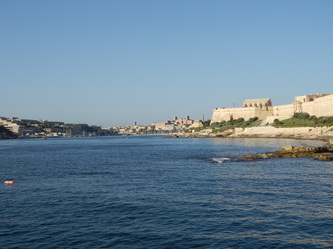 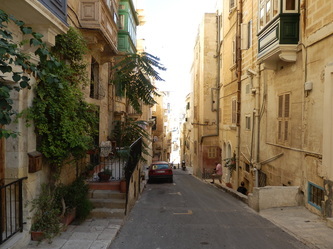 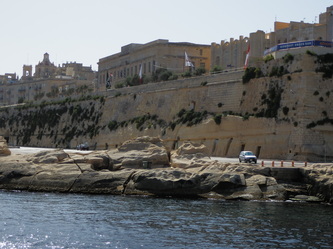 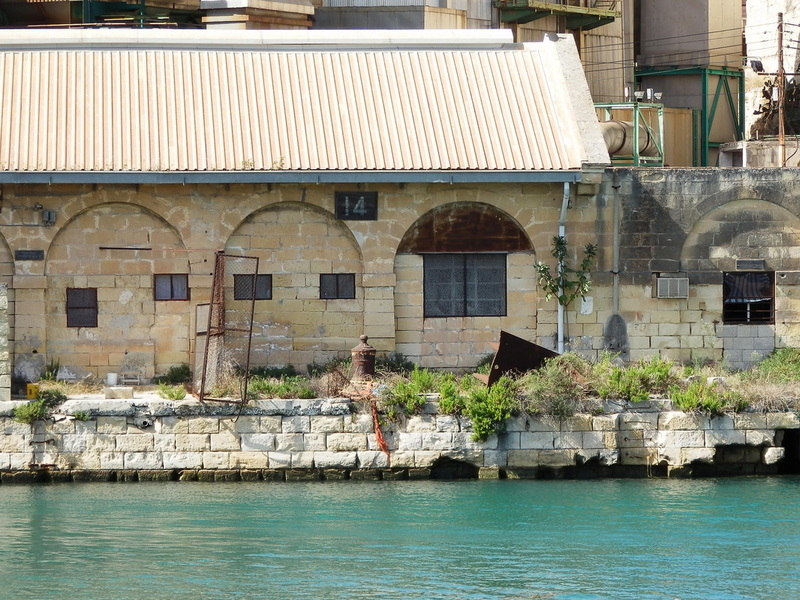 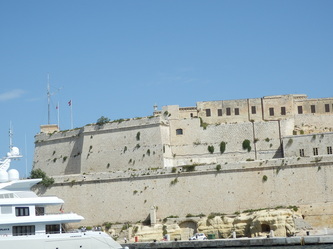 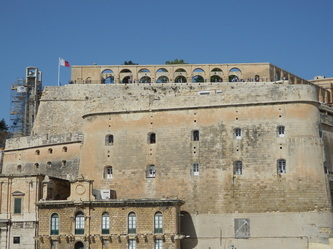 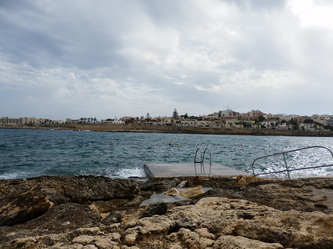 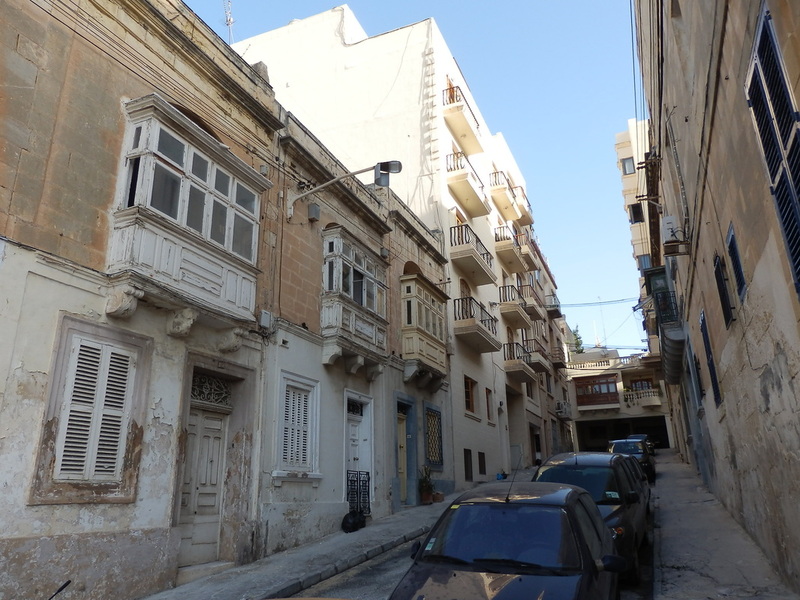 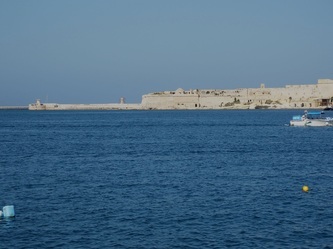 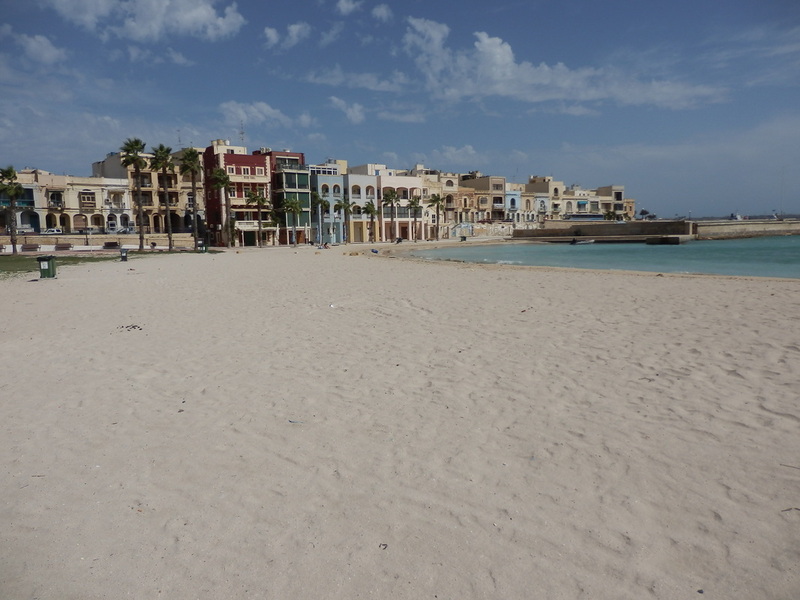 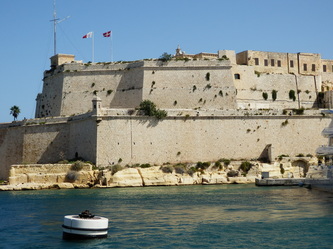 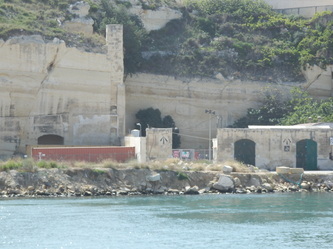 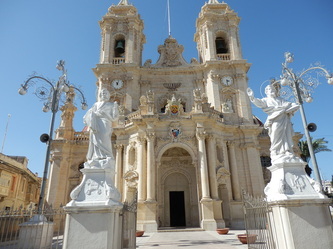 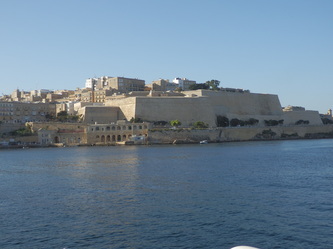 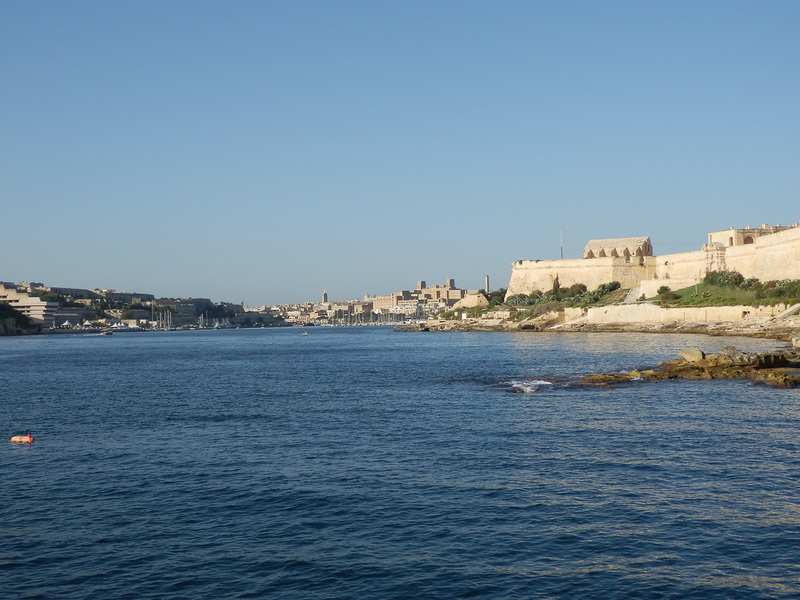 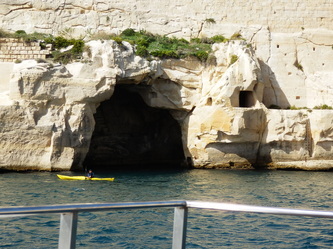 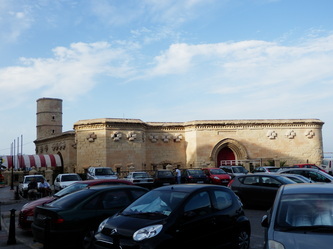 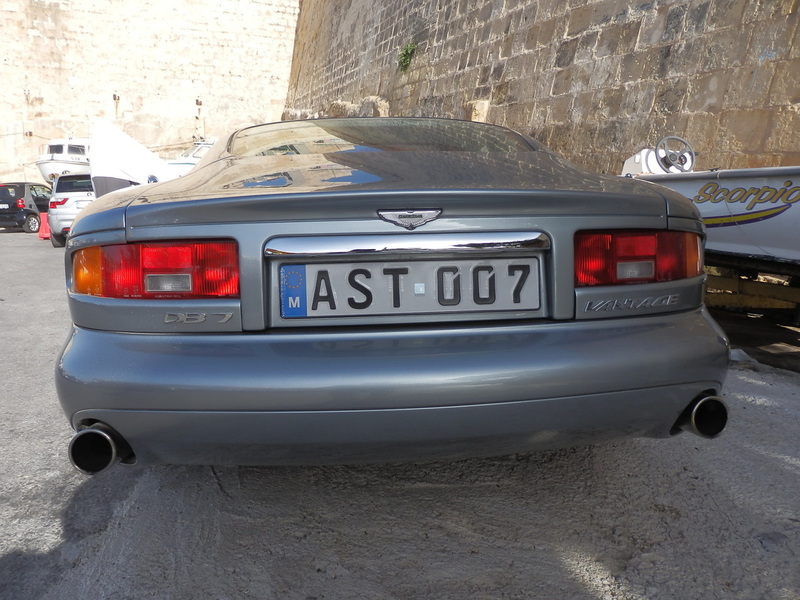 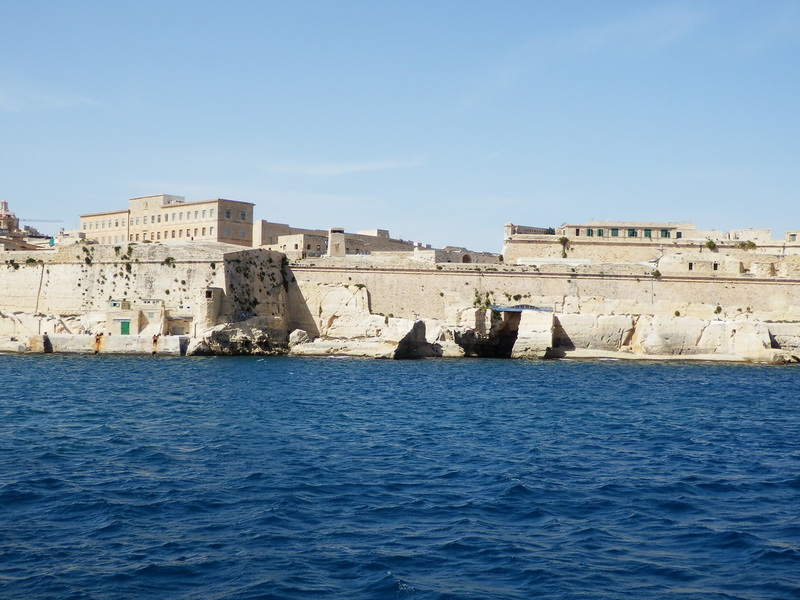 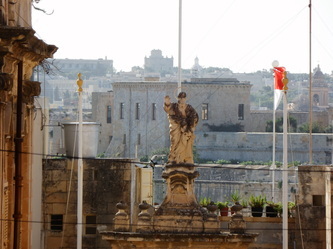 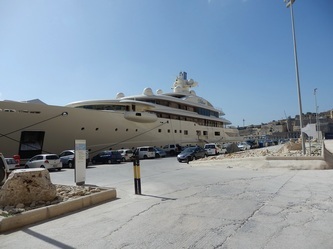 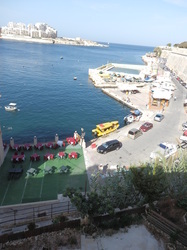 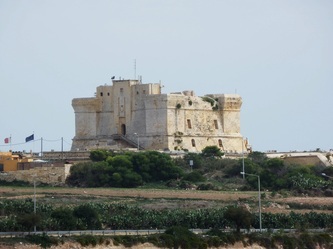 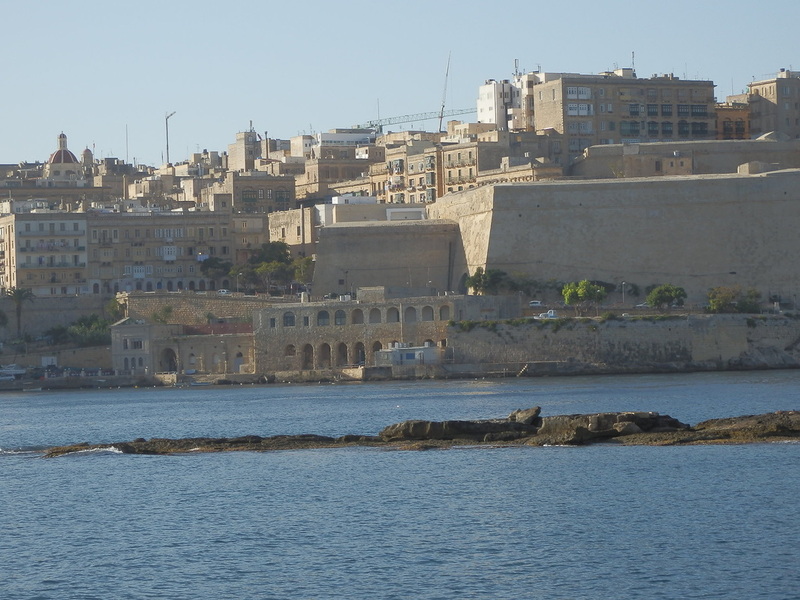 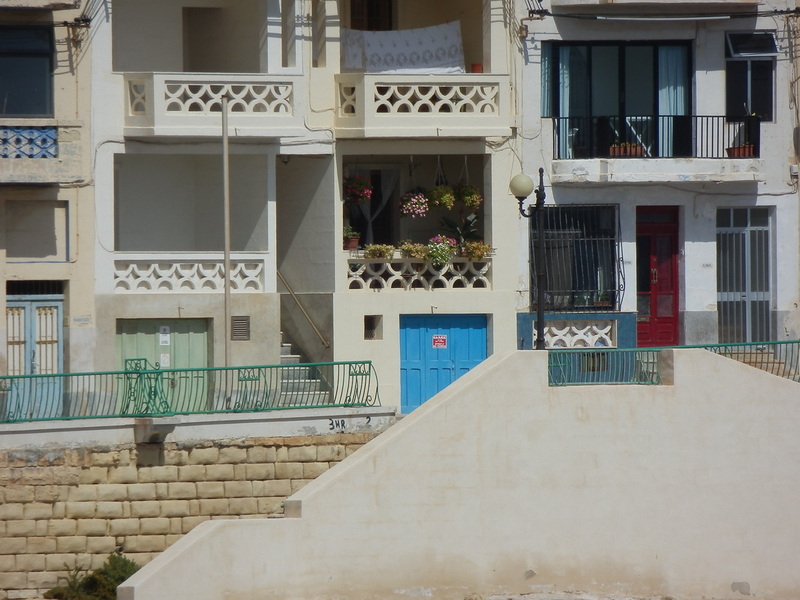 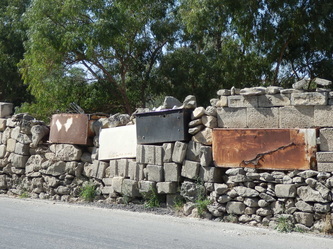 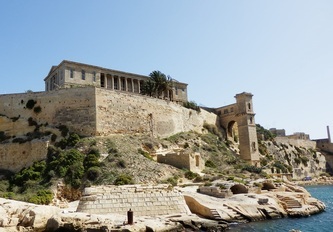 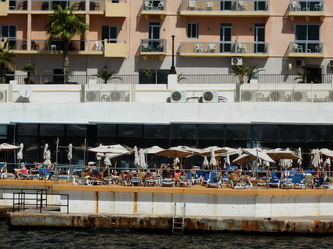 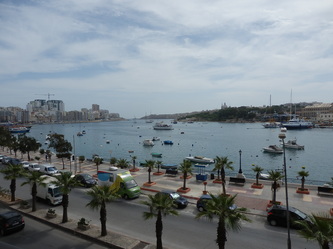 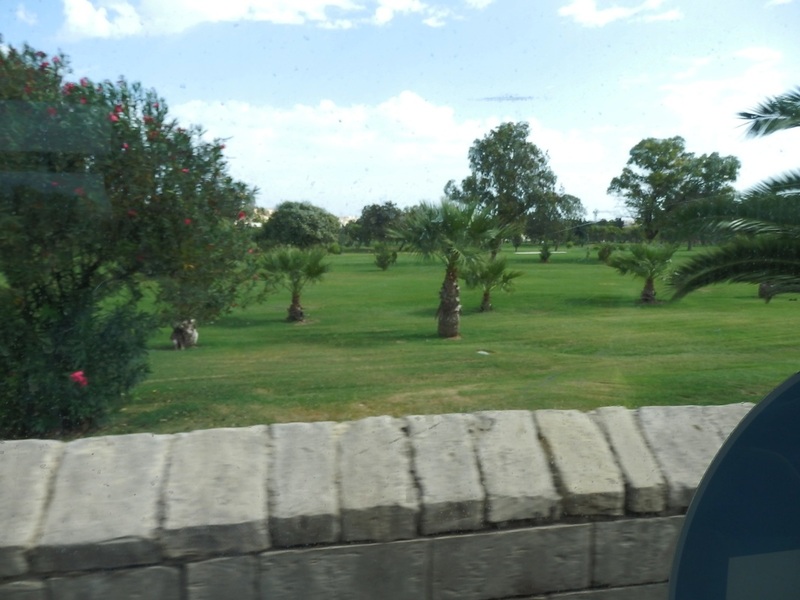 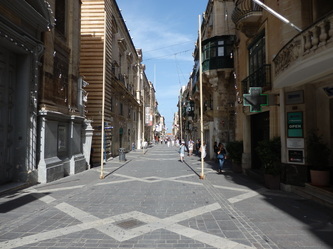 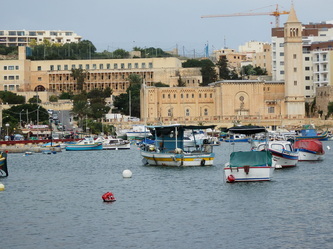 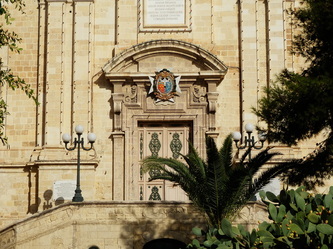 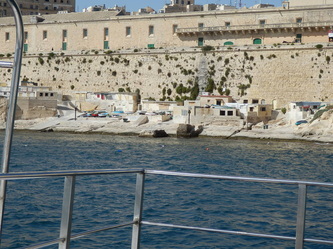 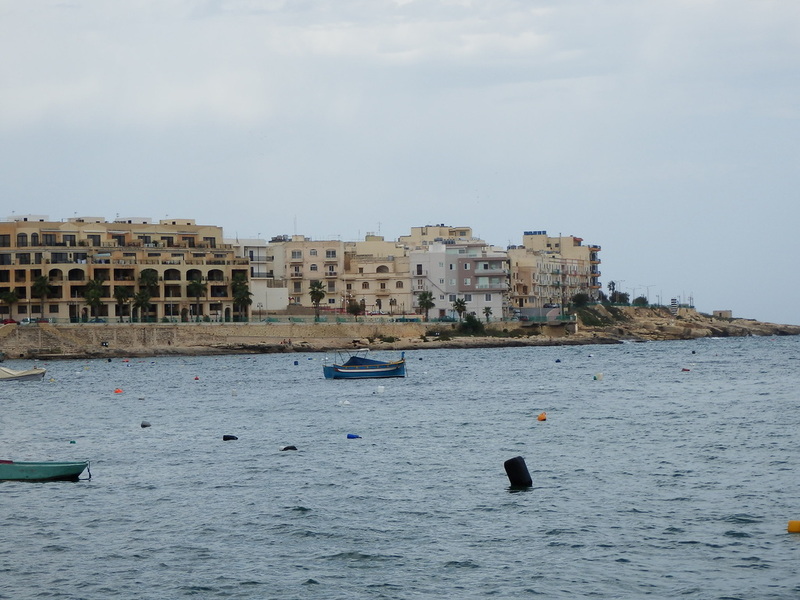 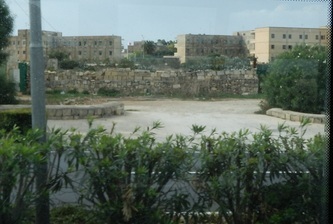 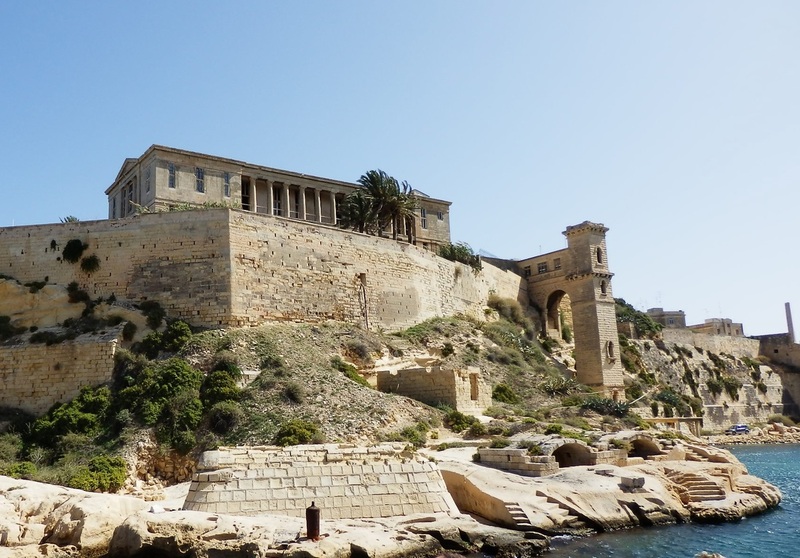 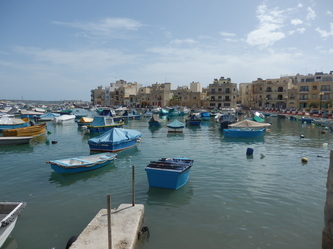 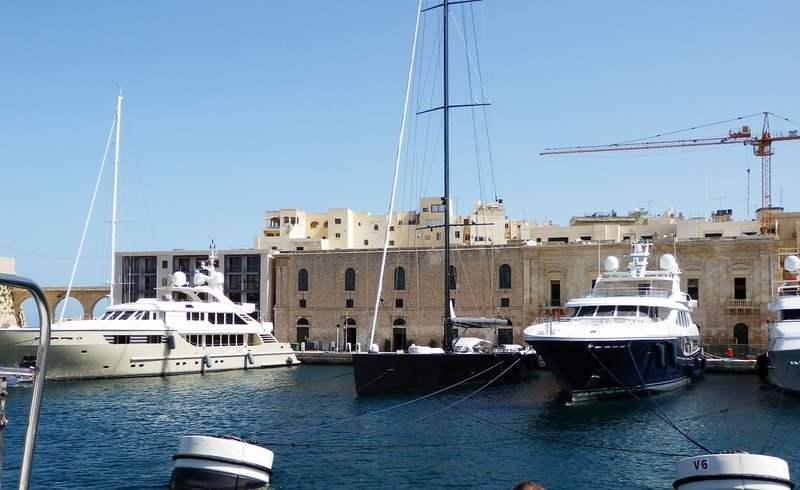 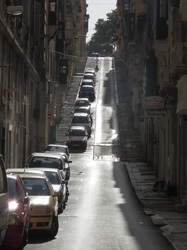 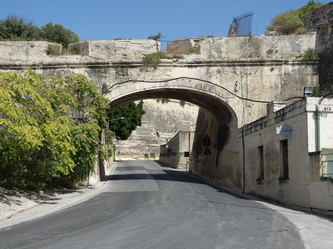 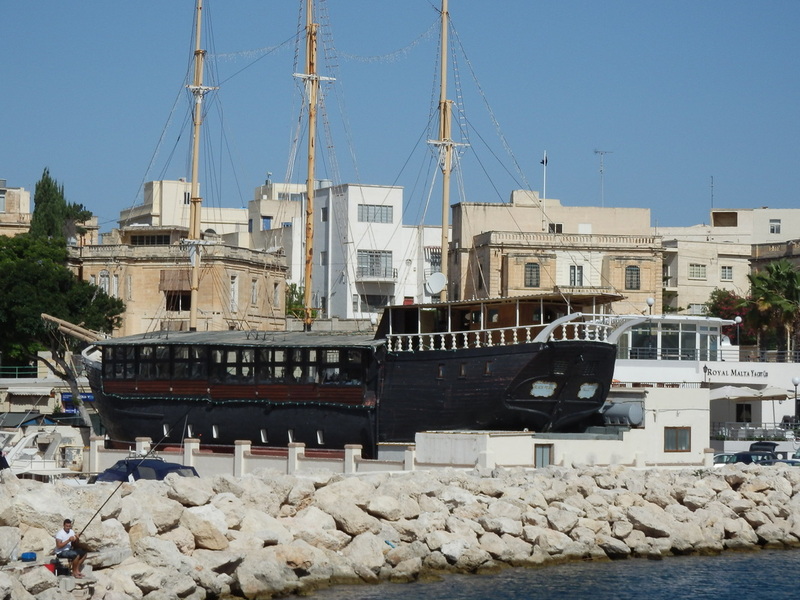 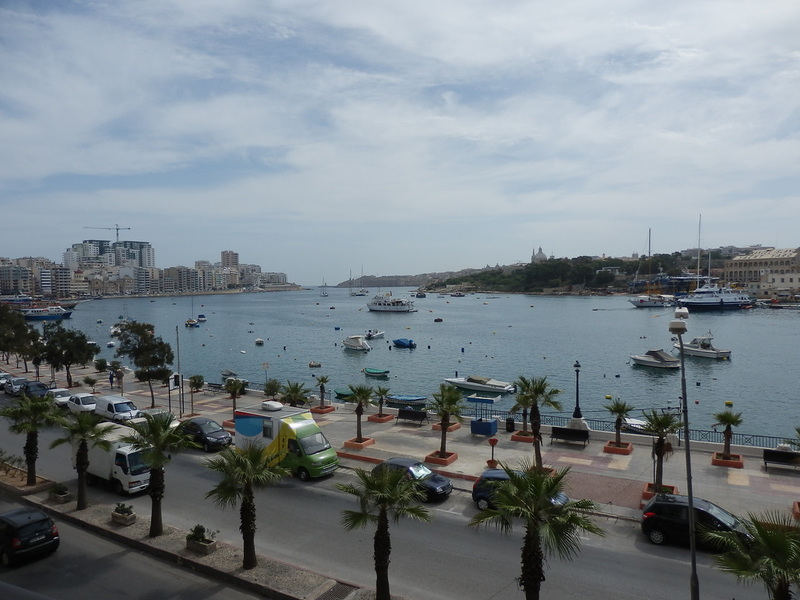 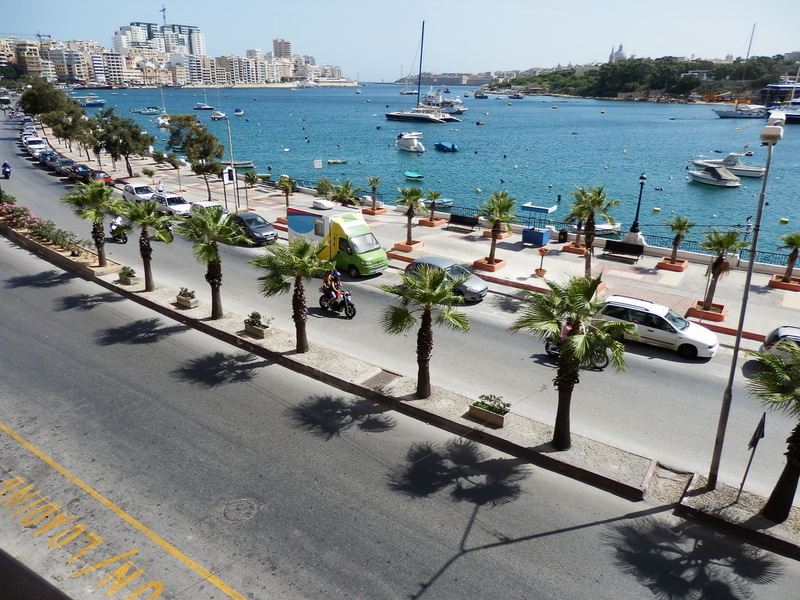 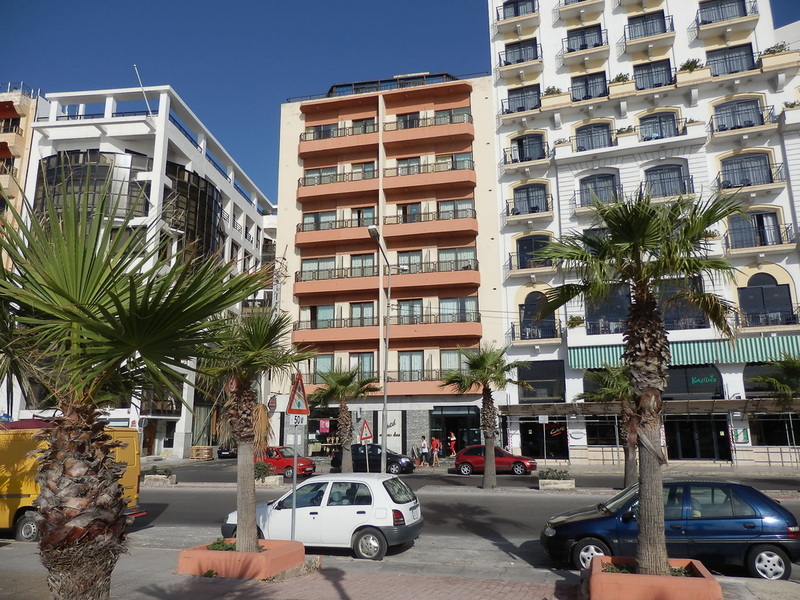 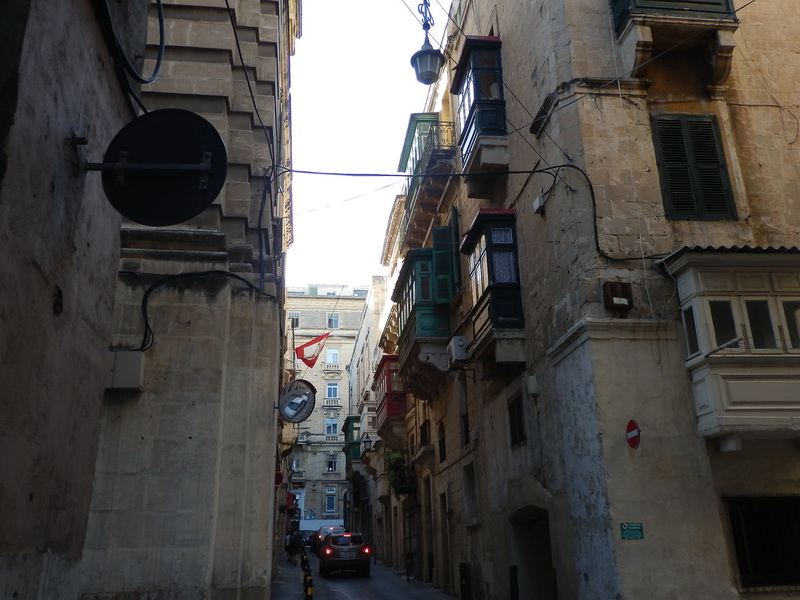 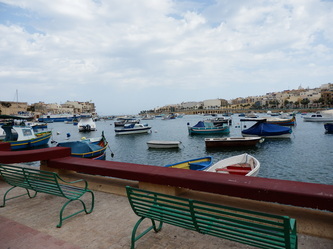 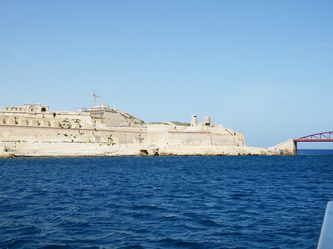 Scenes of Malta. 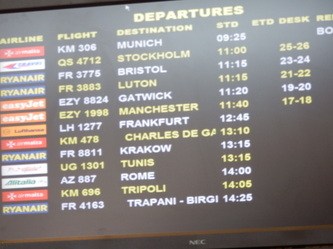 I didn't even have time to go North, these are all in the South. 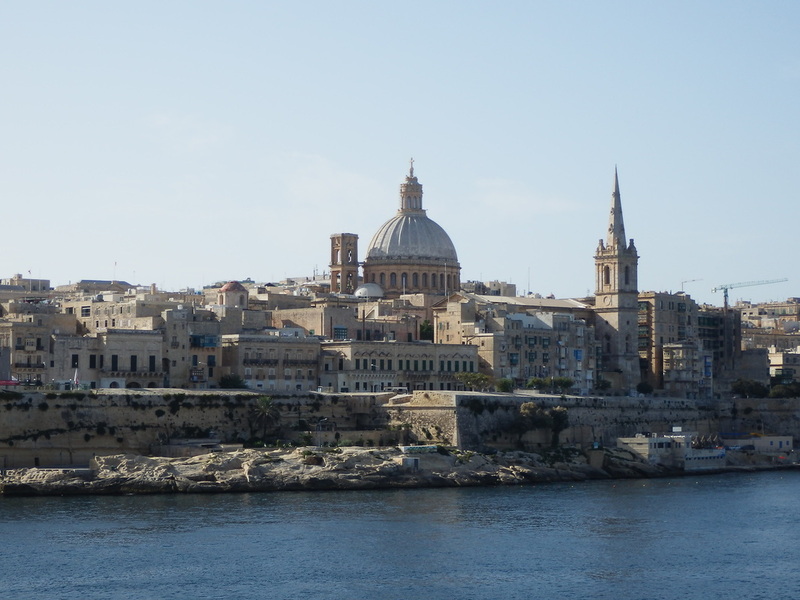 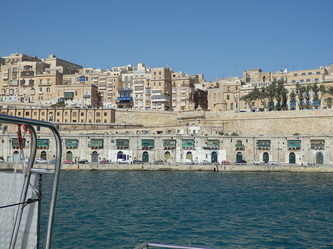 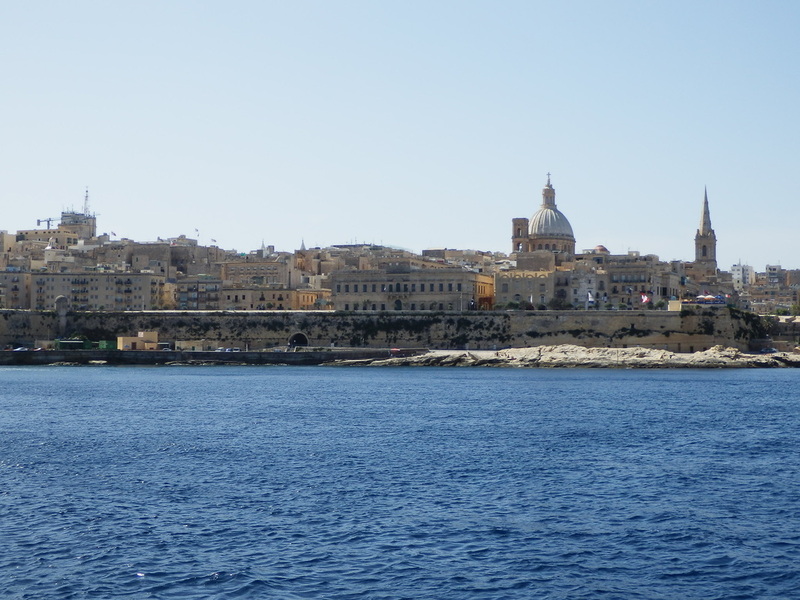 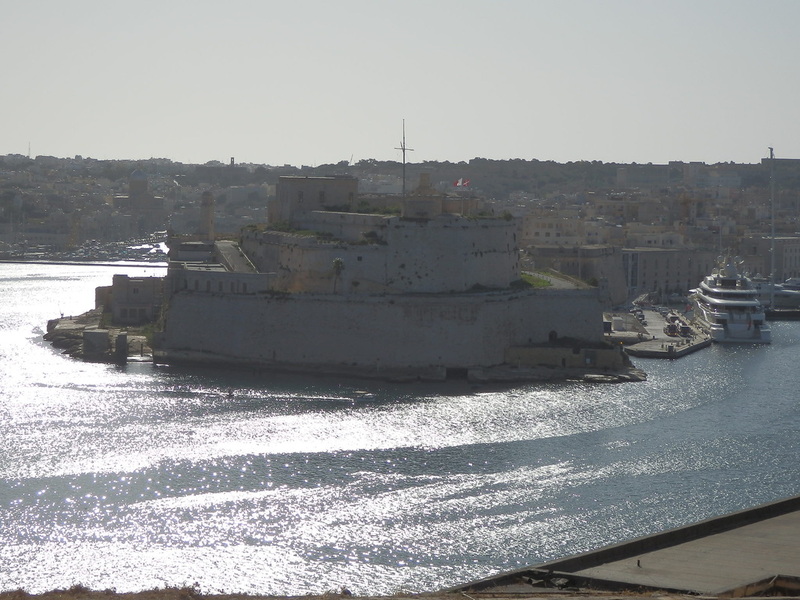 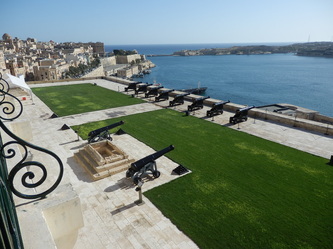 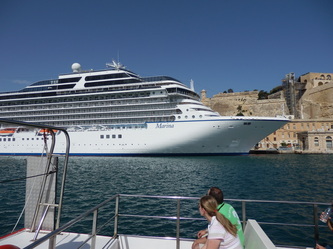 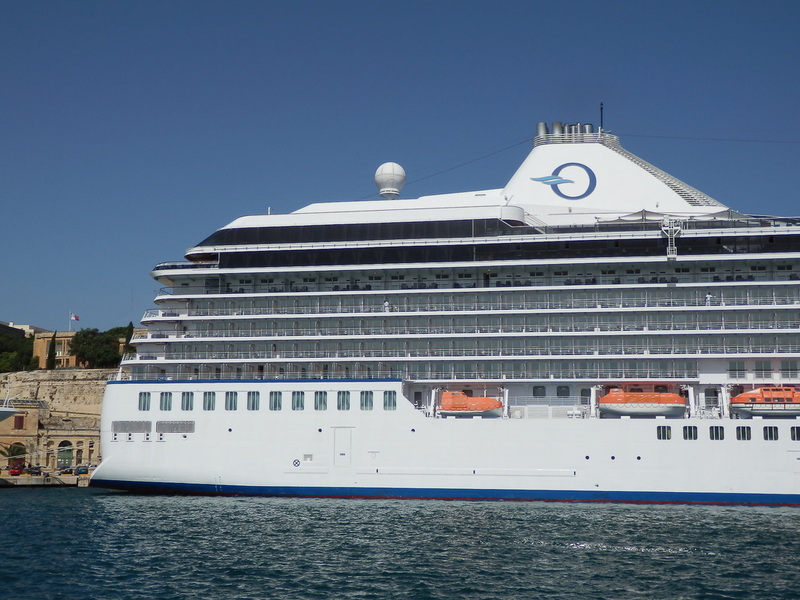 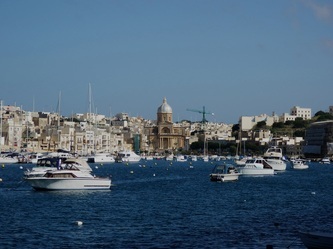 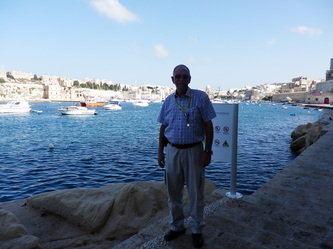 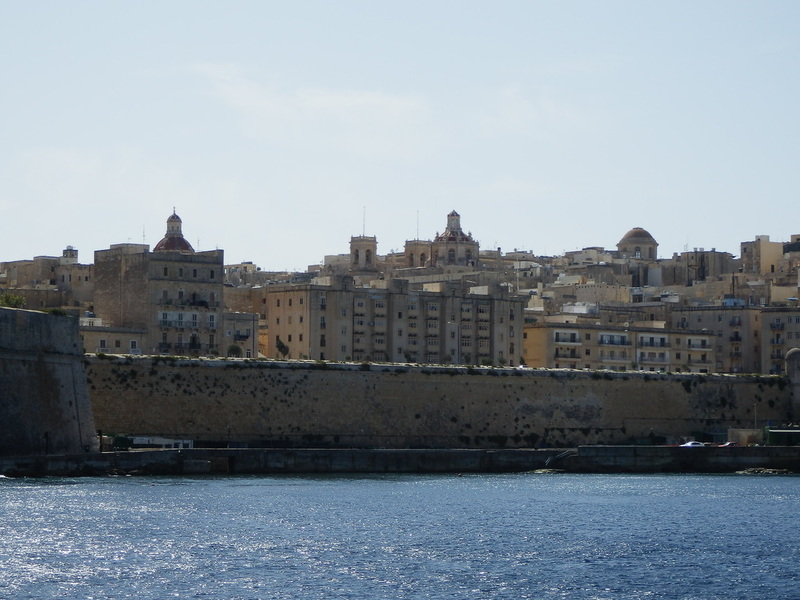 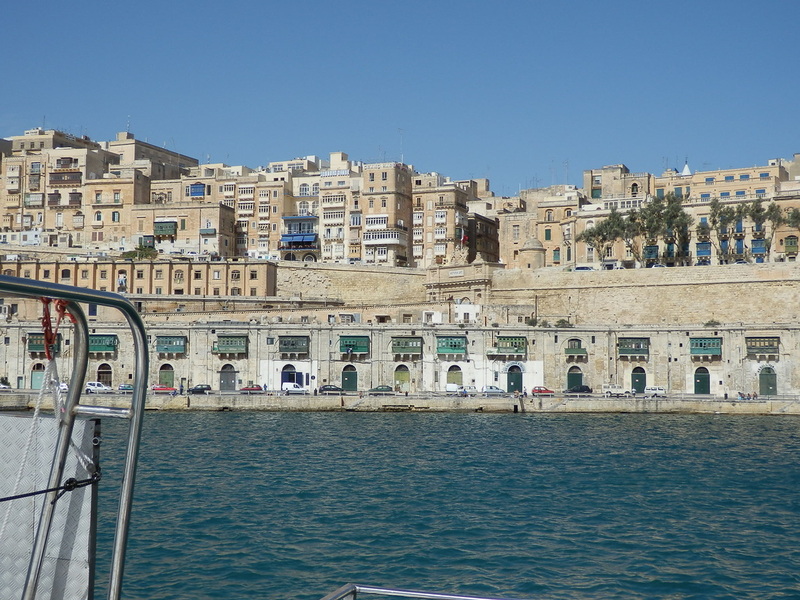 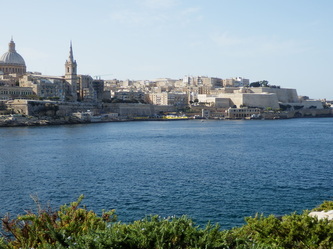 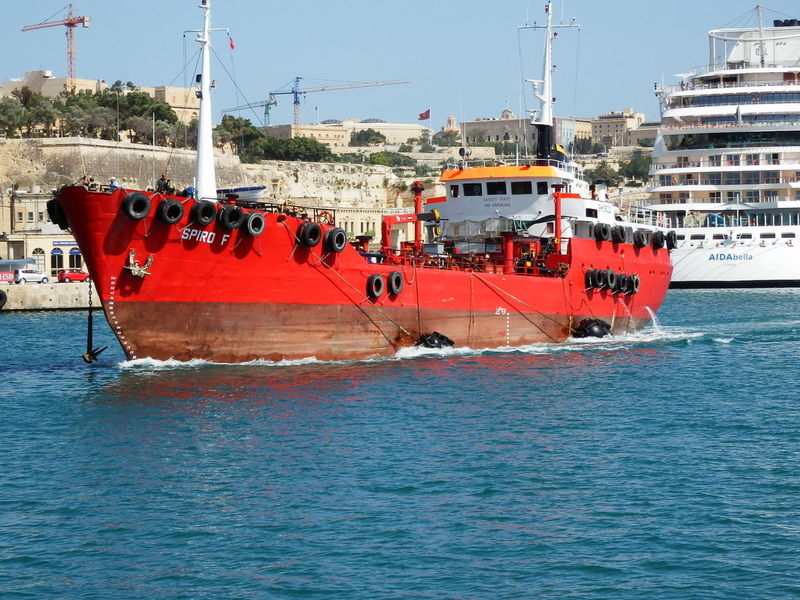 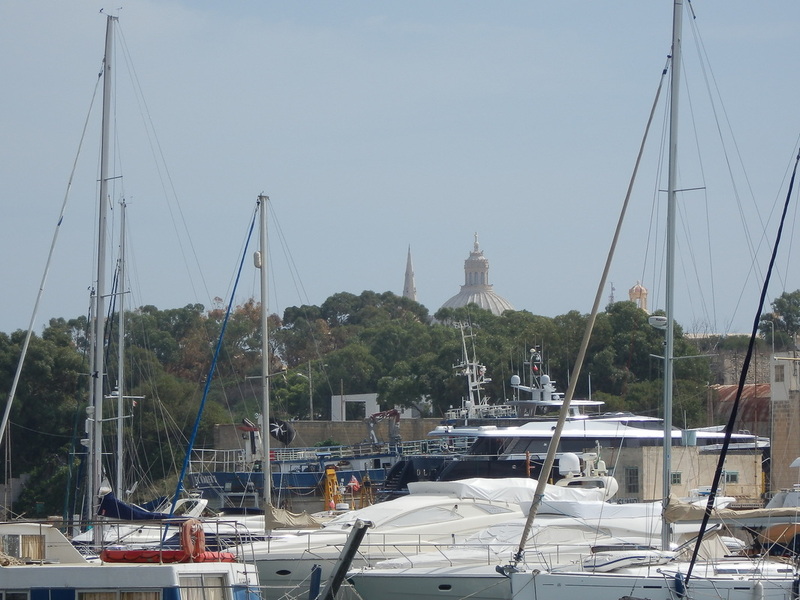 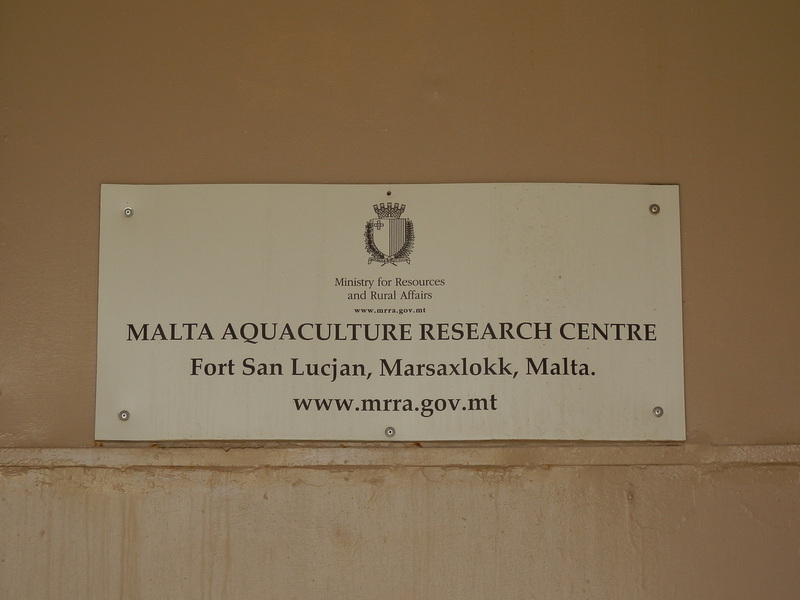 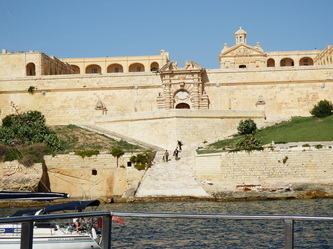 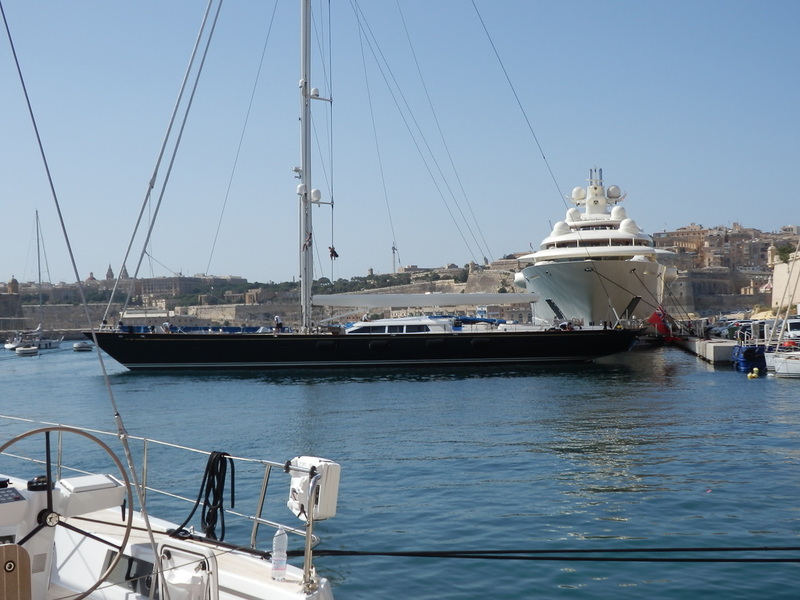 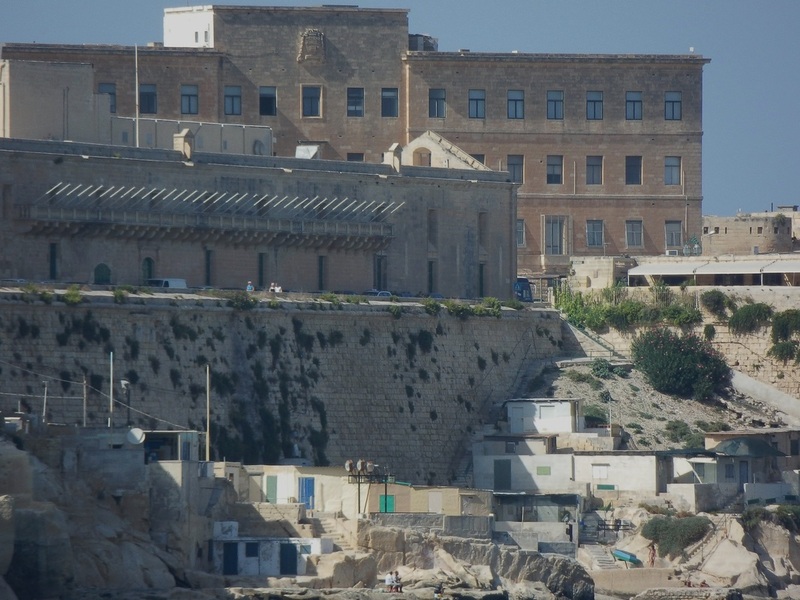 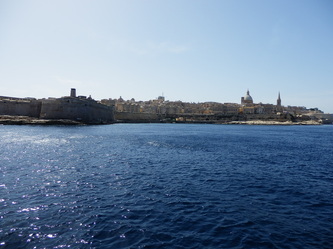 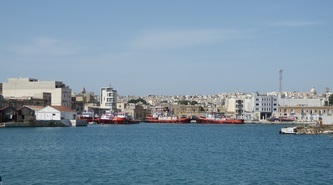 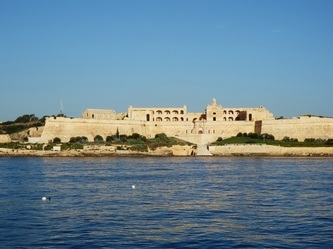 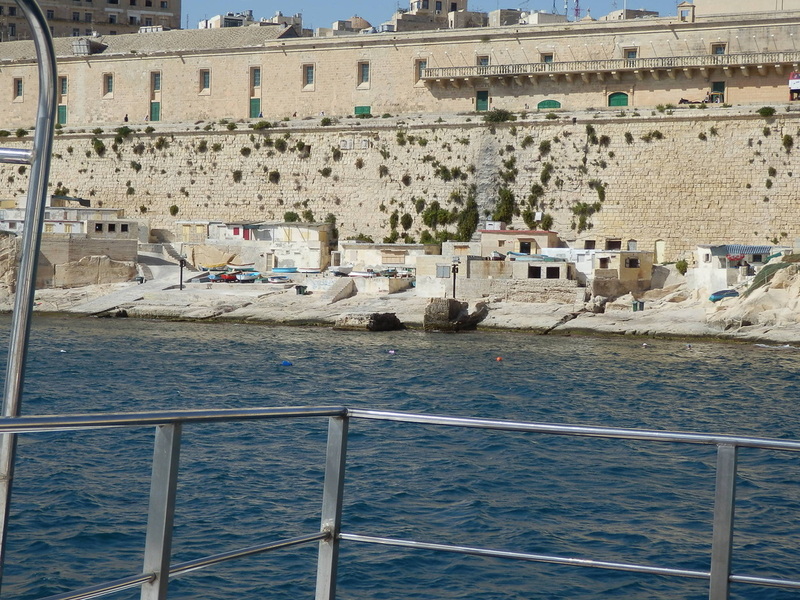 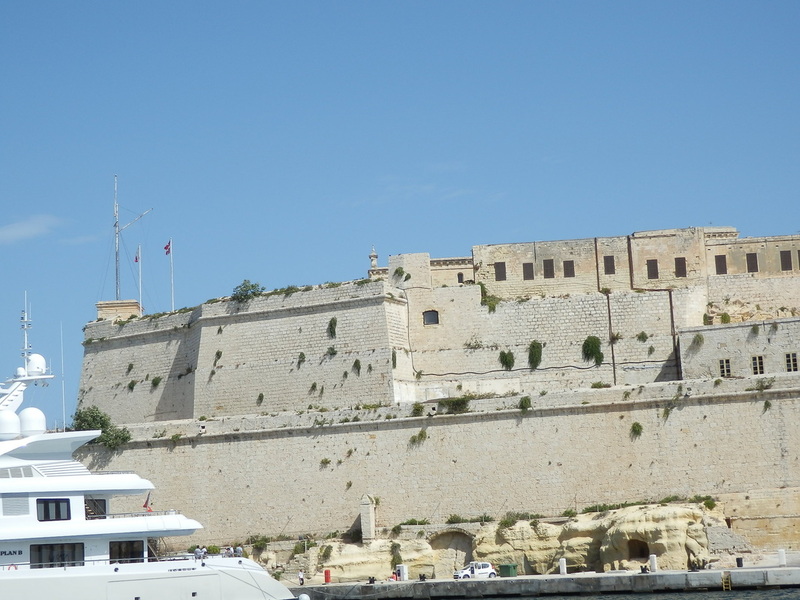 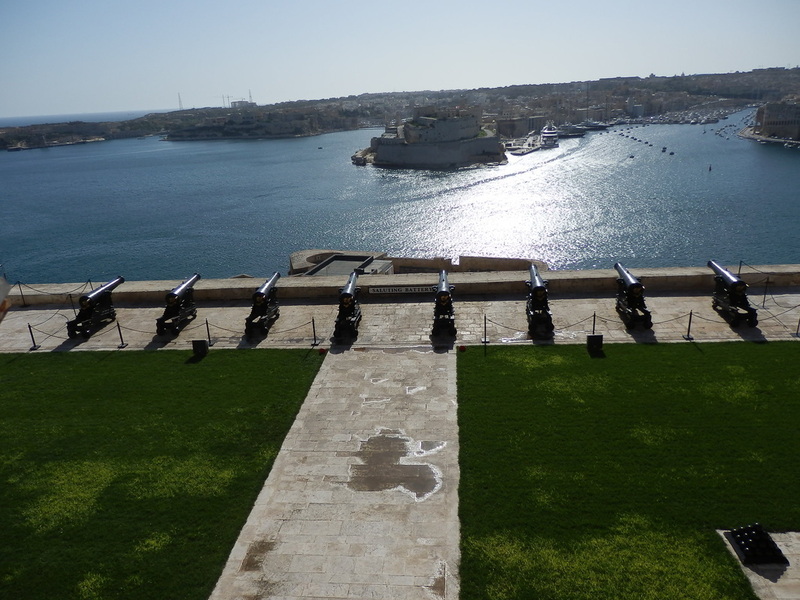 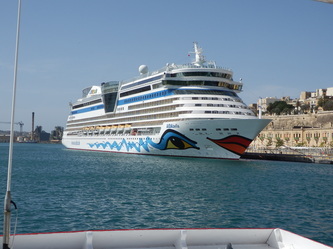 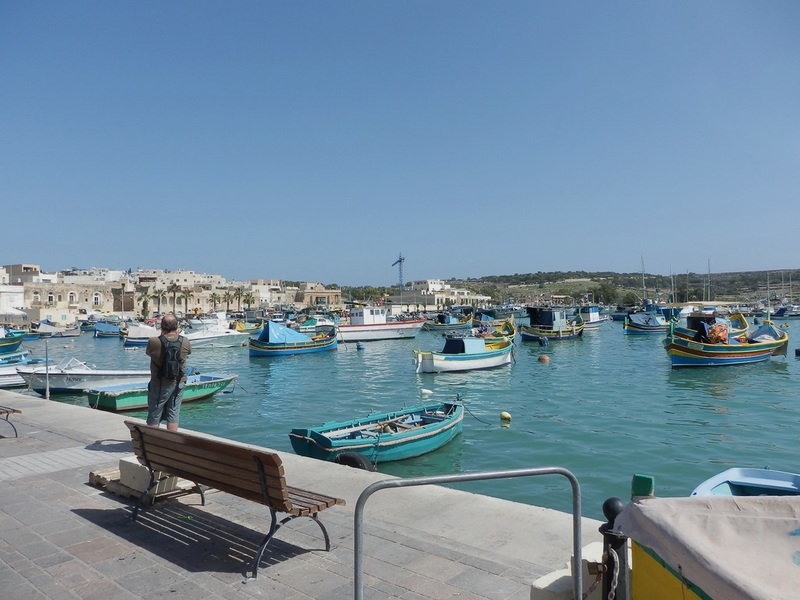 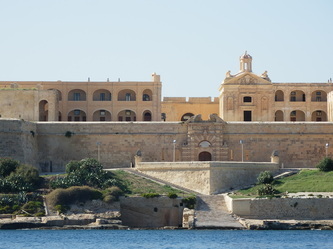 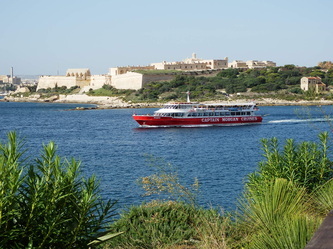 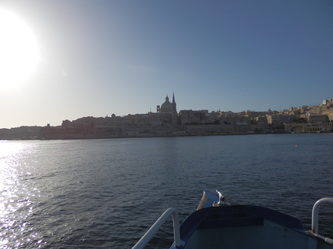 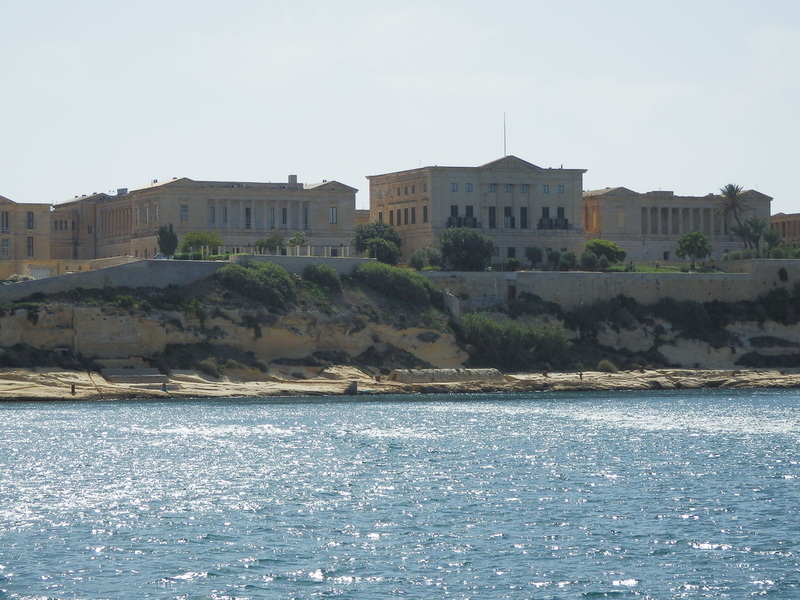 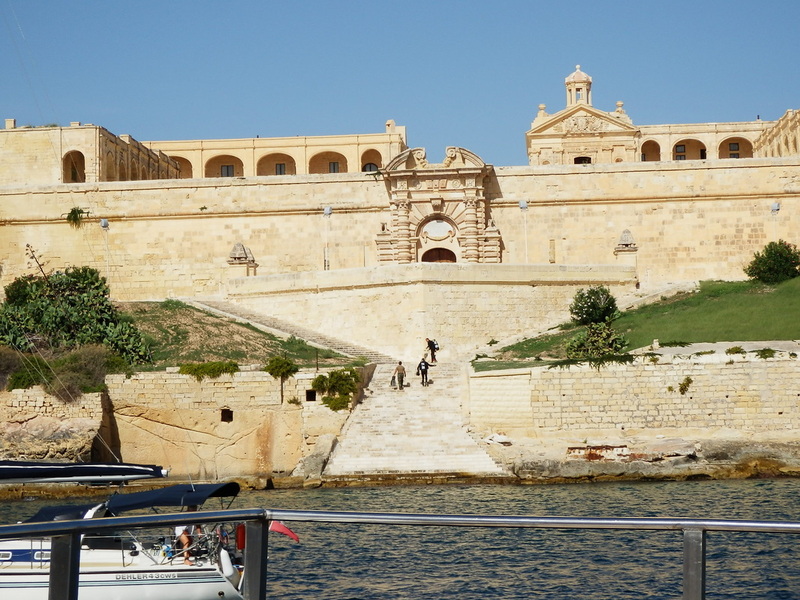 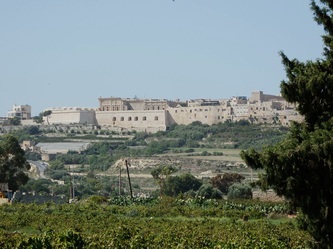 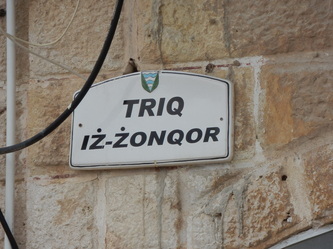 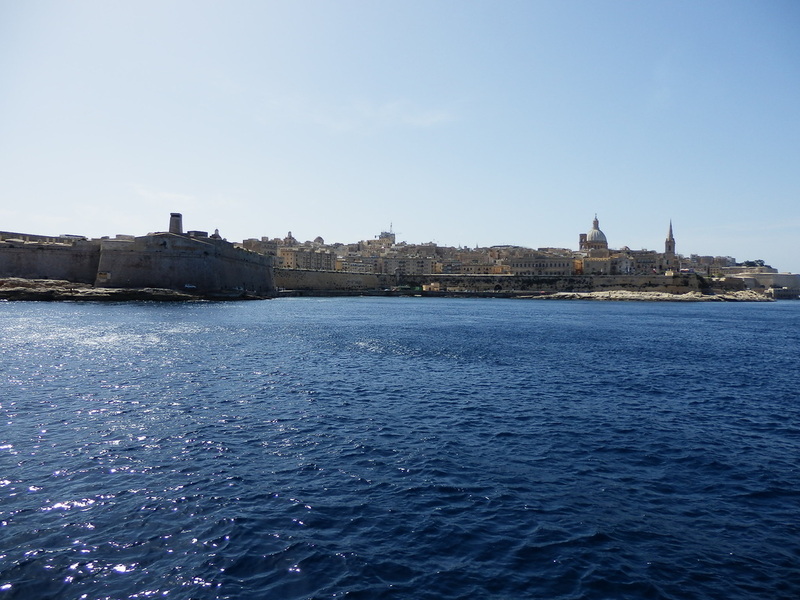 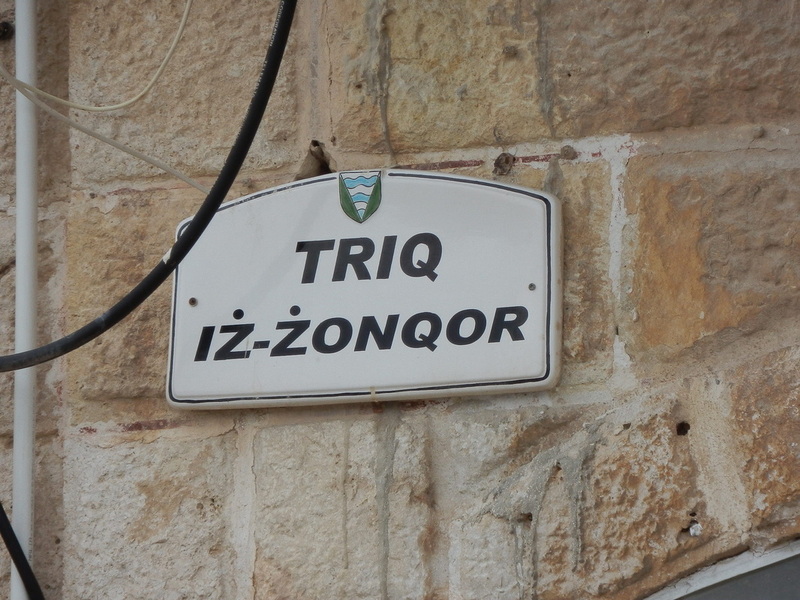 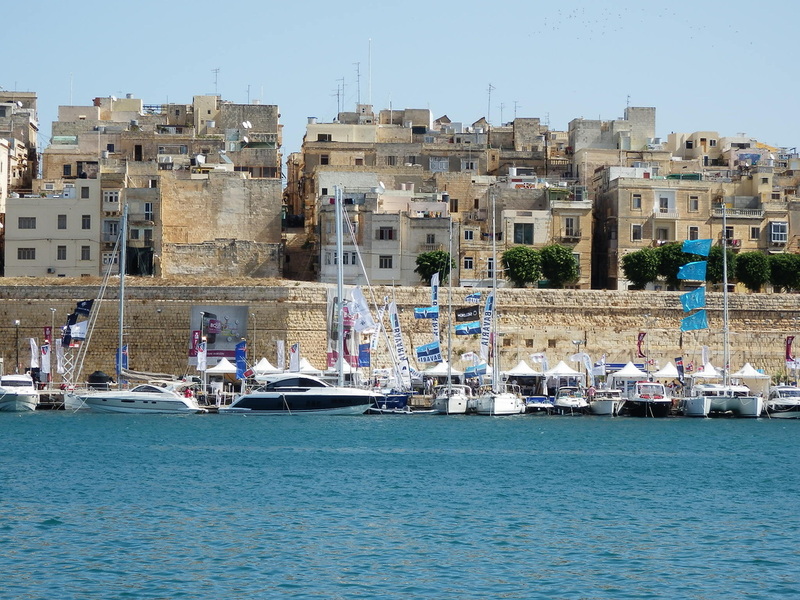 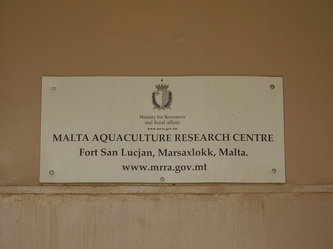 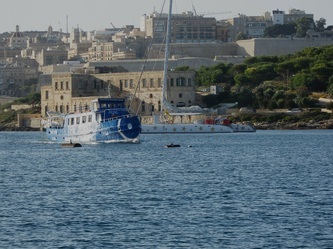 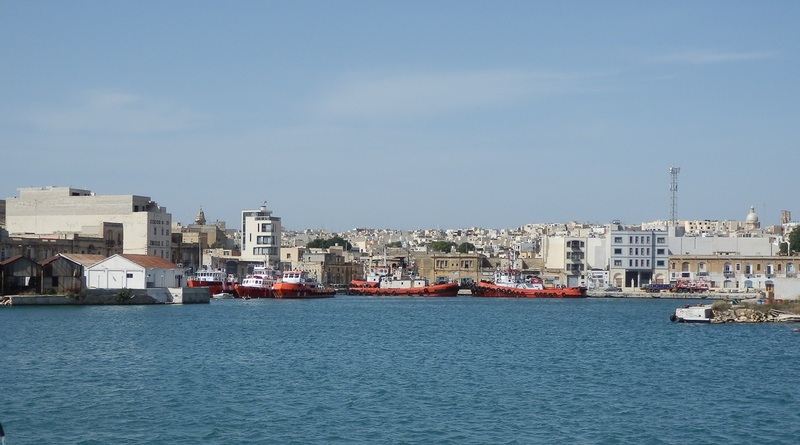 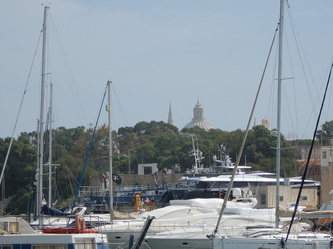 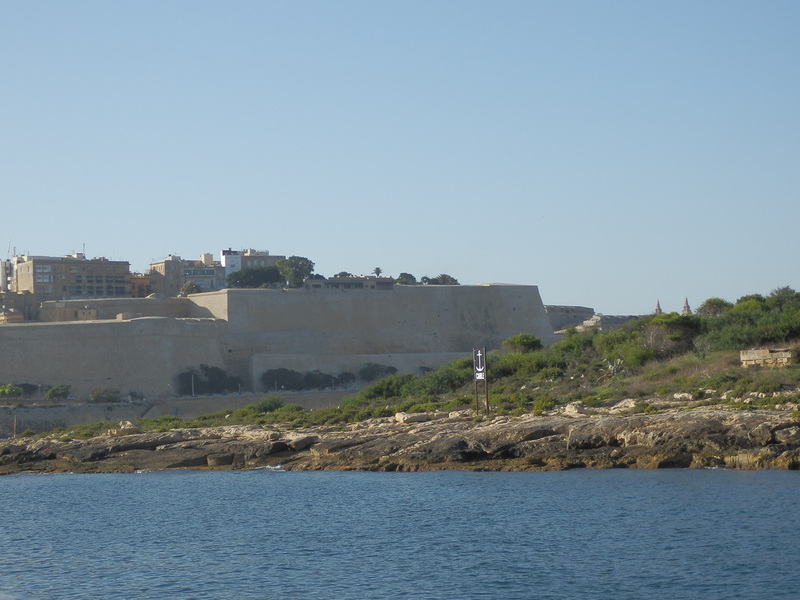 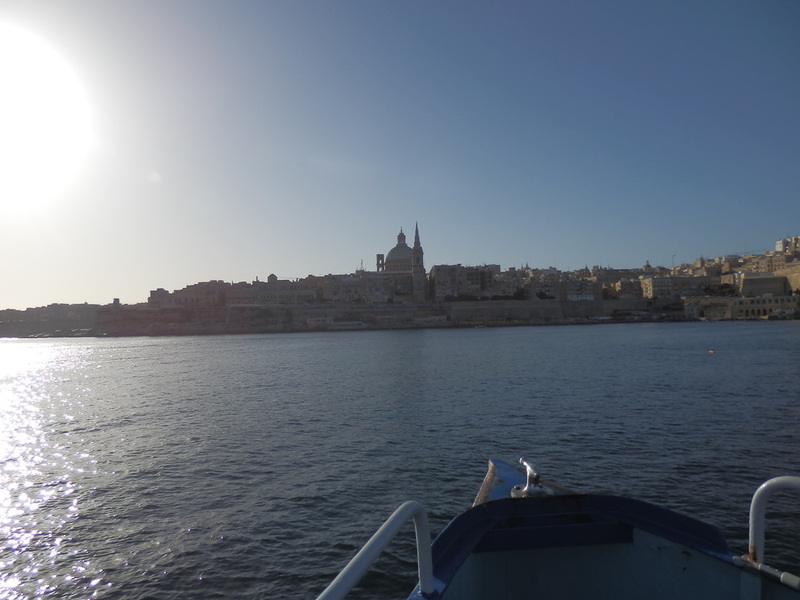 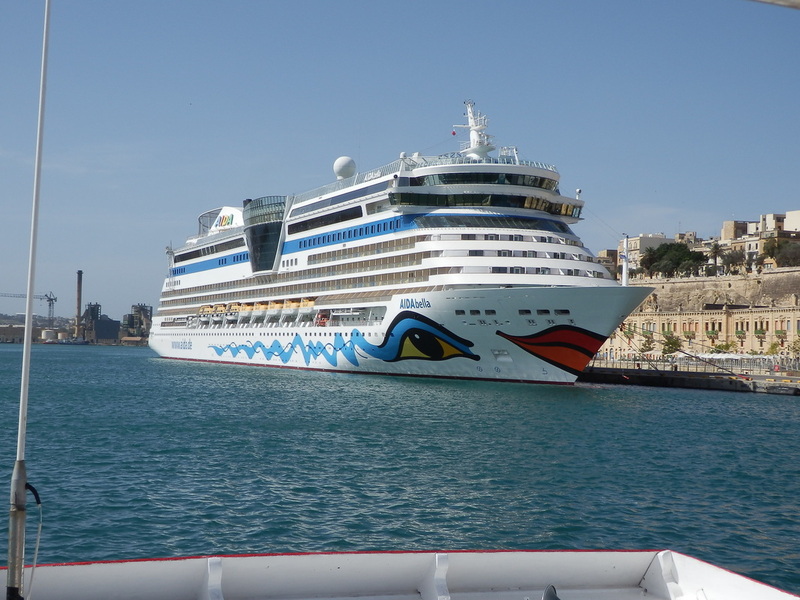 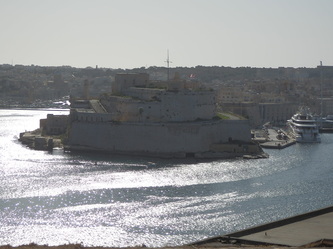 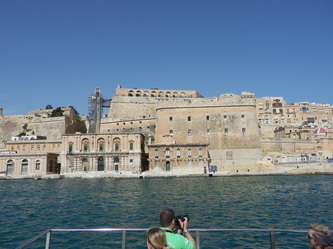 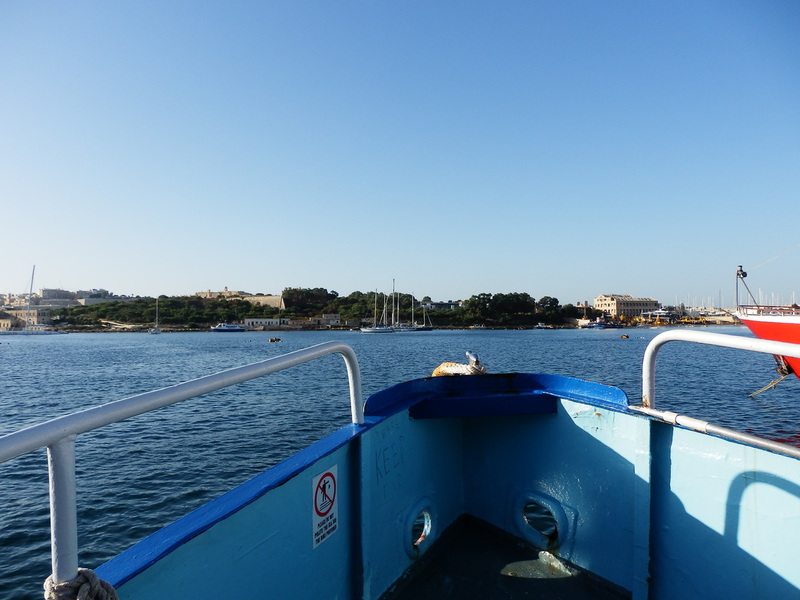 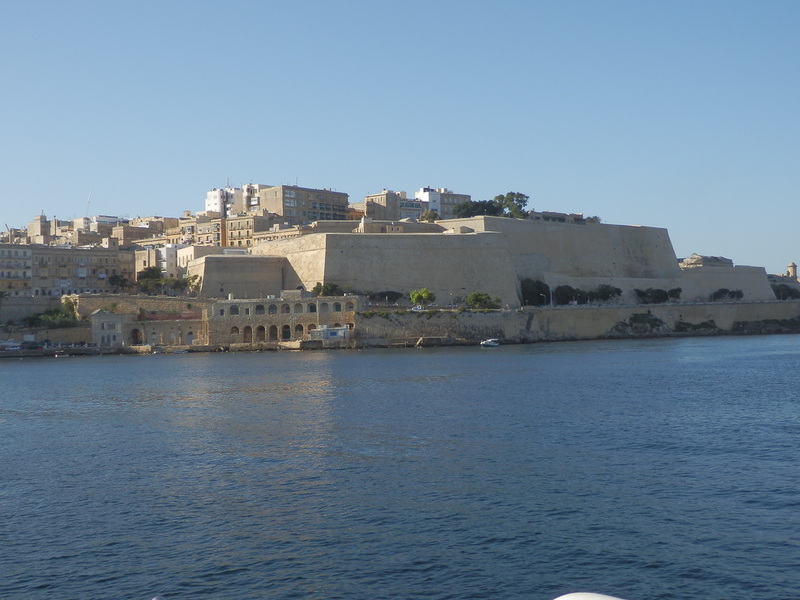 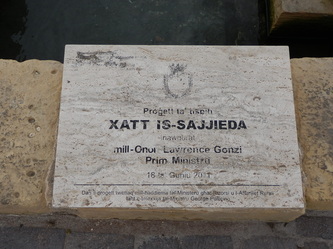 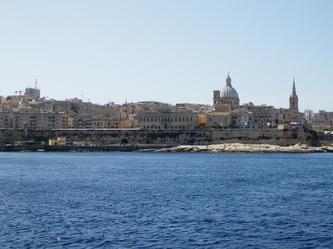 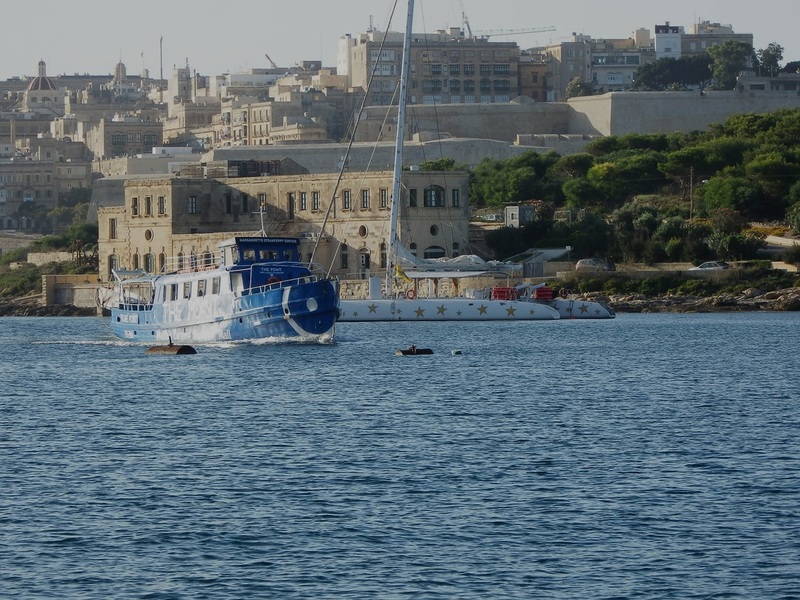 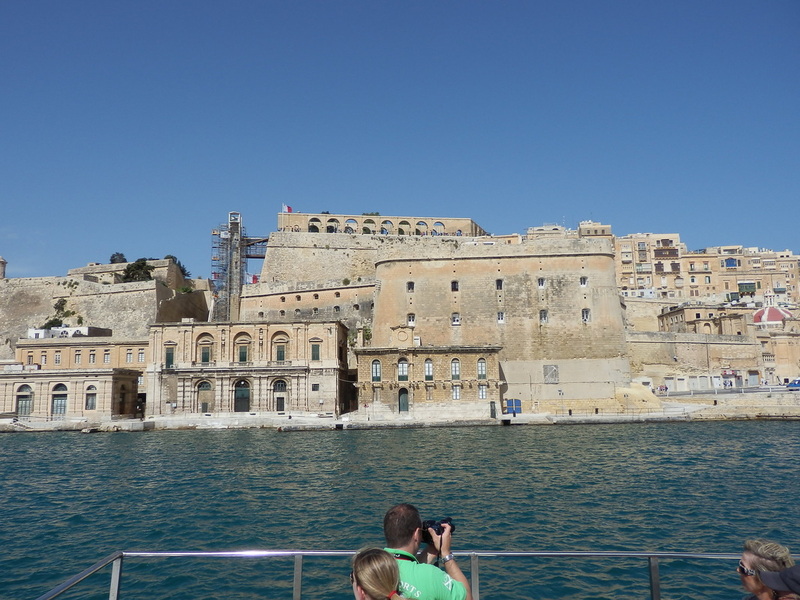 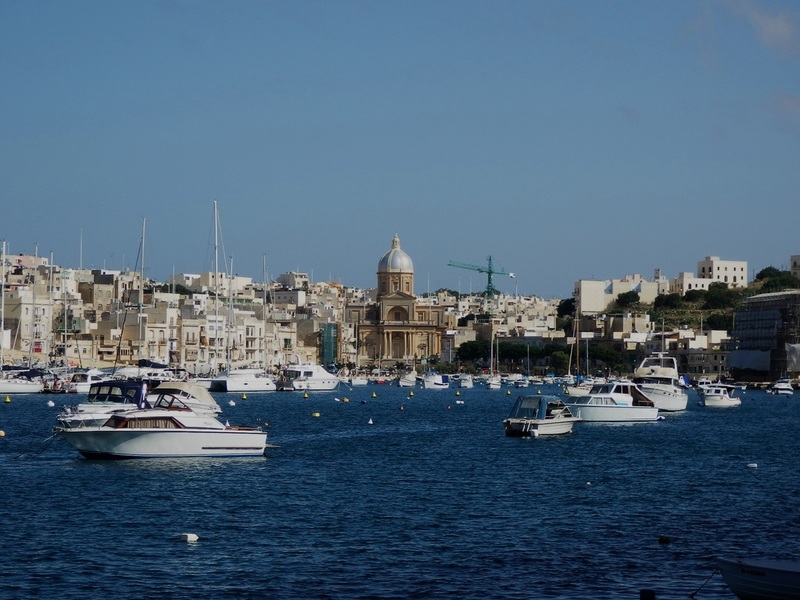 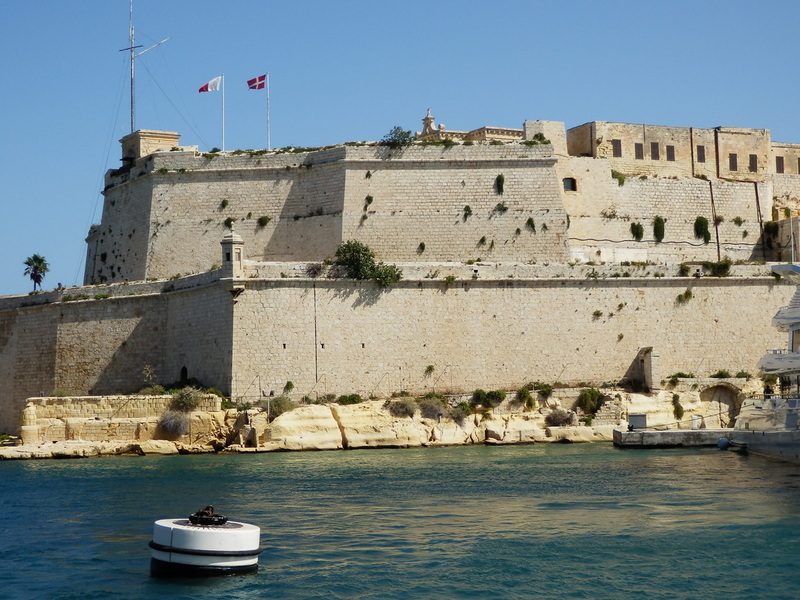 Marsamxett, Valletta, the three cities of Cospicua, Senglea and Vittoriosa, Marsaxlokk, Marsascala, Birzibugga, Zabbar, S;oLuqa. 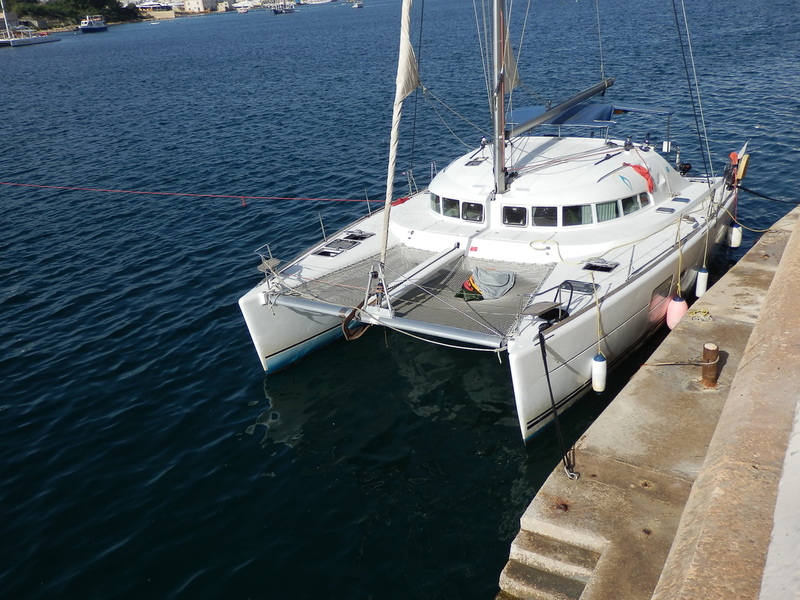 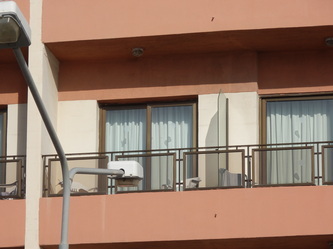 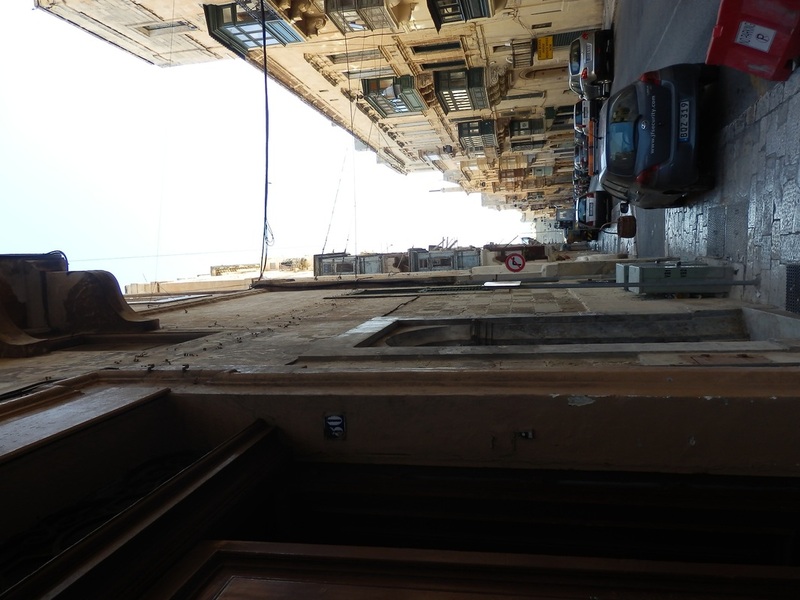 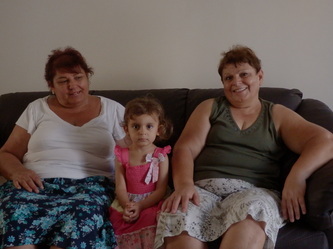 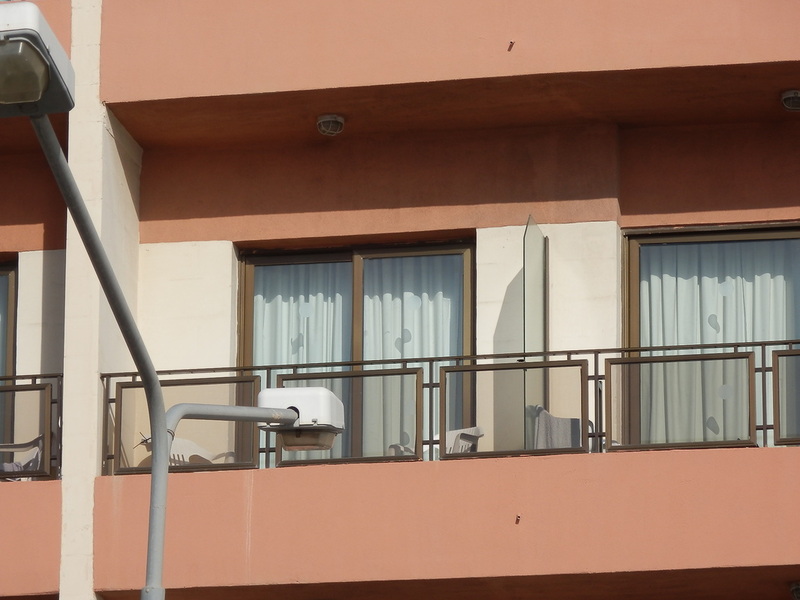 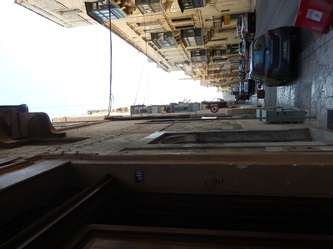 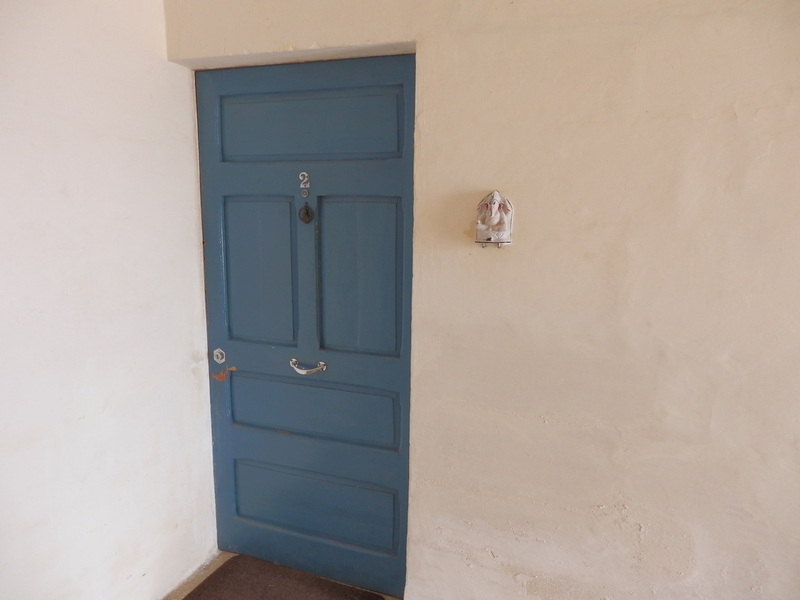 These photos are of a flat in Birzibugga, right in the centre above the 'Power Bar' which used to be the Fog Lamp. 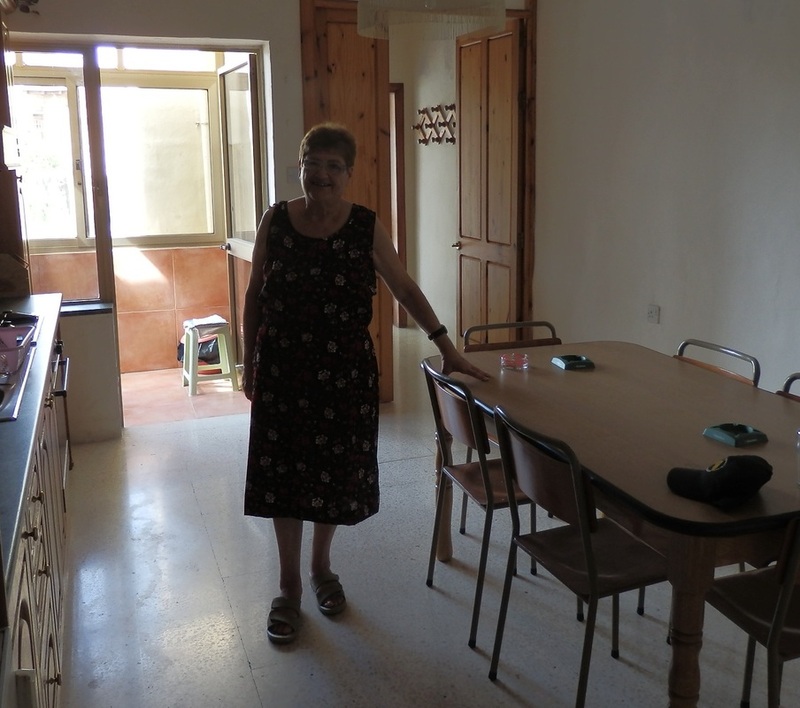 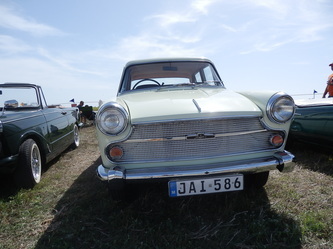 It is run by Moira, who used to own the Fog Lamp with her mother. 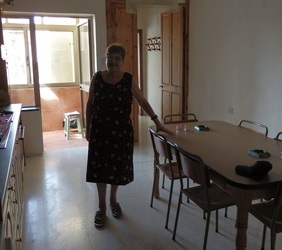 It wasn't prepared for photographs, she wasn't expecting me, so probably not looking it's best in these photos but with bedding etc. I'm sure it's ok for a week or two and a lot cheaper than many hotels. 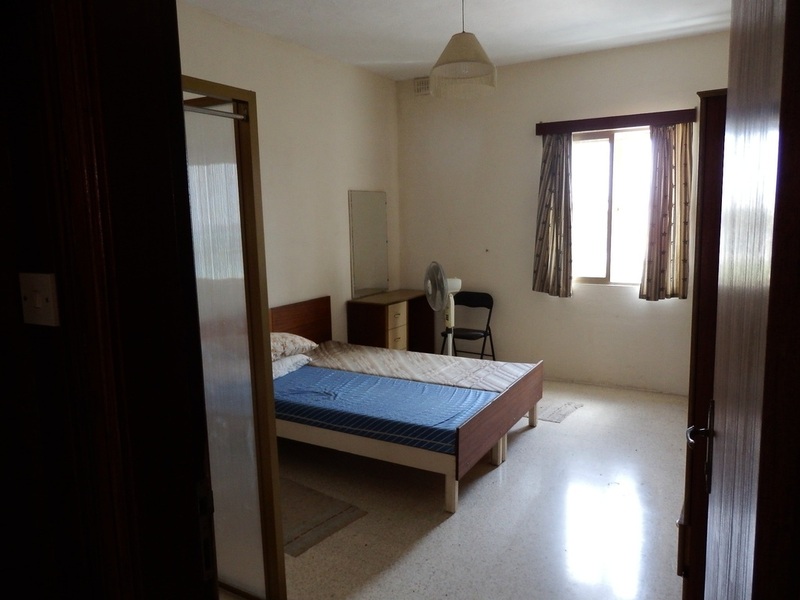 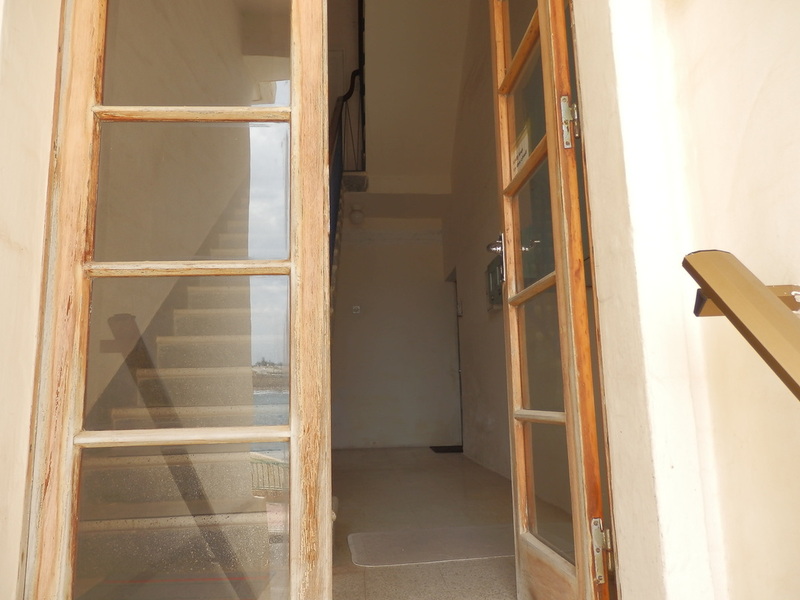 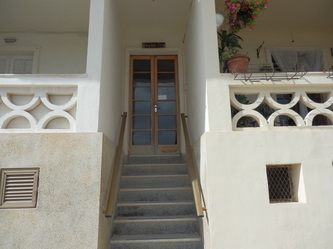 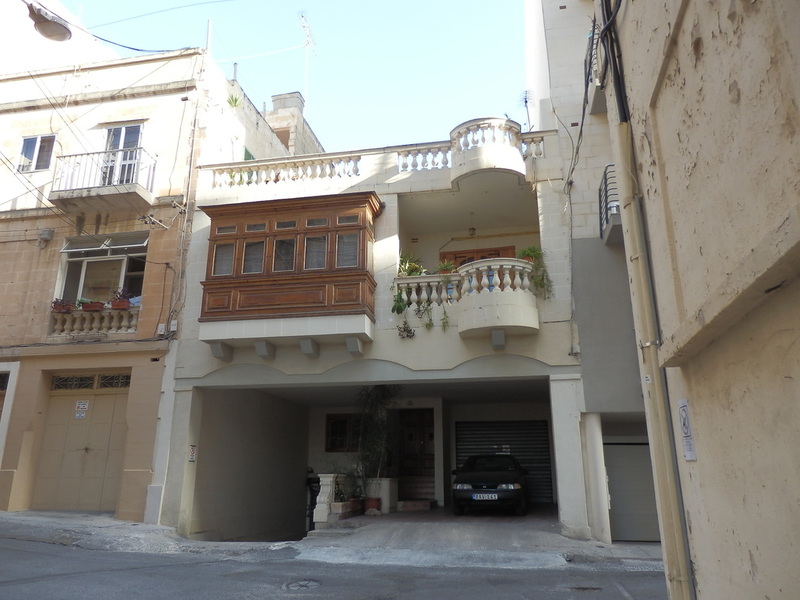 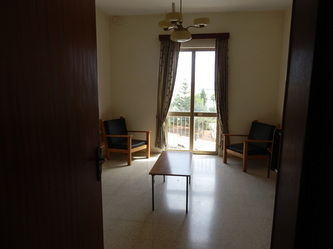 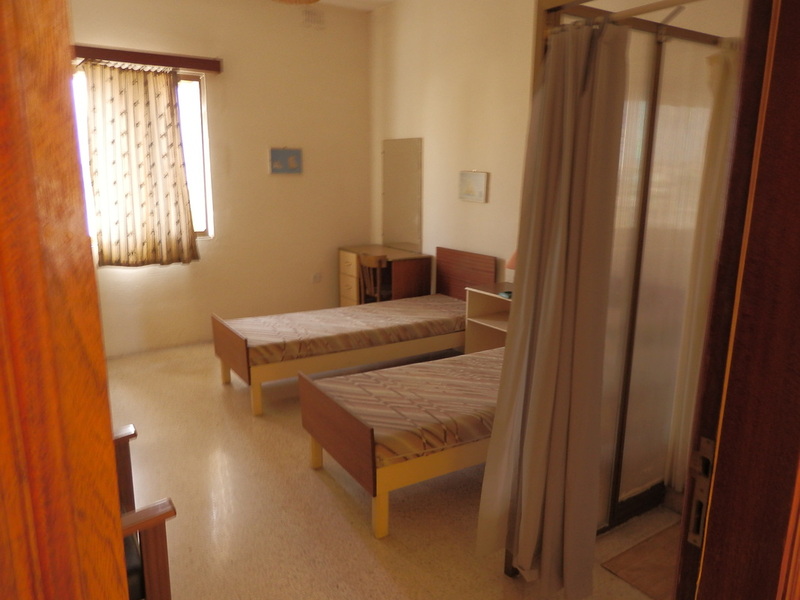 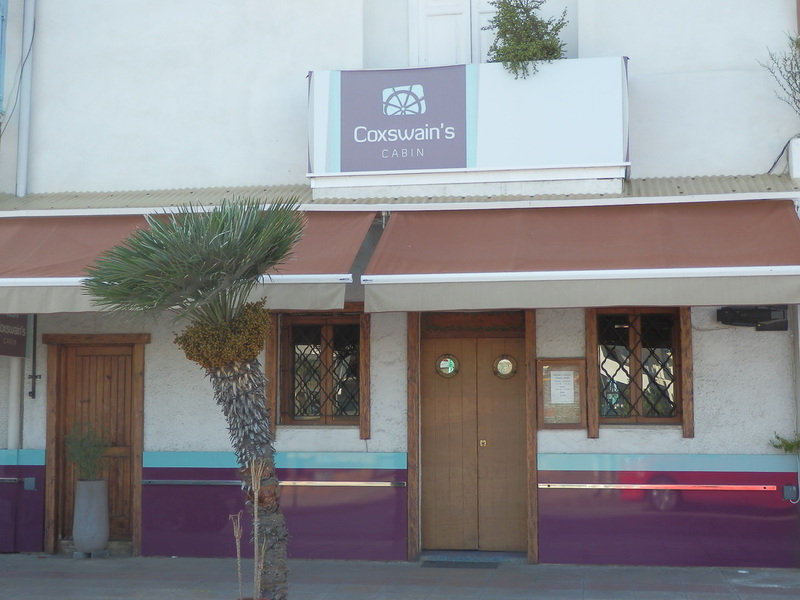 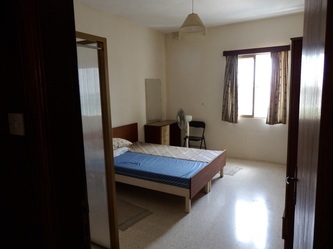 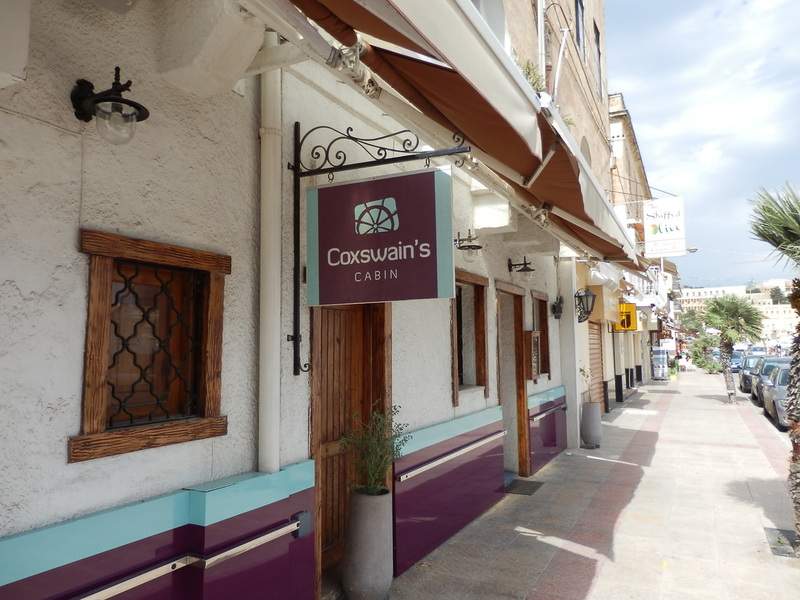 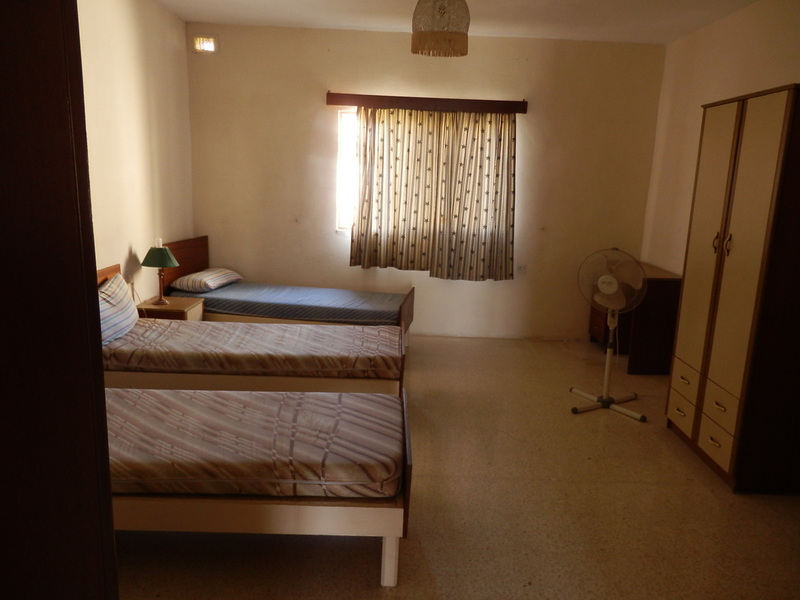 Flat - Self contained with a nice clean kitchen, living area and two double bedrooms. 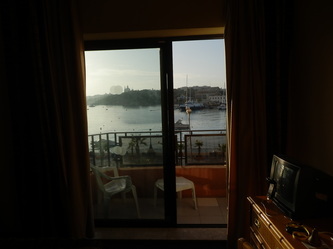 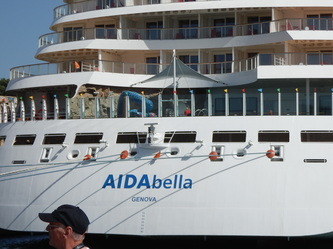 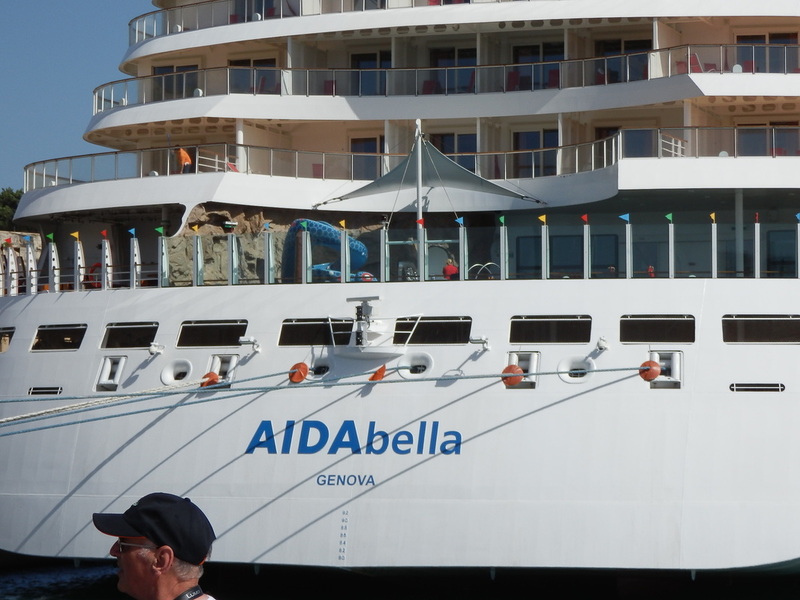 Her room rate is only 12 Euros per night per person. 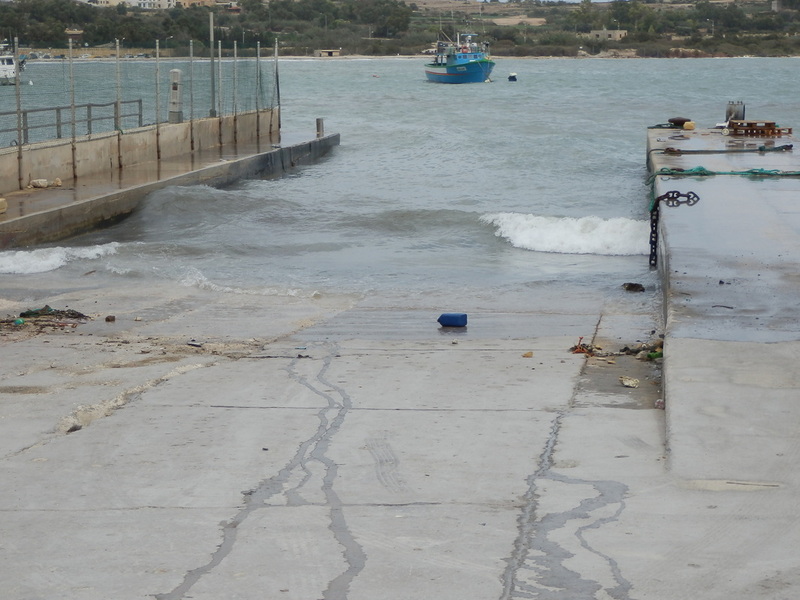 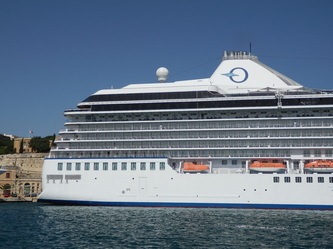 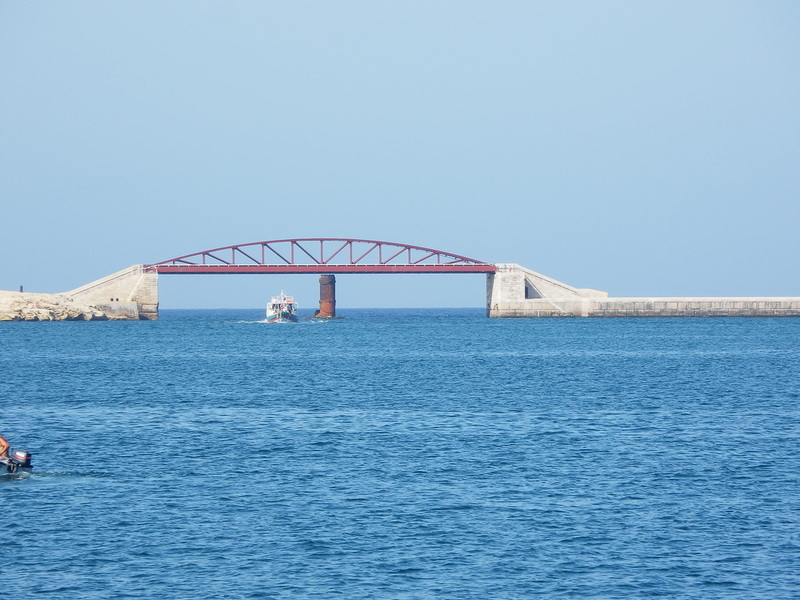 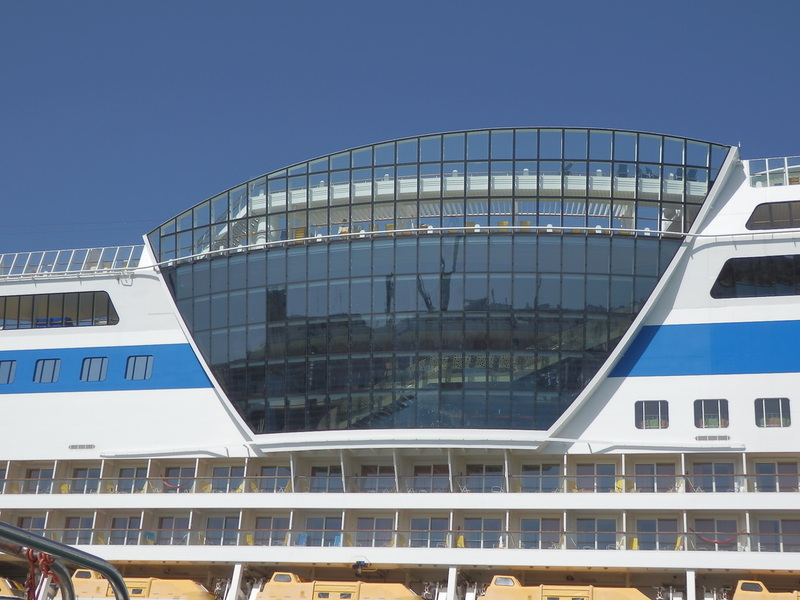 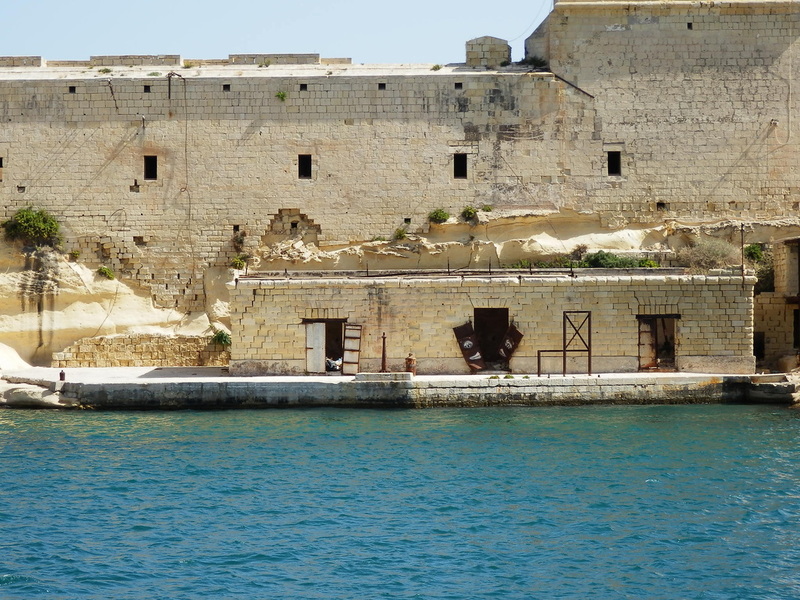 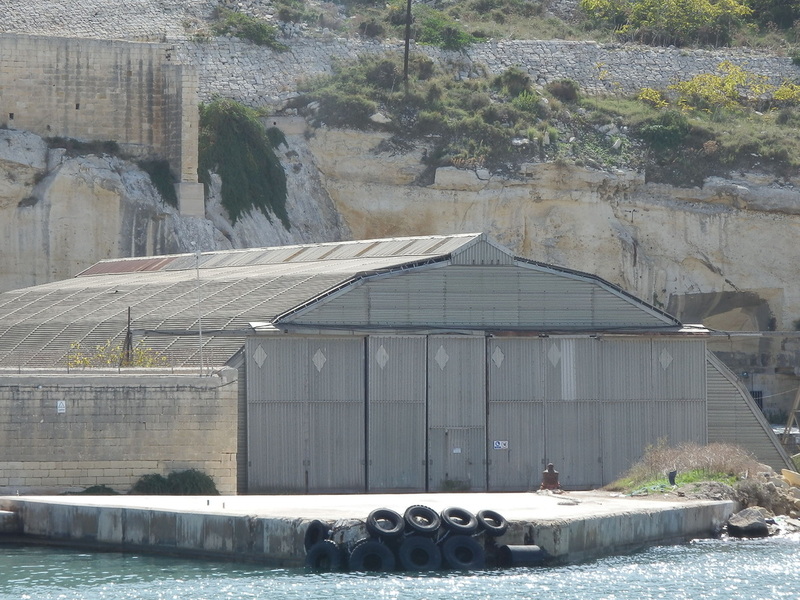 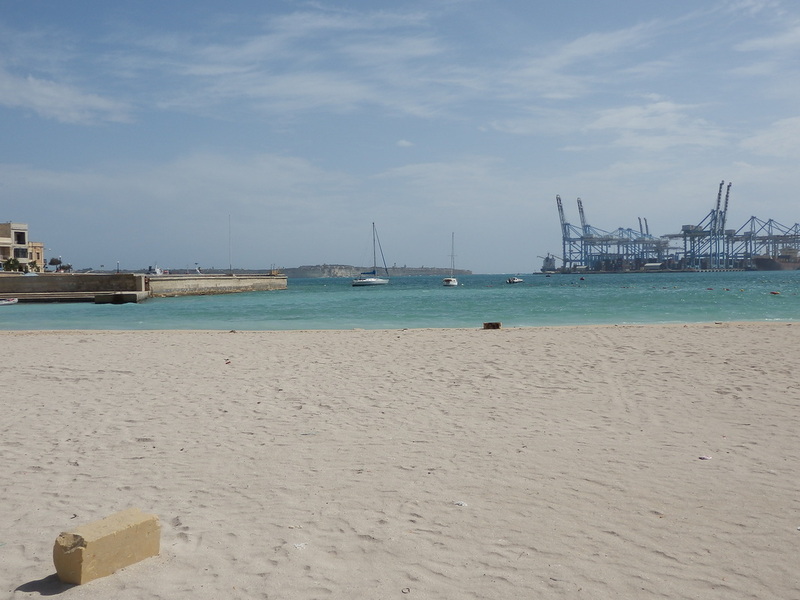 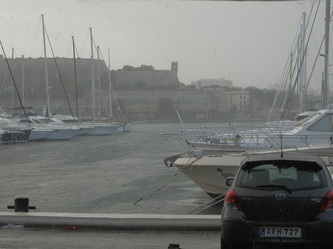 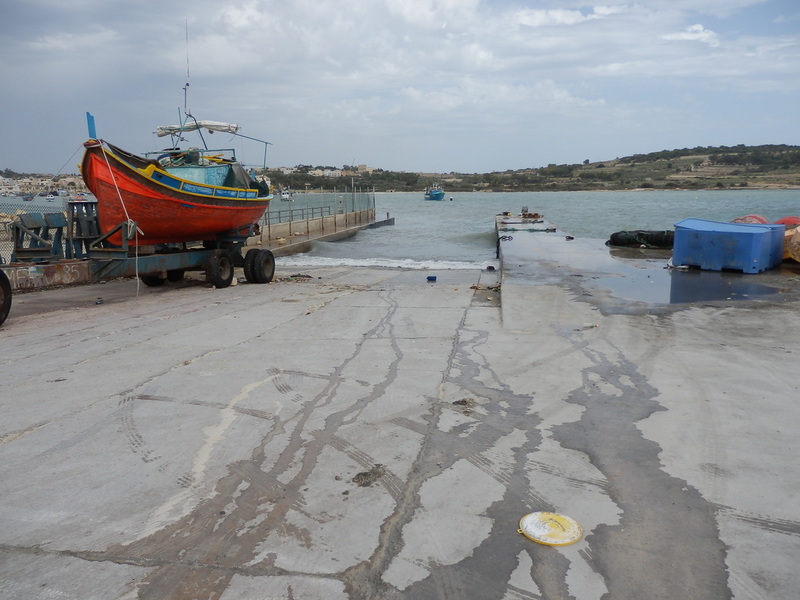 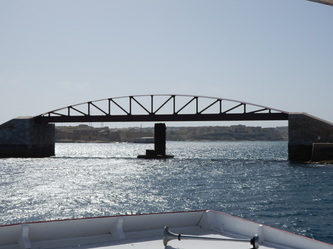 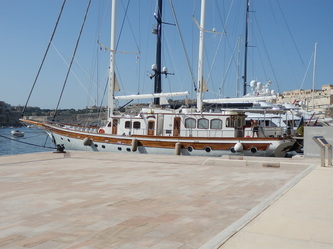 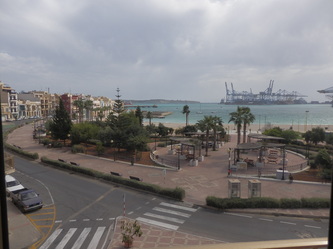 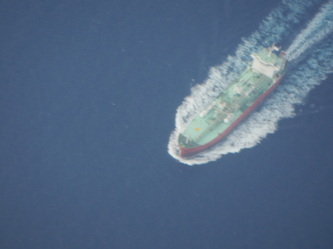 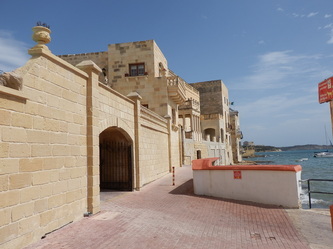 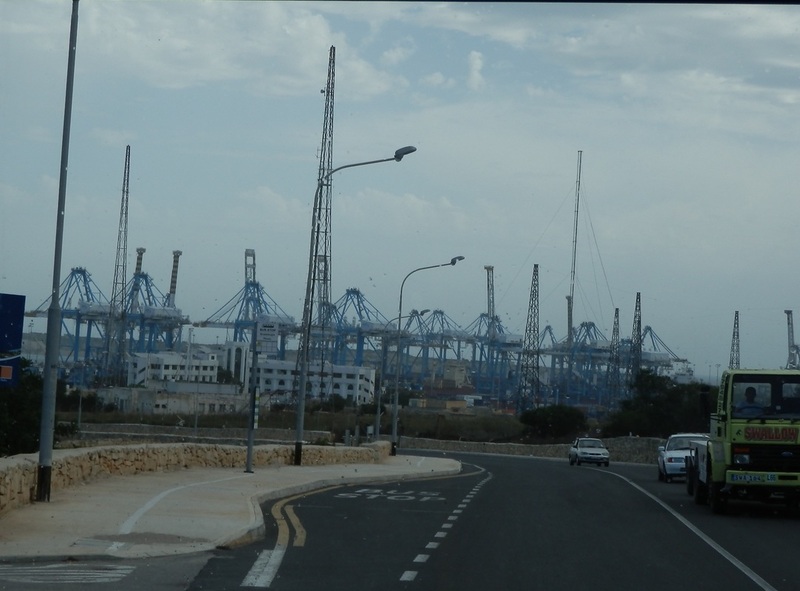 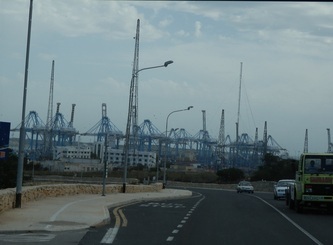 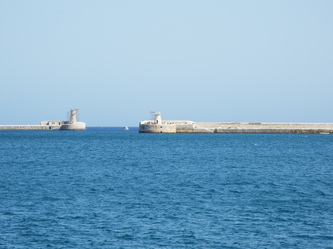 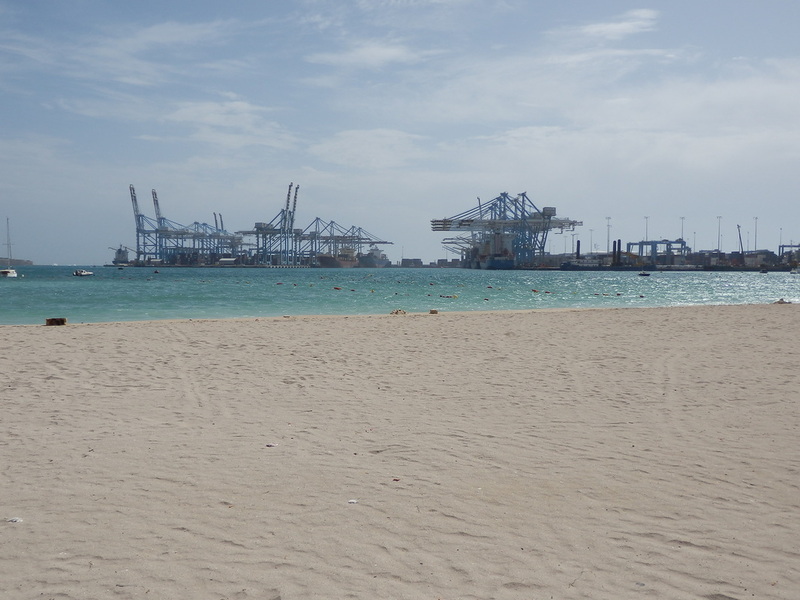 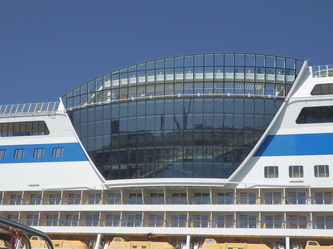 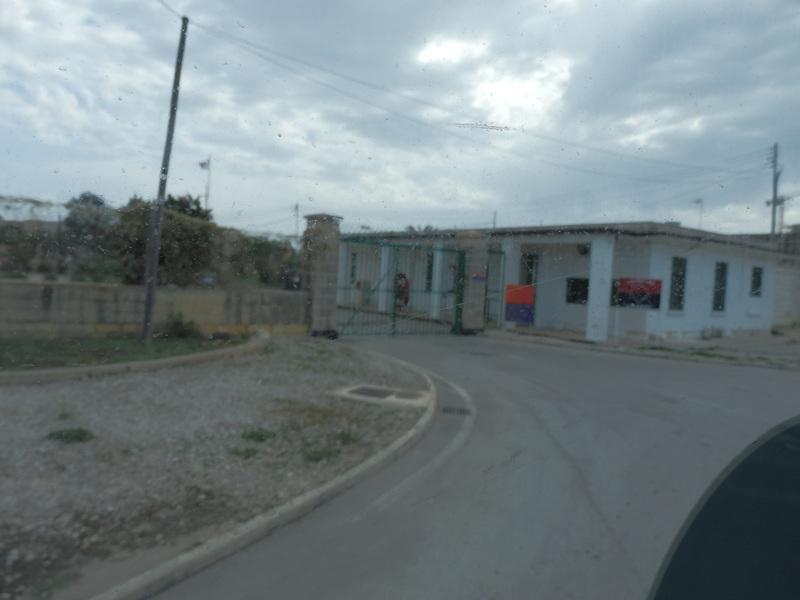 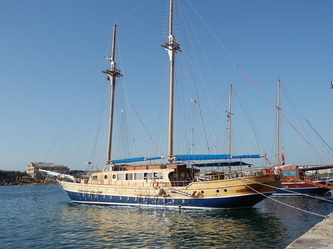 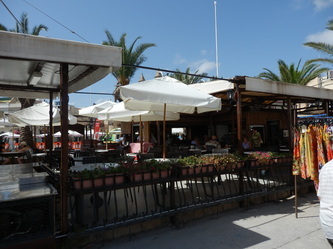 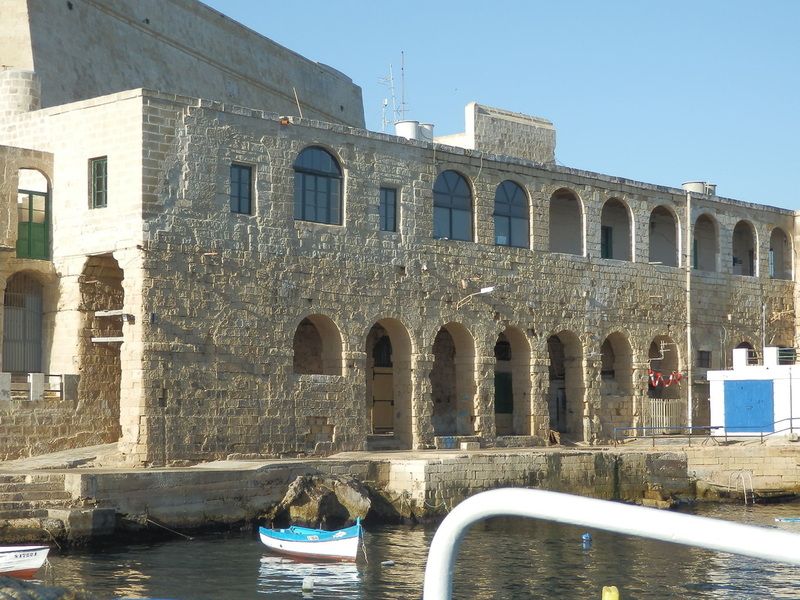 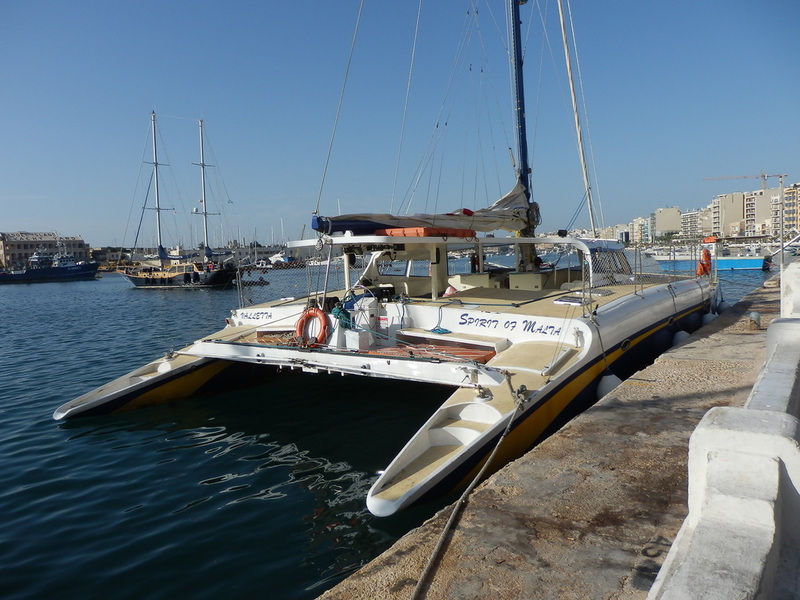 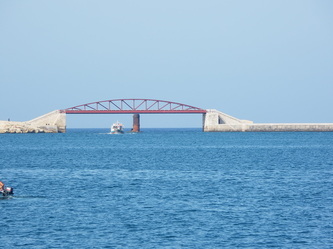 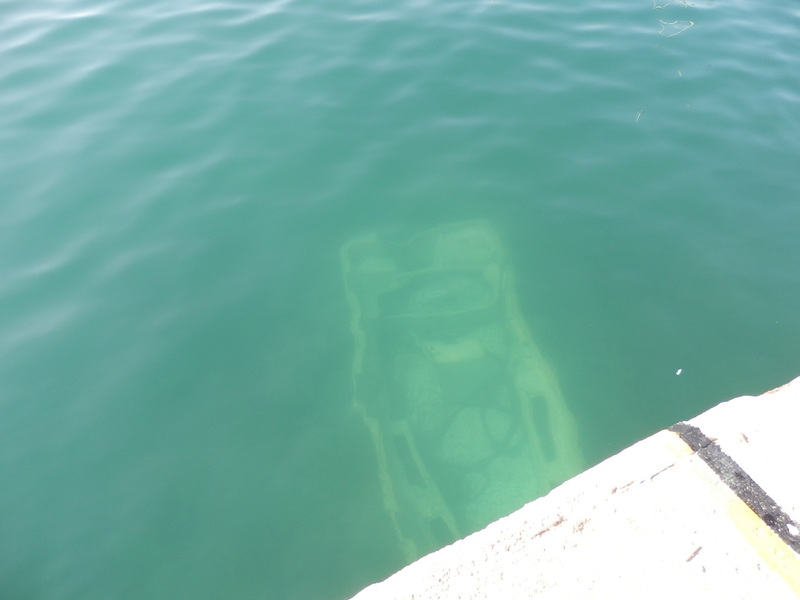 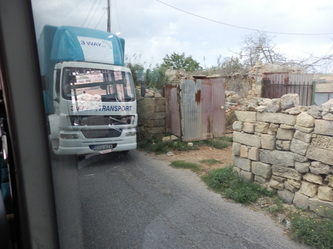 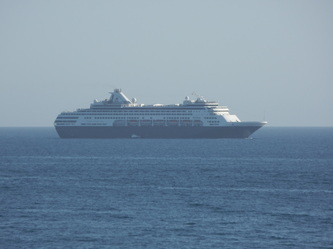 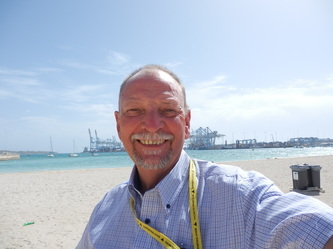 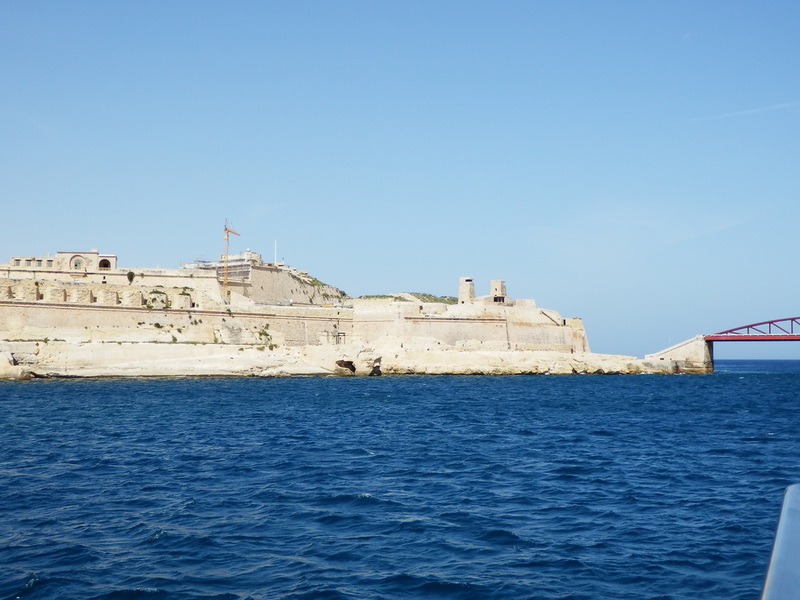 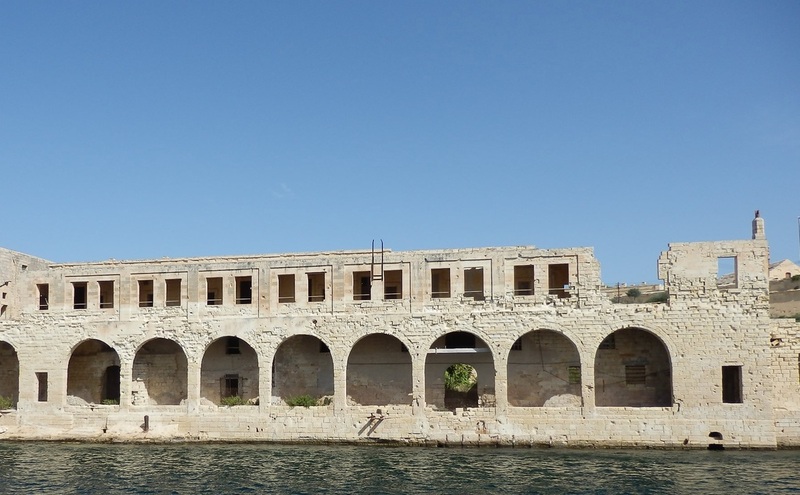 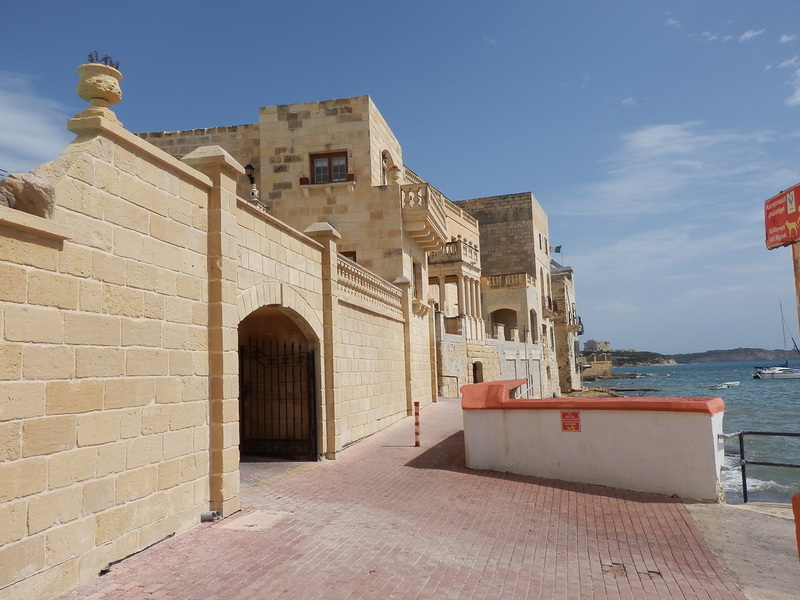 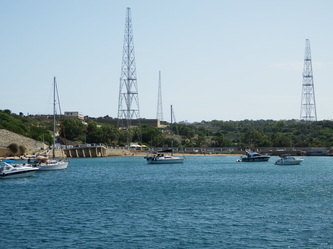 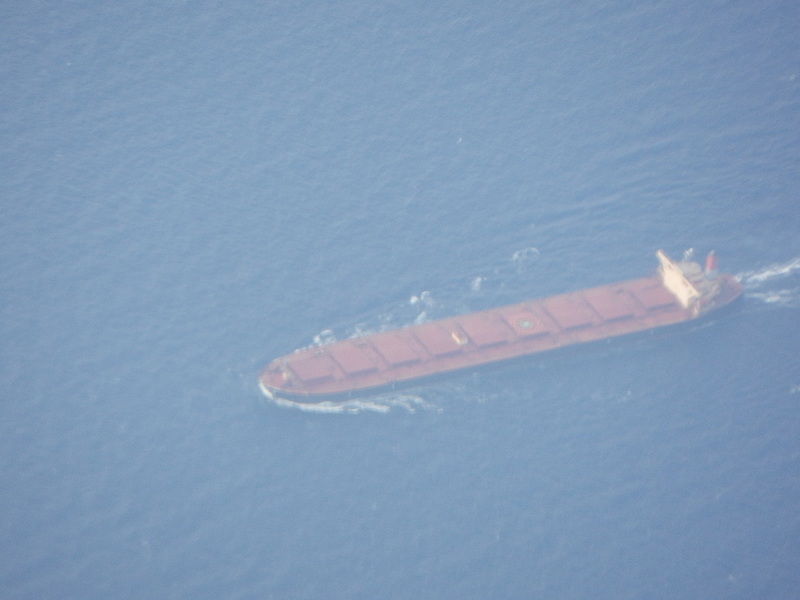 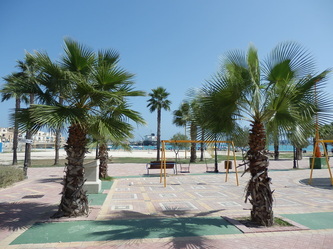 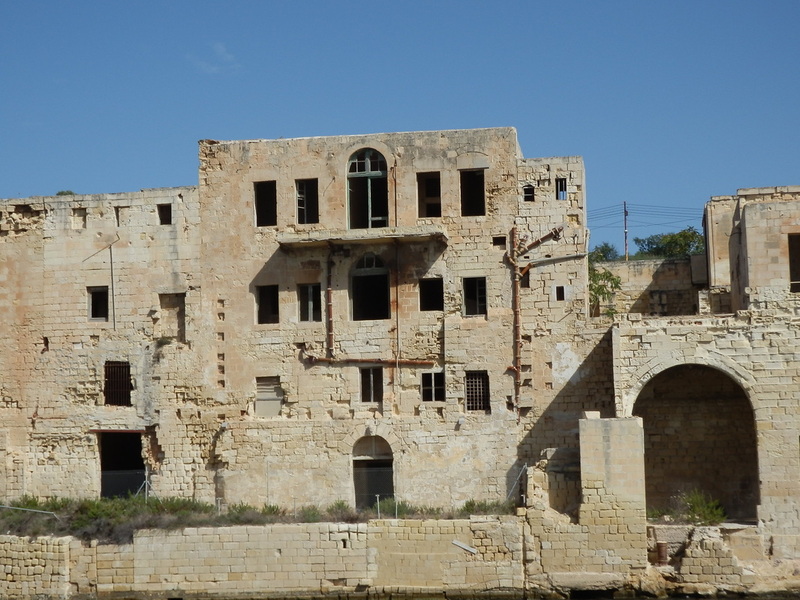 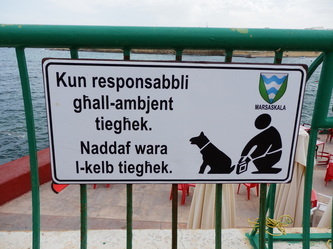 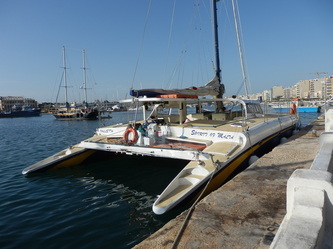 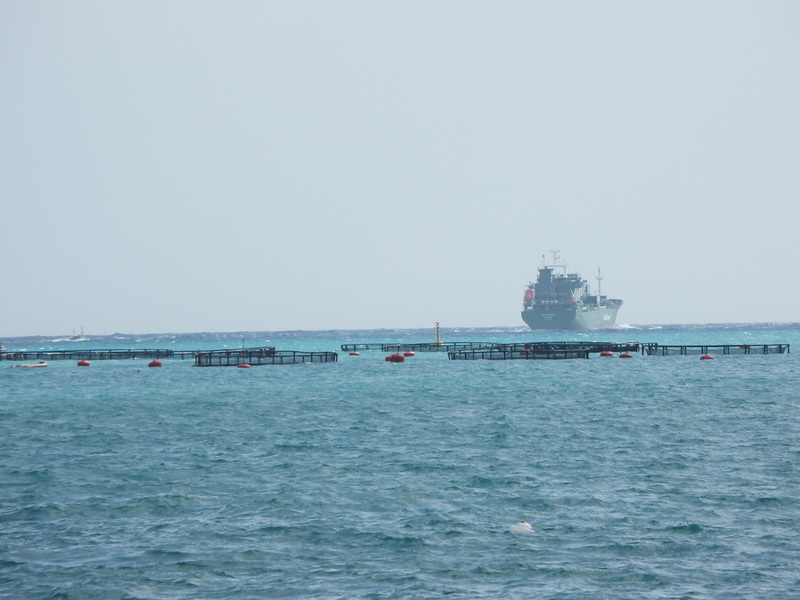 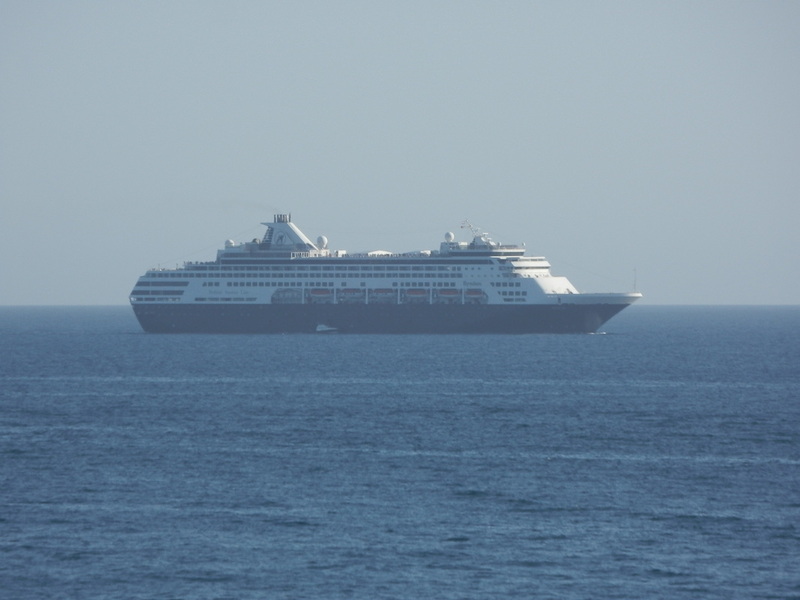 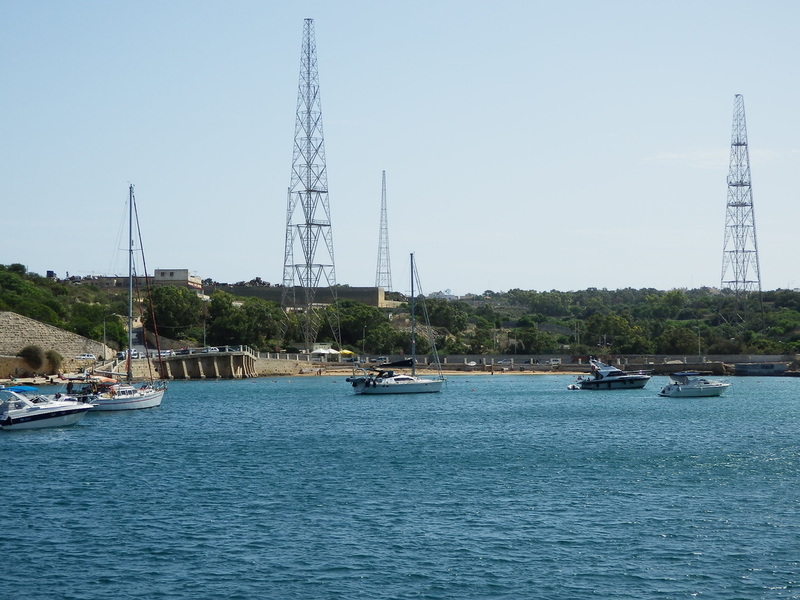 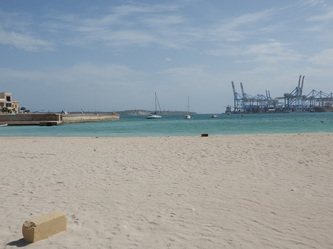 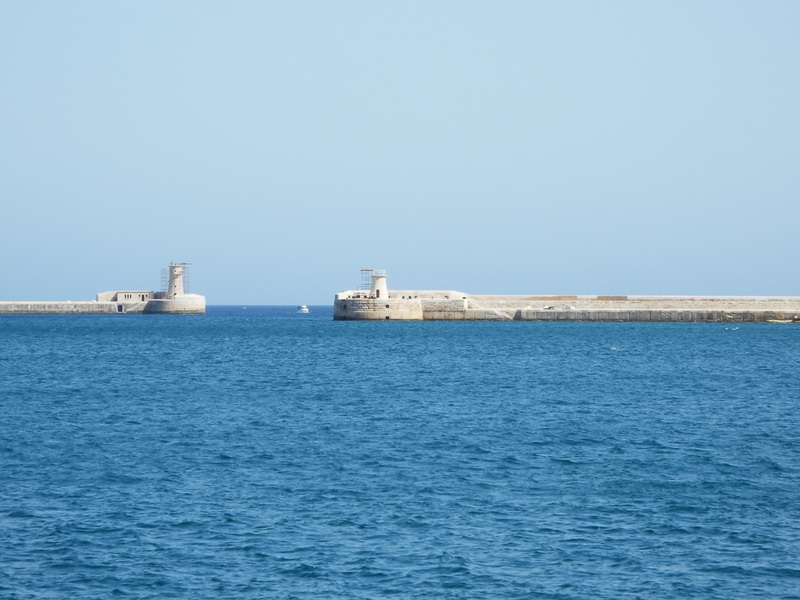 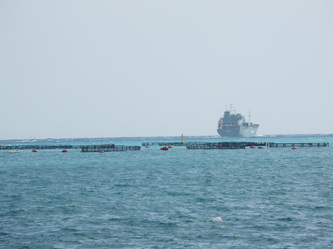 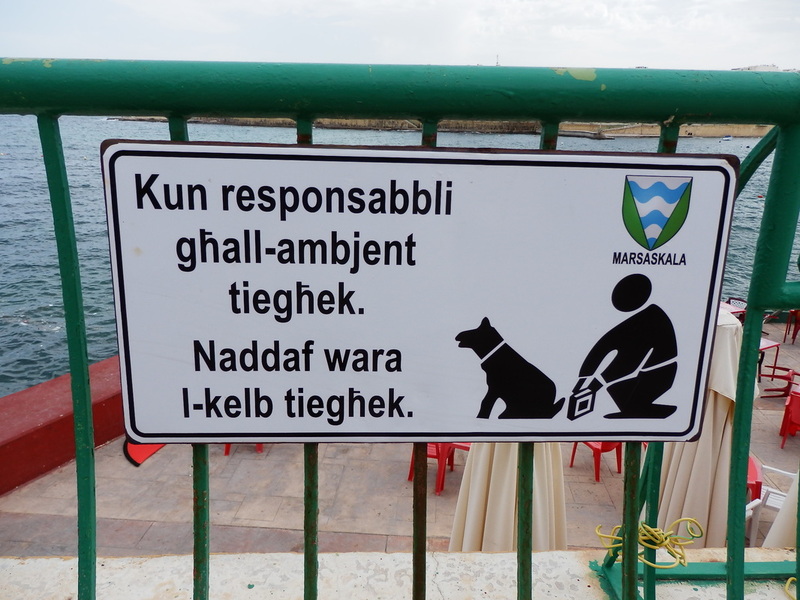 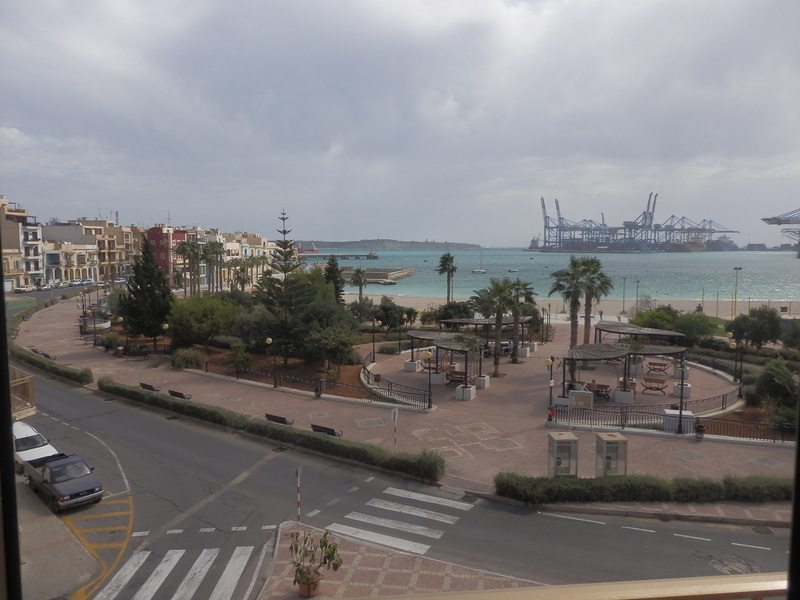 I've included some views of Birzibbugia and, as you can see, there is a large Free Port located there now. 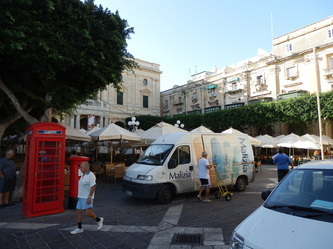 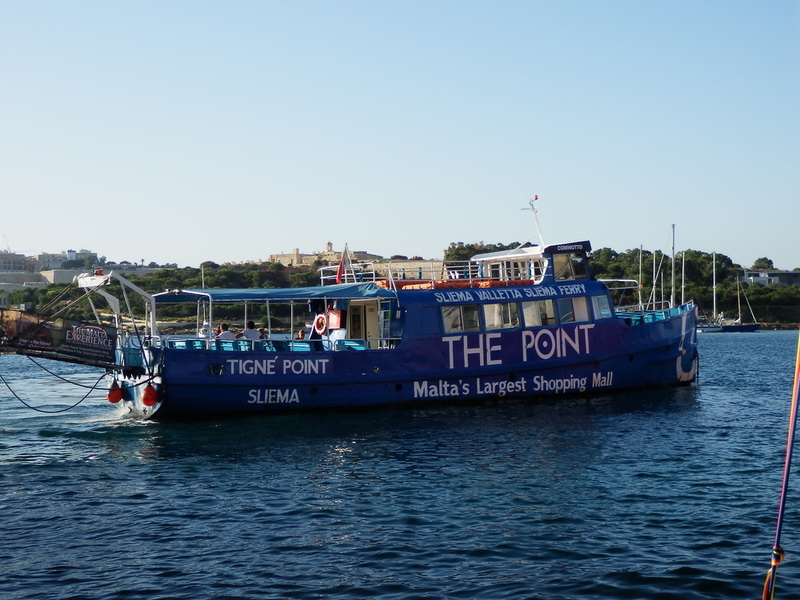 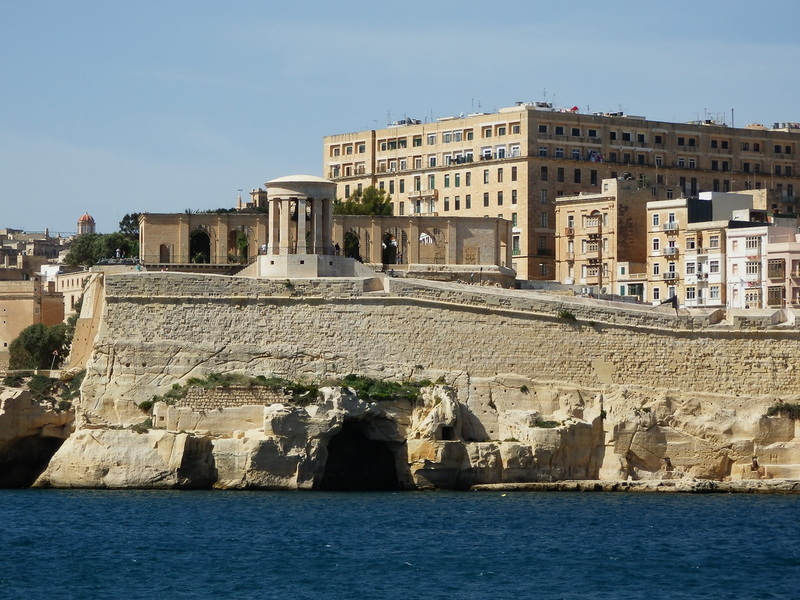 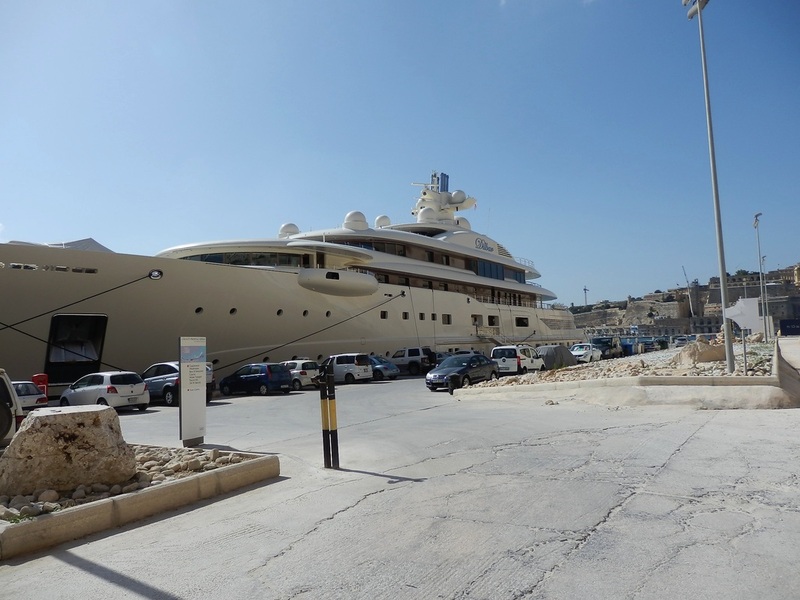 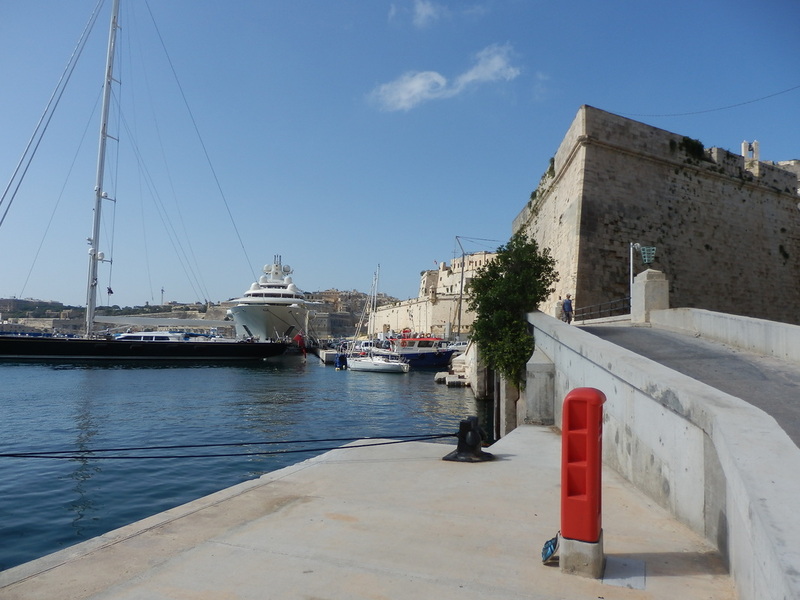 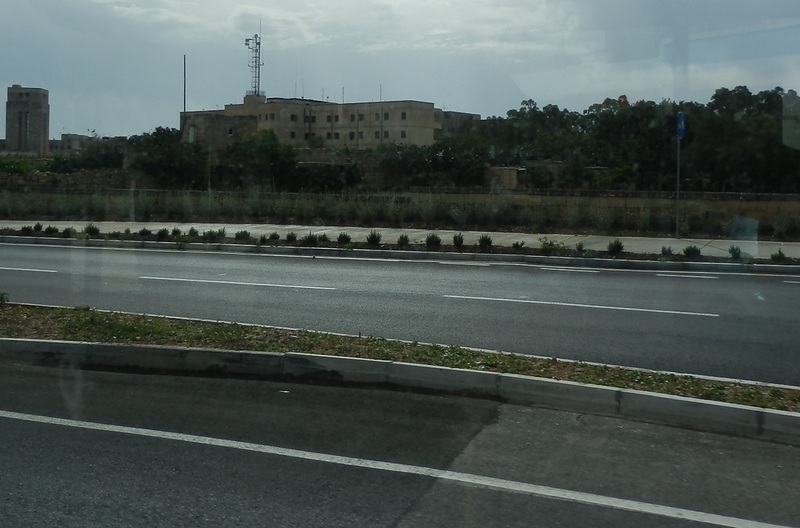 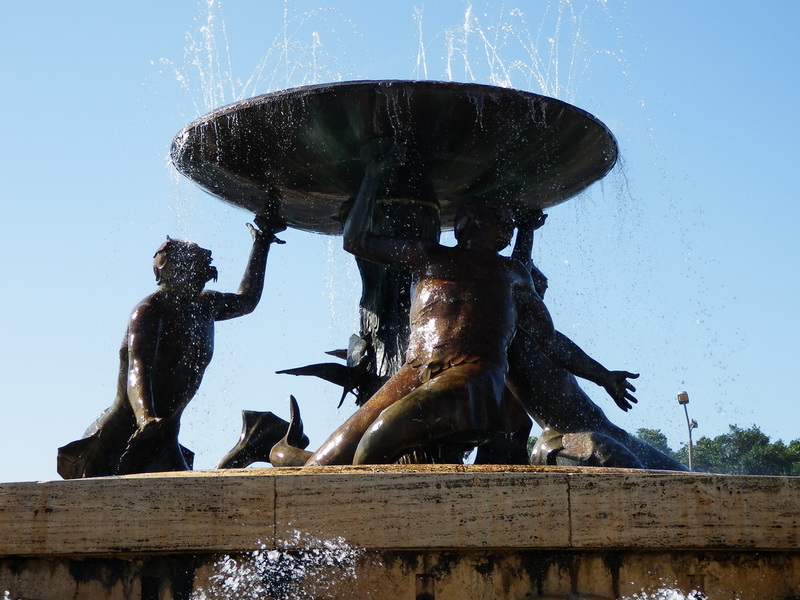 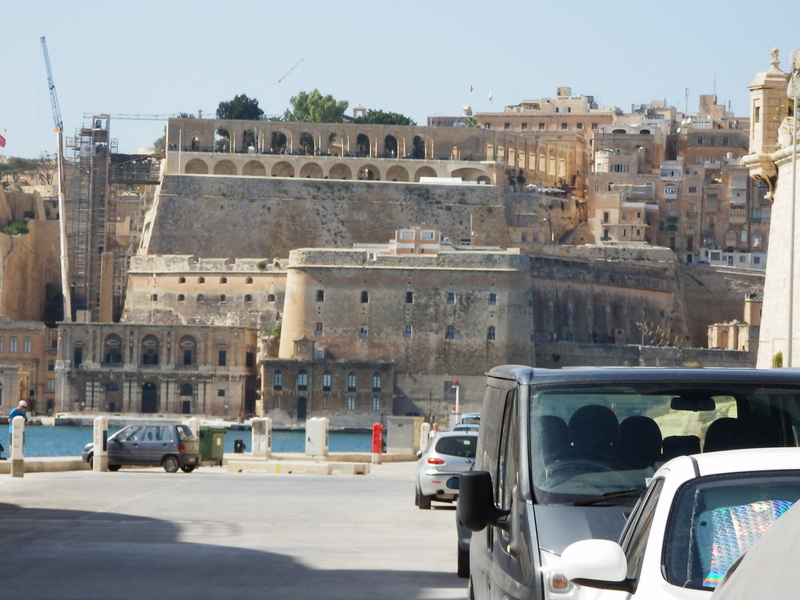 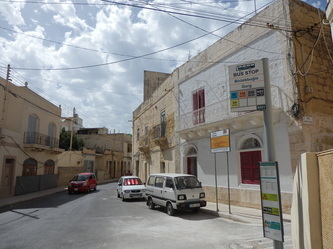 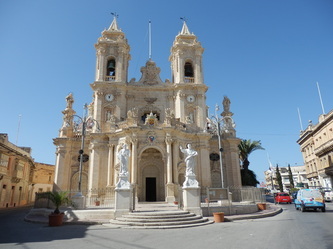 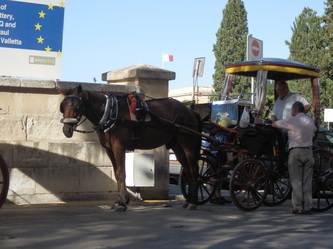 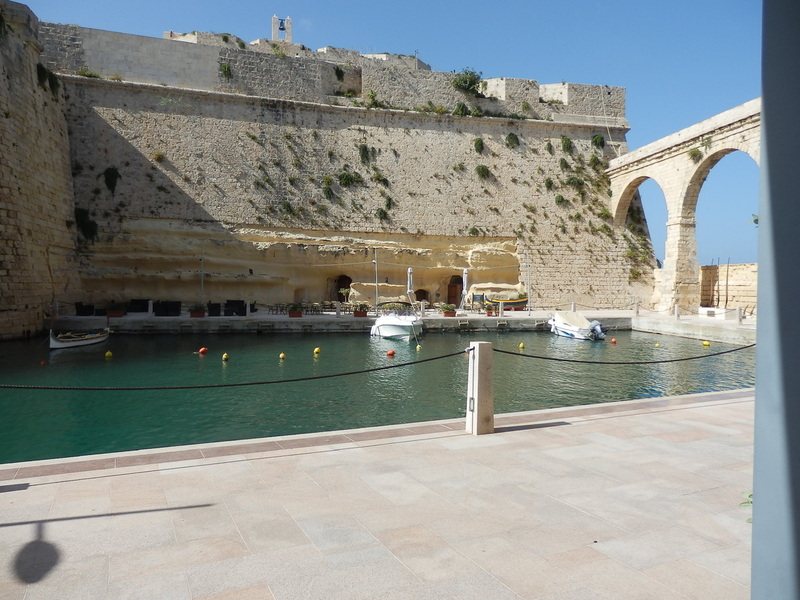 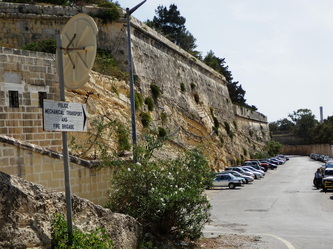 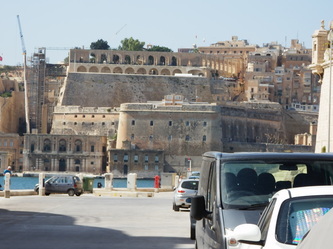 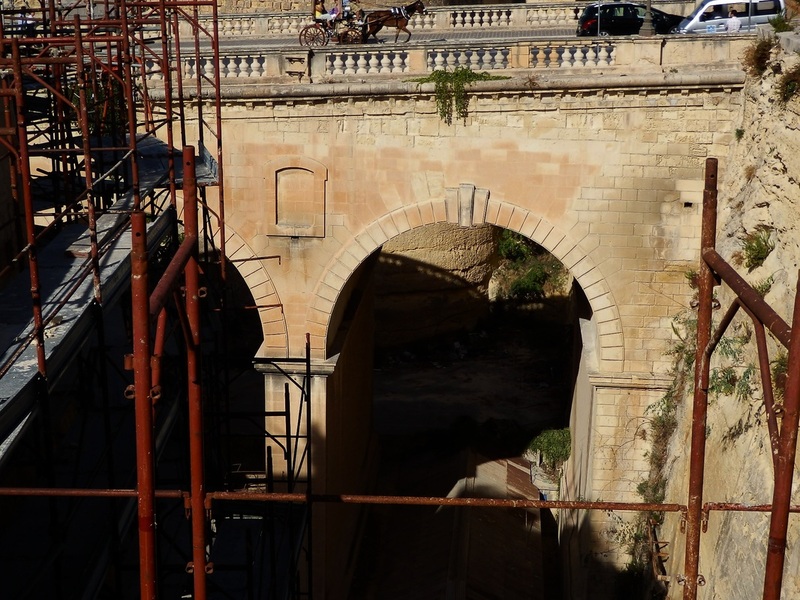 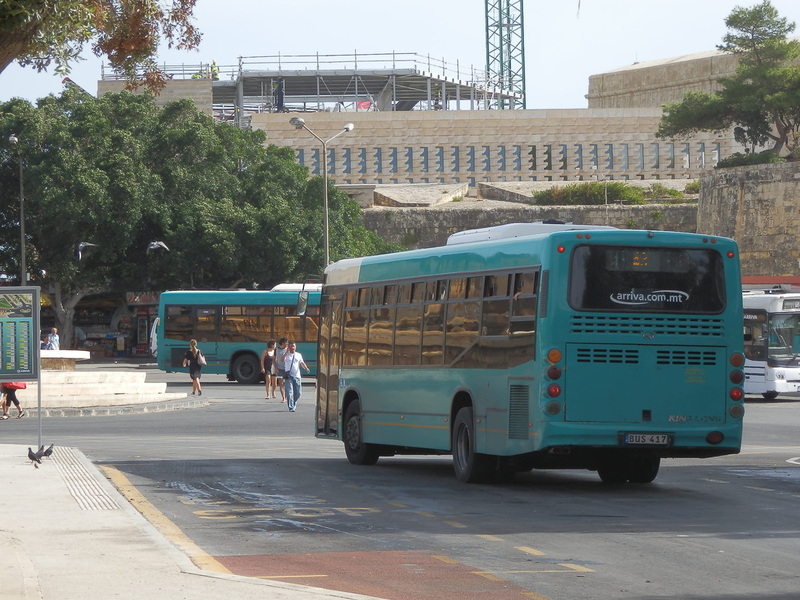 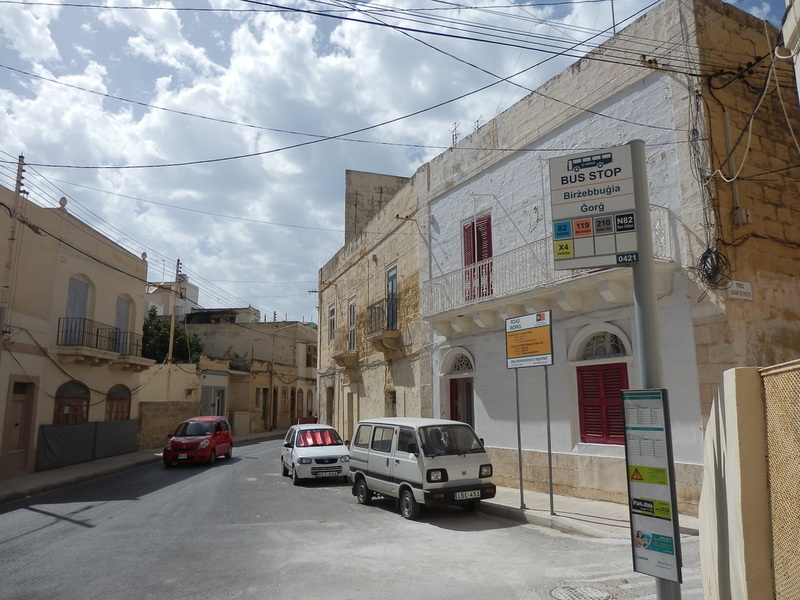 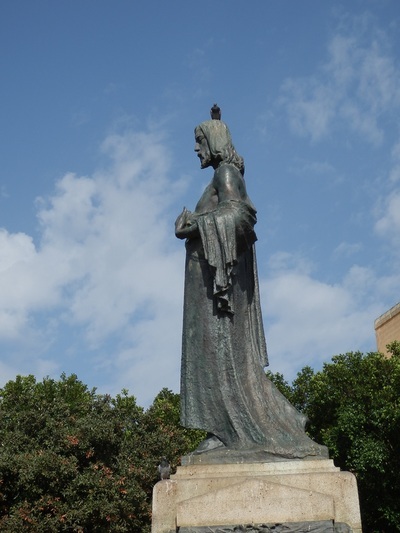 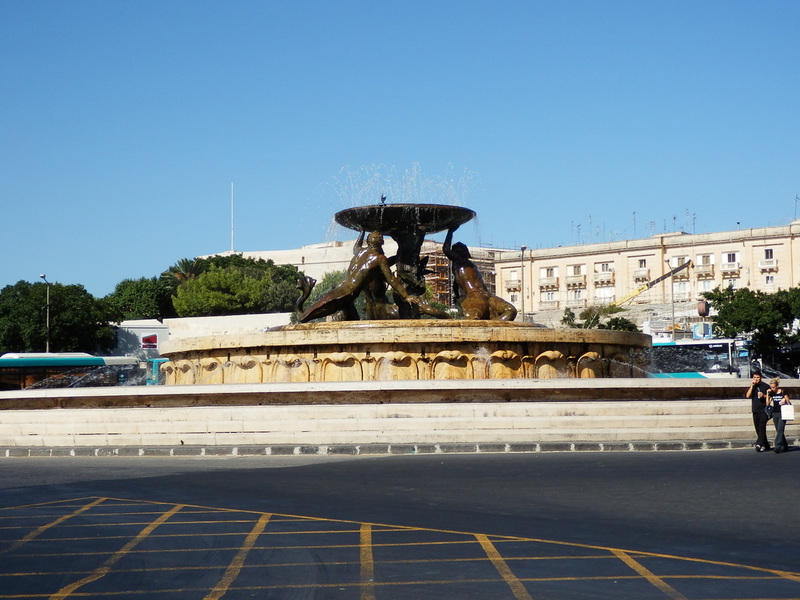 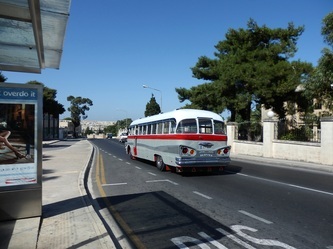 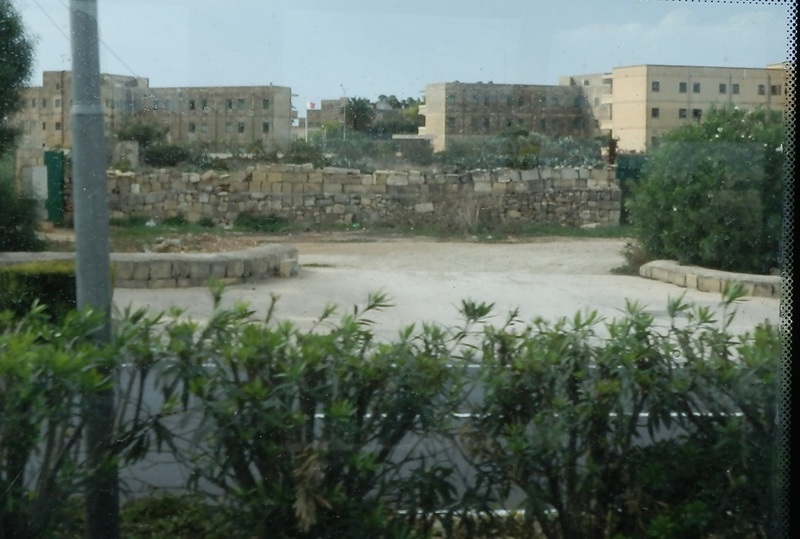 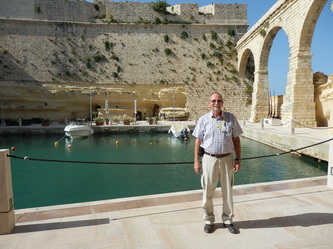 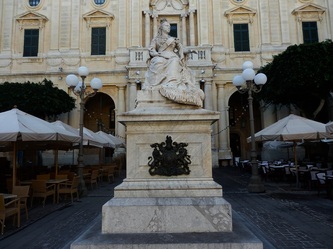 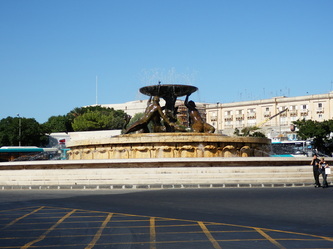 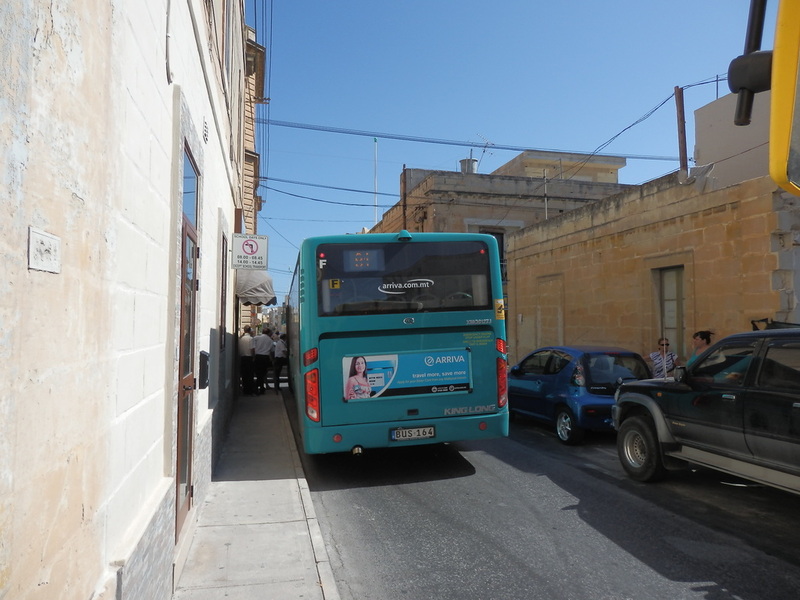 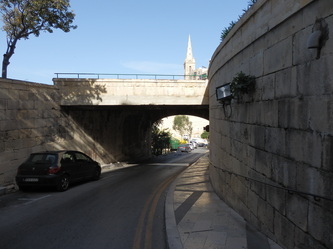 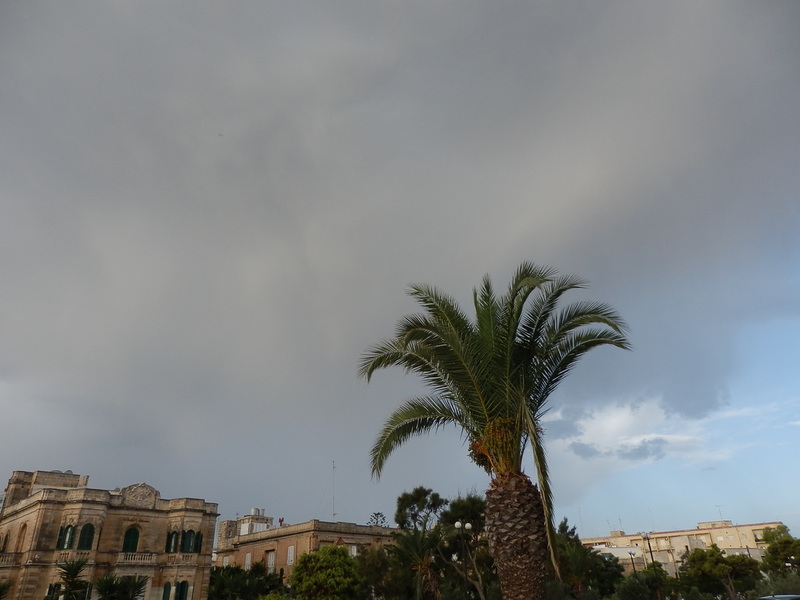 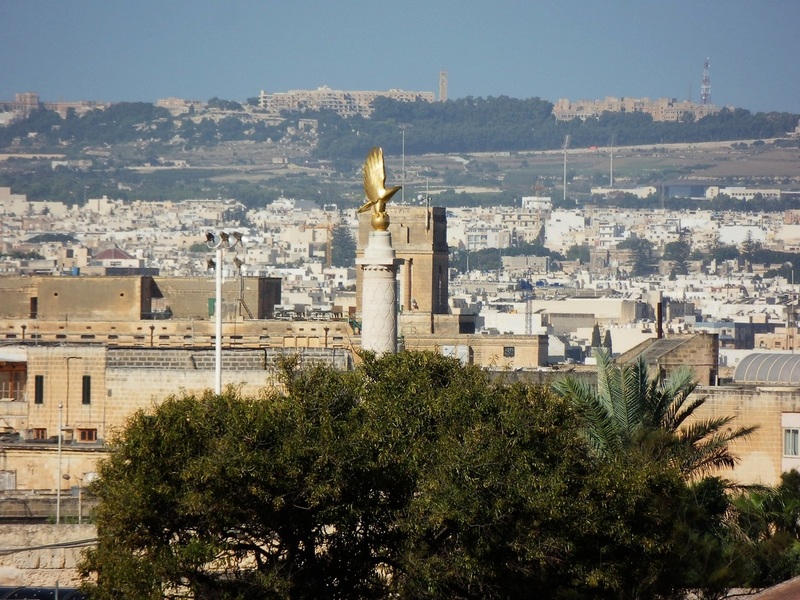 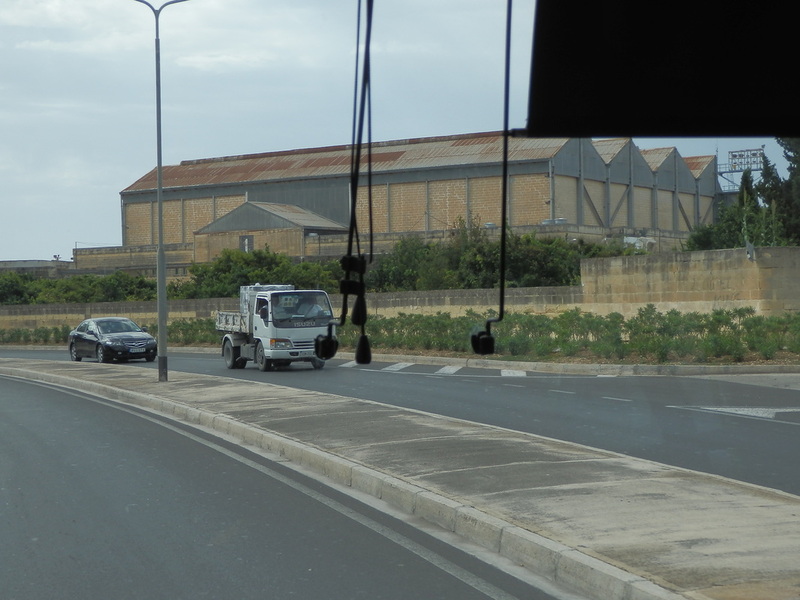 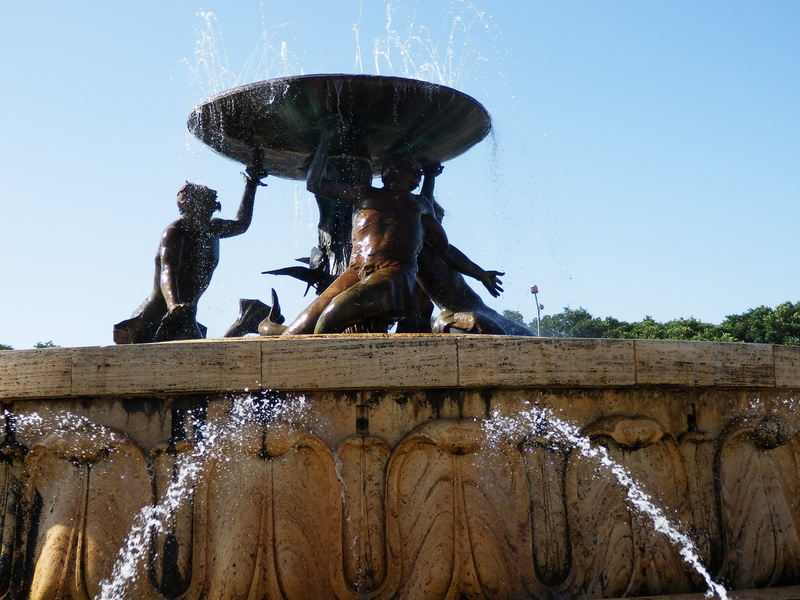 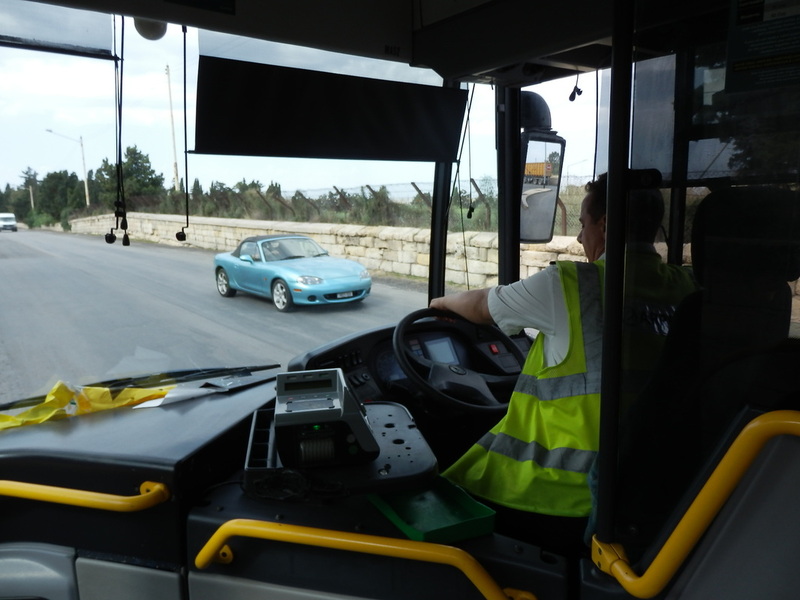 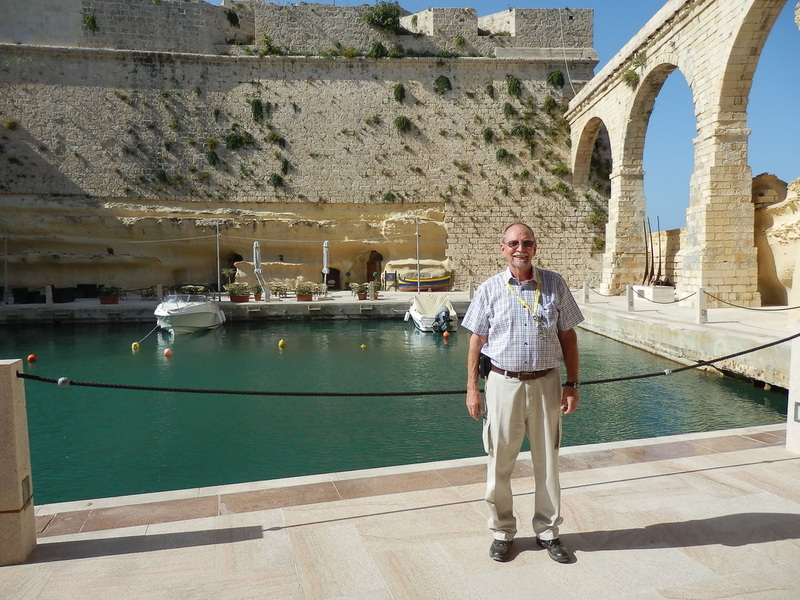 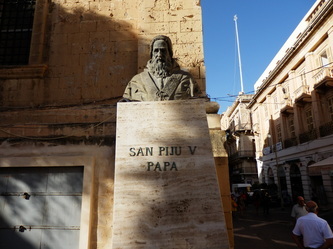 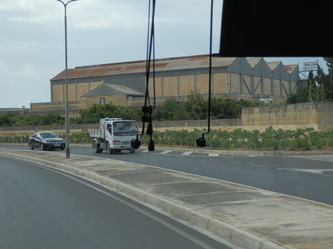 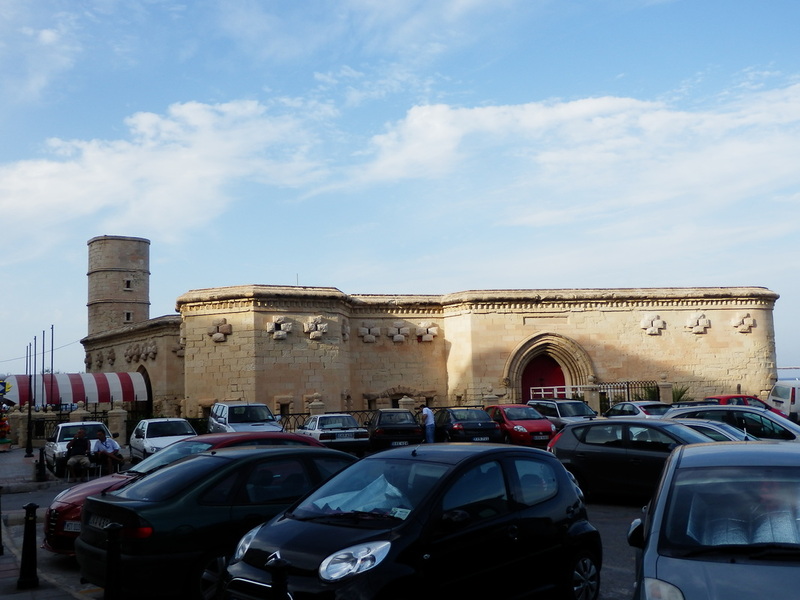 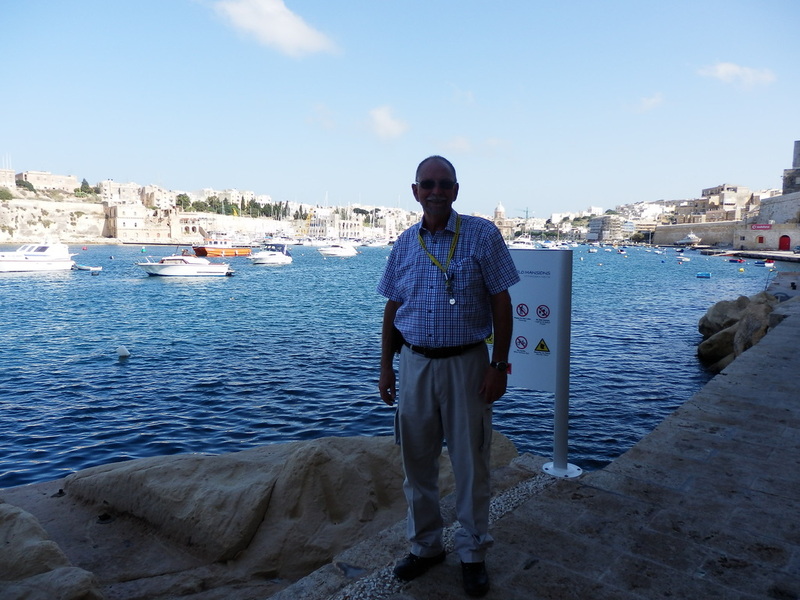 Buses are very easy but the easiest way to get around is to go directly to the bus terminus in Floriana (fountain near the gate of Valletta) and then branch out to where you want to go. Bus pass for the day is 2.60 Euro, anywhere all day multiple journeys. 3 day and 7 day passes are also available and I'd get a 7 day one when I go again.